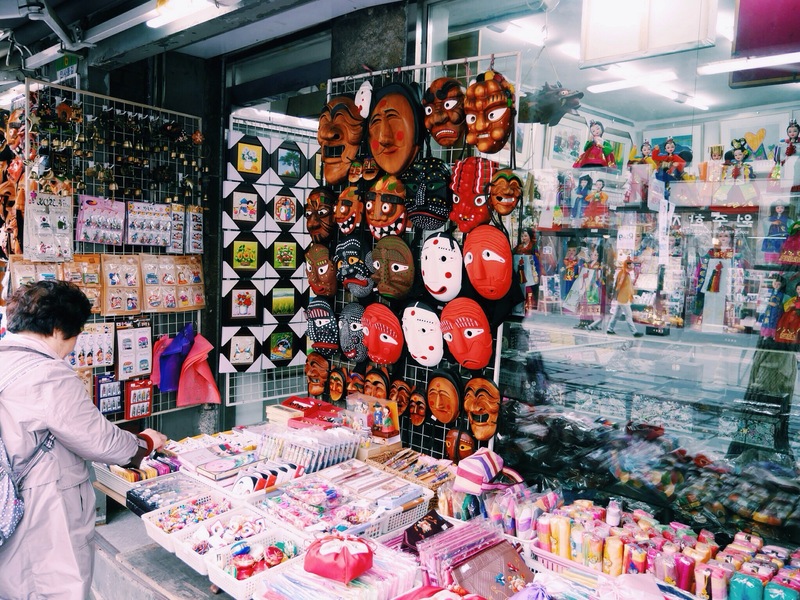 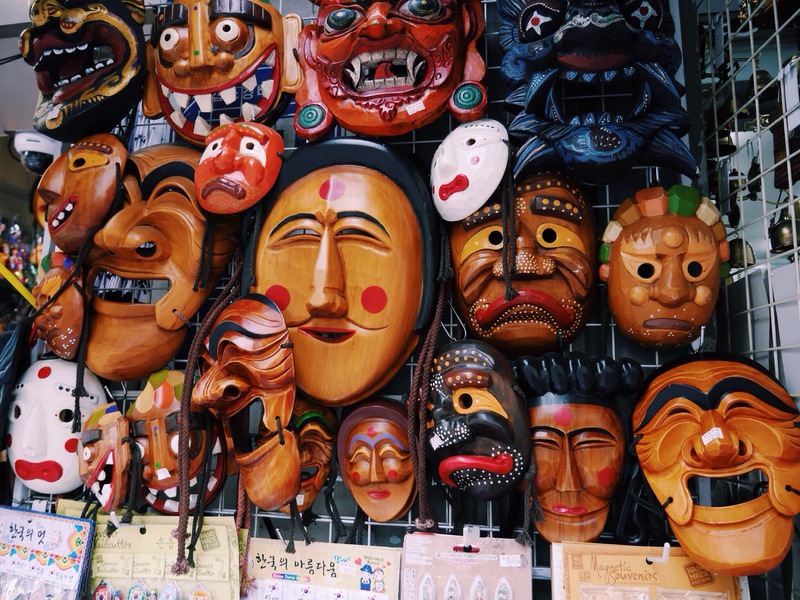 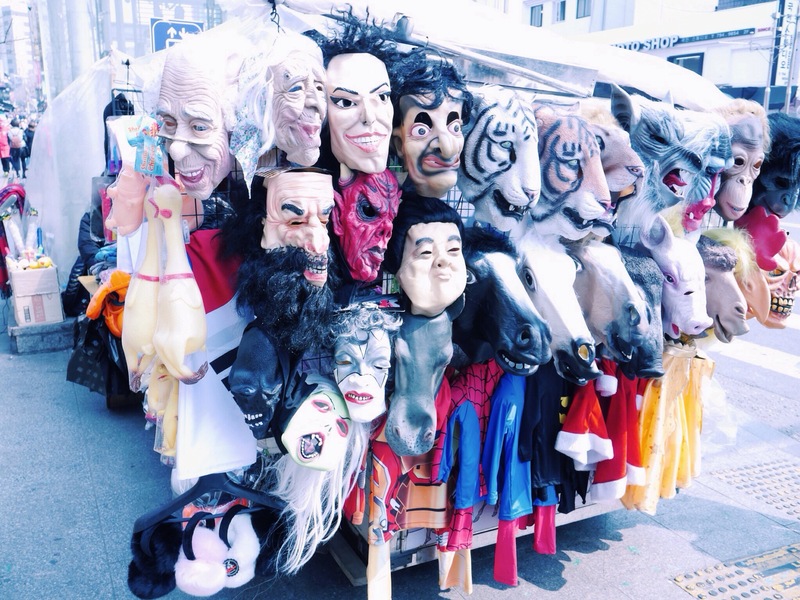 You know you’re in Insadong when traditional imperial-entertainer masks are sold at every corner. 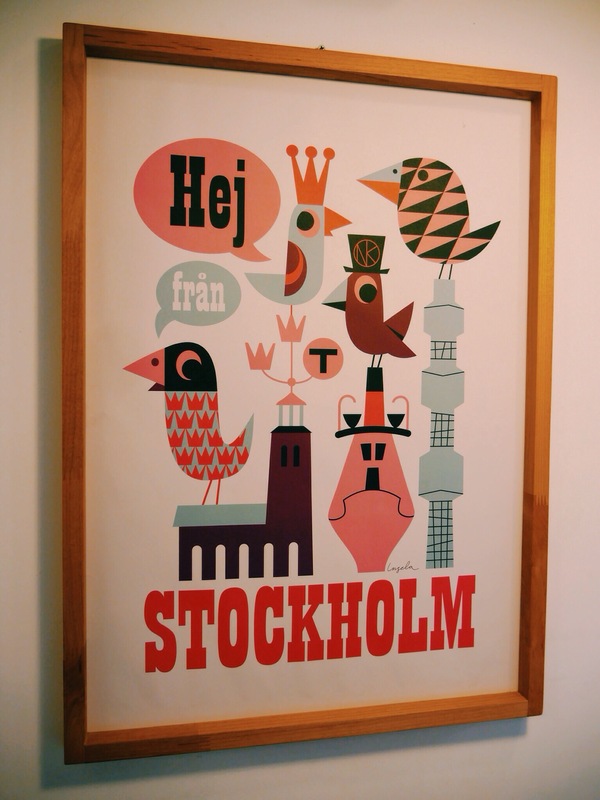 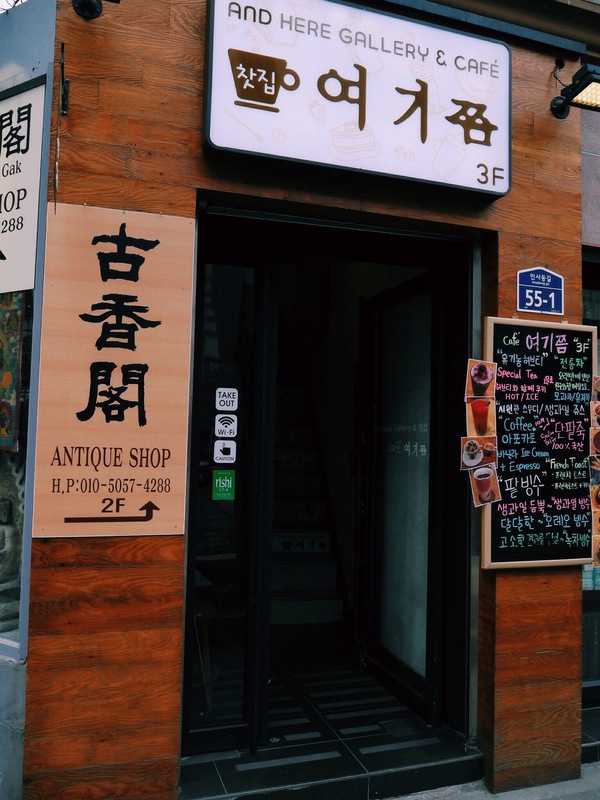 And you find loads of antiques at pretty good prices. 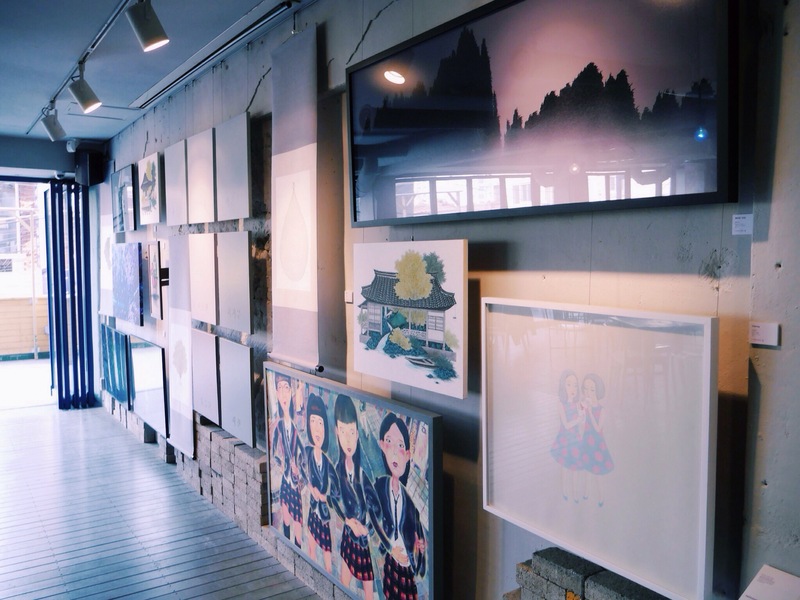 There’s the occasional fabulous art gallery. 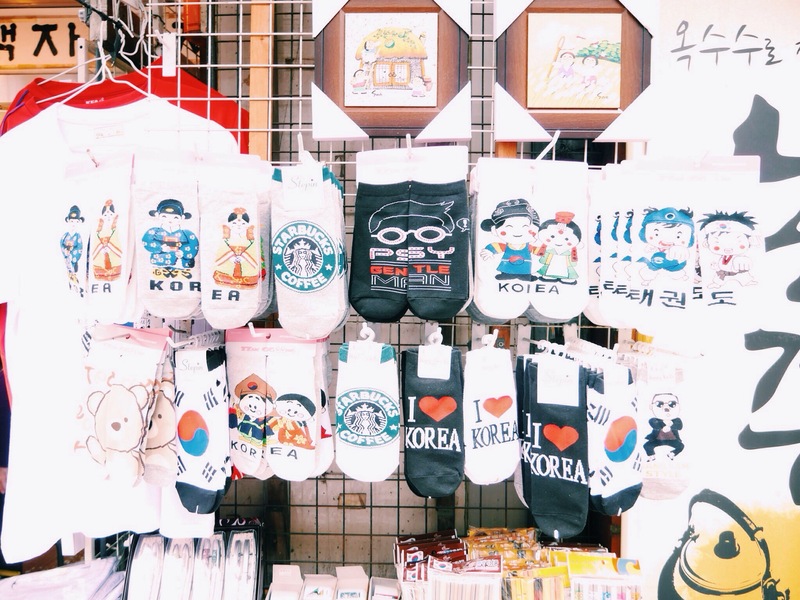 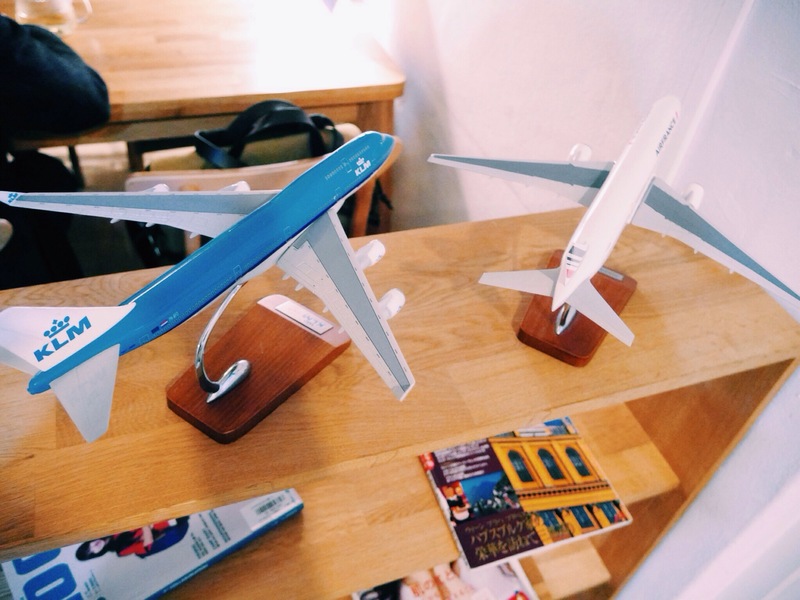 And tourist traps with iconic Korean souvenirs. 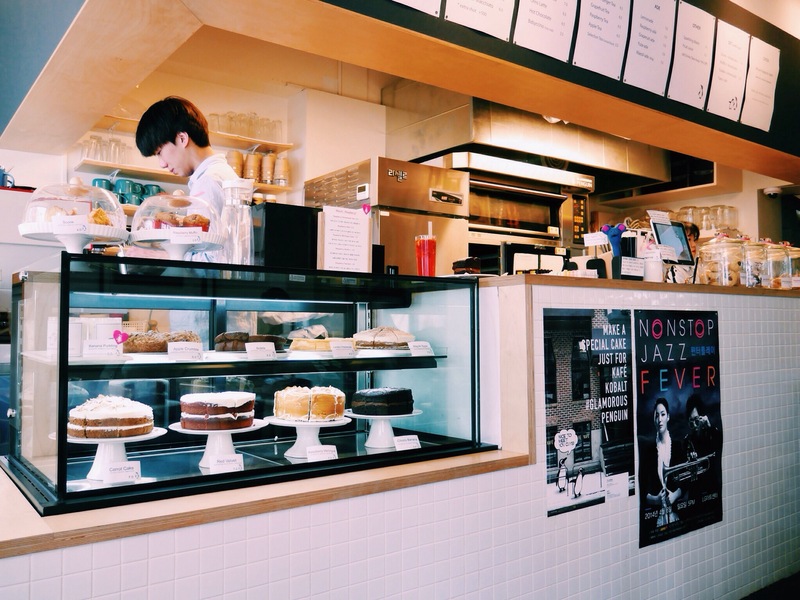 Along the glorious and vibrant district of art museums and galleries are laid-back cafes offering all-day breakfasts and a myriad of flavoured coffees. 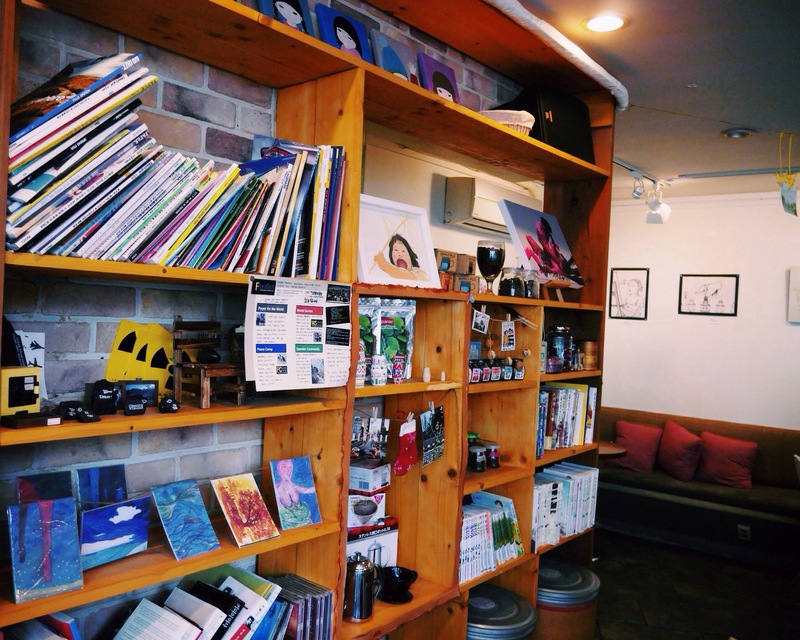 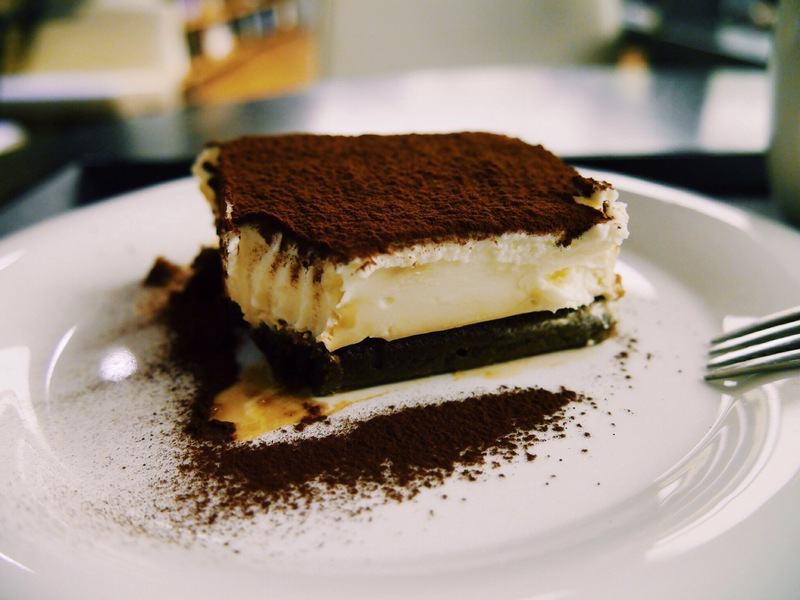 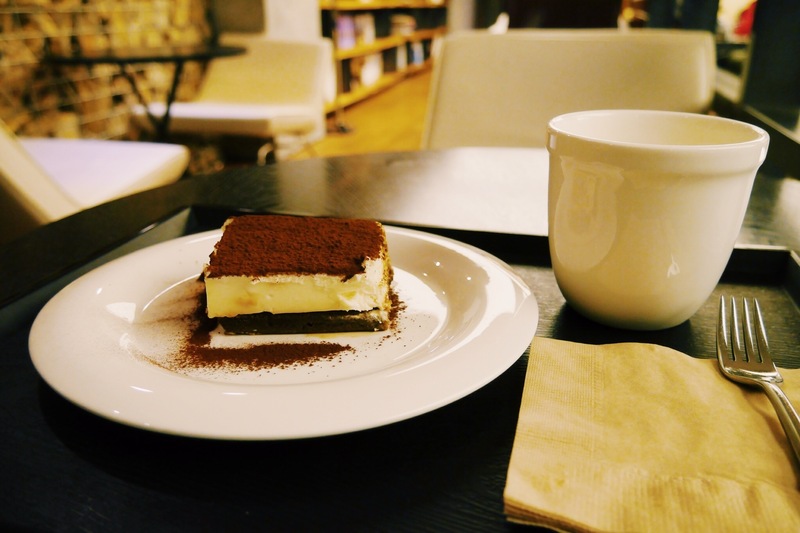 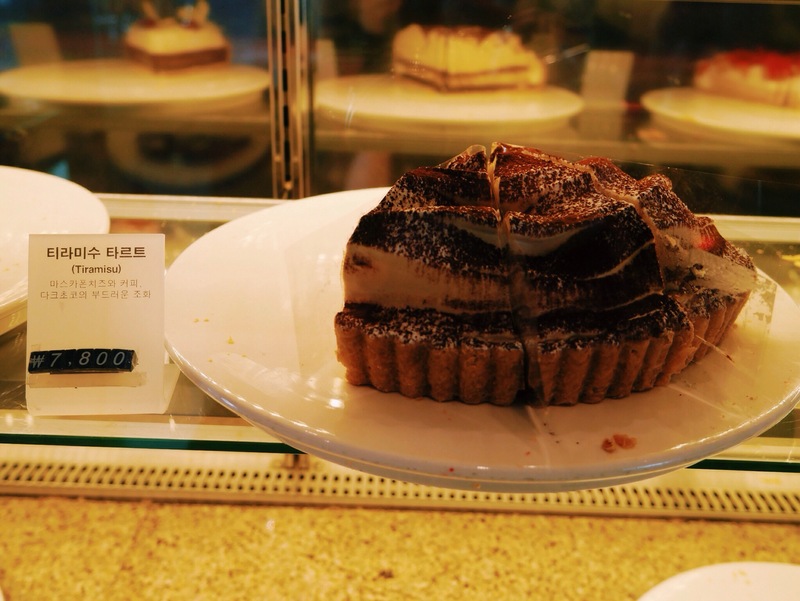 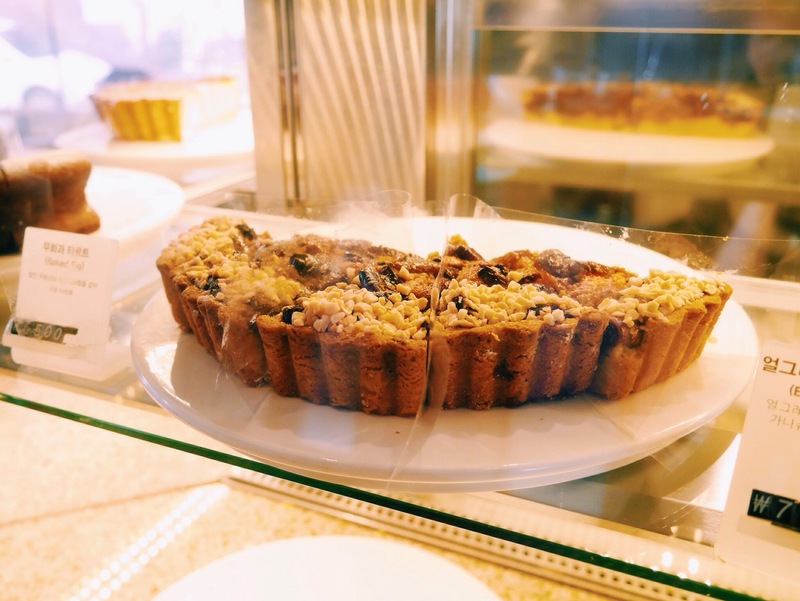 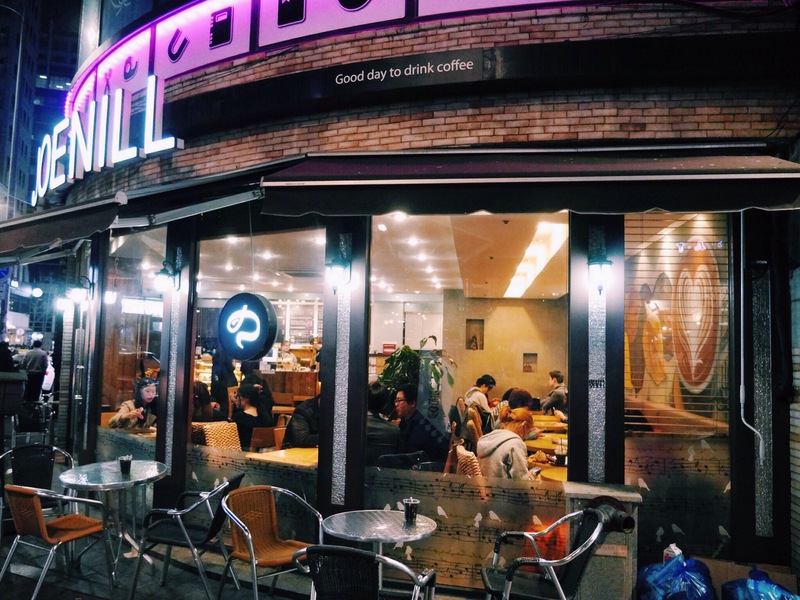 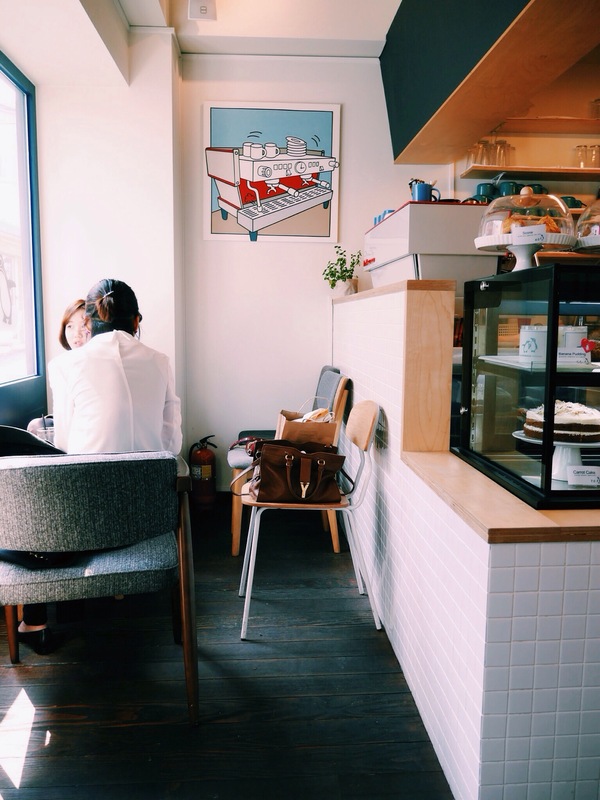 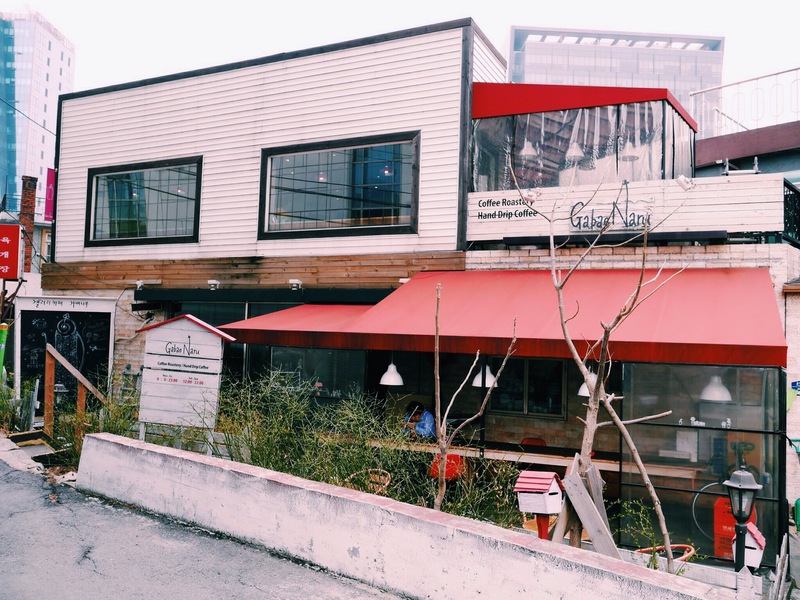 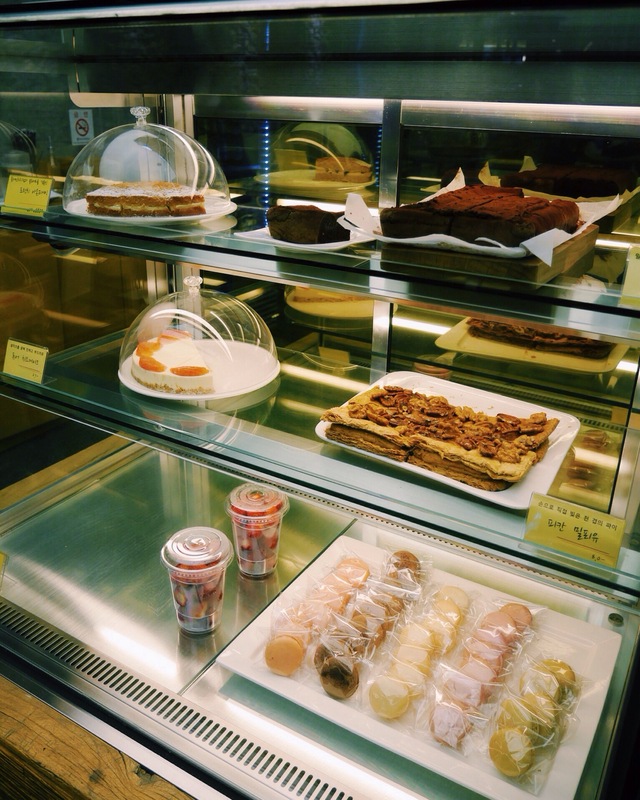 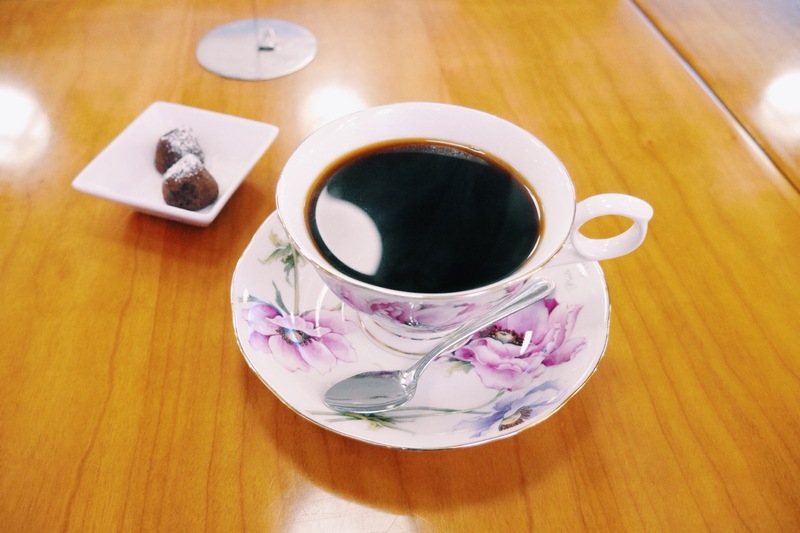 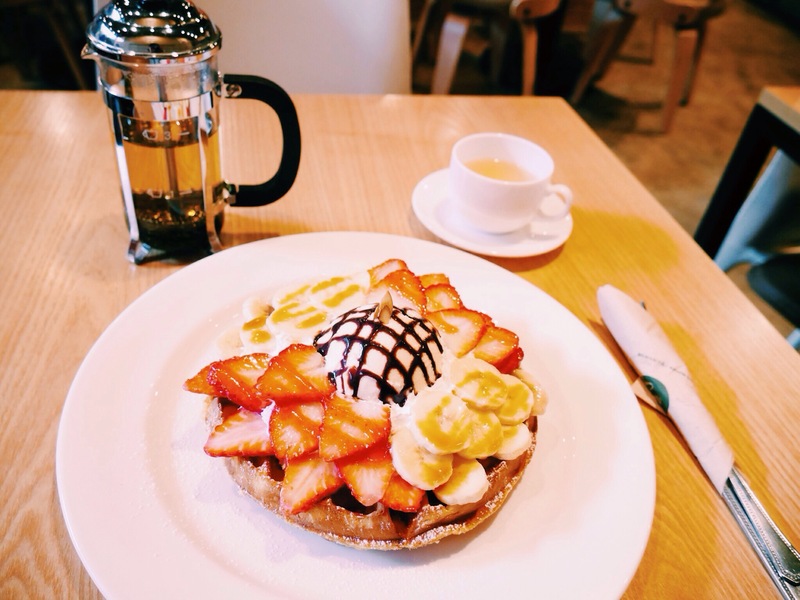 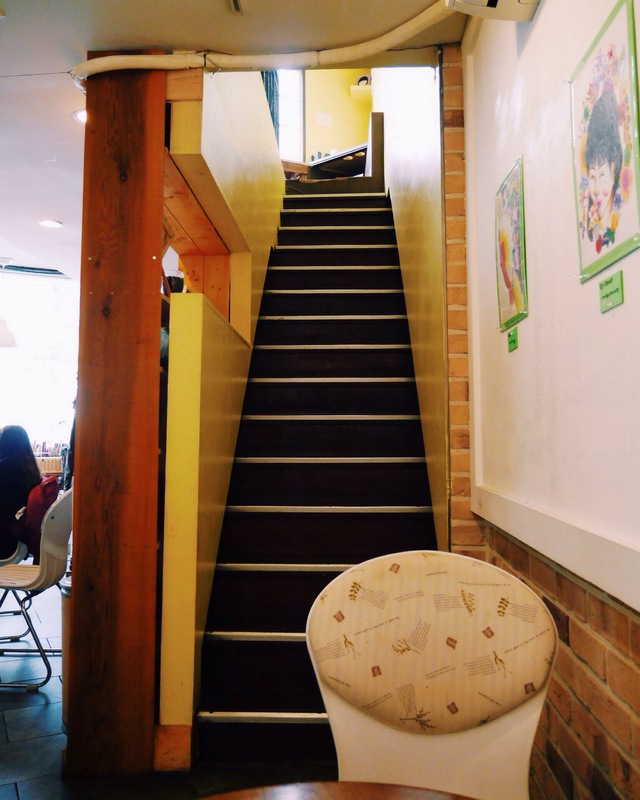 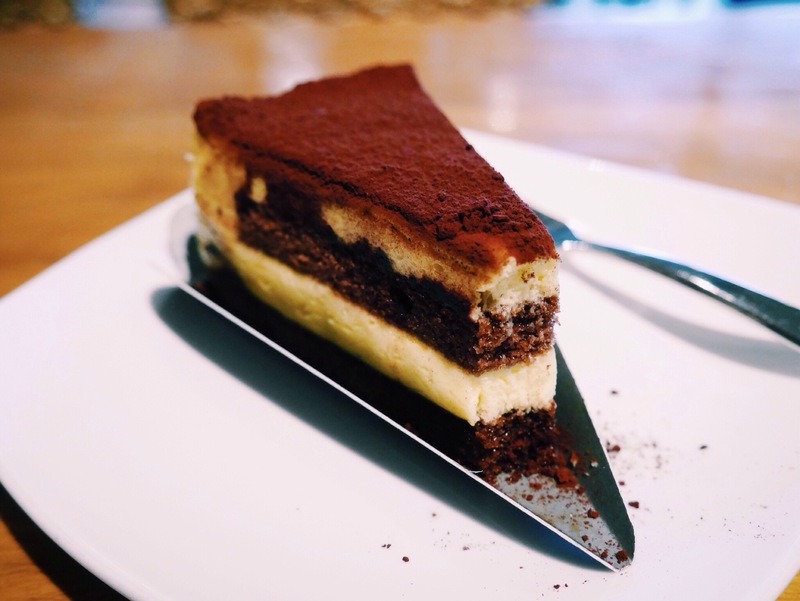 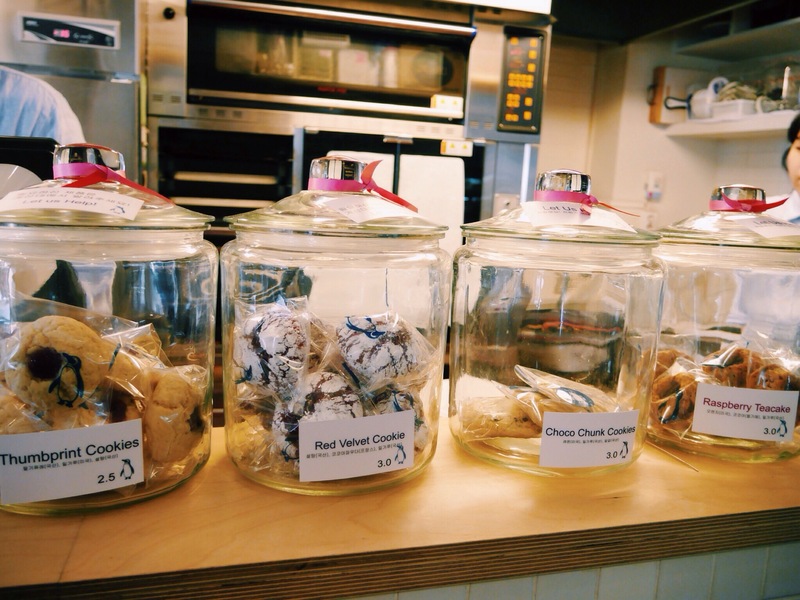 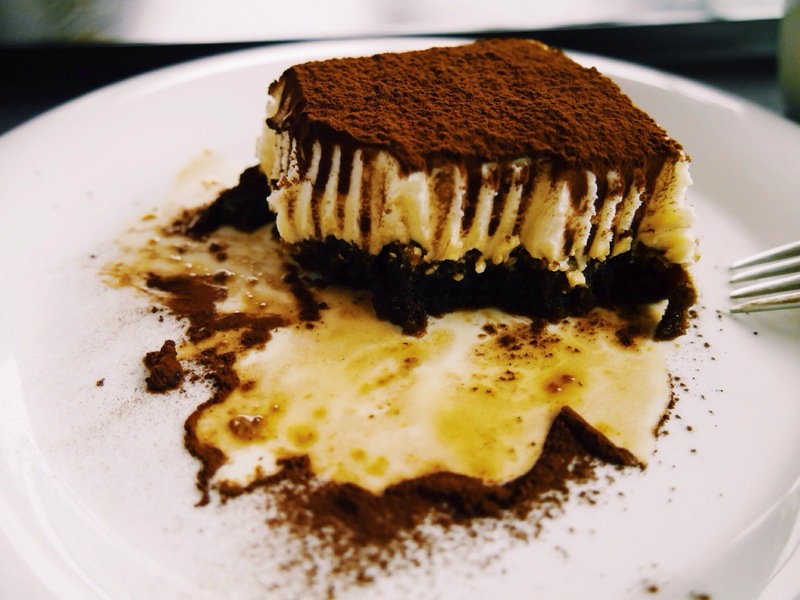 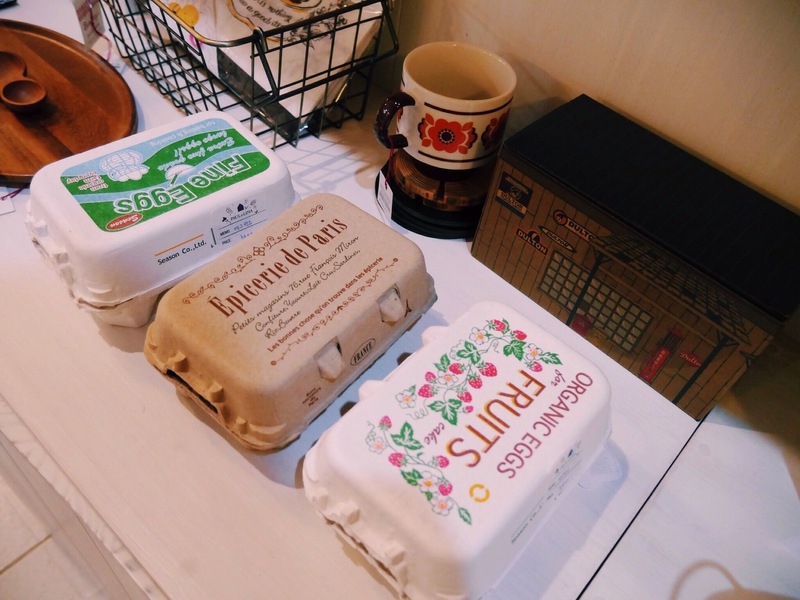 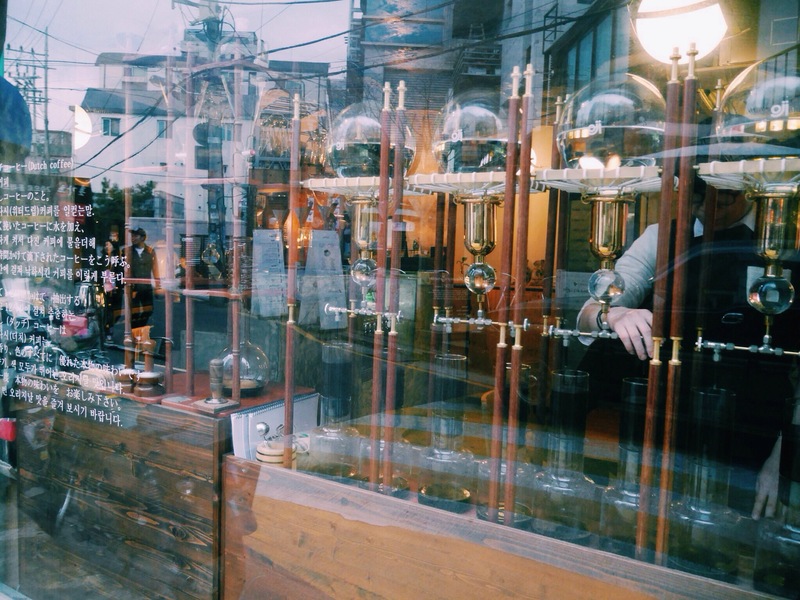 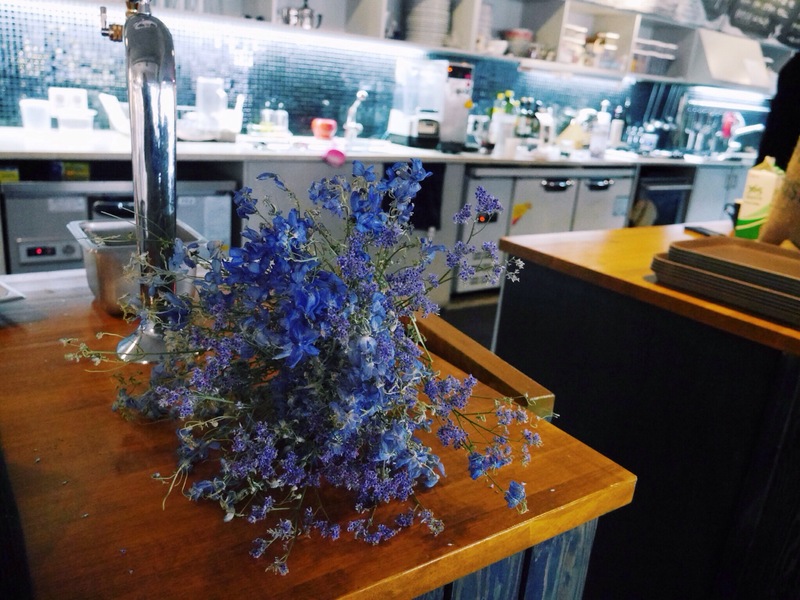 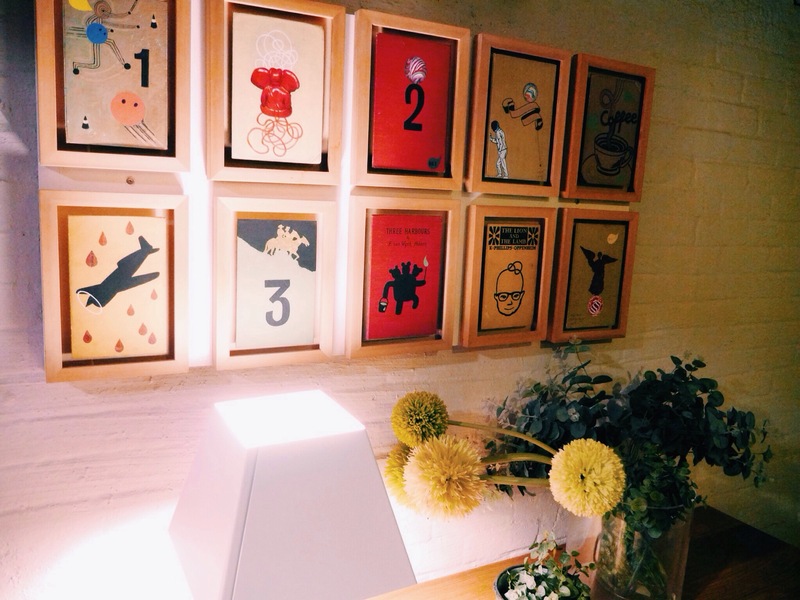 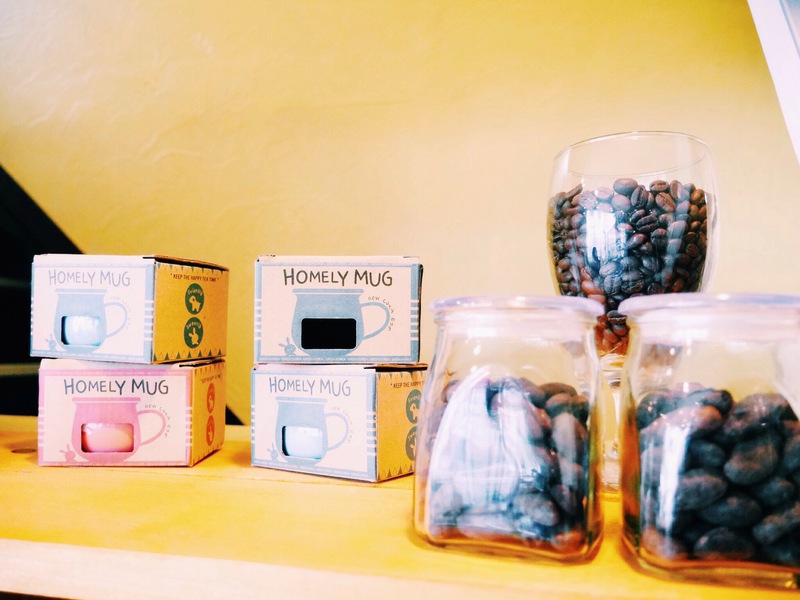 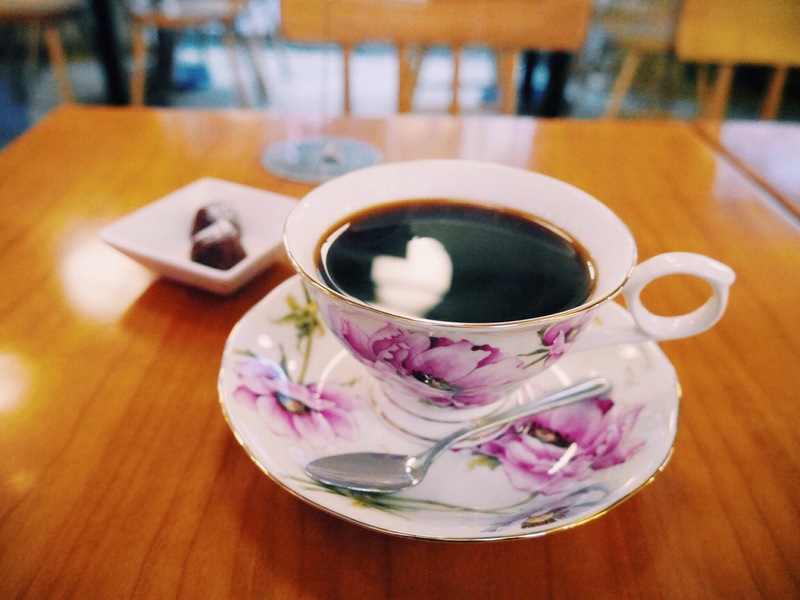 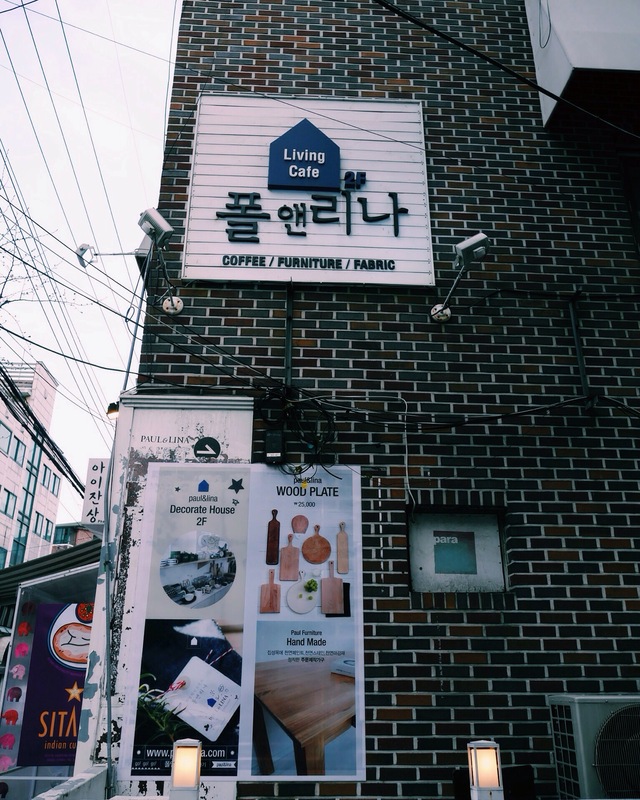 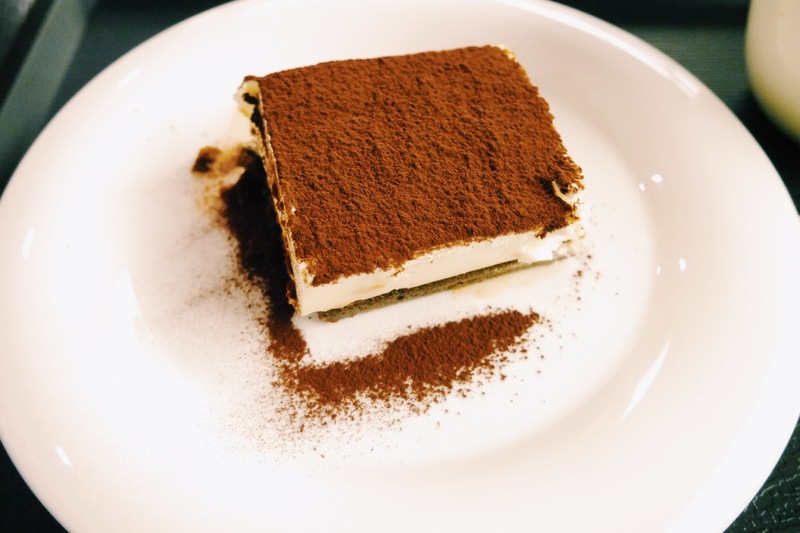 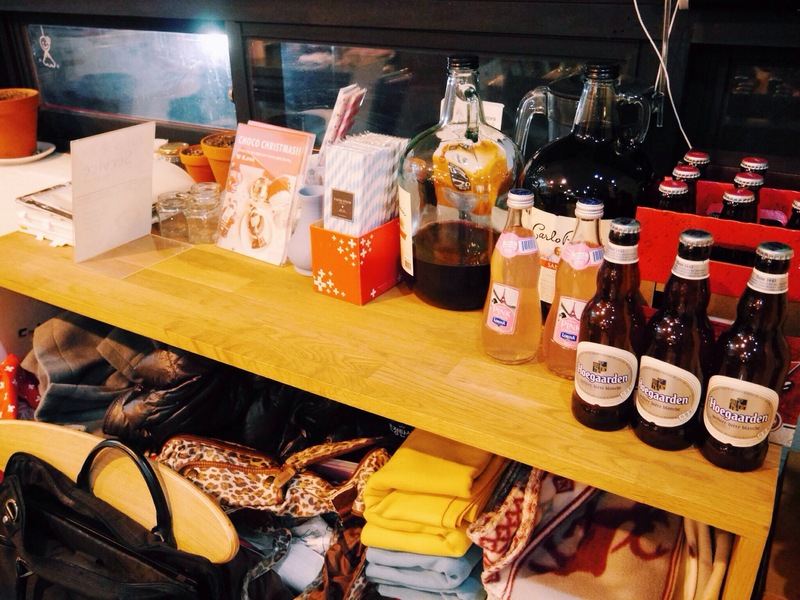 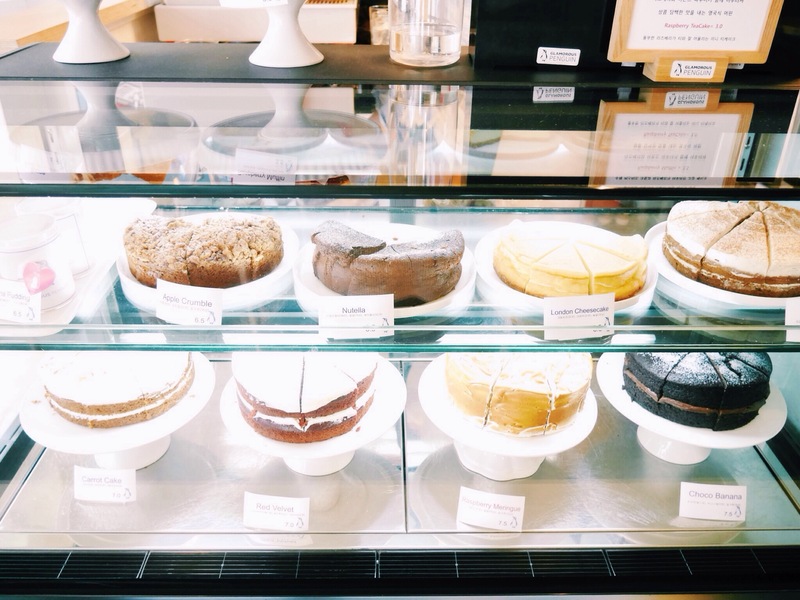 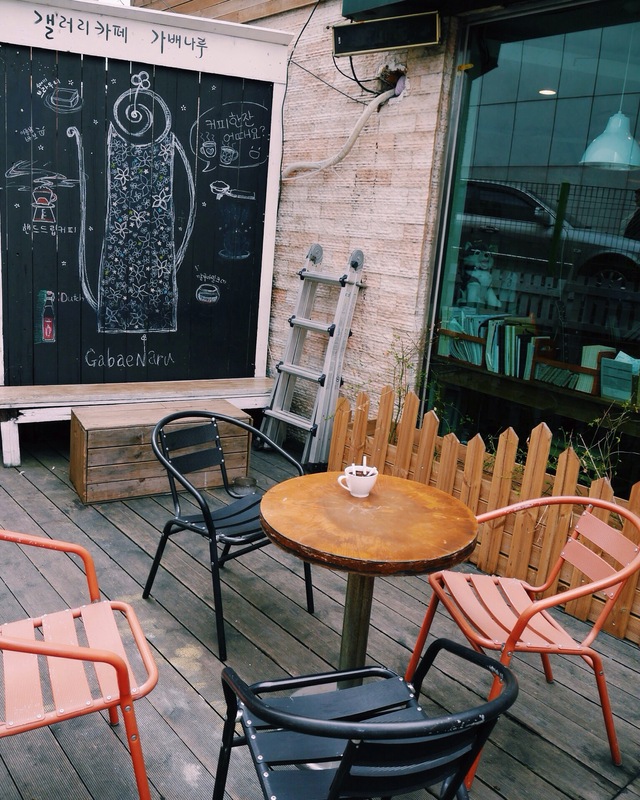 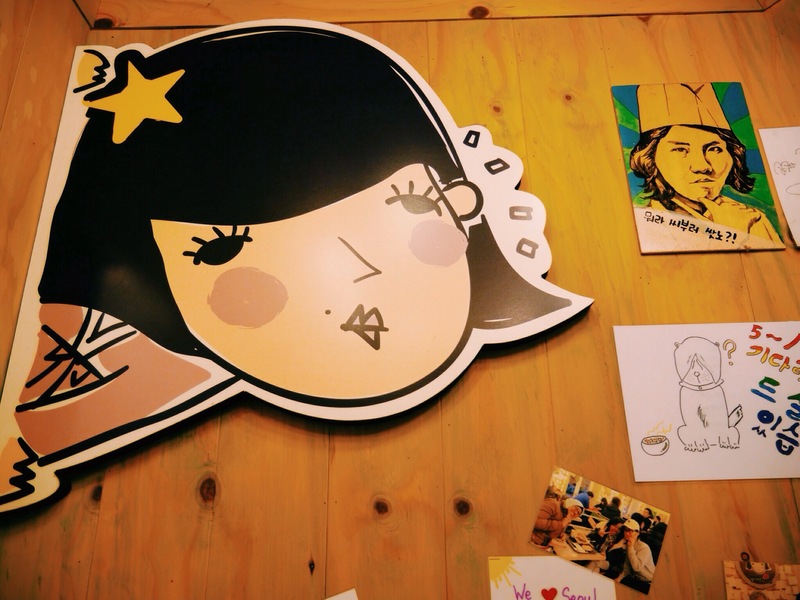 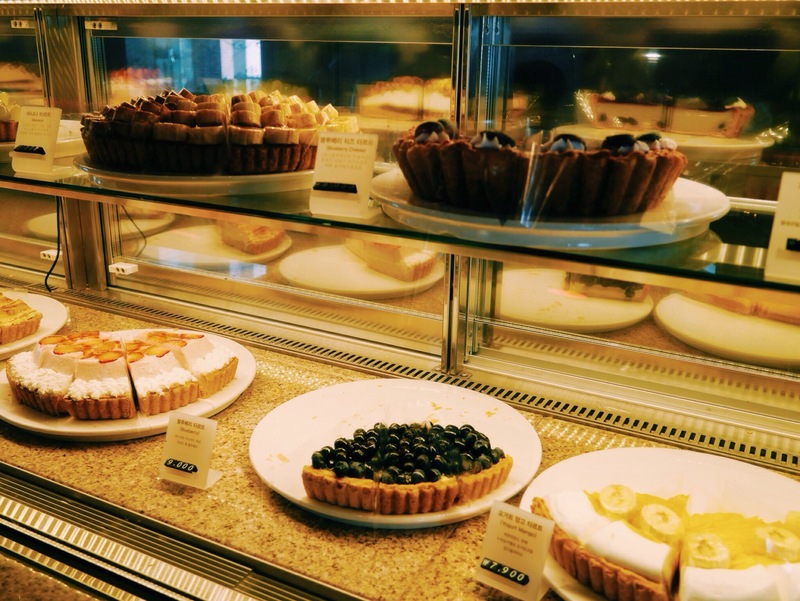 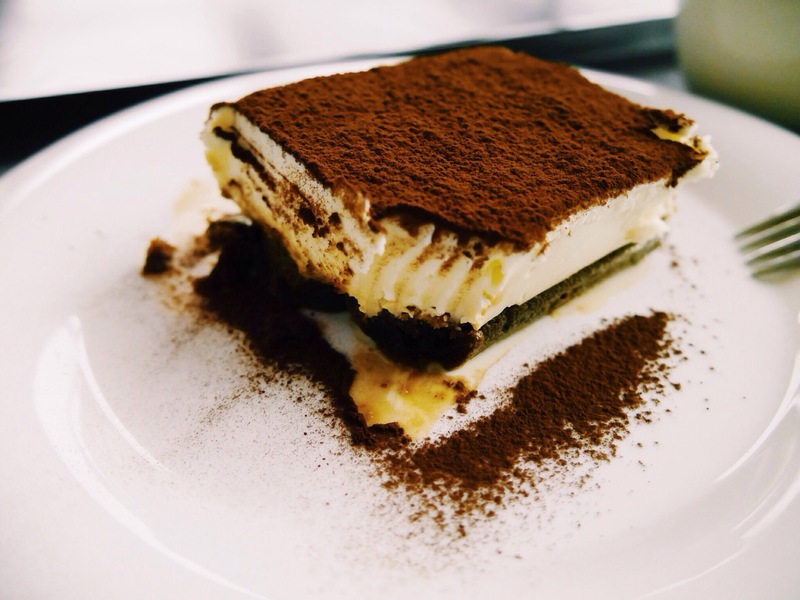 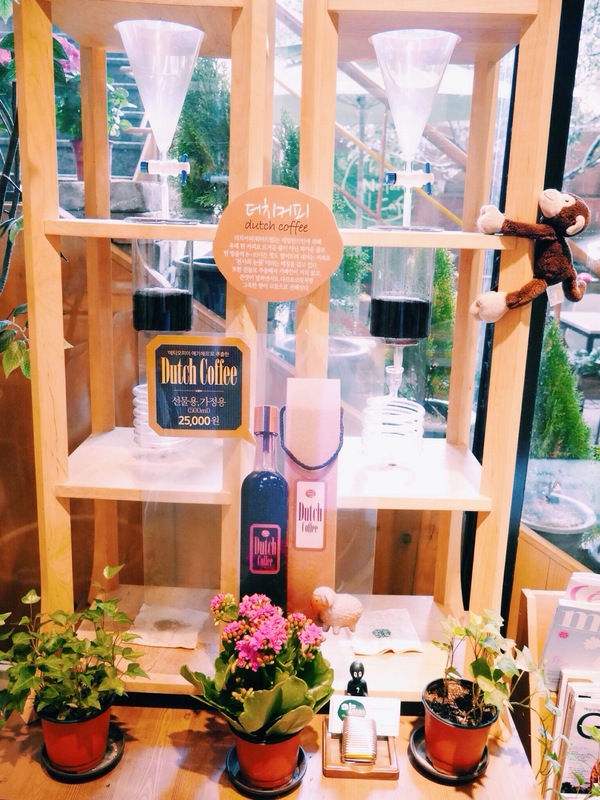 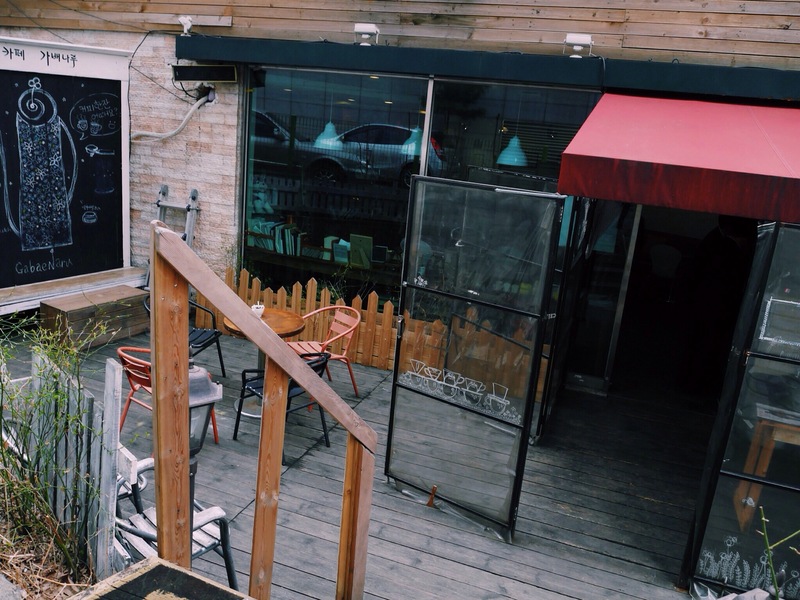 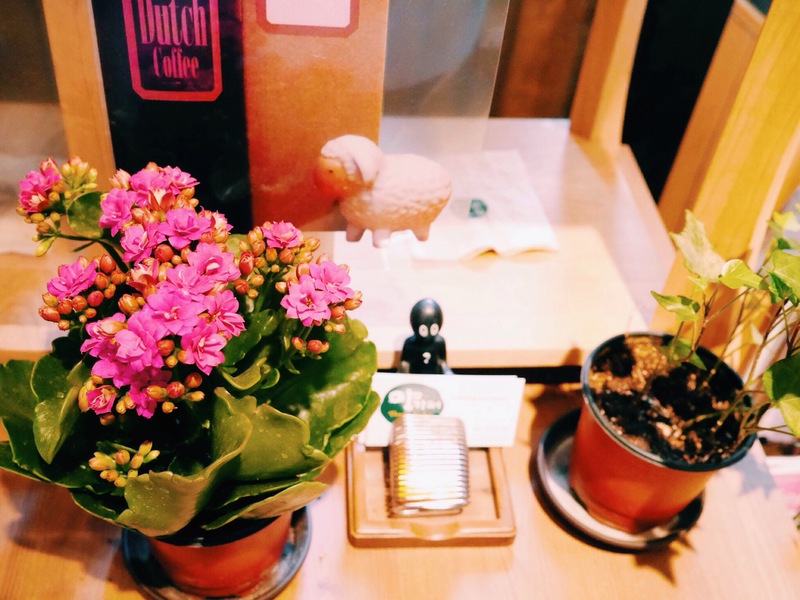 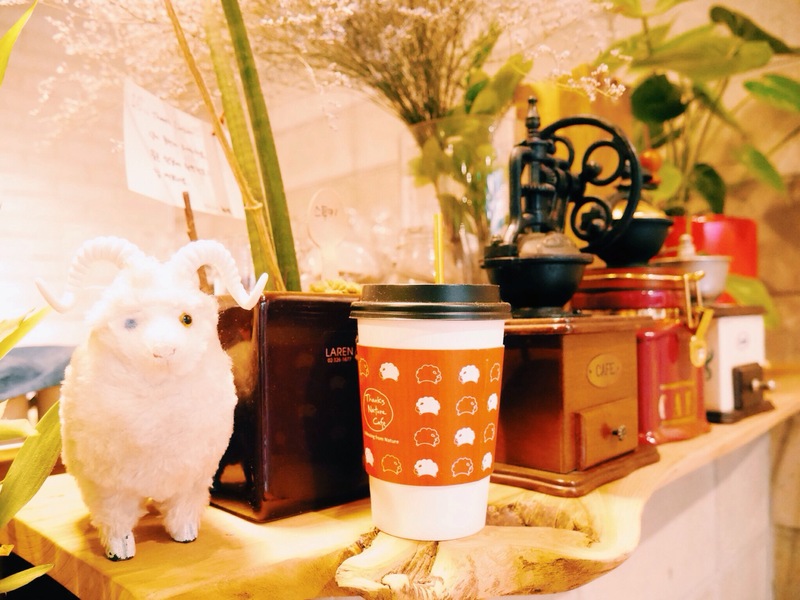 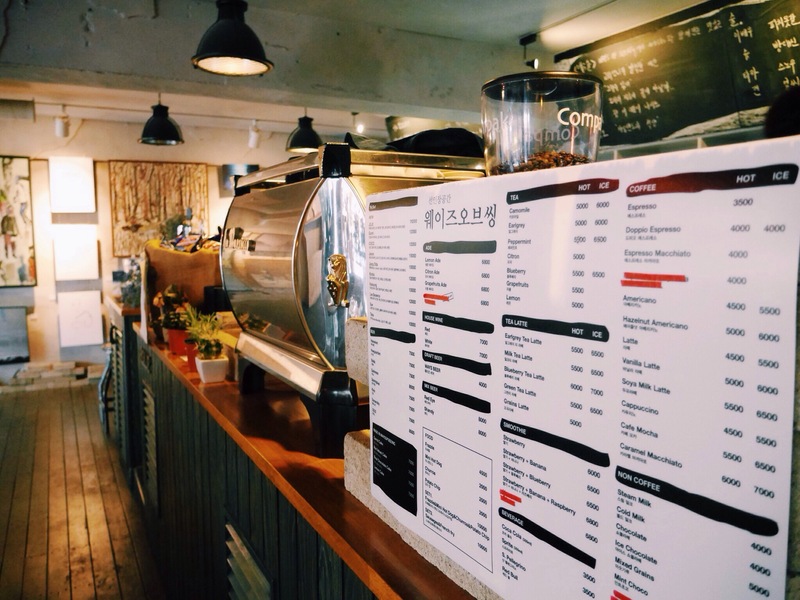 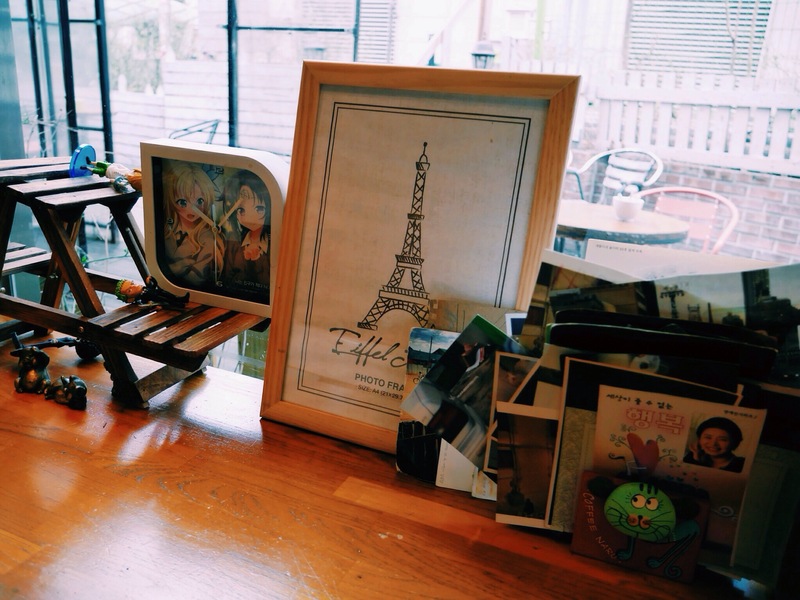 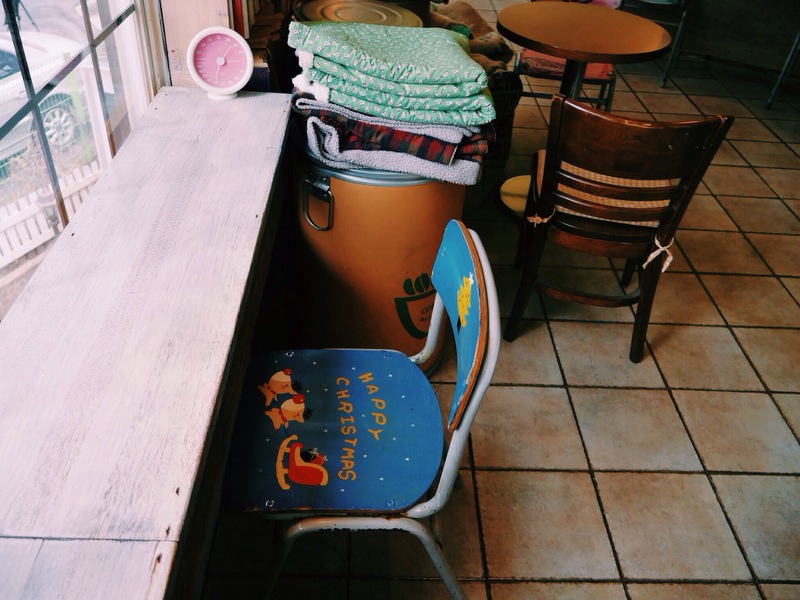 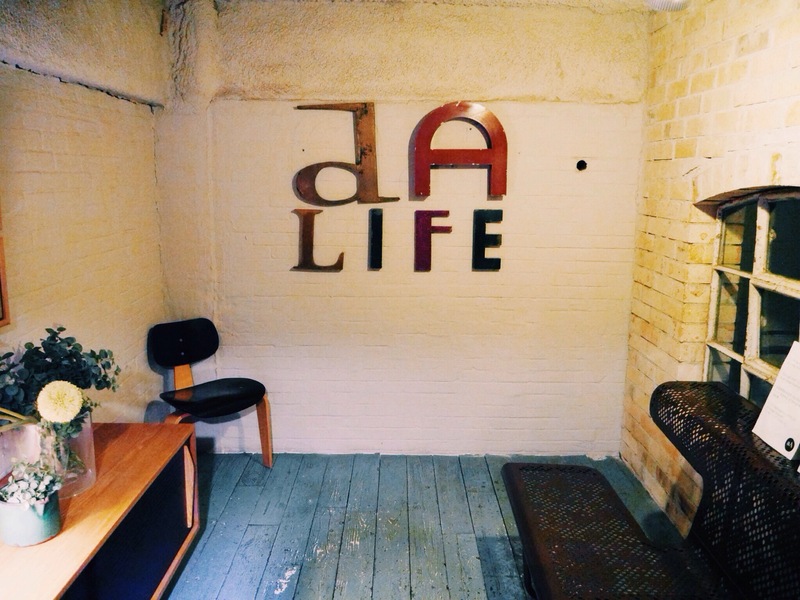 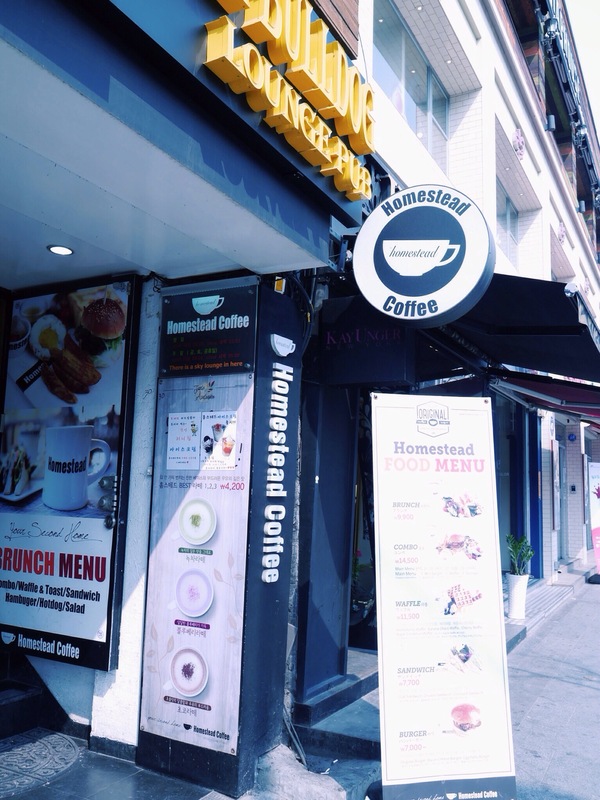 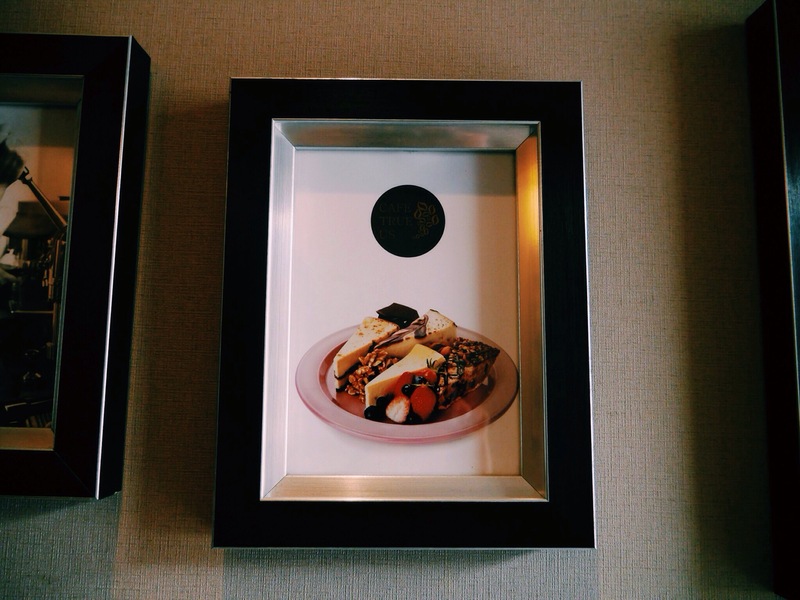 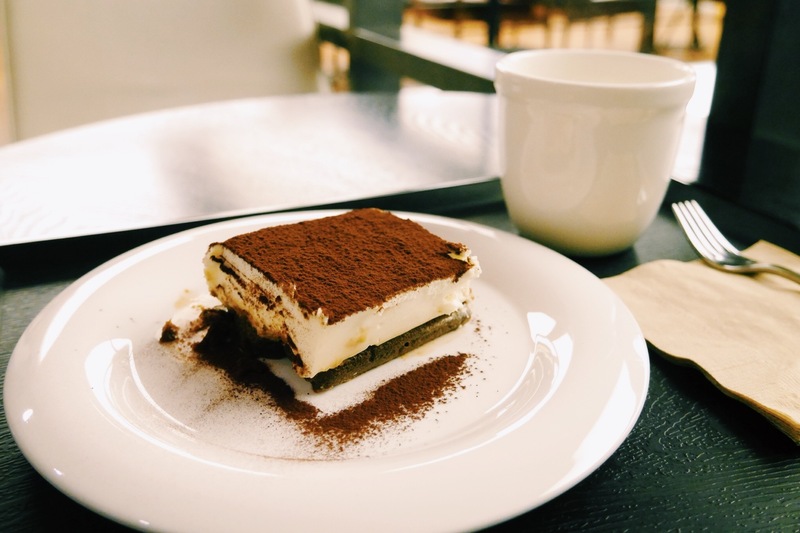 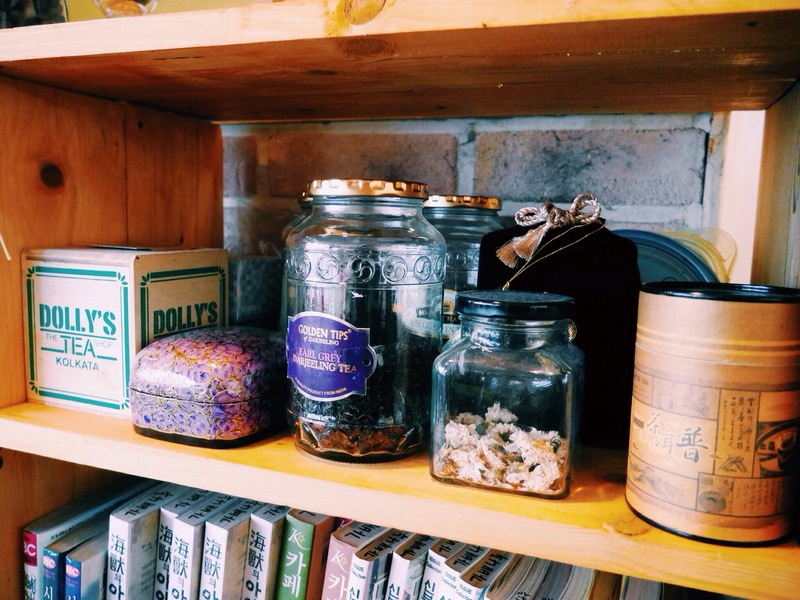 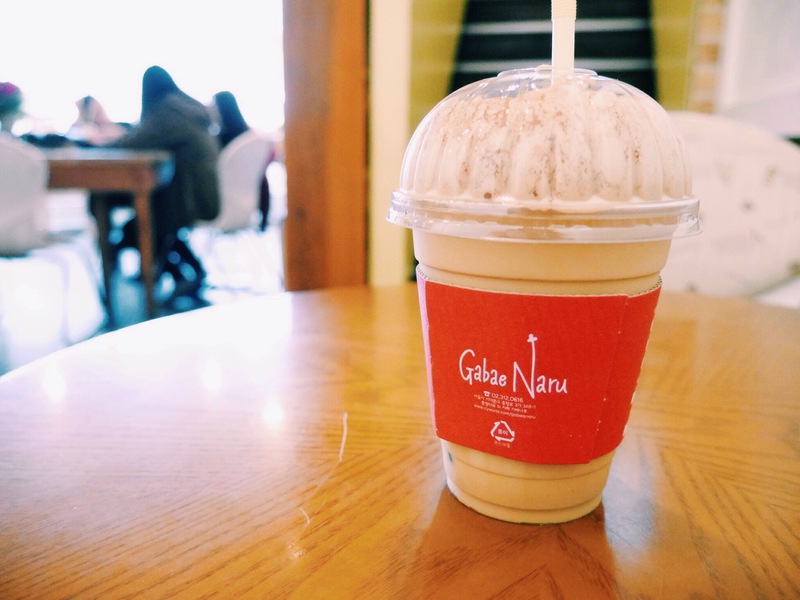 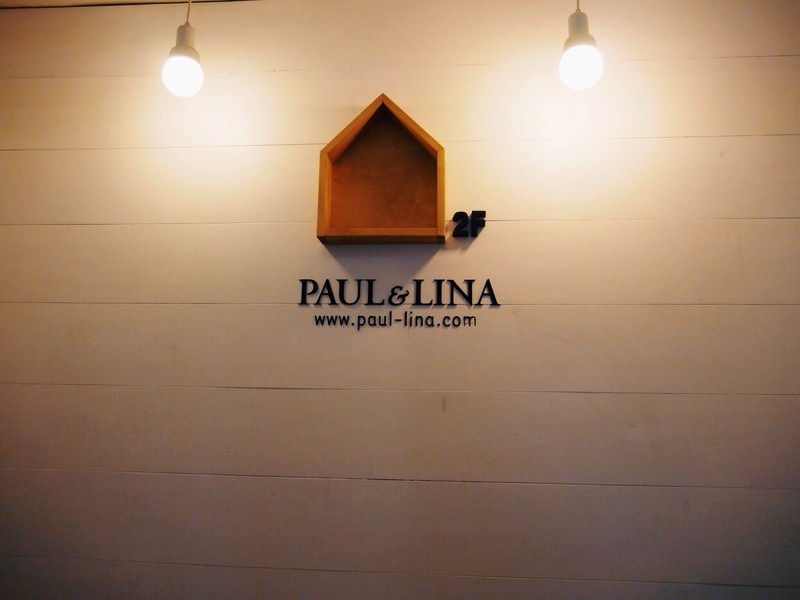 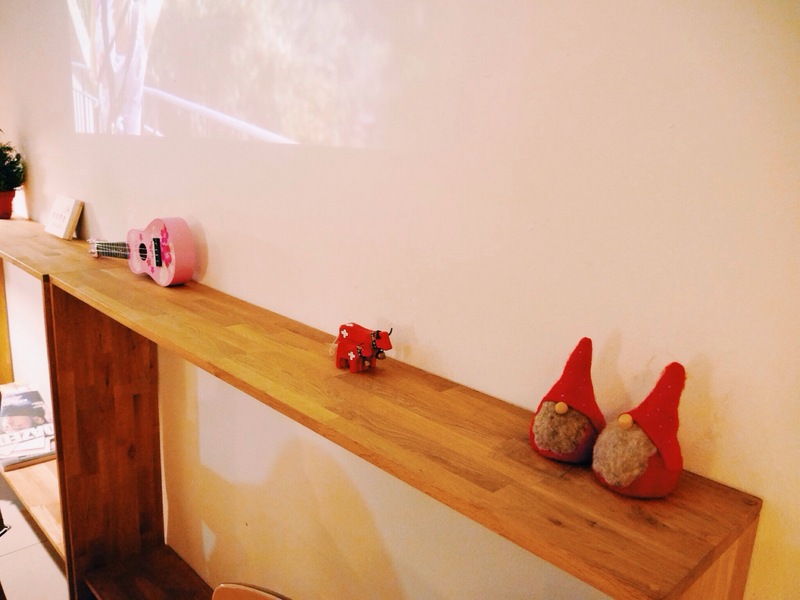 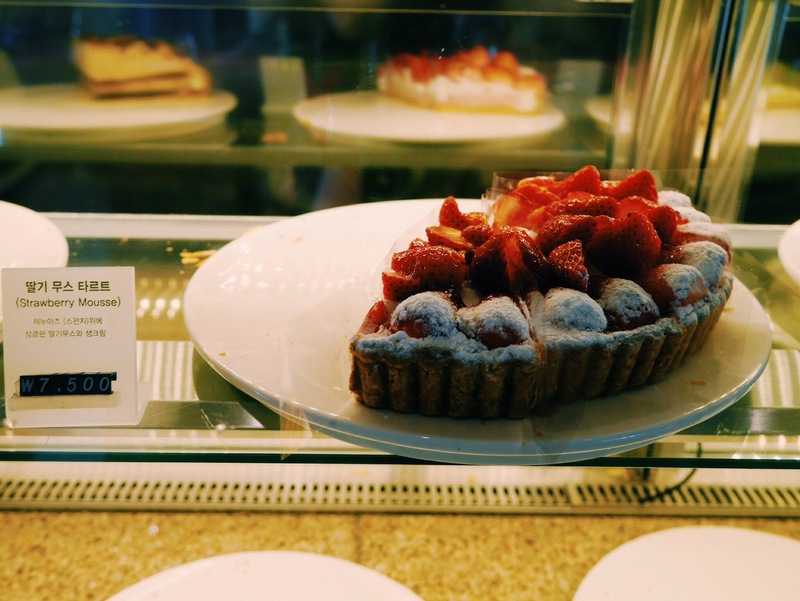 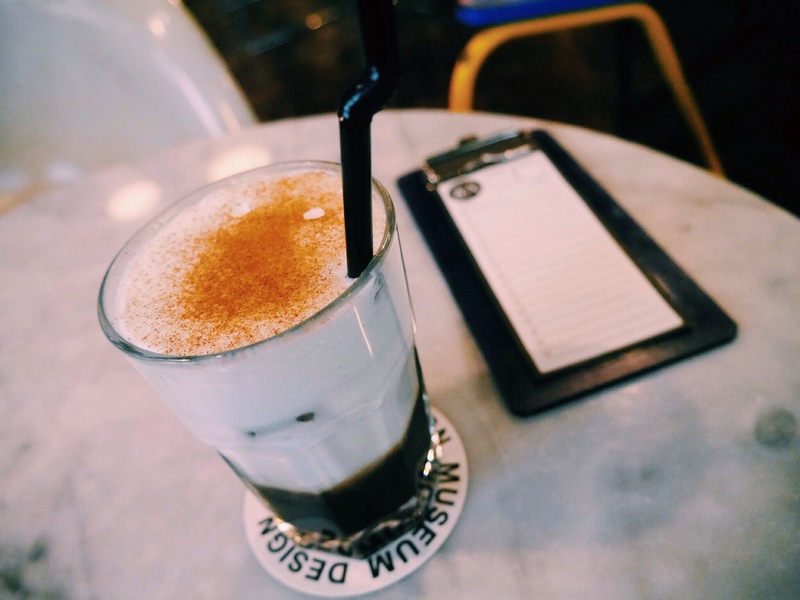 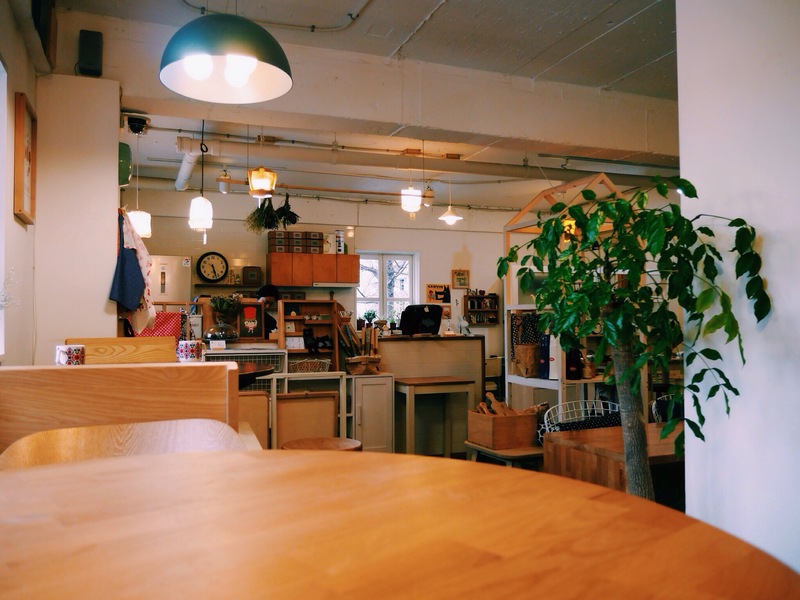 In close association to the indie Hannamdong Cafe Street, coffee culture in Itaewon is self-directed and expat-friendly. 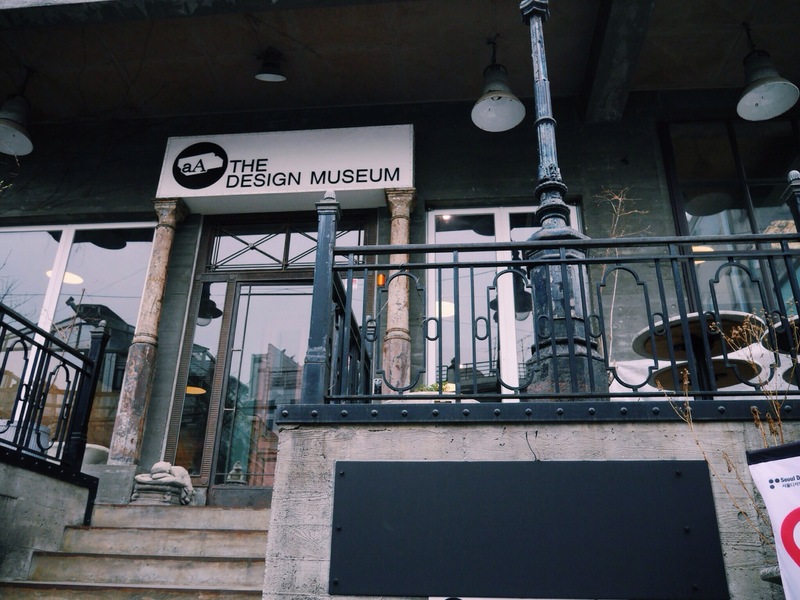 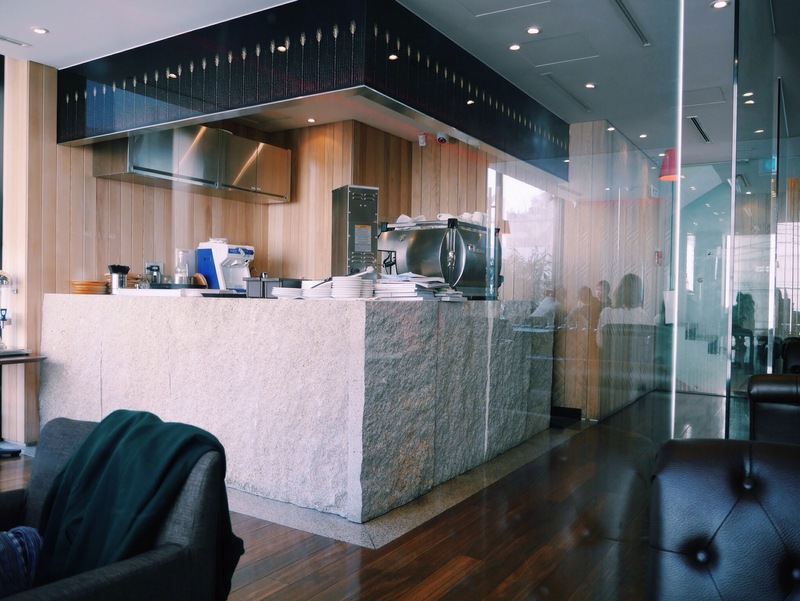 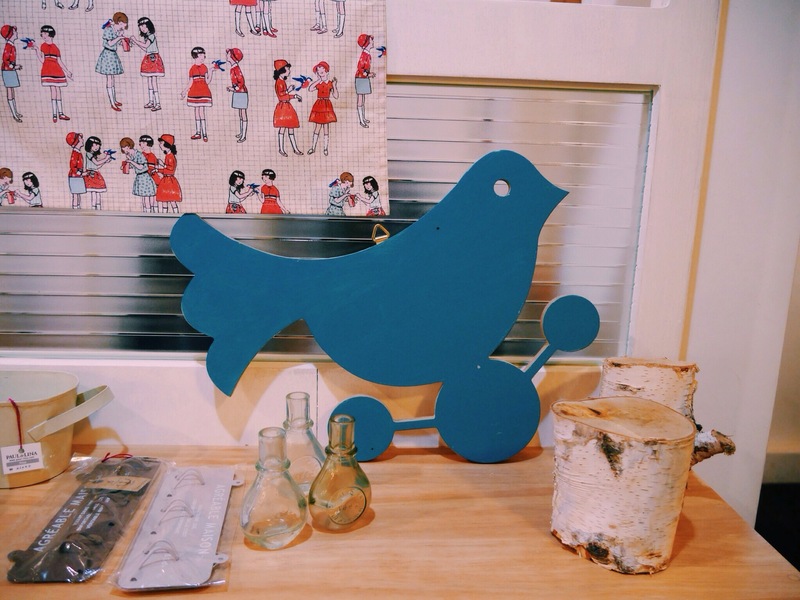 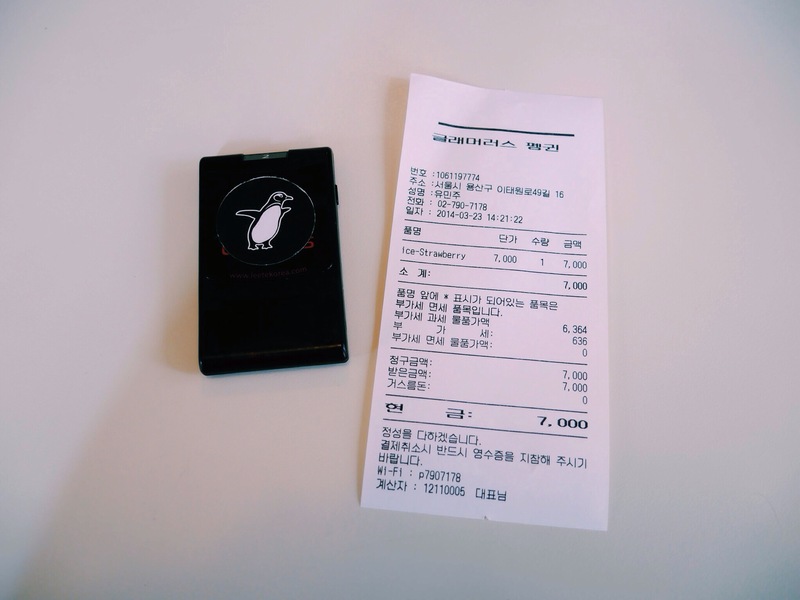 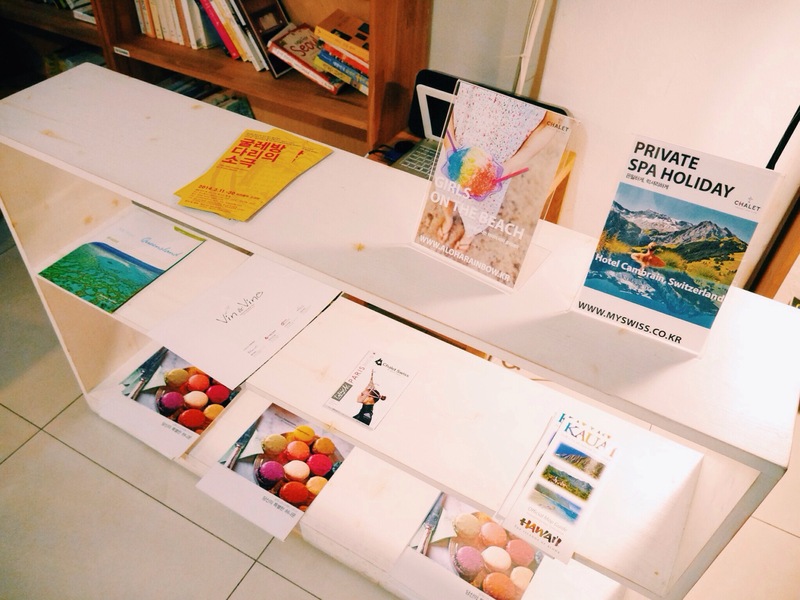 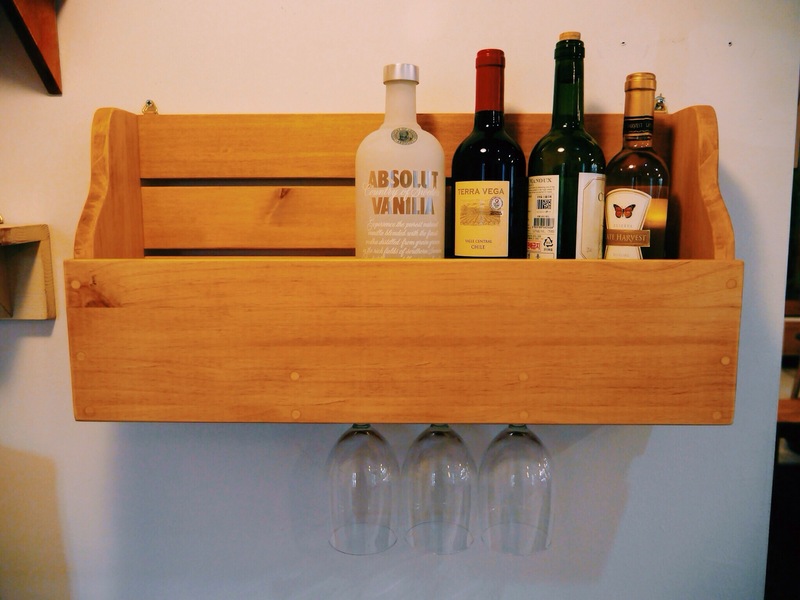 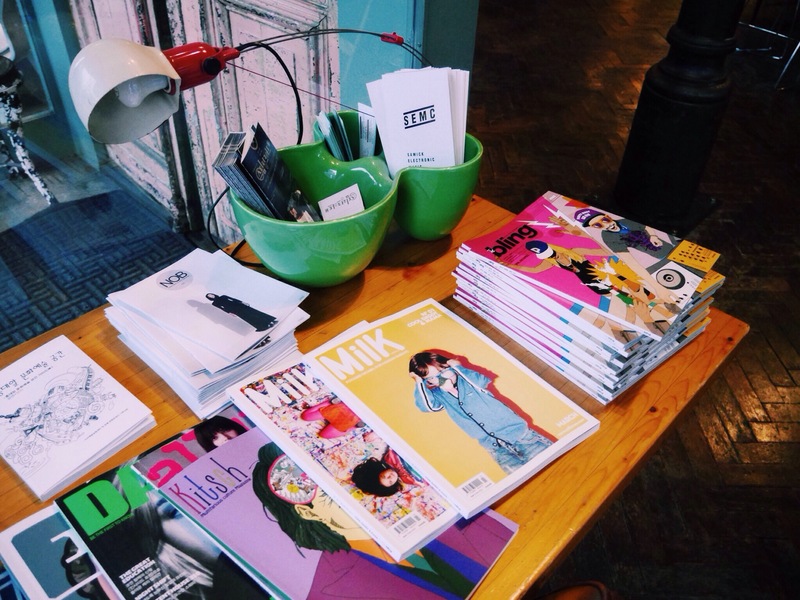 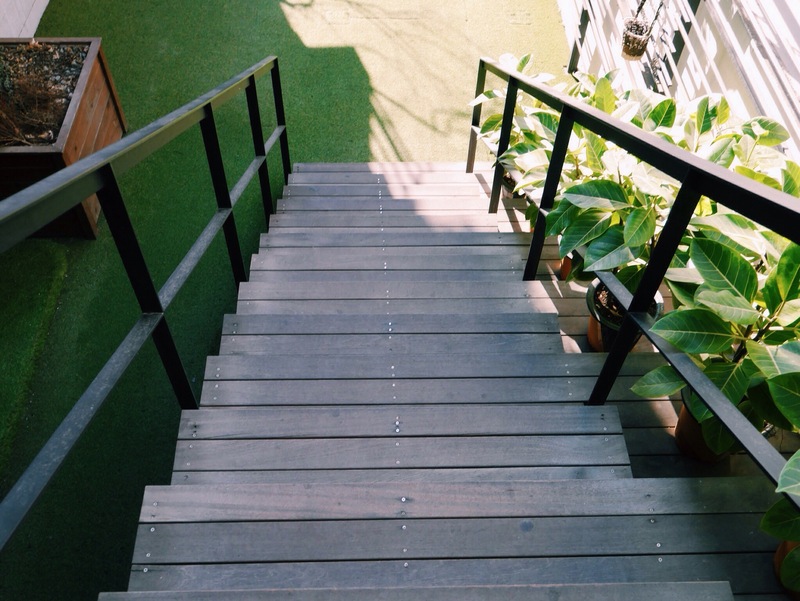 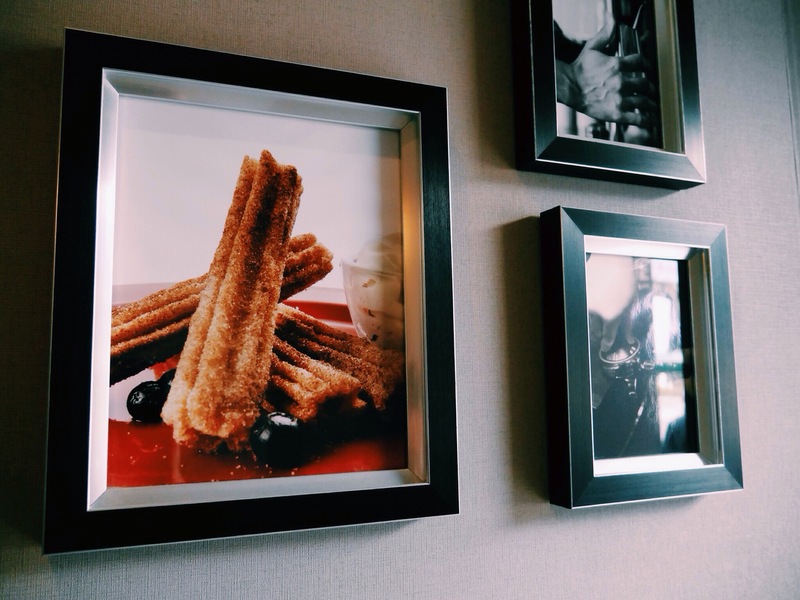 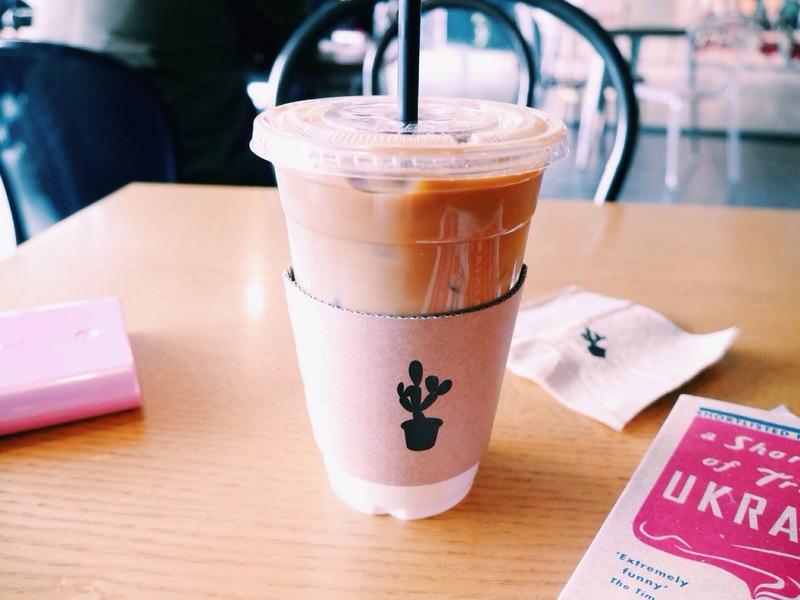 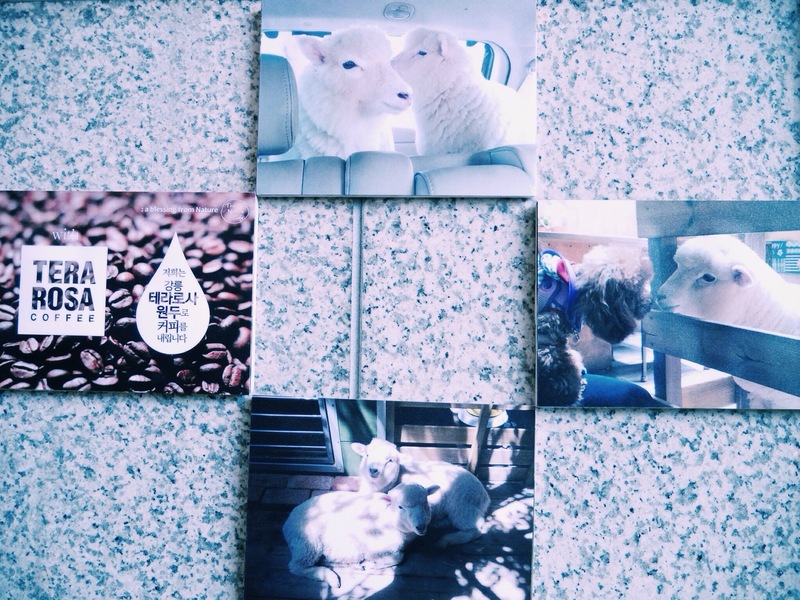 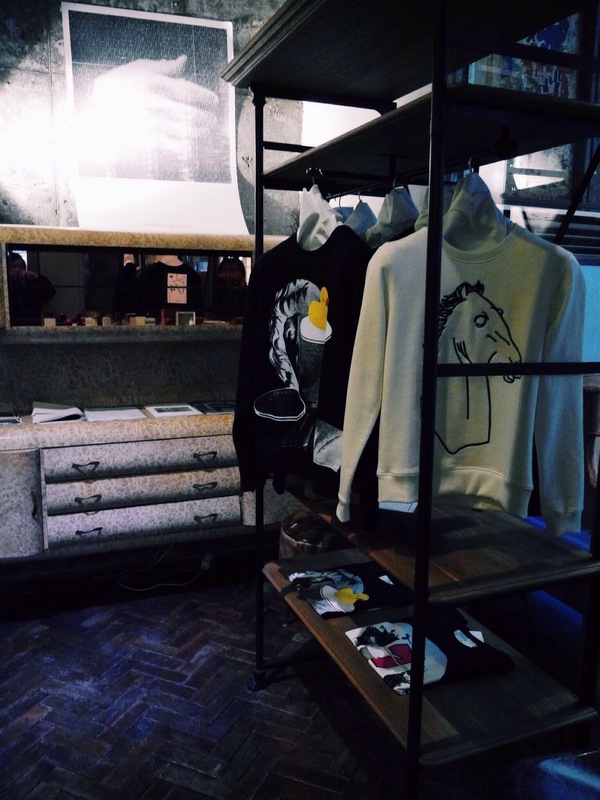 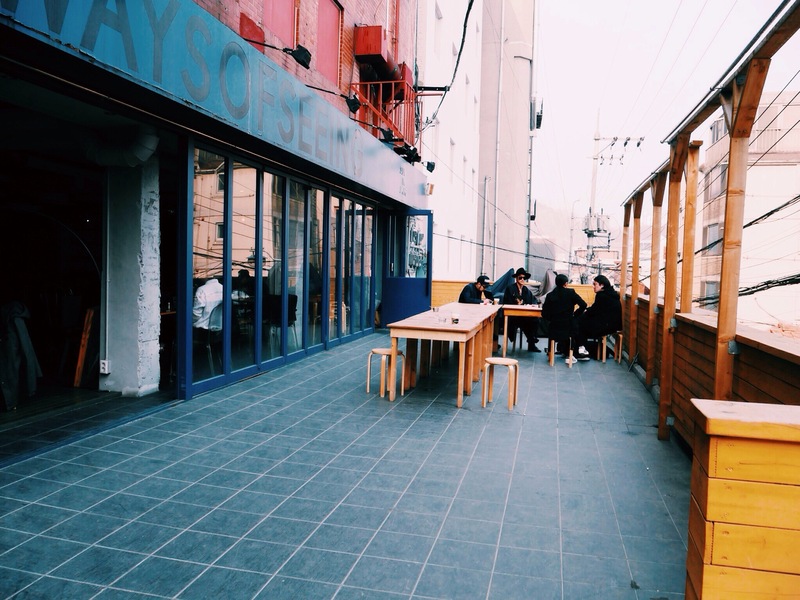 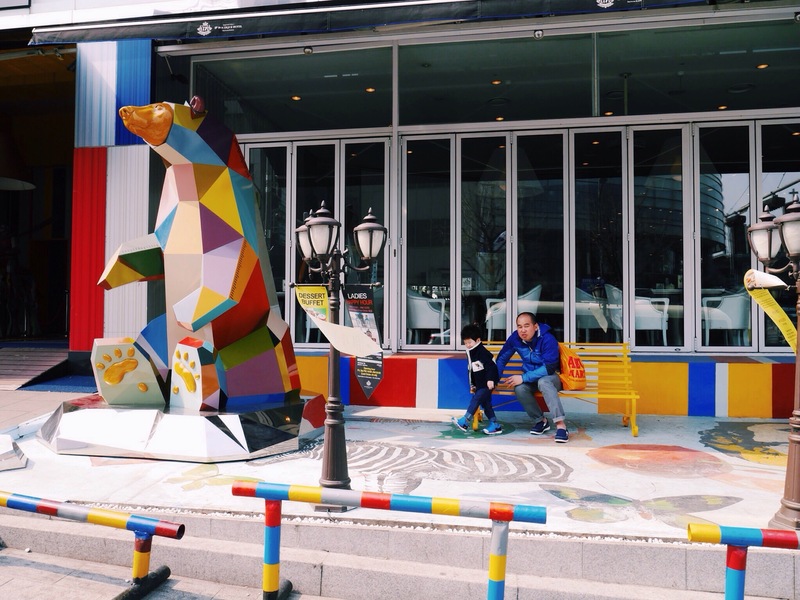 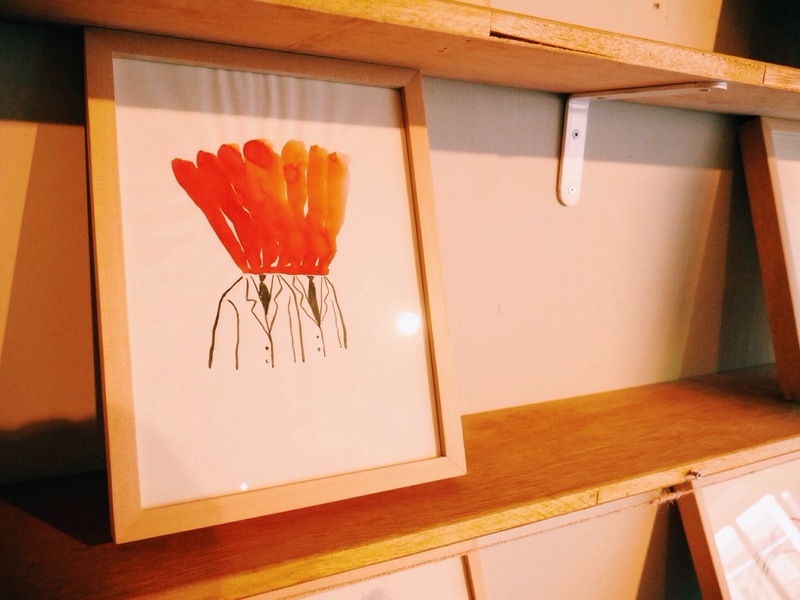 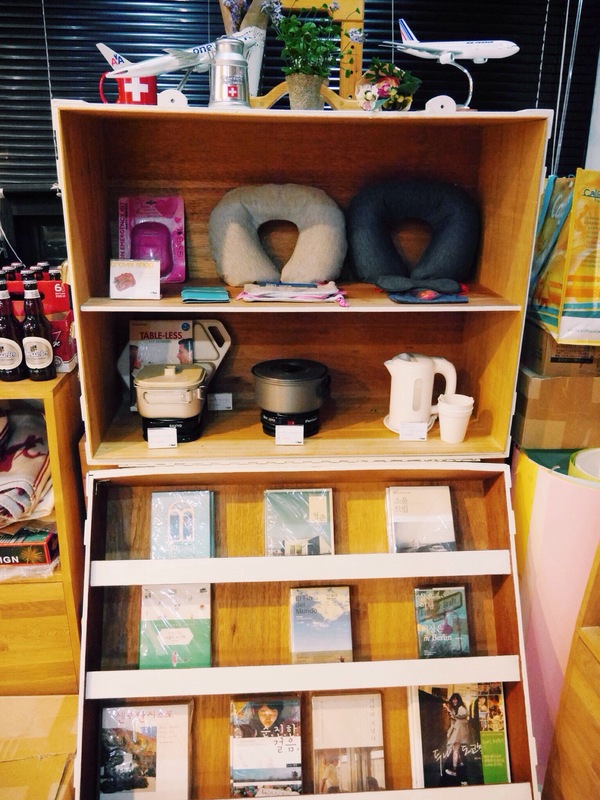 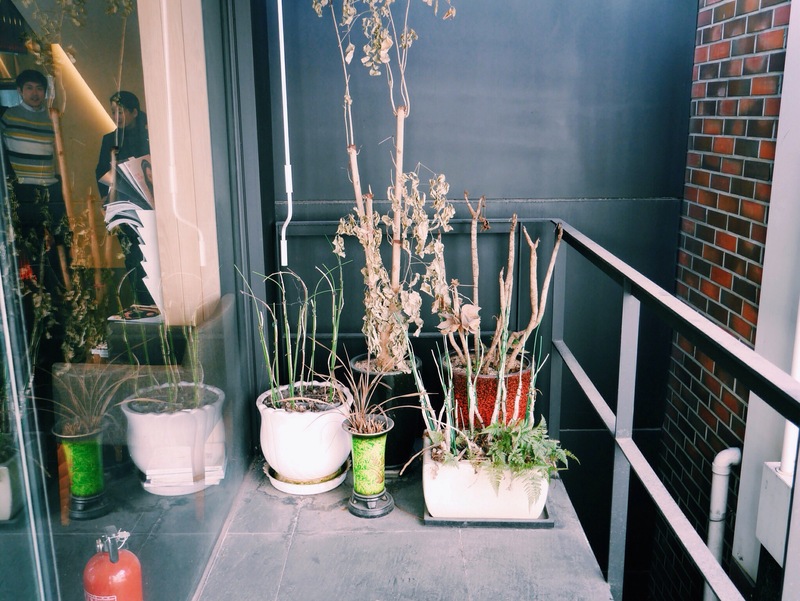 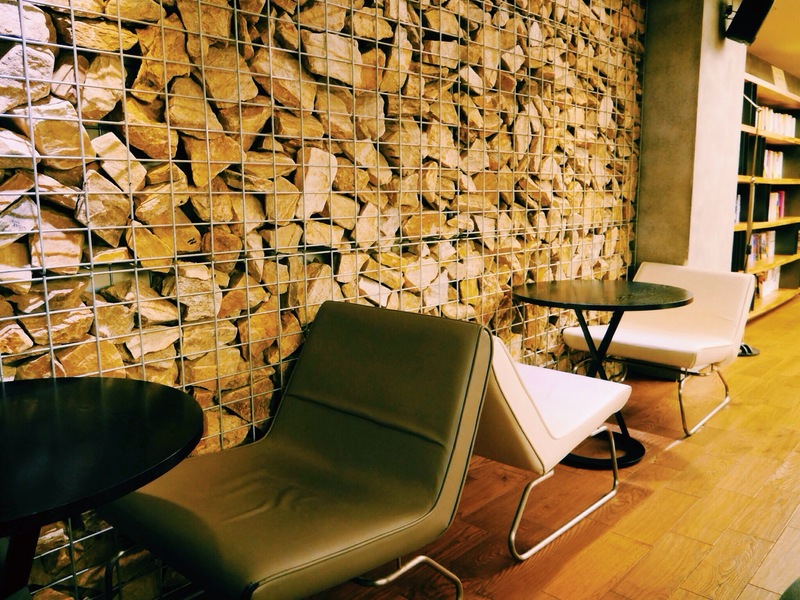 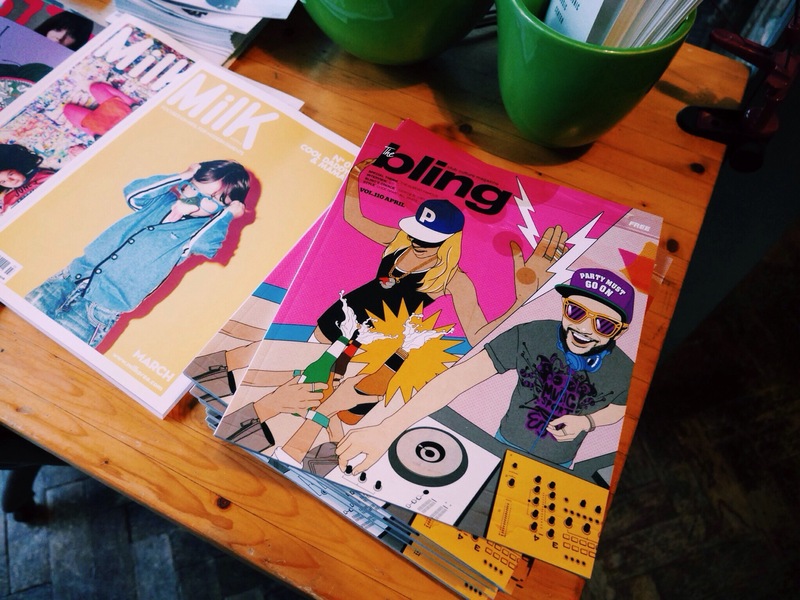 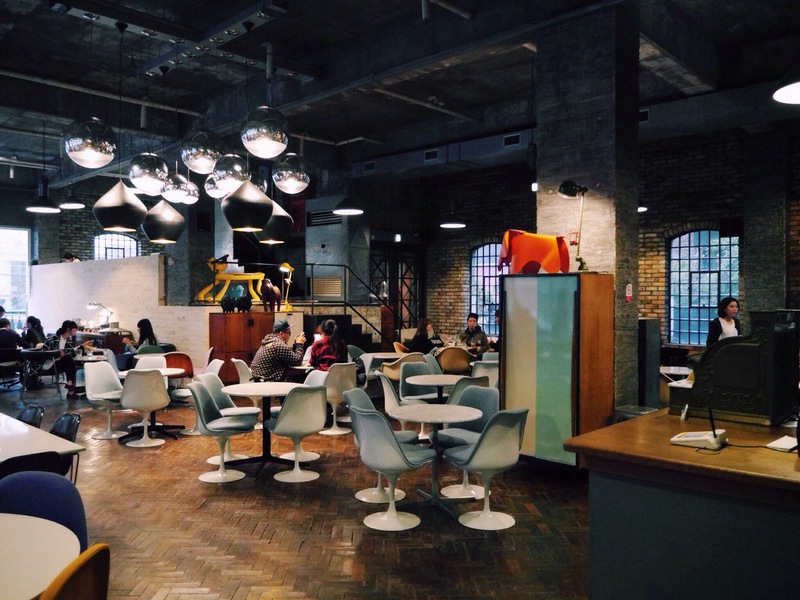 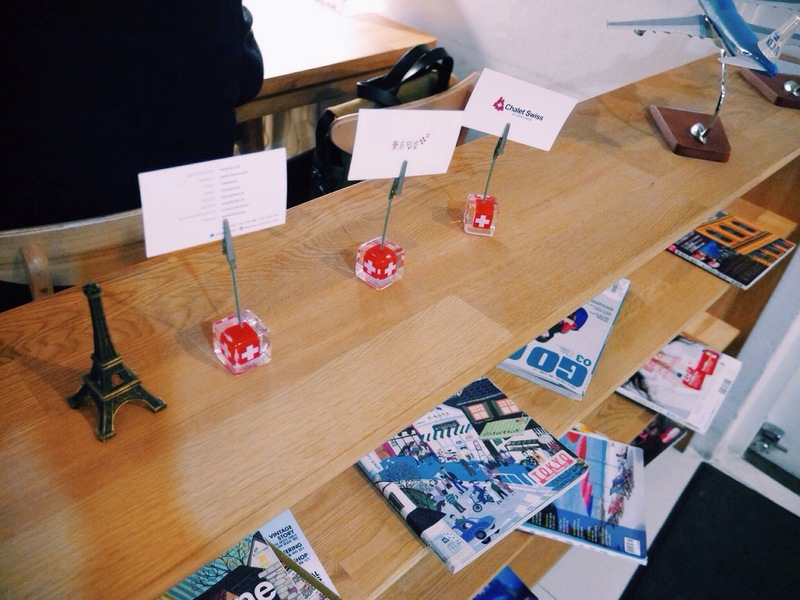 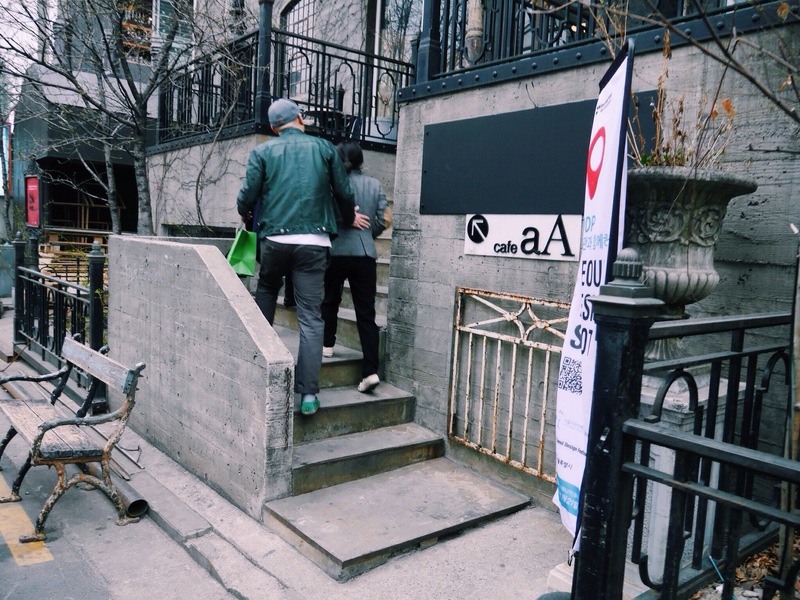 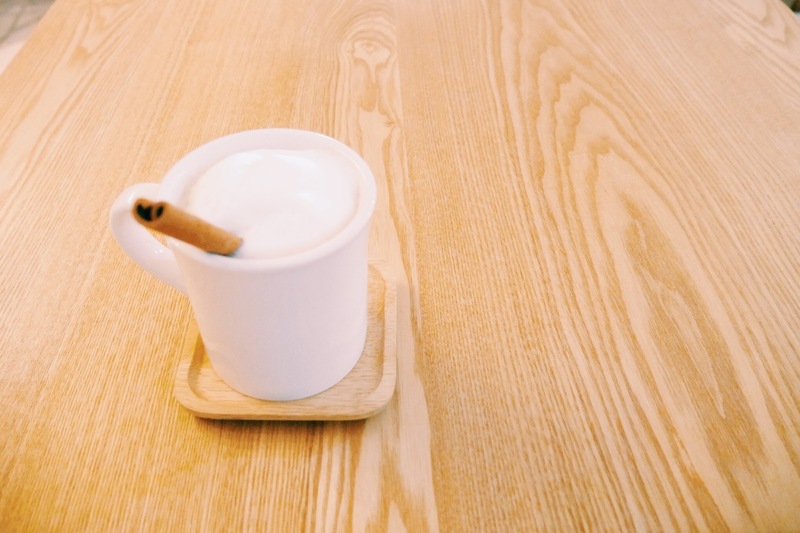 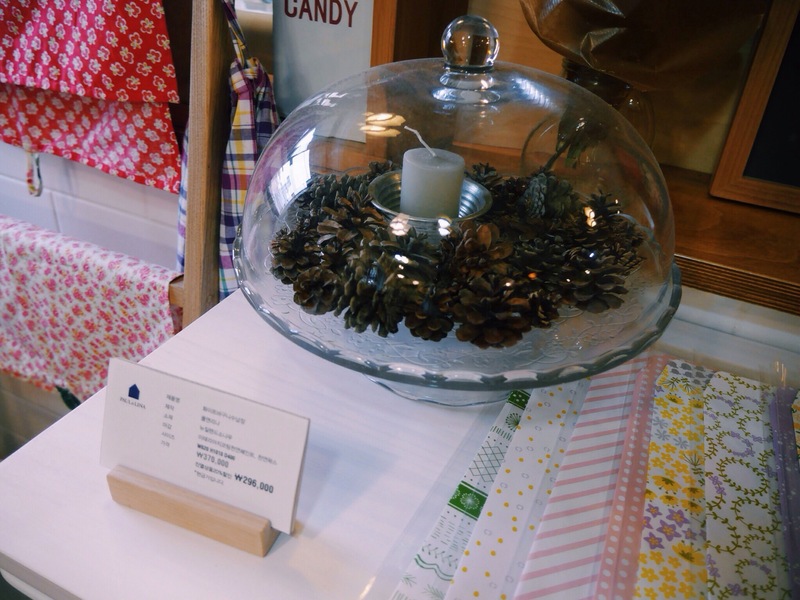 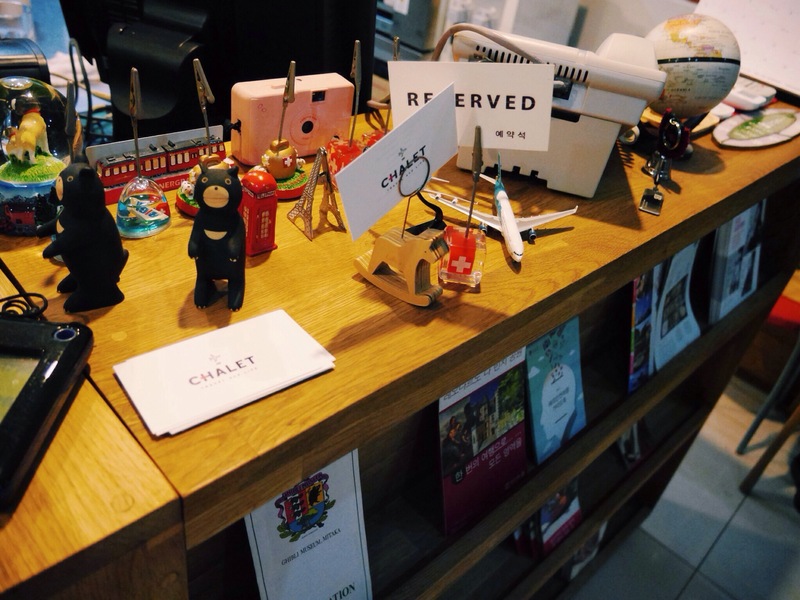 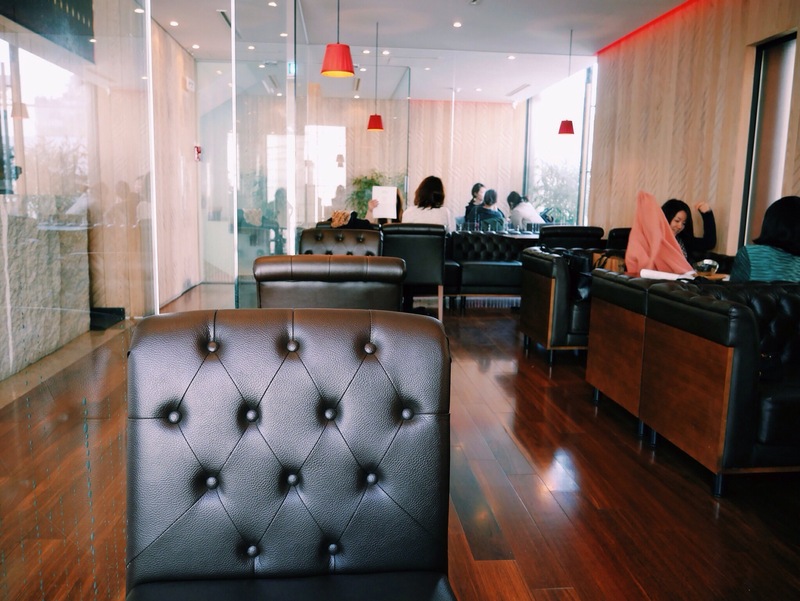 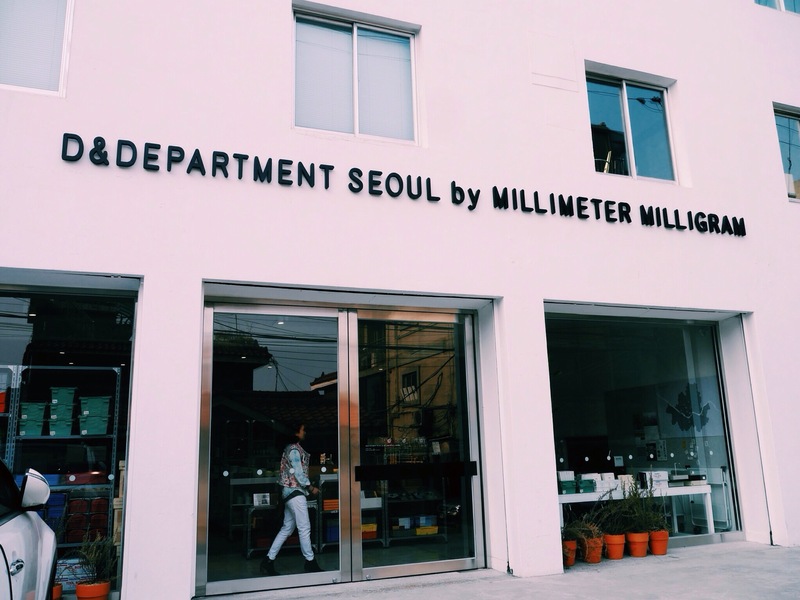 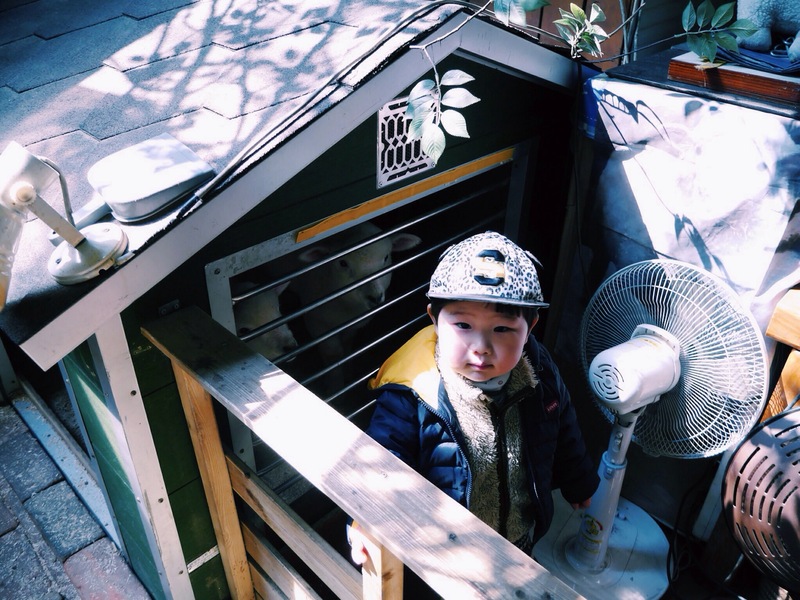 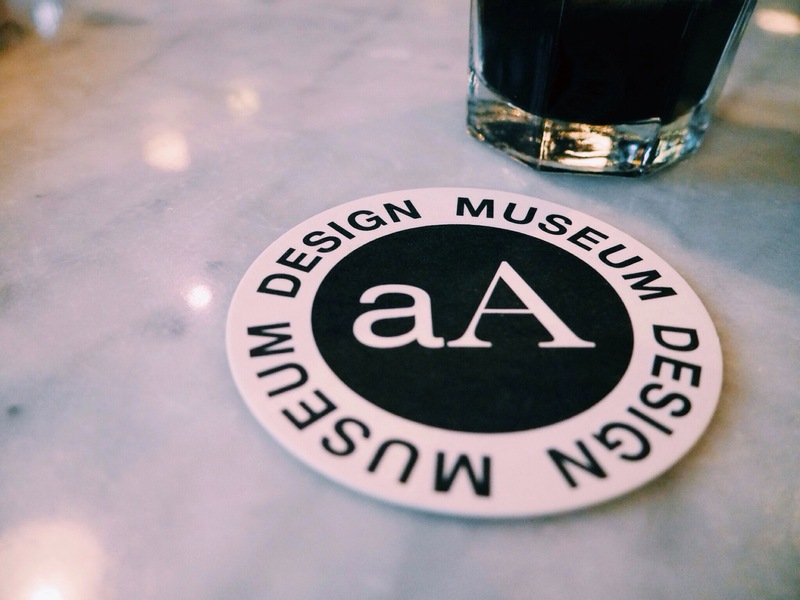 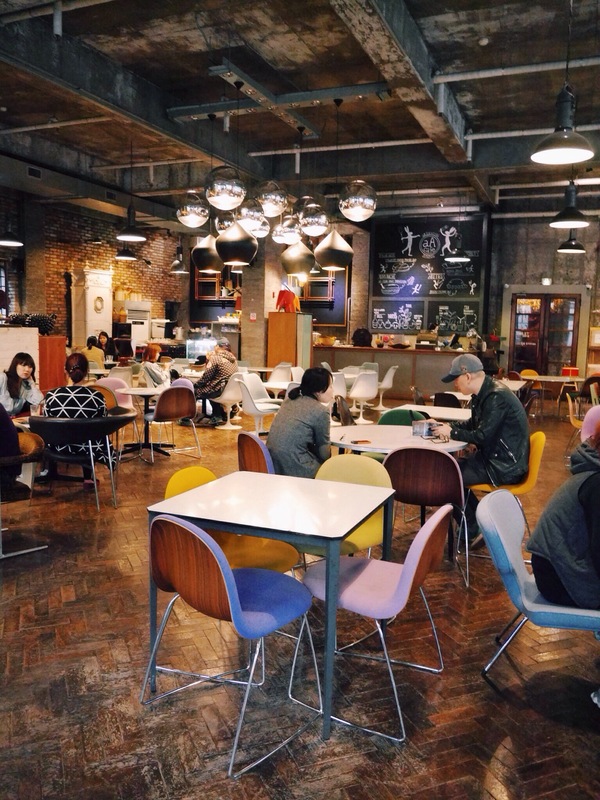 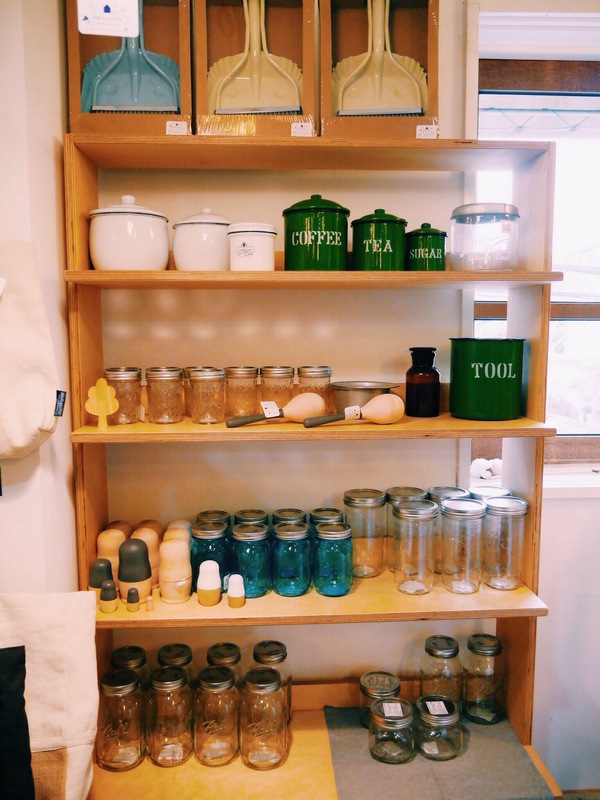 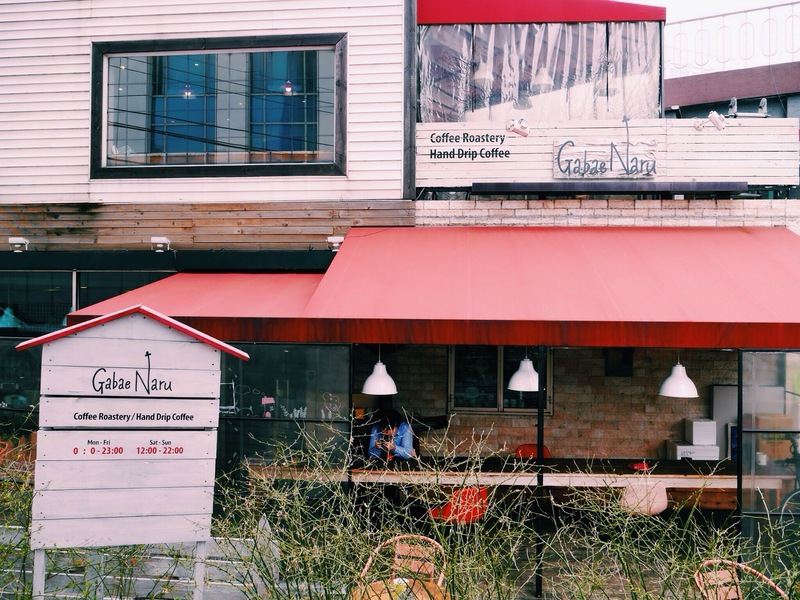 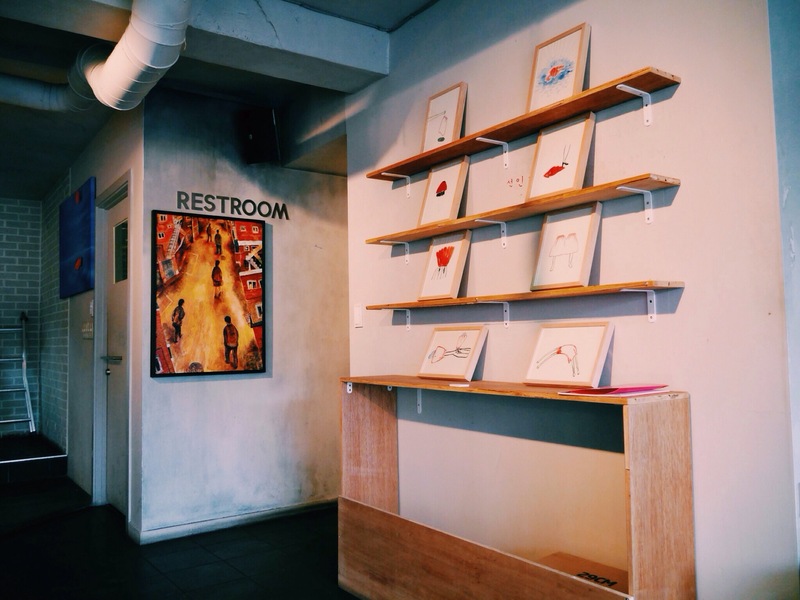 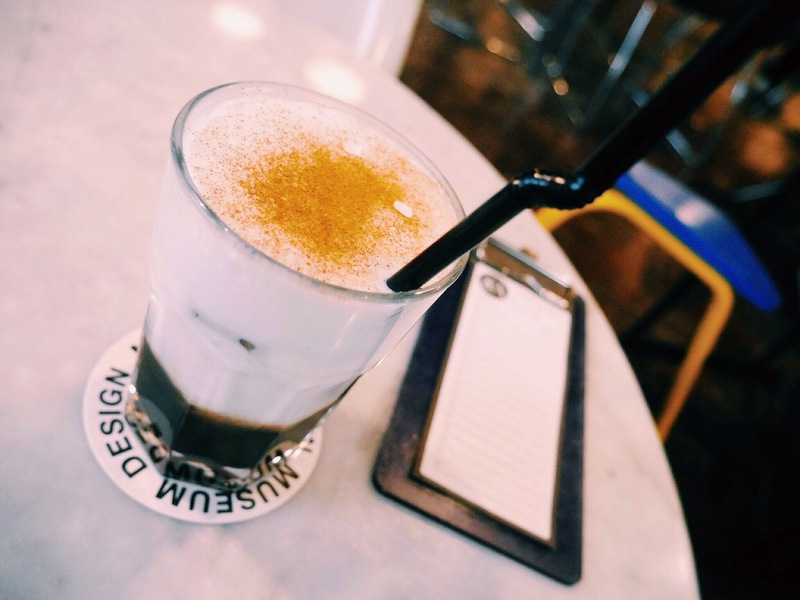 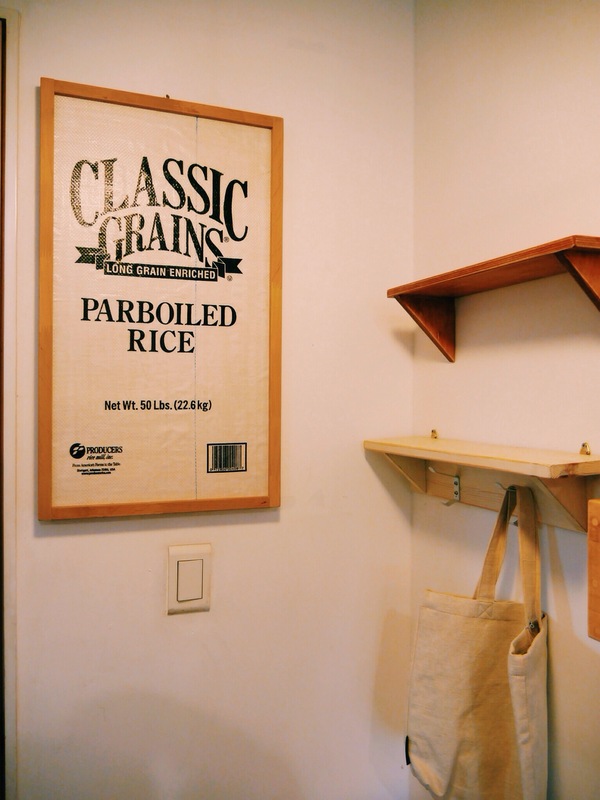 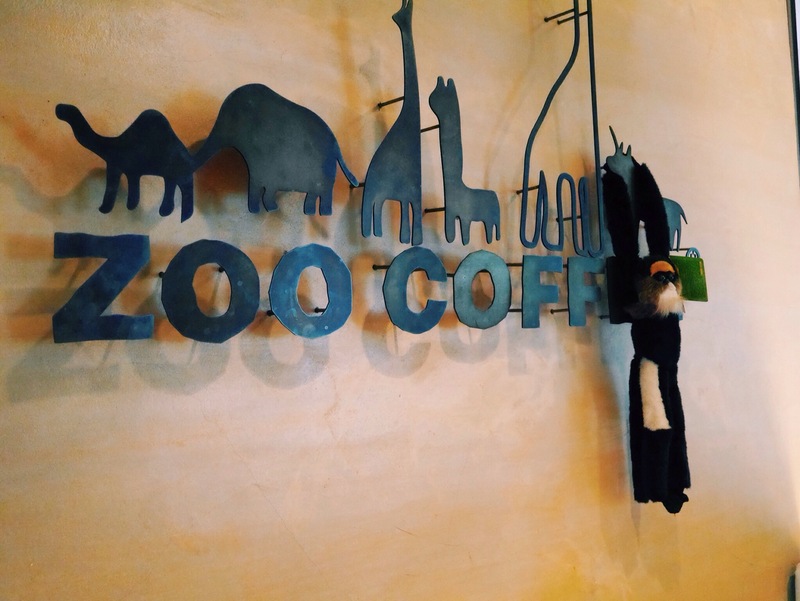 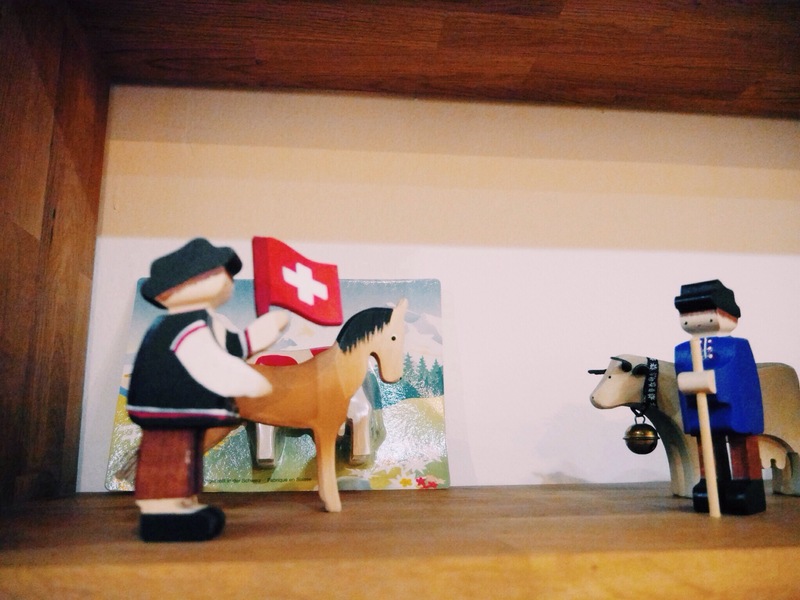 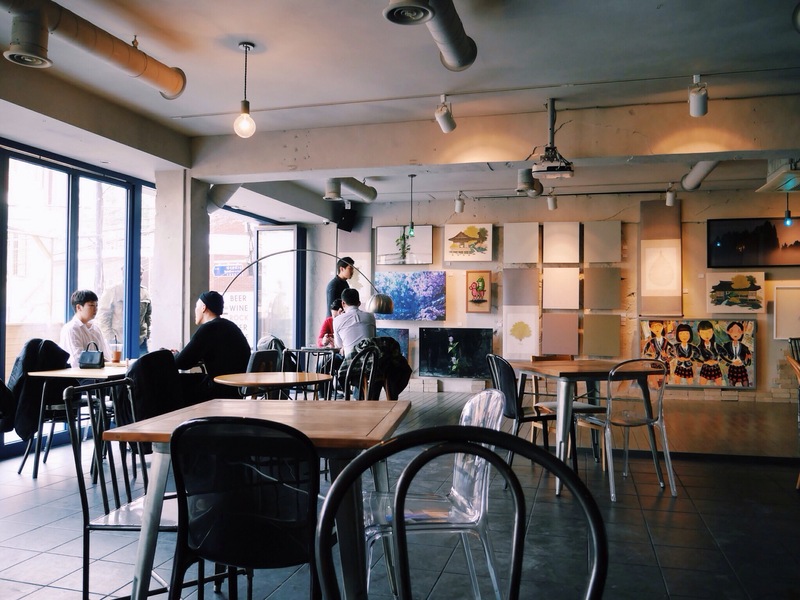 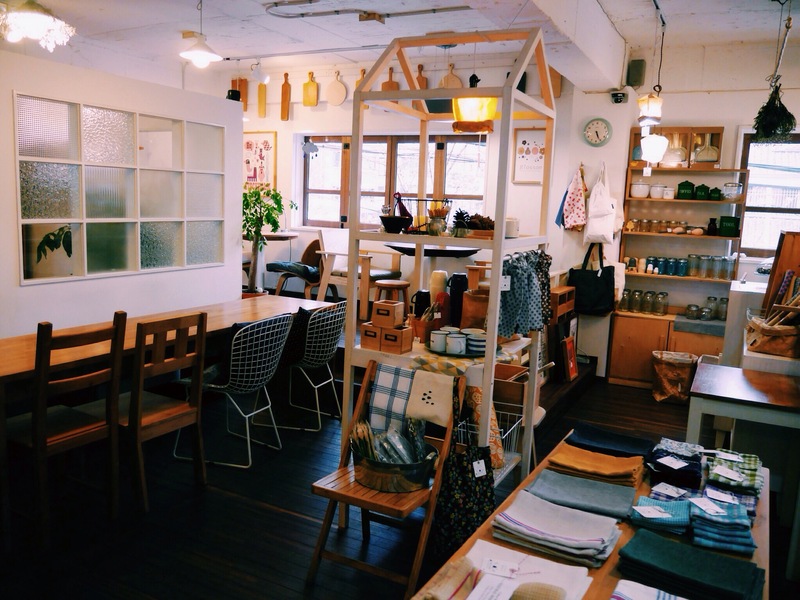 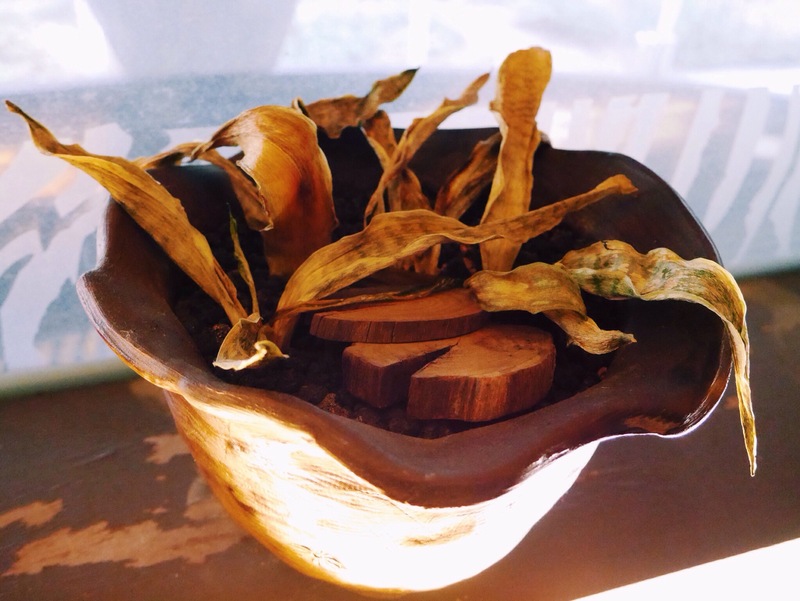 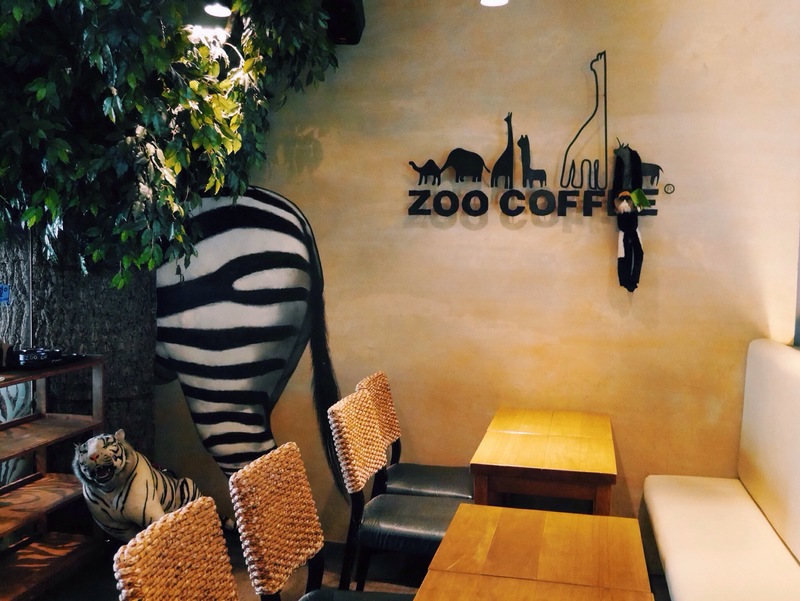 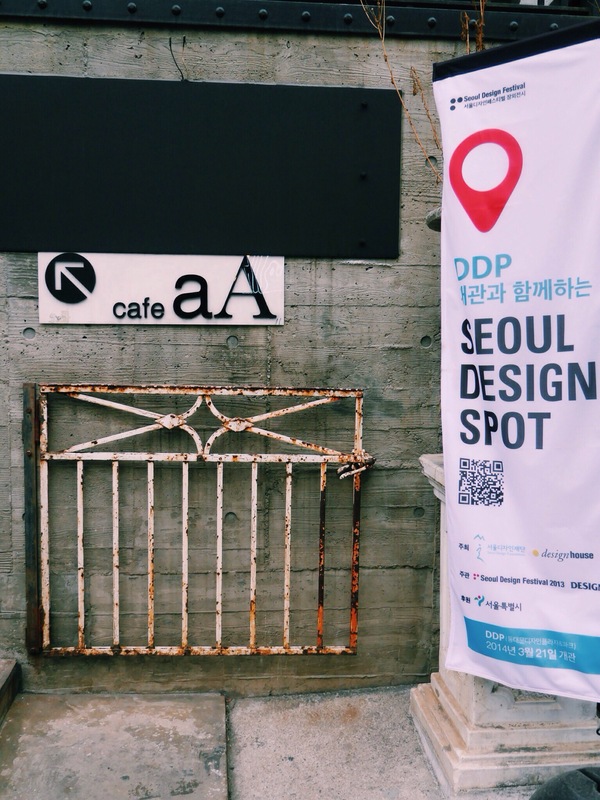 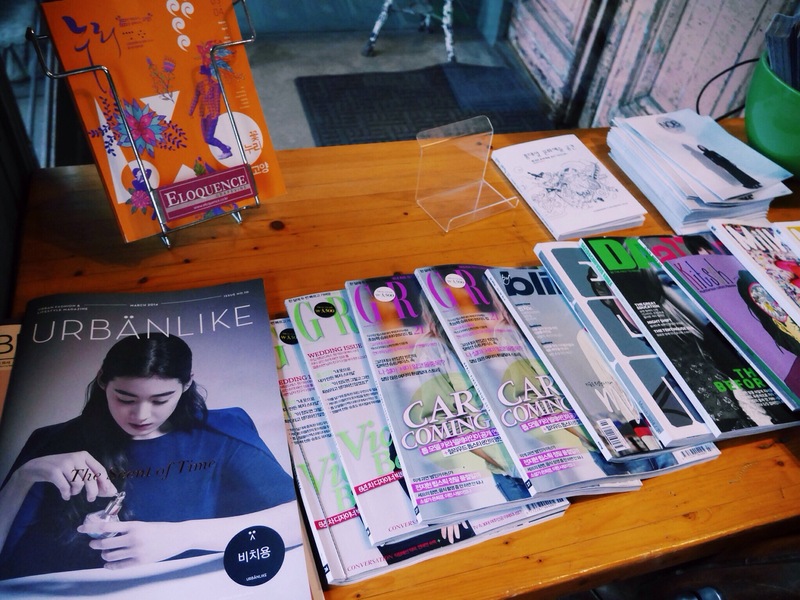 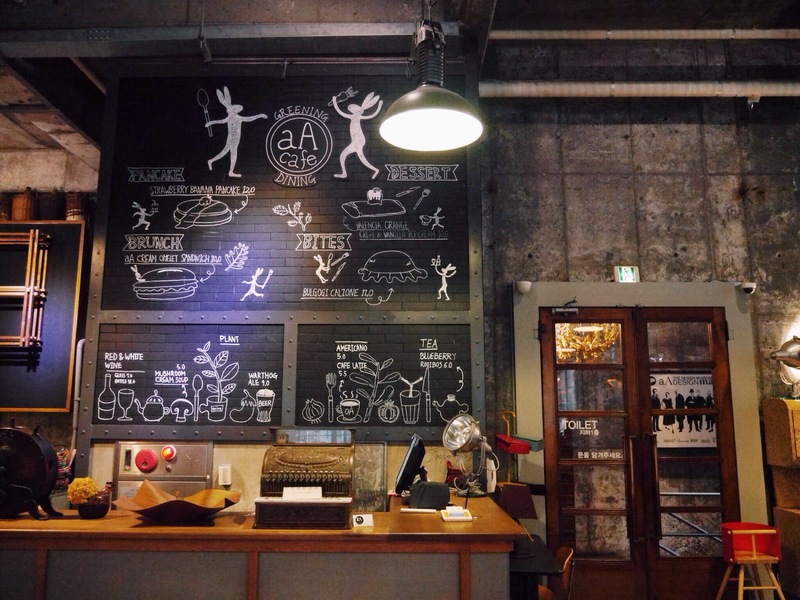 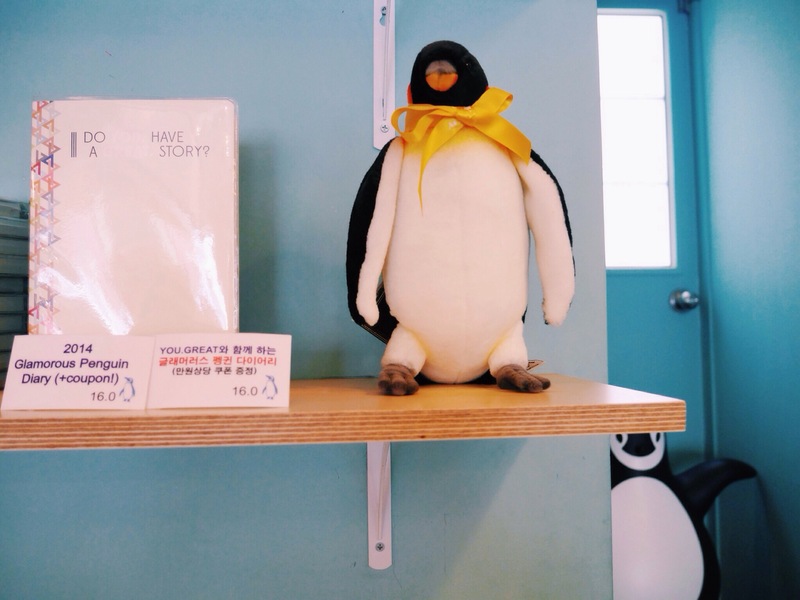 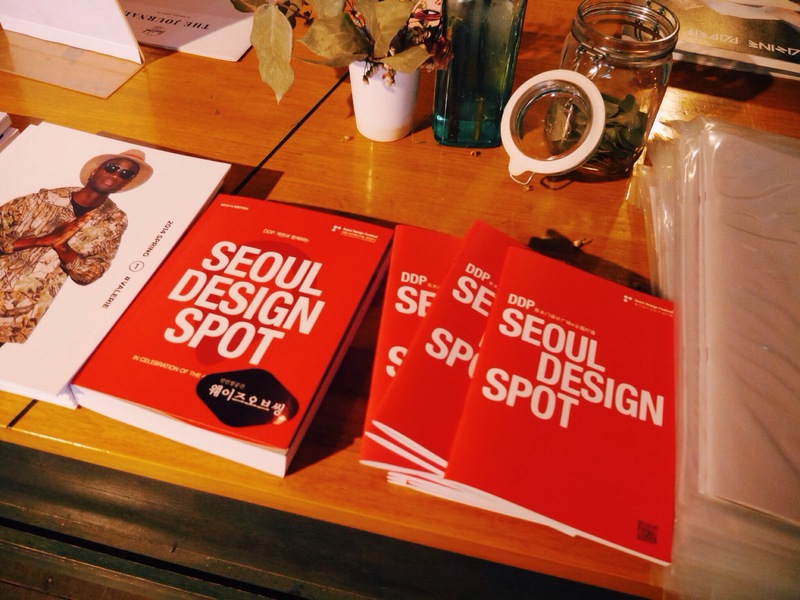 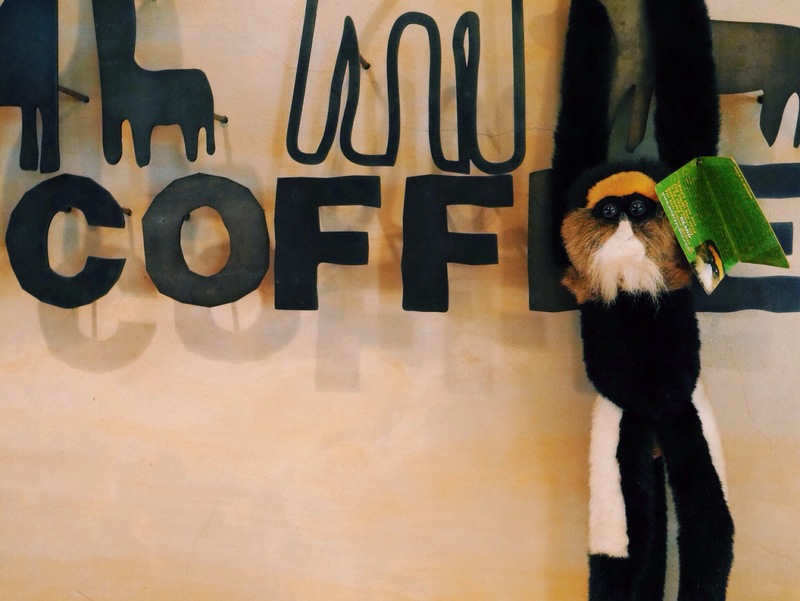 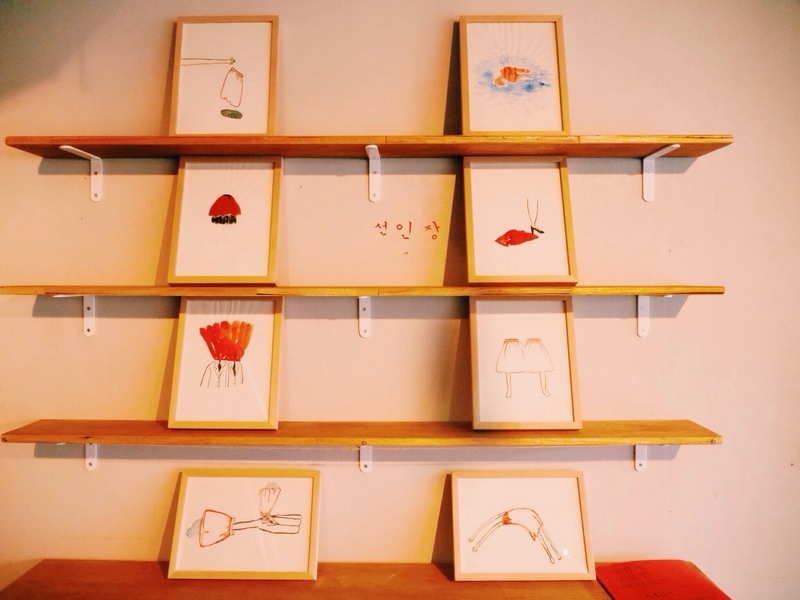 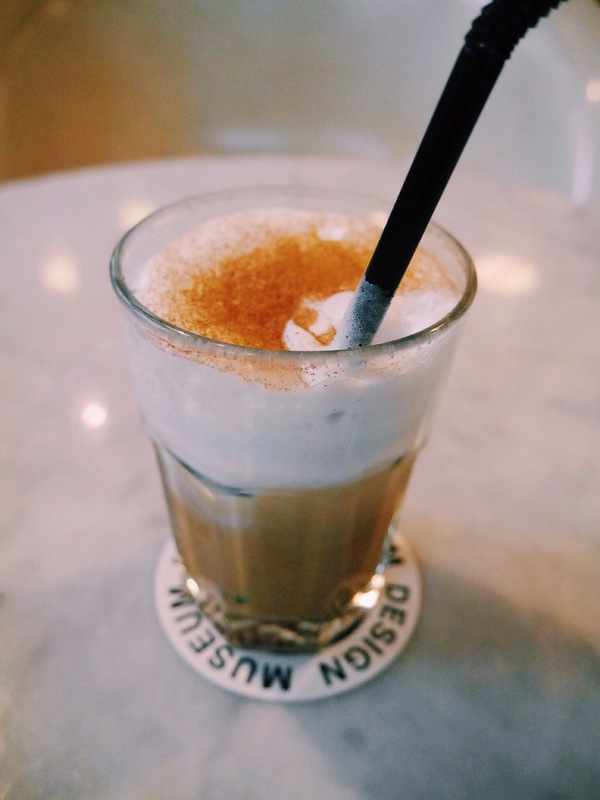 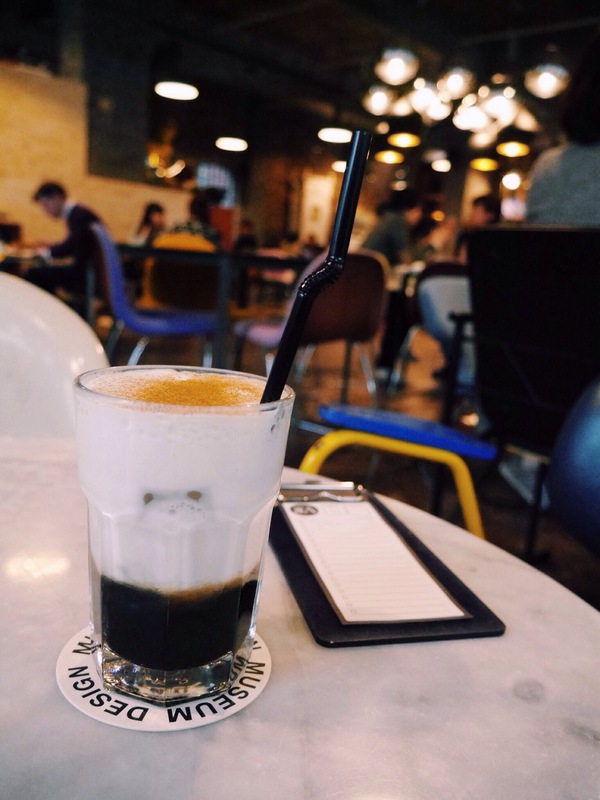 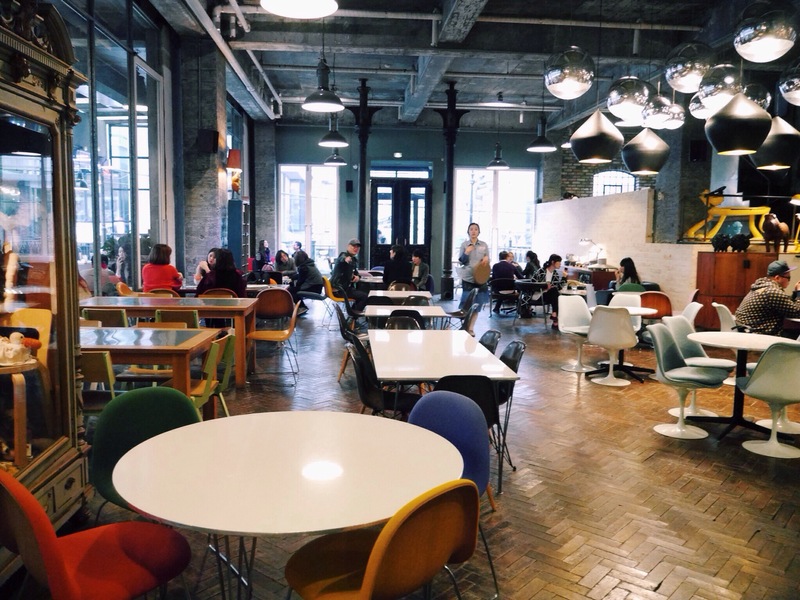 Expect top-notch Americanos and loads of Seoul Design-Spot cafe galleries! 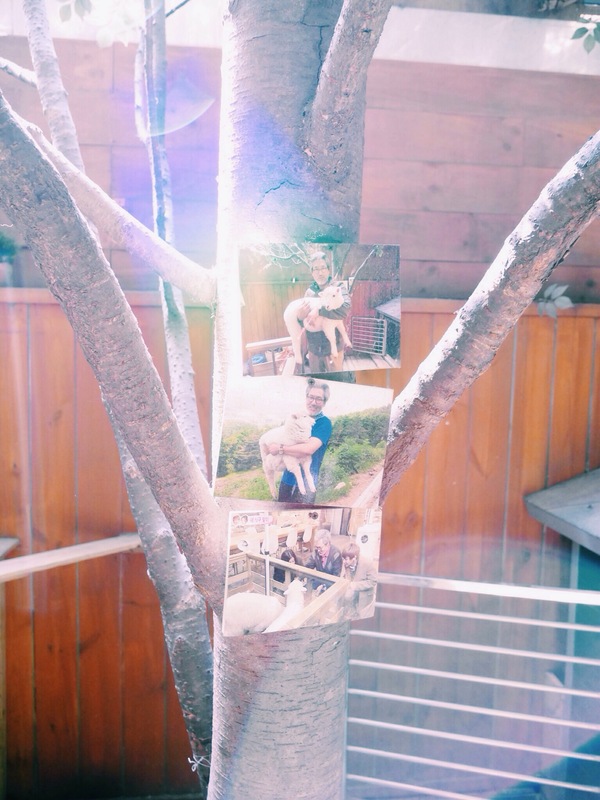 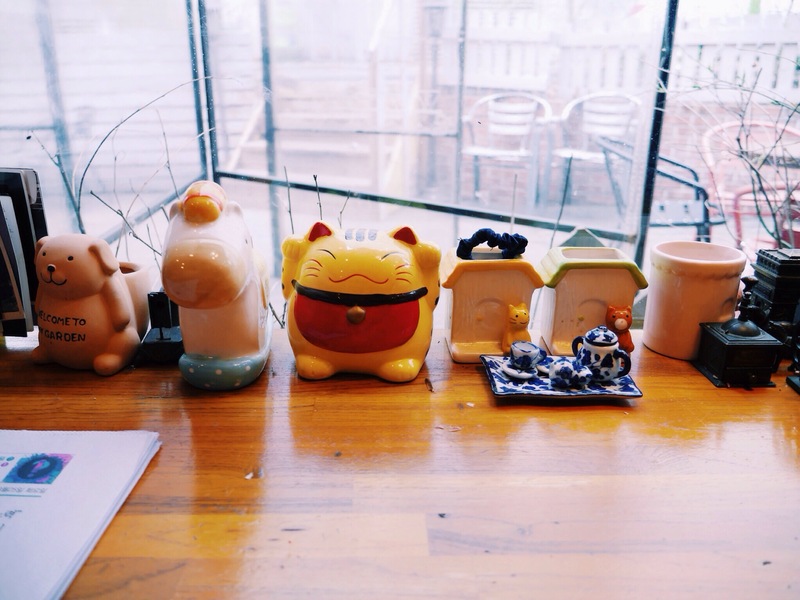 Here are some of my favourites! 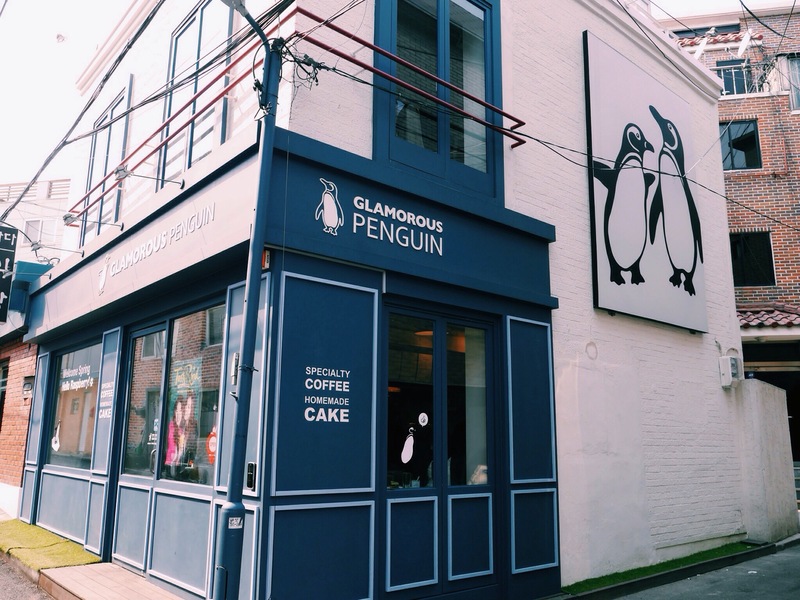 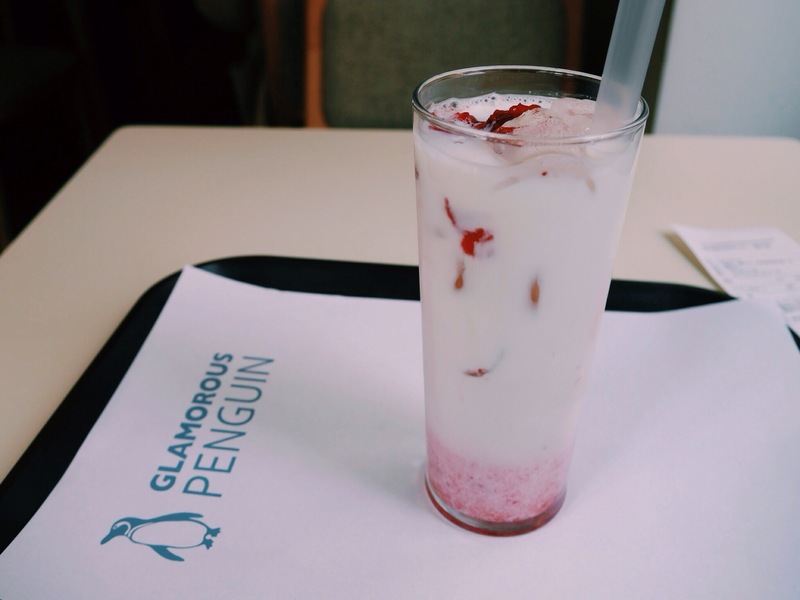 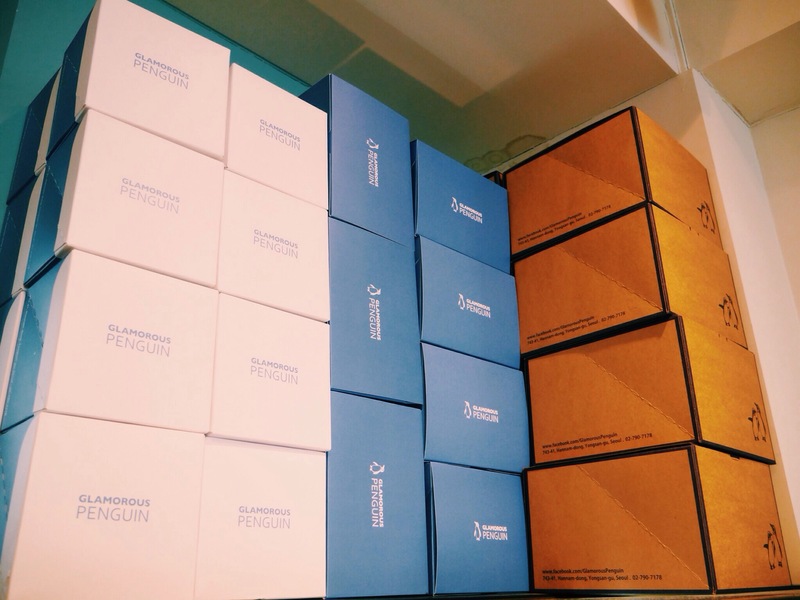 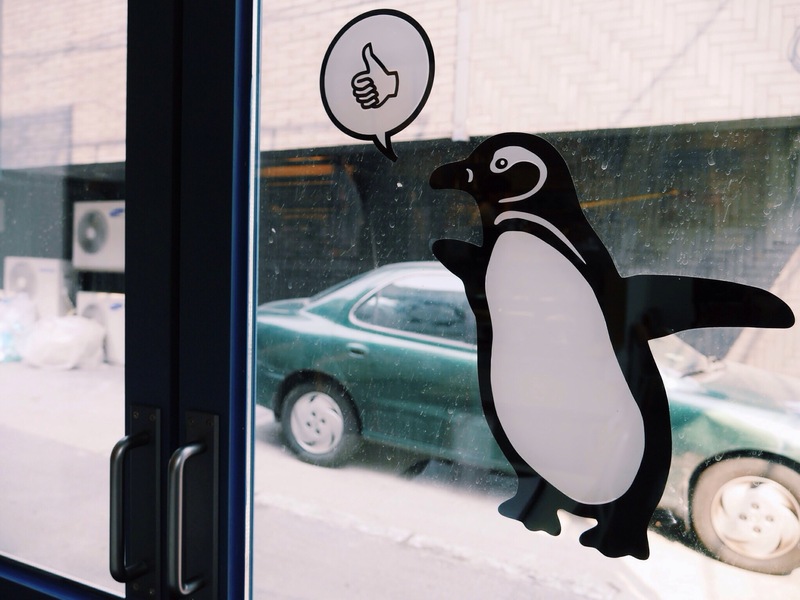 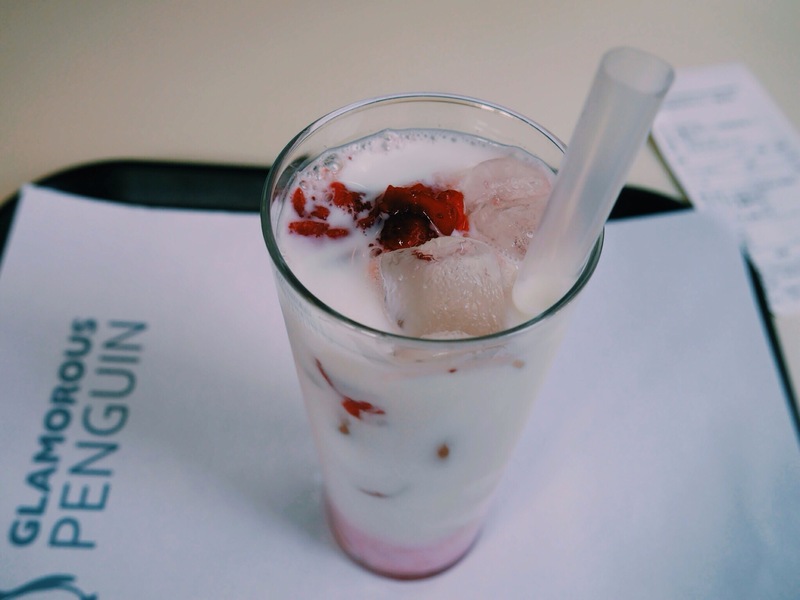 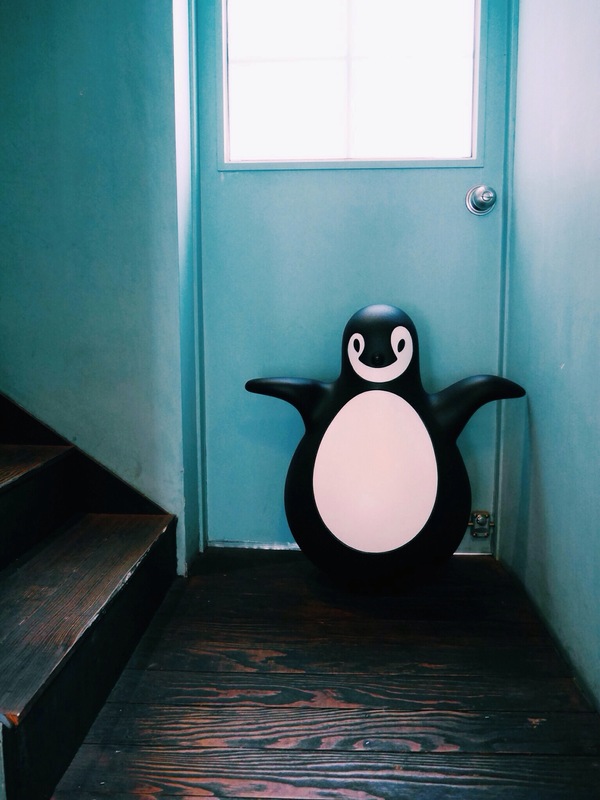 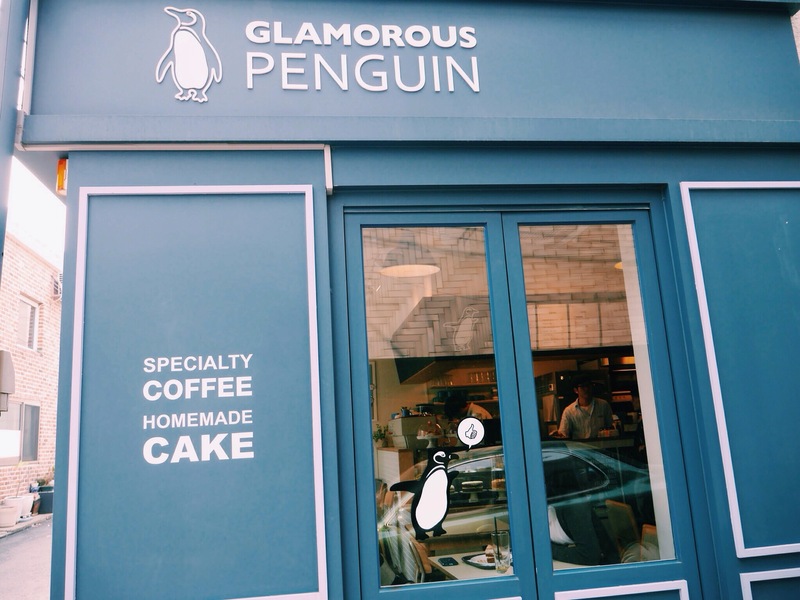 For more updates on Glamorous Penguin. 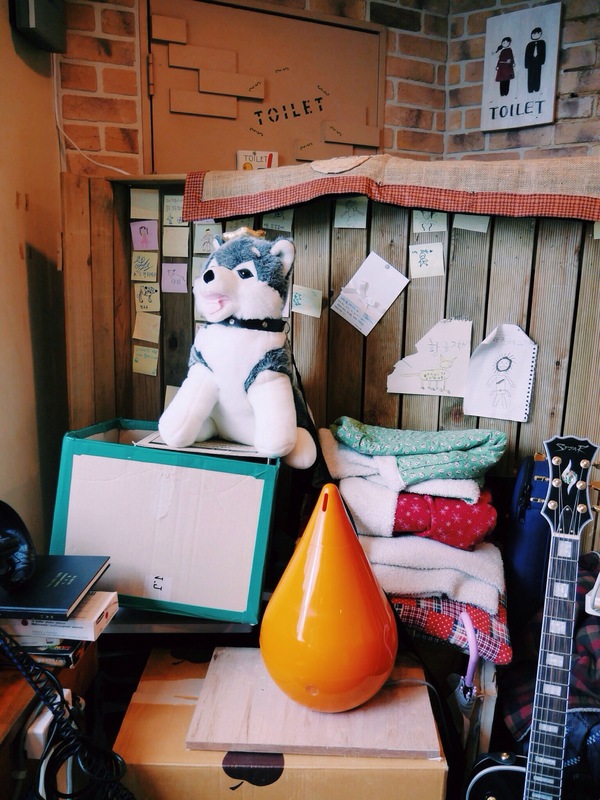 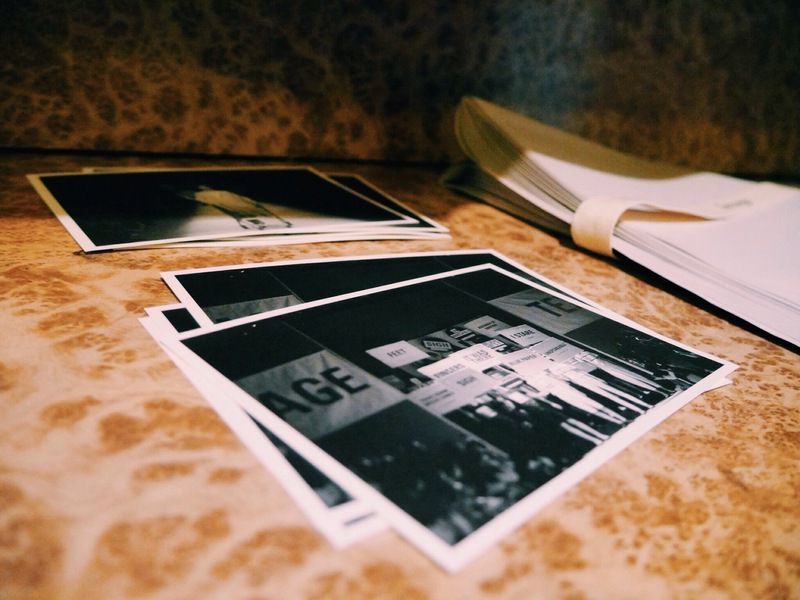 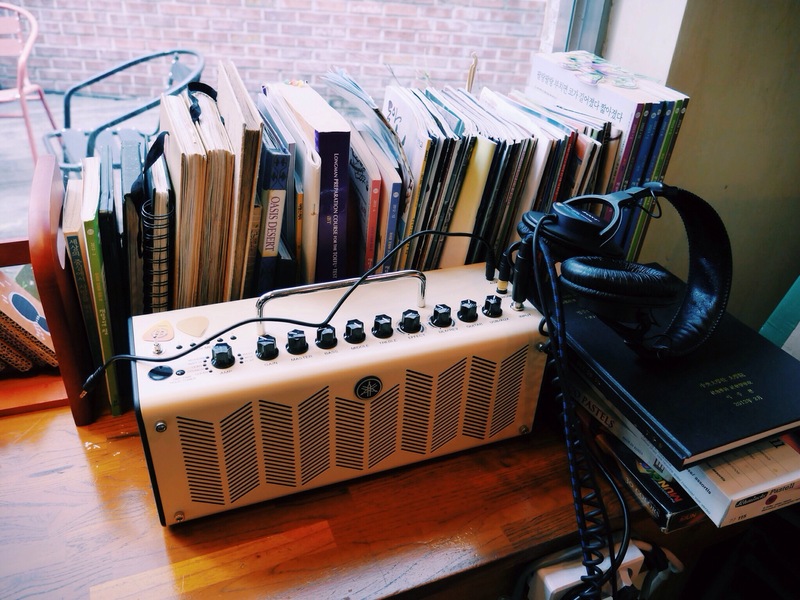 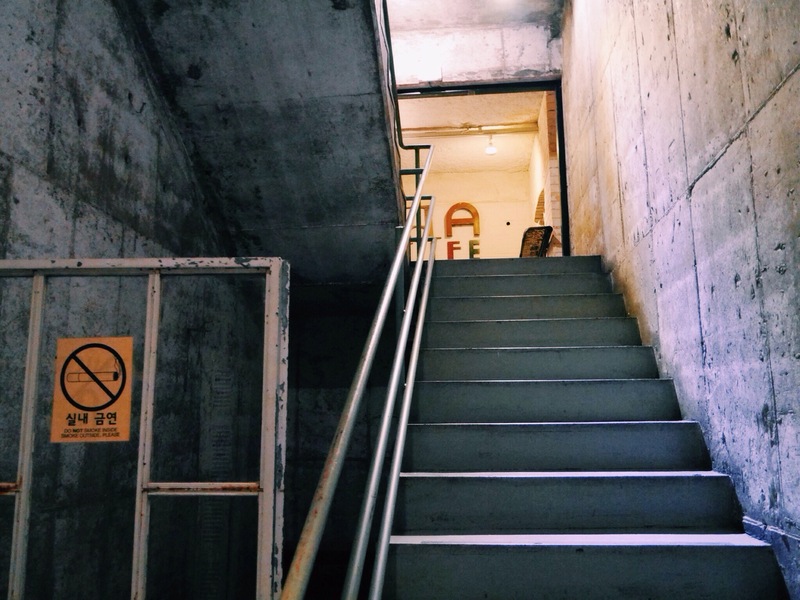 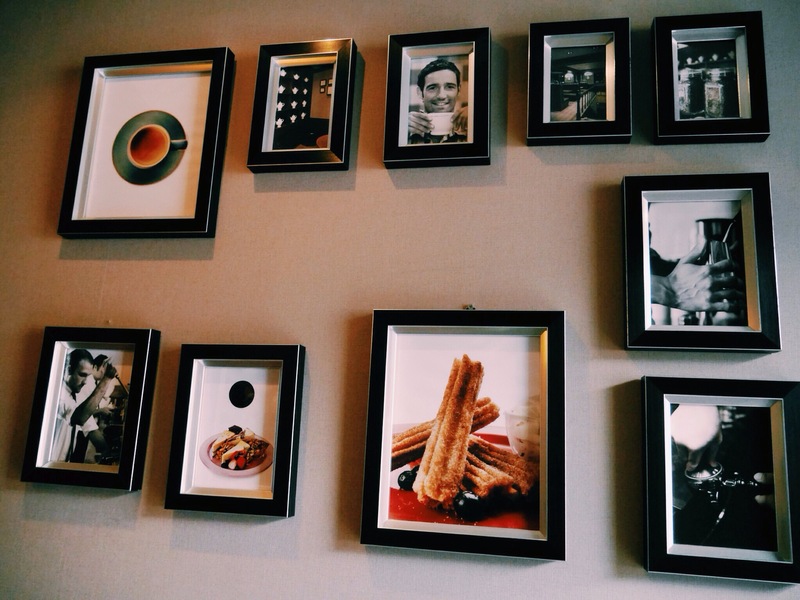 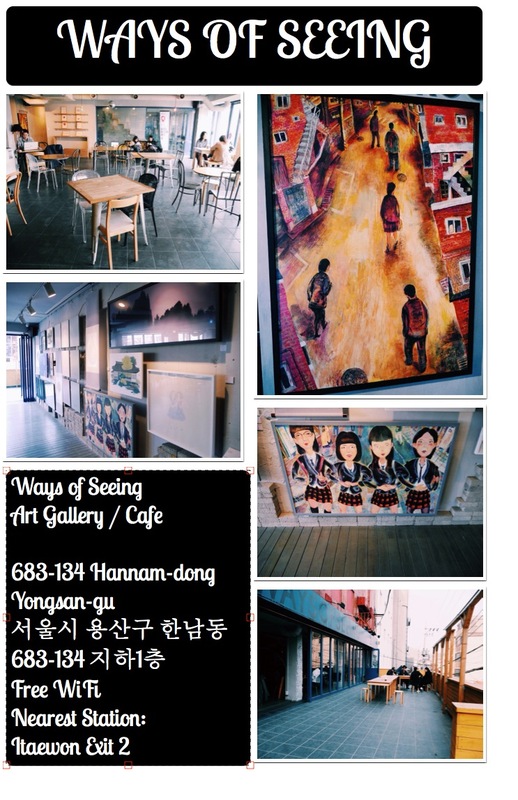 For more updates on Ways of Seeing Art Gallery / Cafe. 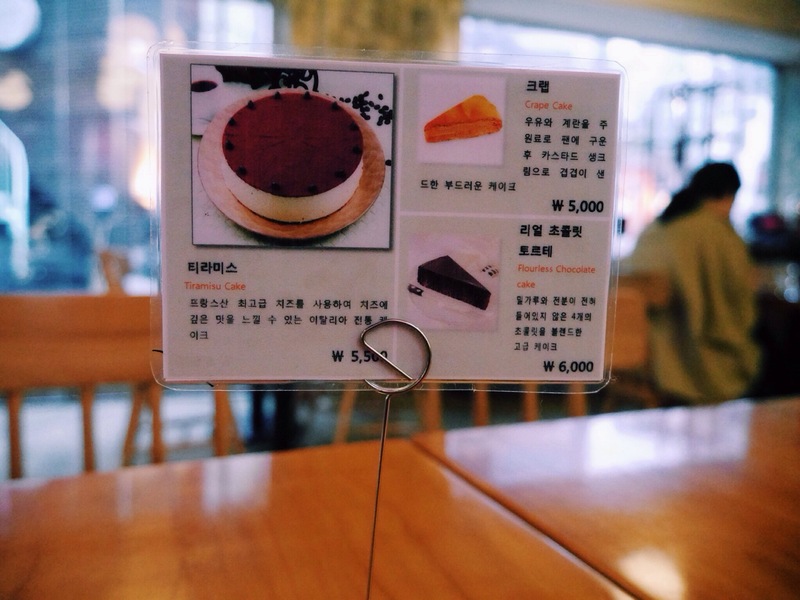 [10:59 AM] Grabbed Kyeran Bang 계란 빵 from a street stall! 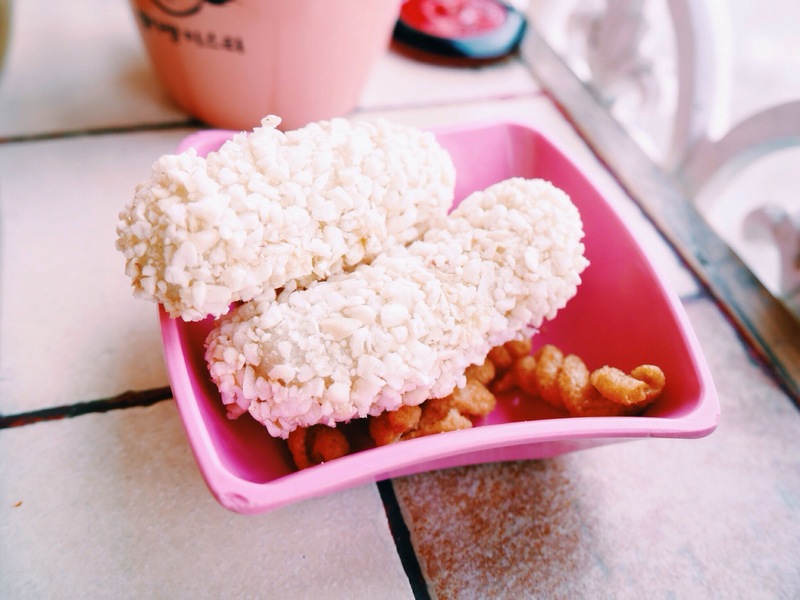 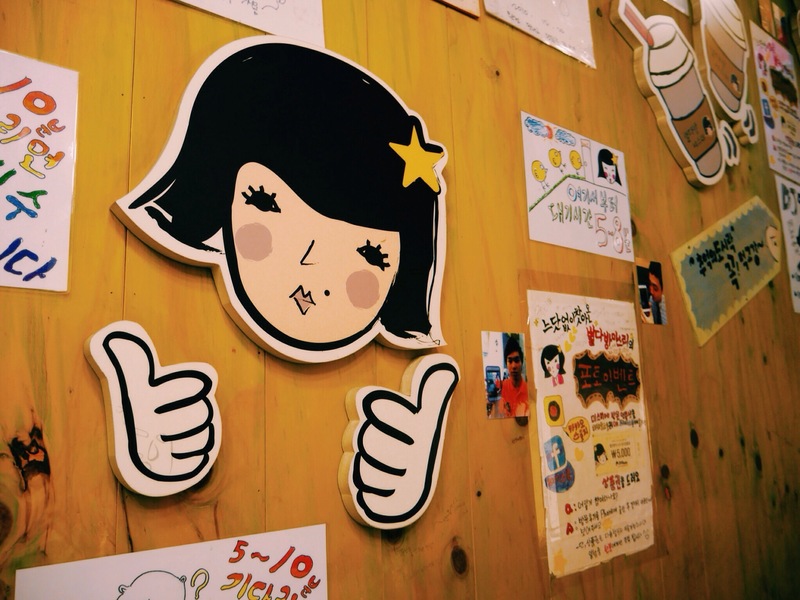 My favorite street food from Korea! 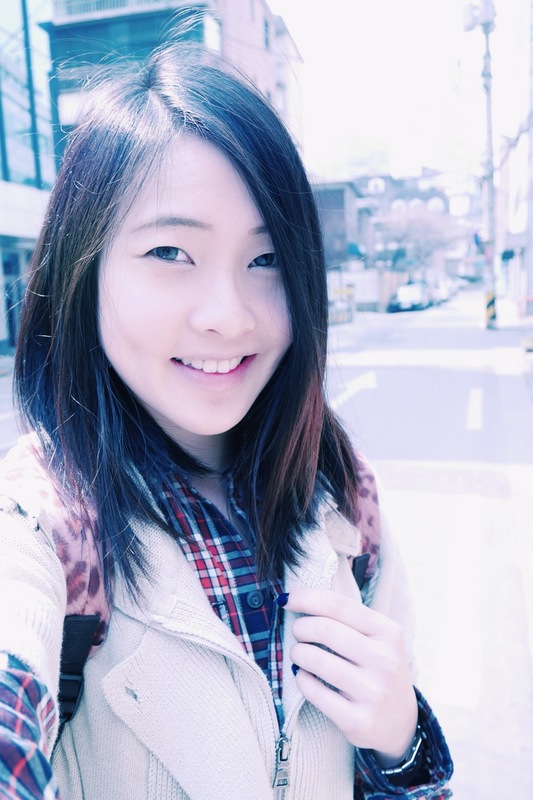 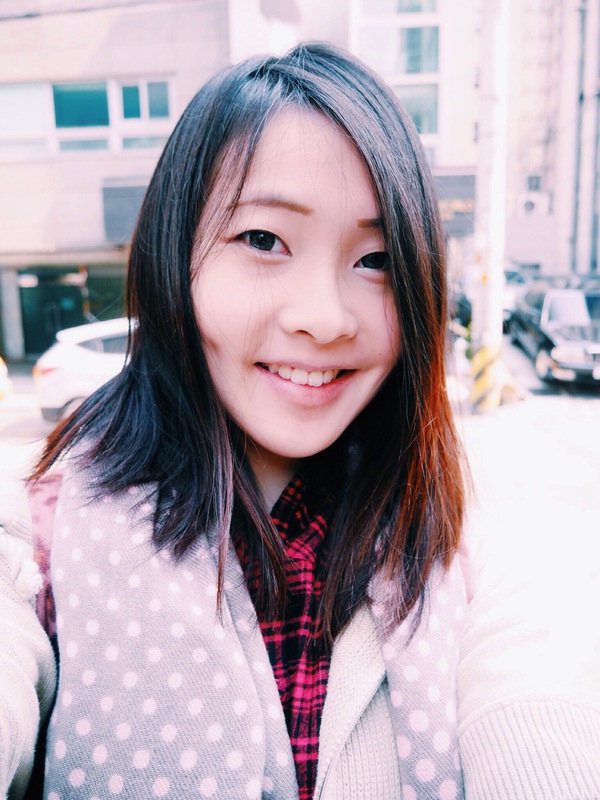 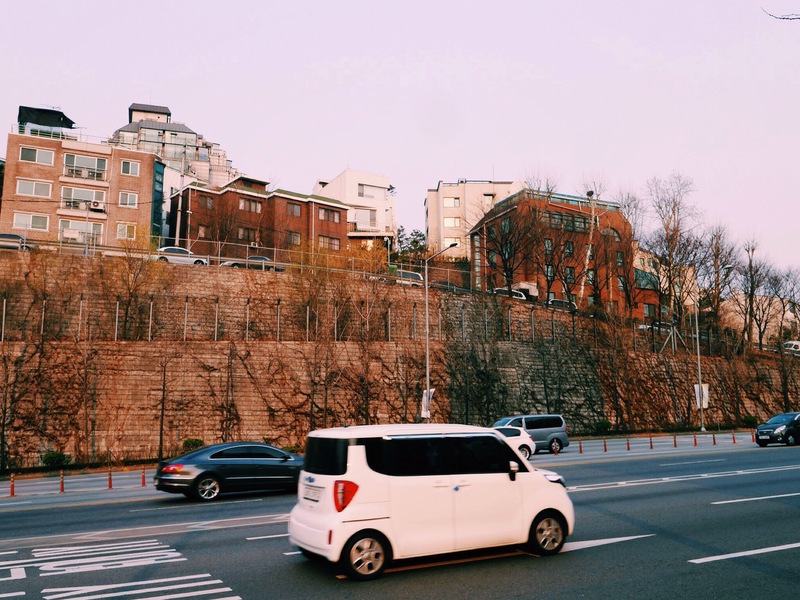 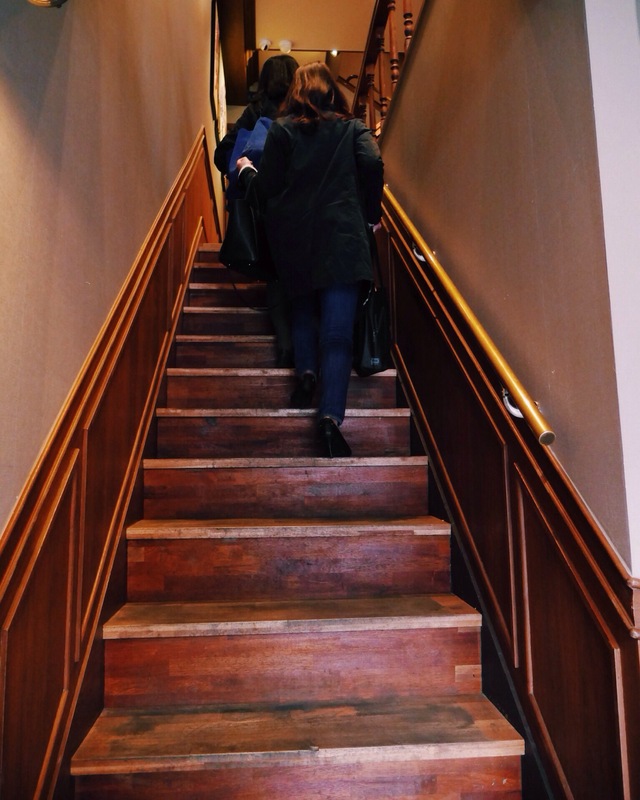 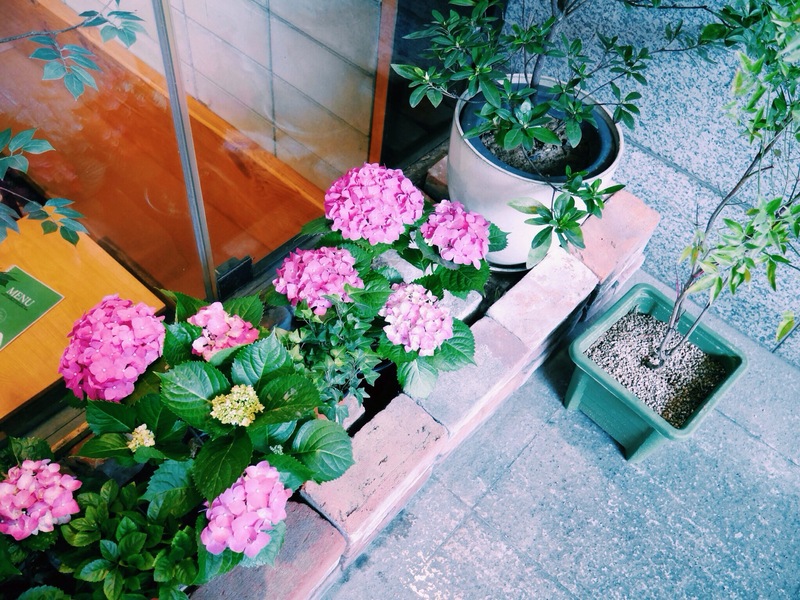 [11:00 AM] Travel to Itaewon! 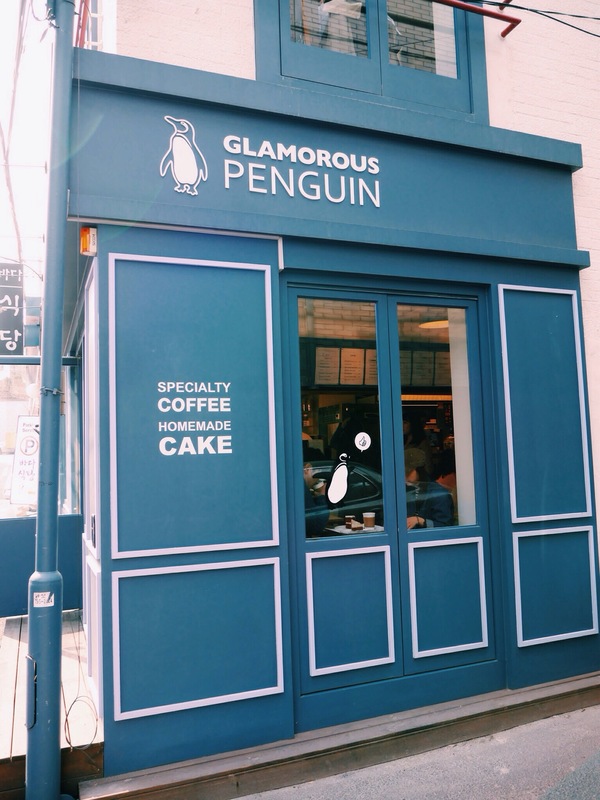 [11:20 AM] Sat down for a strawberry latte at Glamorous Penguin. 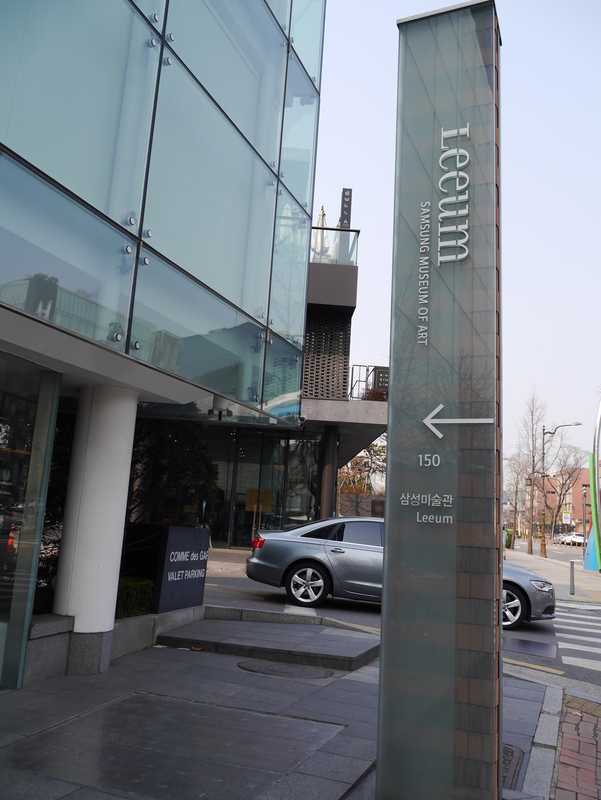 Also to leech onto their WiFi for Google Maps. 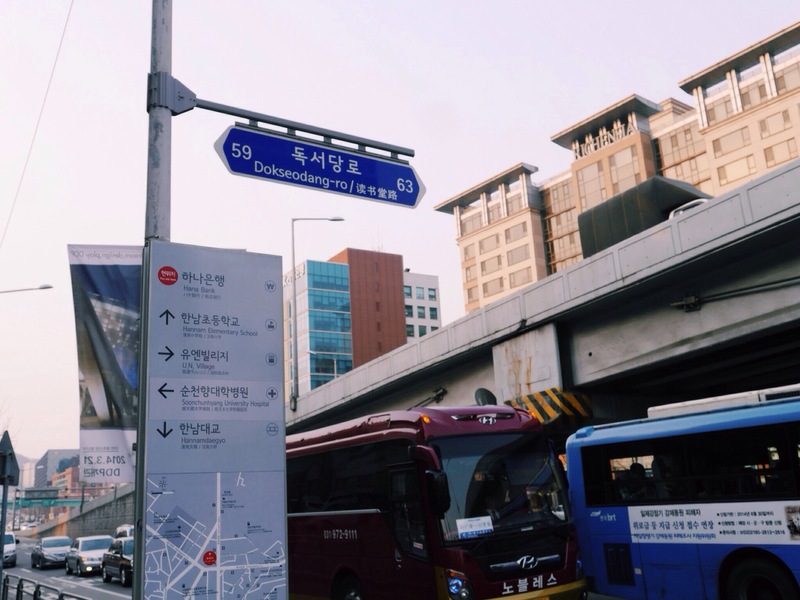 [04:00 PM] Walked across Hannamdaero Bridge to Jamwon-Dong (at Sinsa-Dong and Gangnam district). 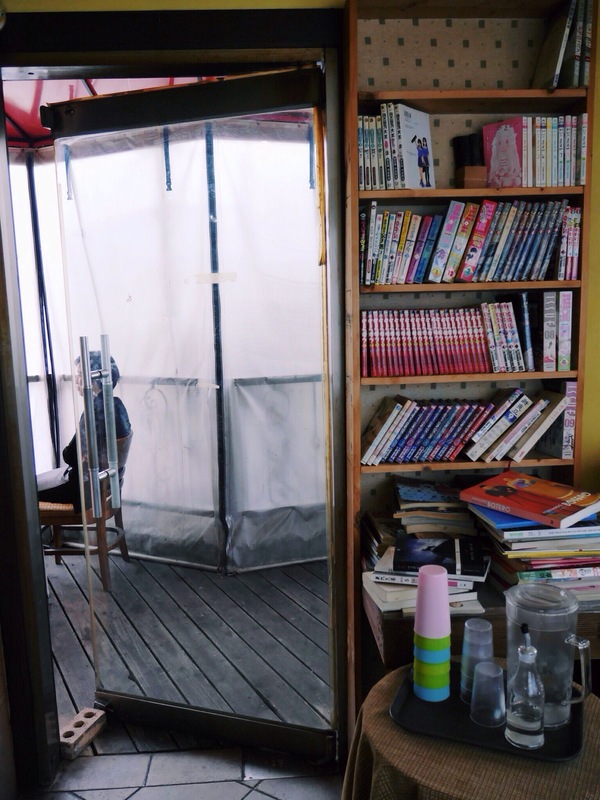 I loved the insanely strong winds! 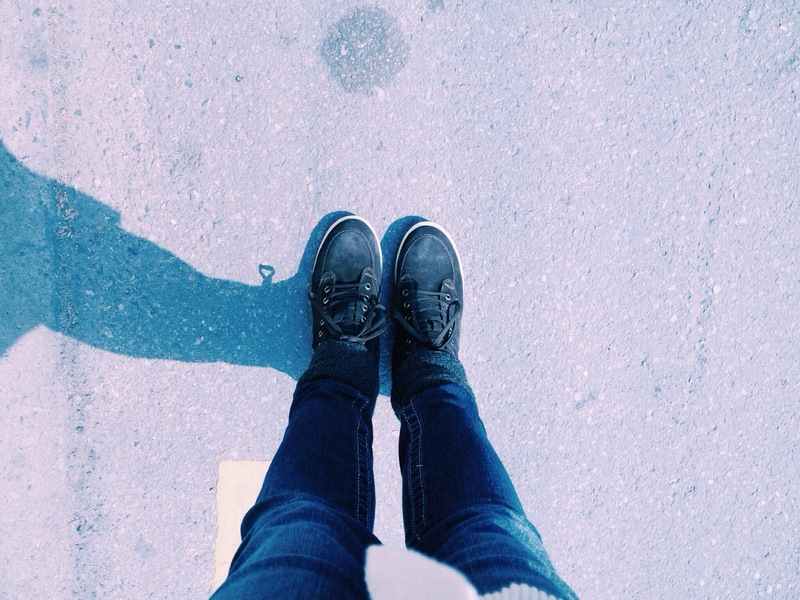 Nobody else was on the bridge. 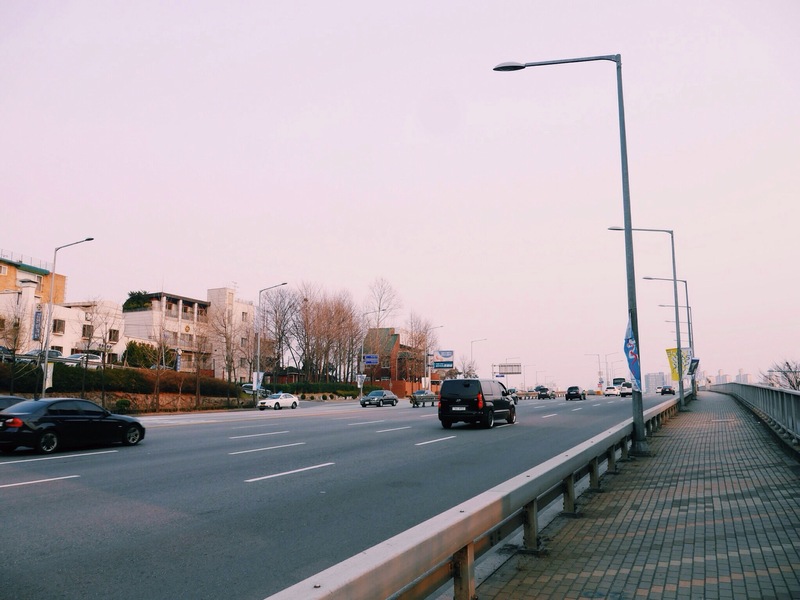 I was walking against the rush of traffic and enjoying the sea breeze. 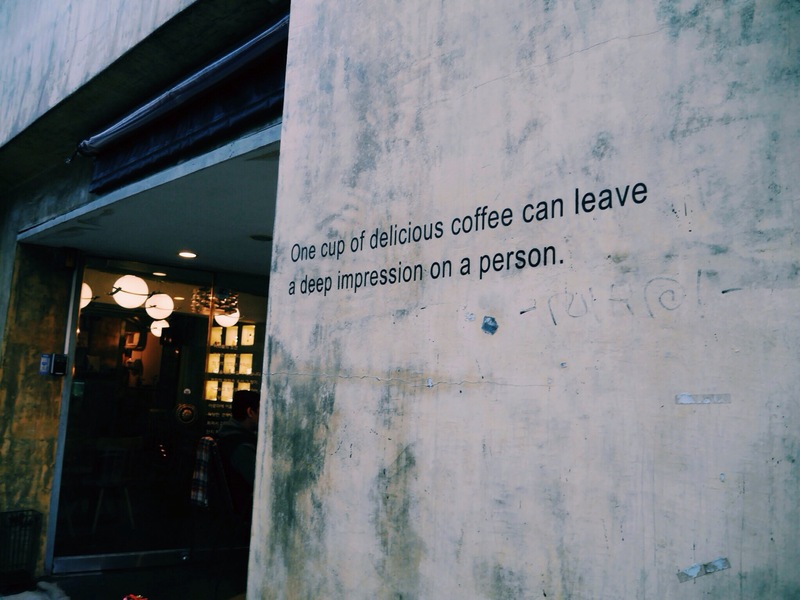 Will post pictures of this soon enough. 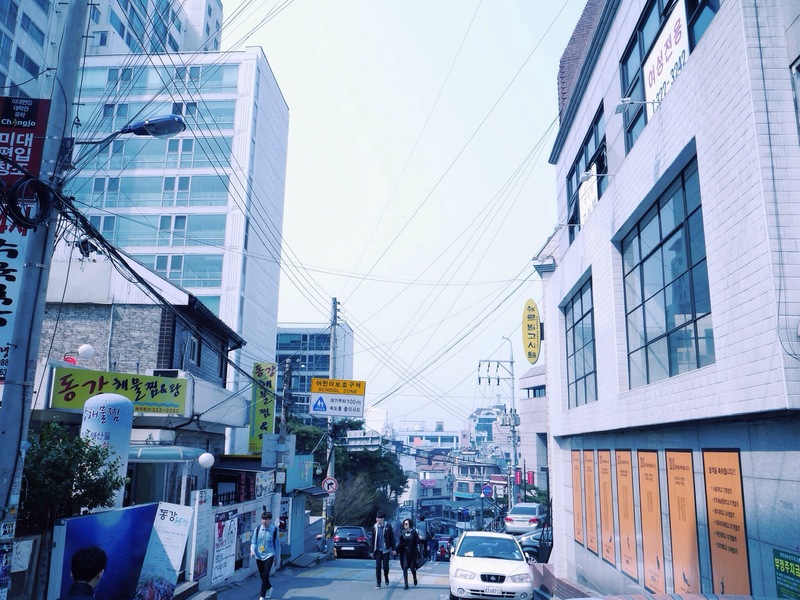 [05:00 PM] Explored Jamwon-Dong all the way to Banpo Station. 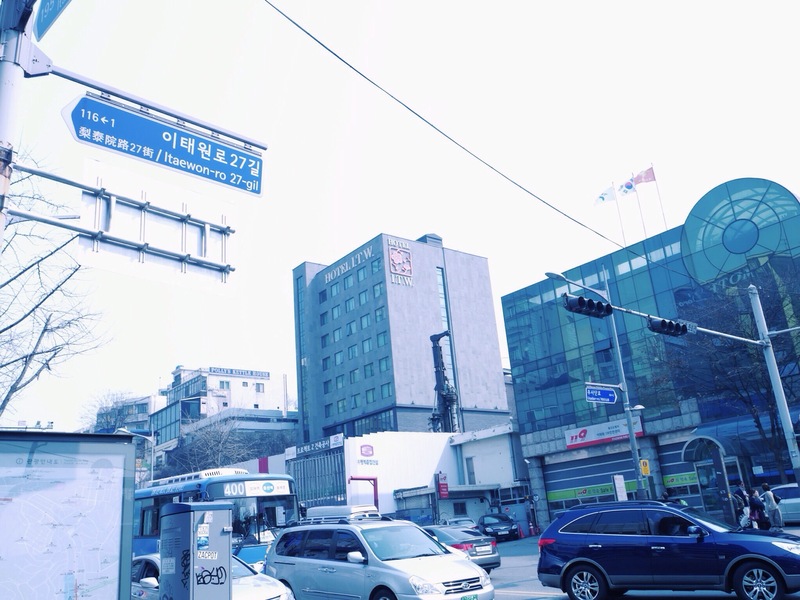 This was an insanely long long walk, but absolutely refreshing! 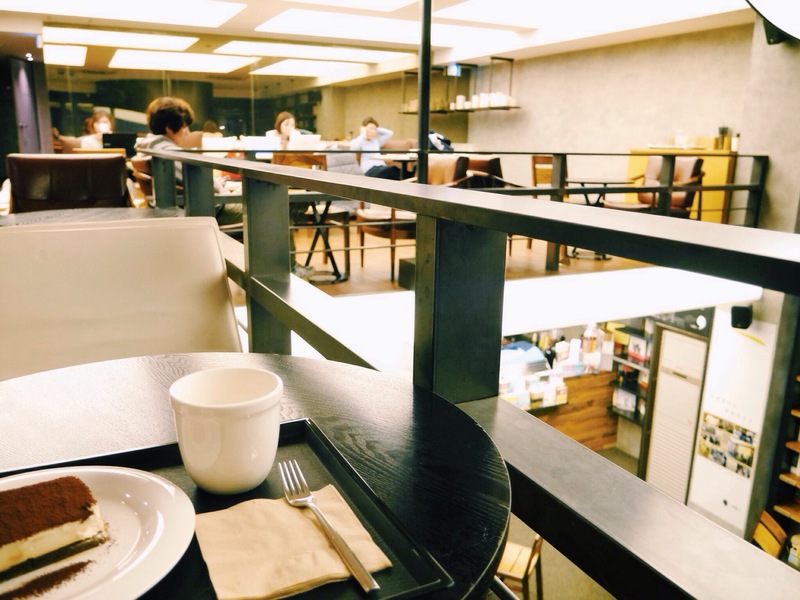 [06:00 PM] Sat down for dinner at Banpo Station. 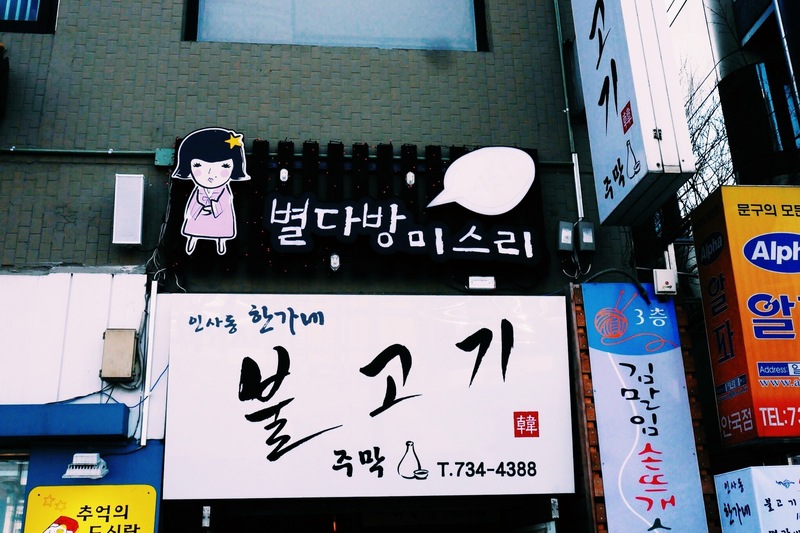 For the first time in my life, I ATE SOONDAE 순대!!! 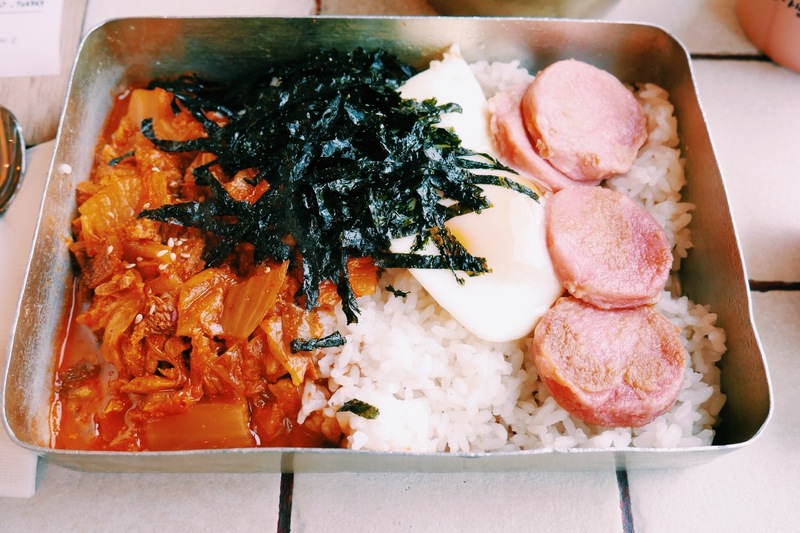 Basically it’s blood sausage, made by boiling or steaming cow or pig’s intestines that can be stuffed with pork blood, fermented soybean paste, glutinous rice, kimchi, and soybean sprouts. 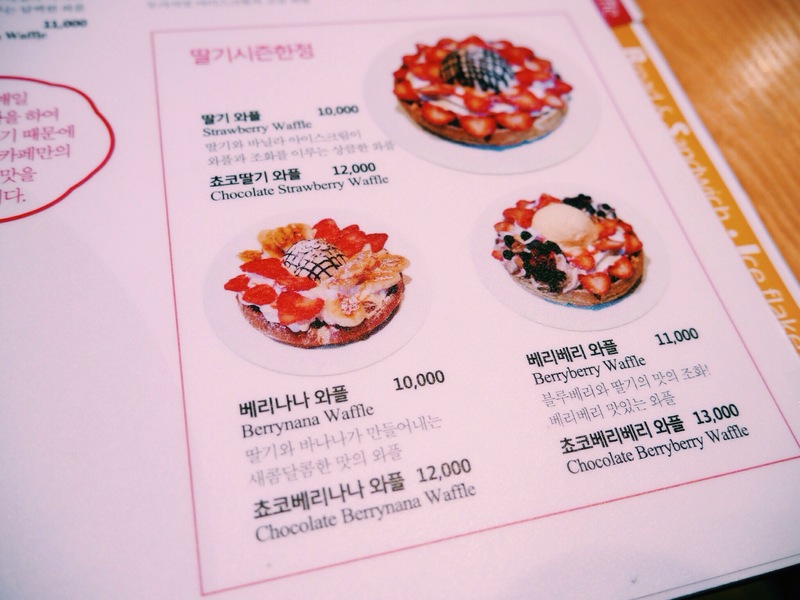 Best thing of all, I hadn’t realised it was Soondae ): It tasted really good though. 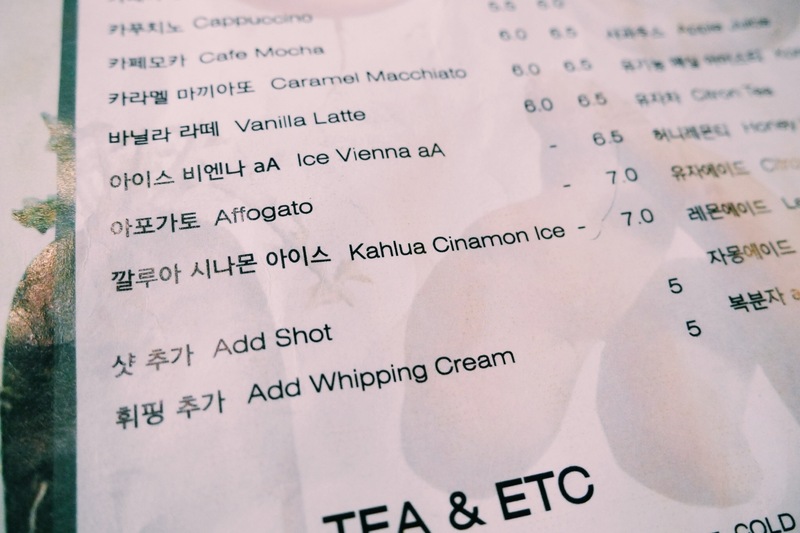 But now as I recall what it actually is…eurgh!! 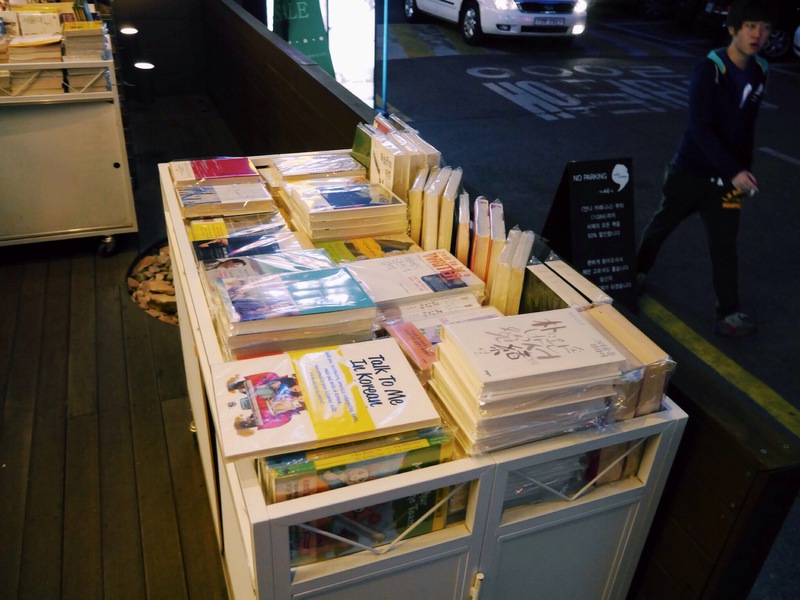 [09:30 PM] Late-night shopping at Hongdae!! 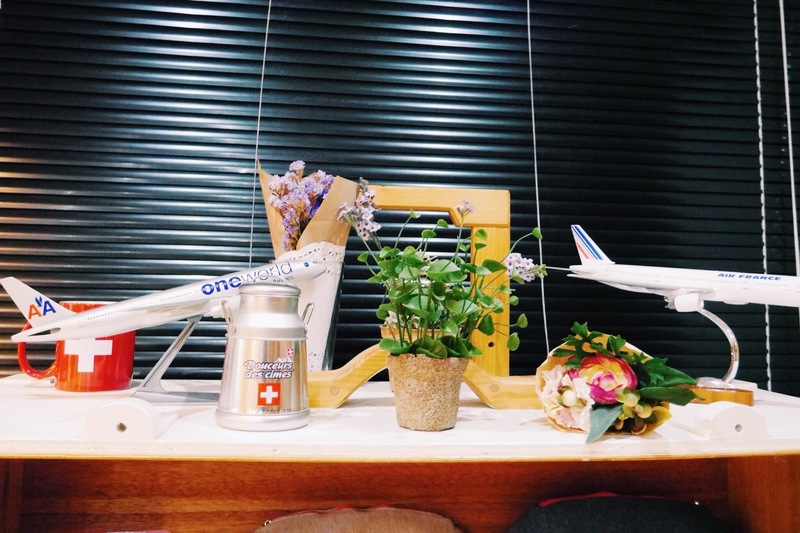 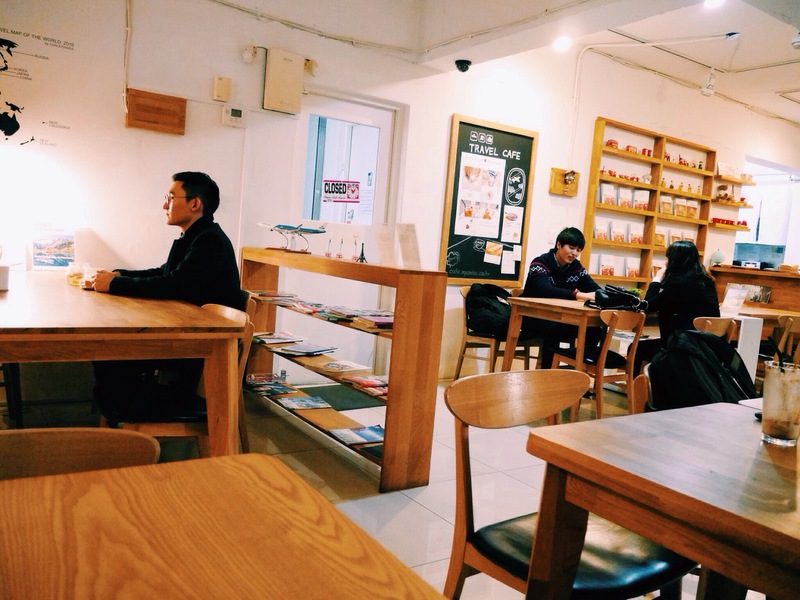 For an entire week, I did this every night before heading back to my guesthouse. 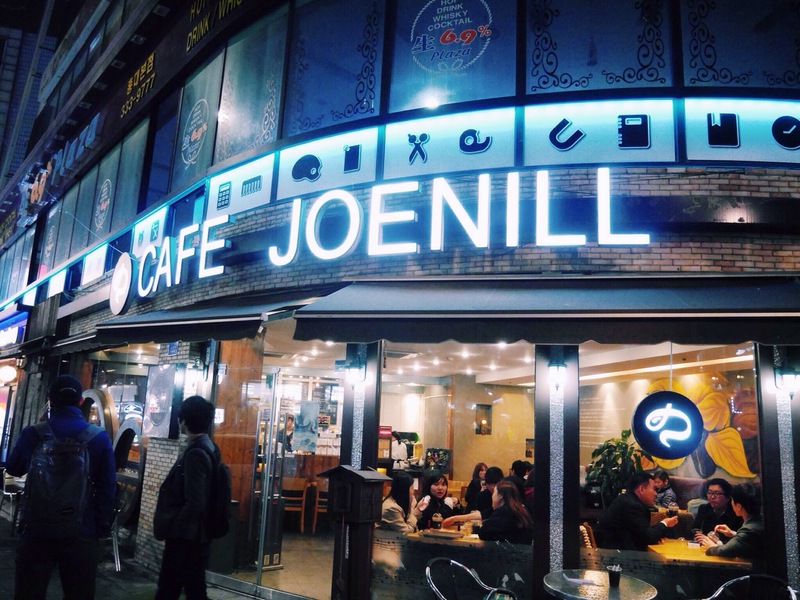 Hongdae only gets fired up after 9PM, especially on Thursdays, Fridays and Saturdays. 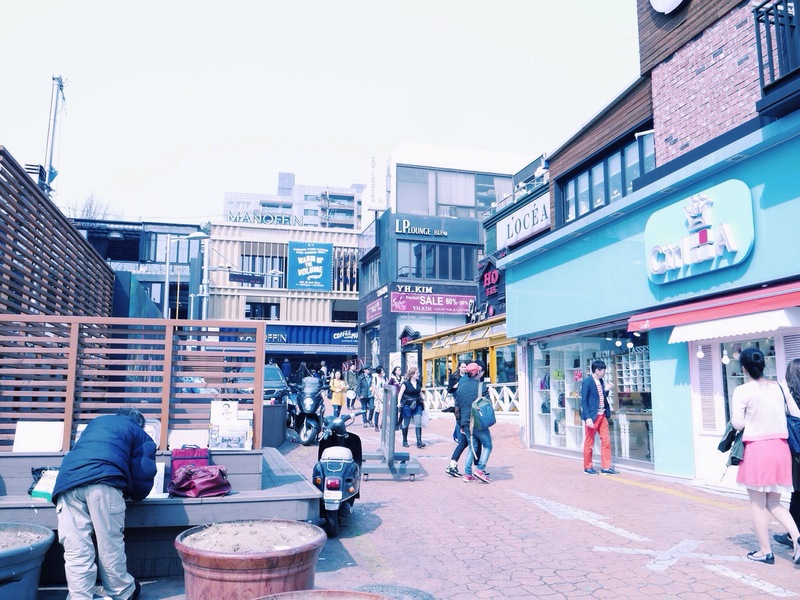 So much shopping to do, so little time. 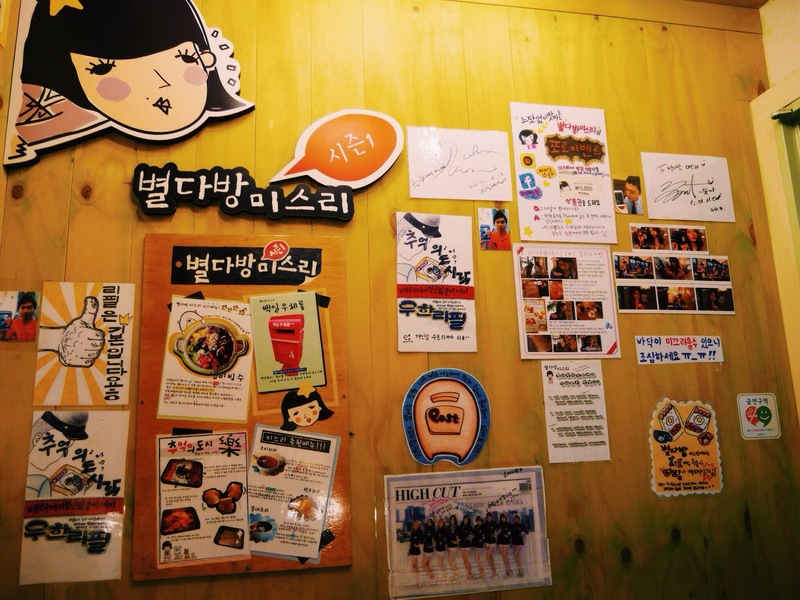 [12 Midnight] Bought Kimbap from No.1 Seogyo BapJip for supper! 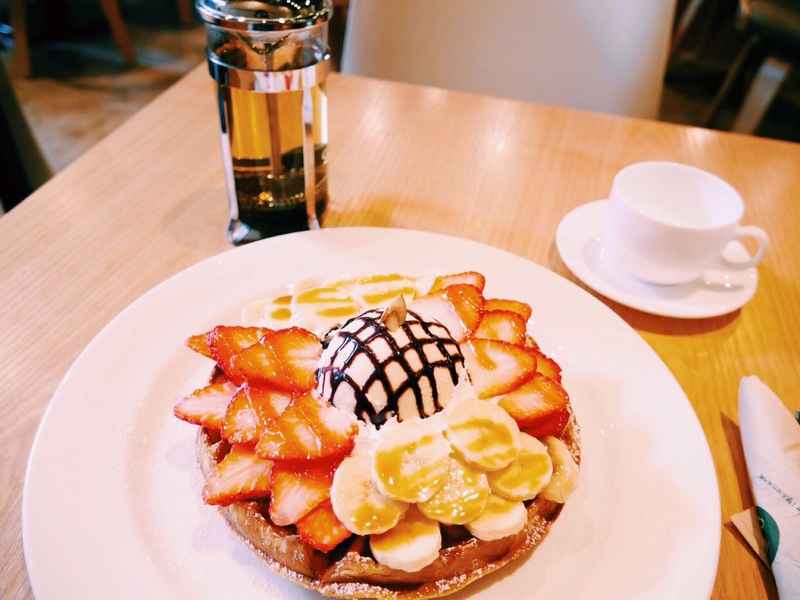 Breakfast was too good to be true!! 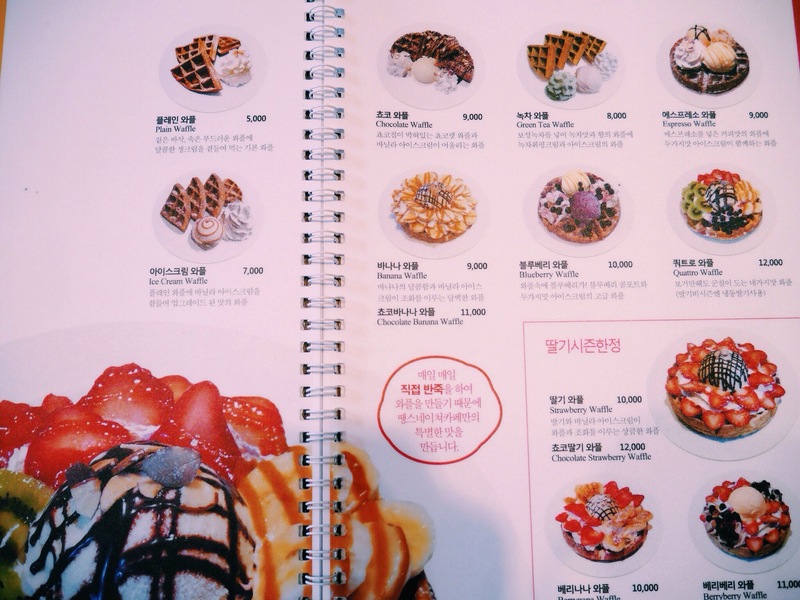 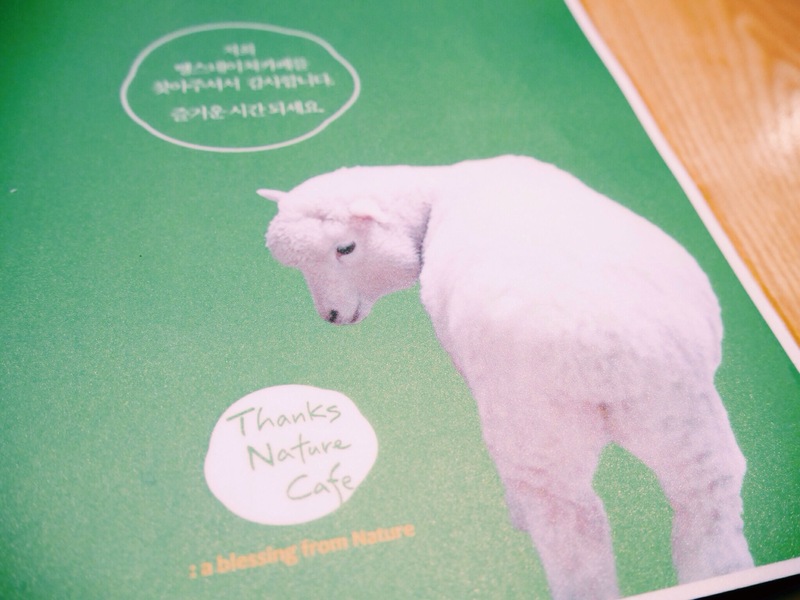 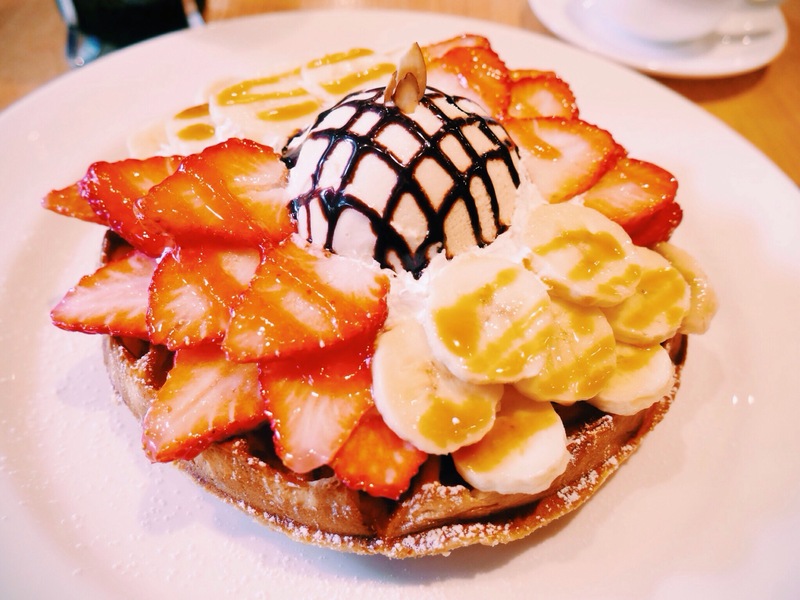 Had the most amazing BerryNana waffles from Thanks Nature Cafe 양카페, Hongdae’s first and only sheep cafe, before making my way to Itaewon. 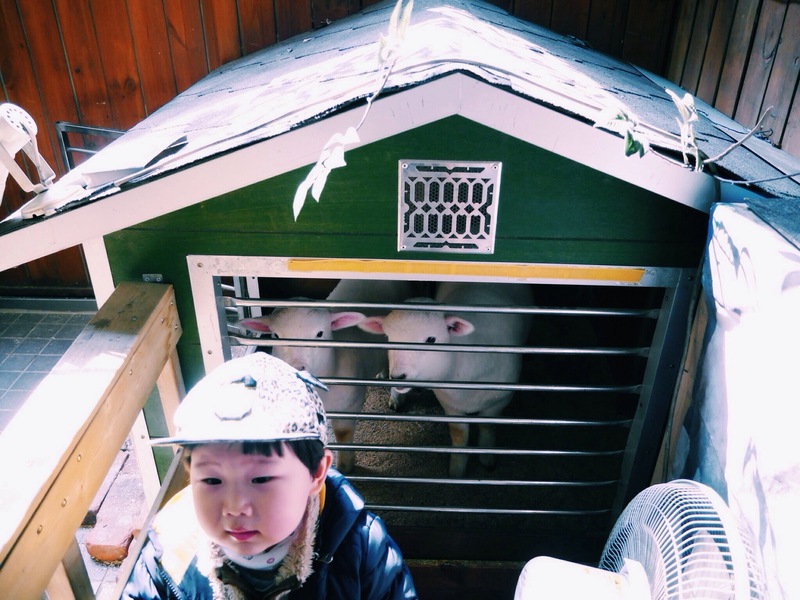 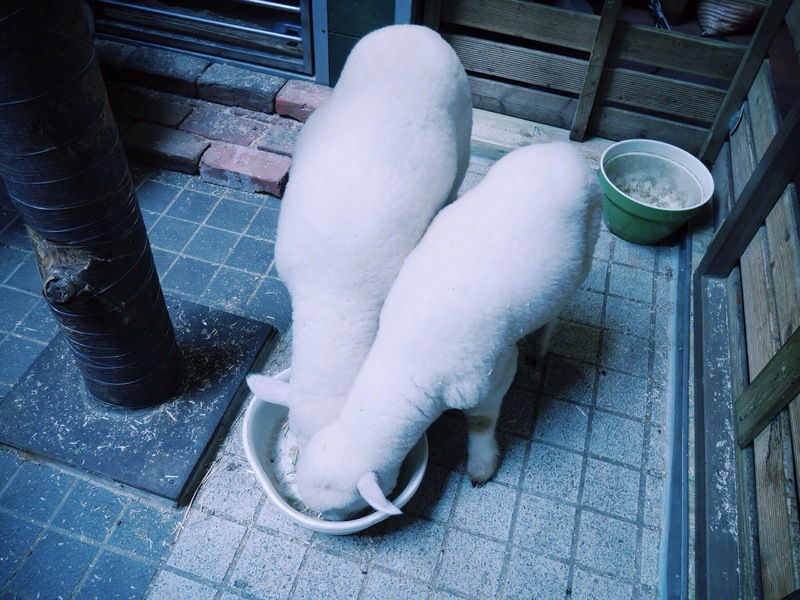 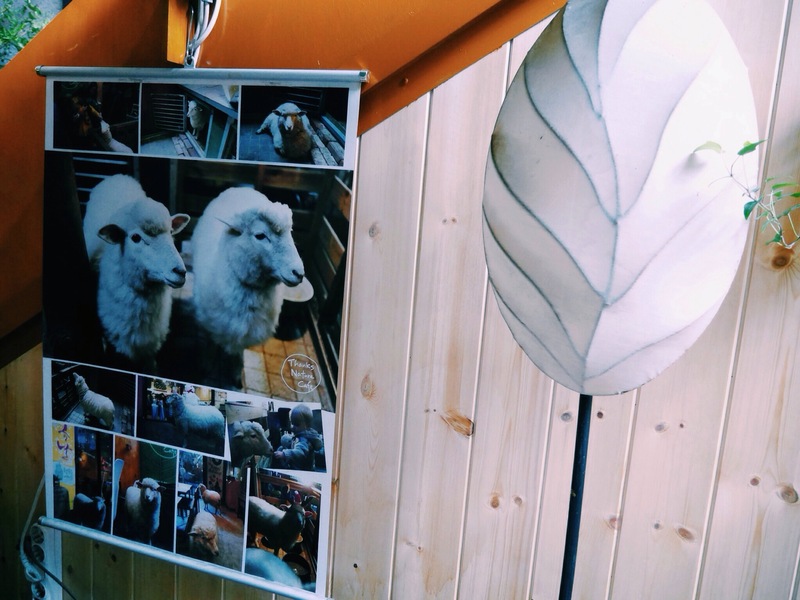 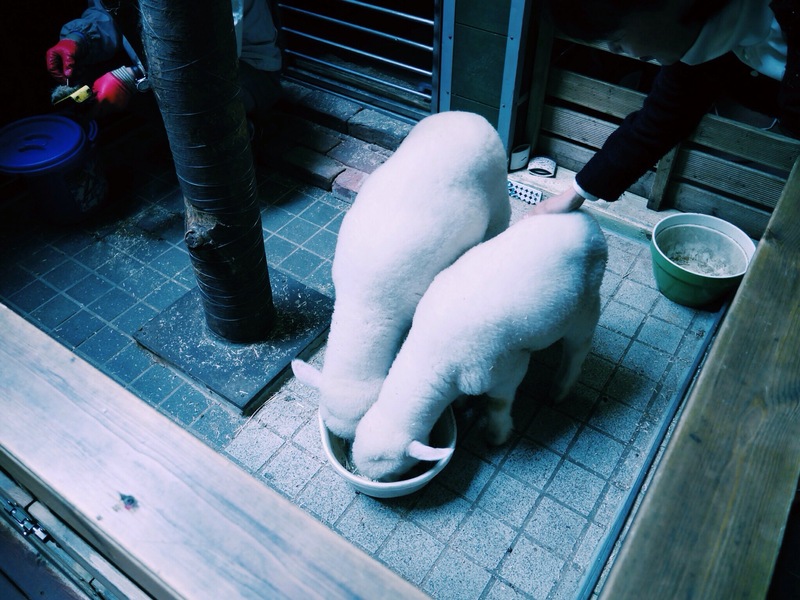 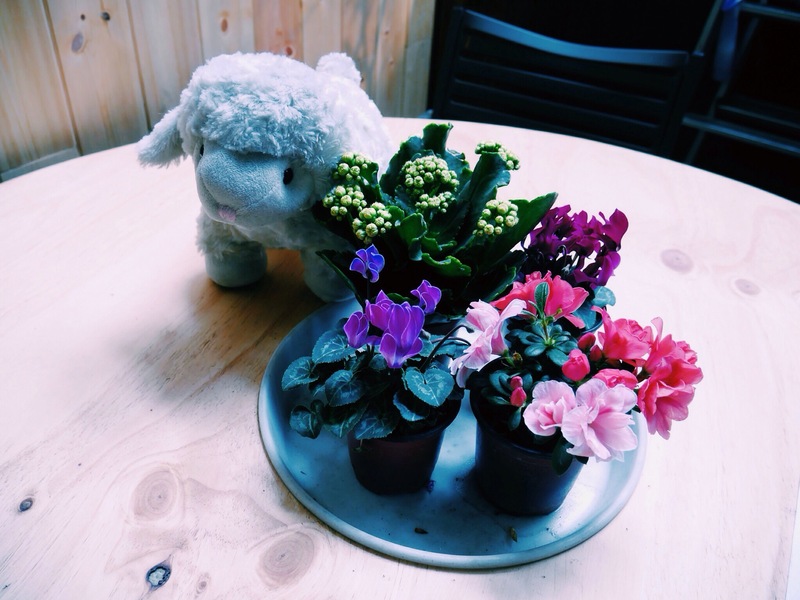 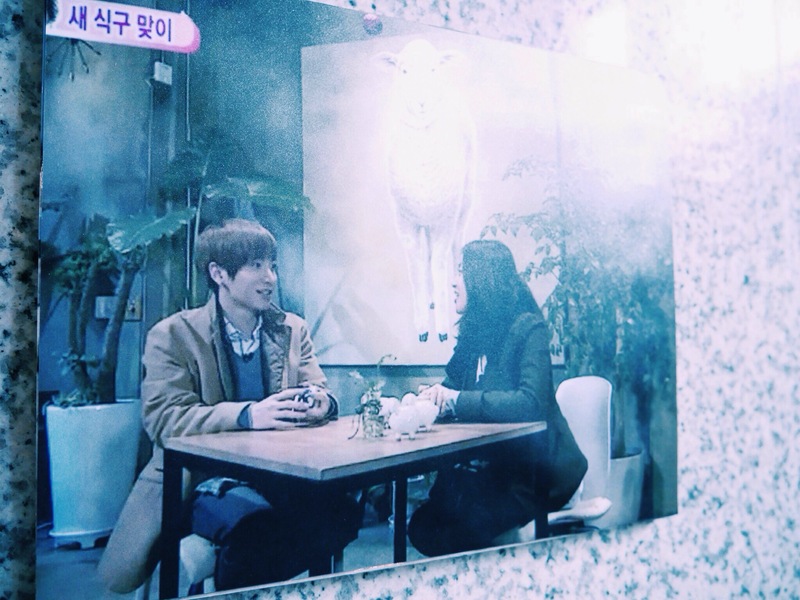 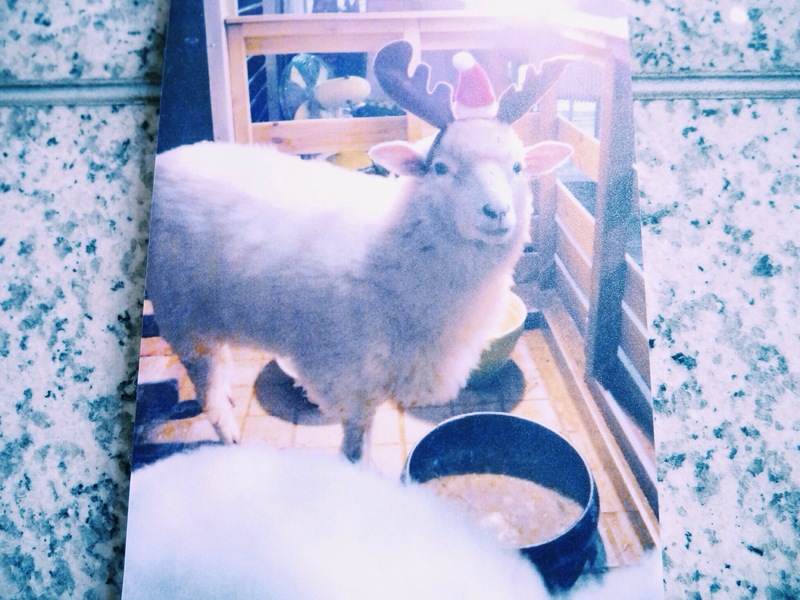 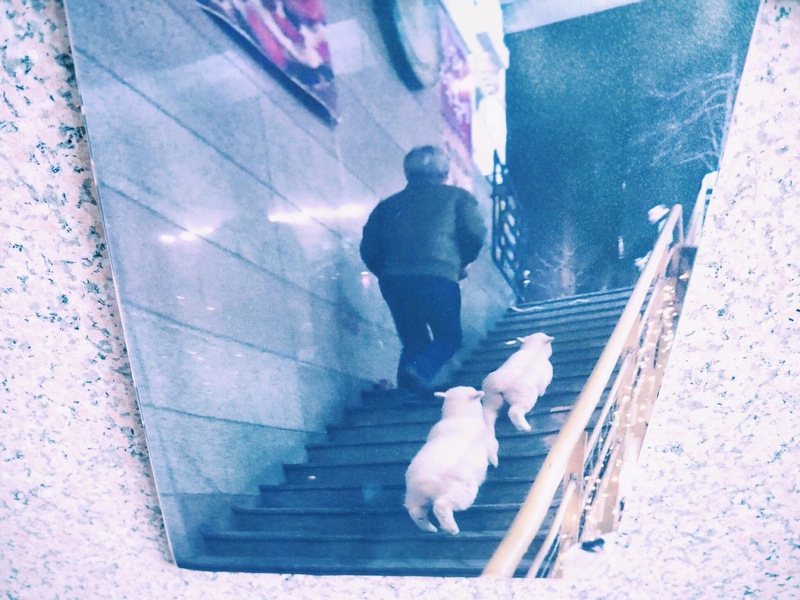 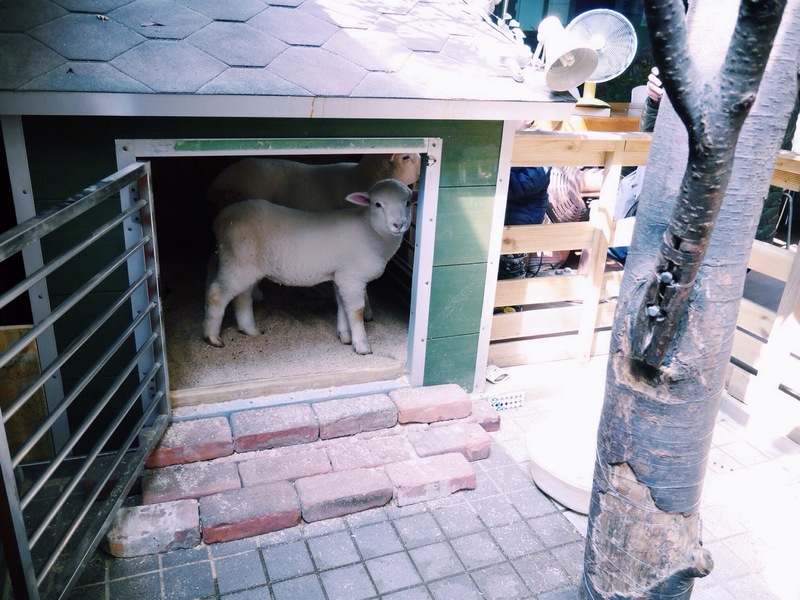 Only in Seoul, you get to dine with a lamb! 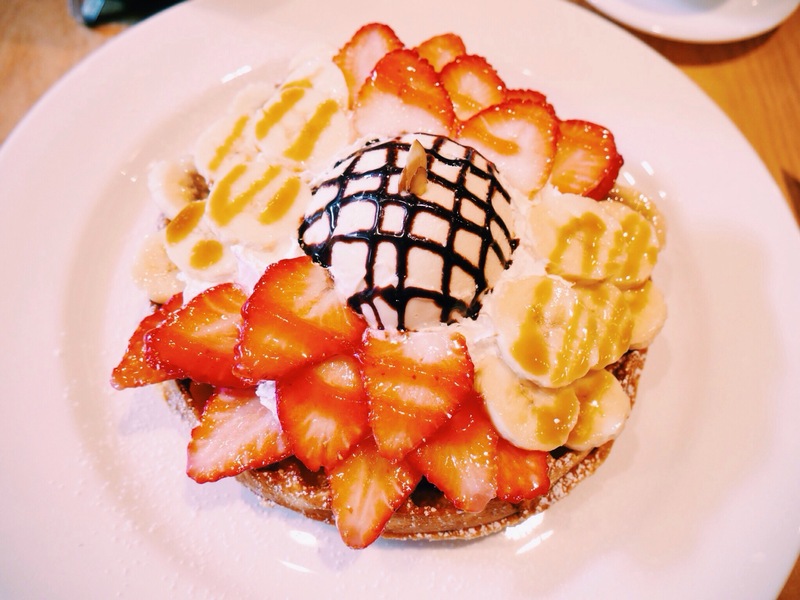 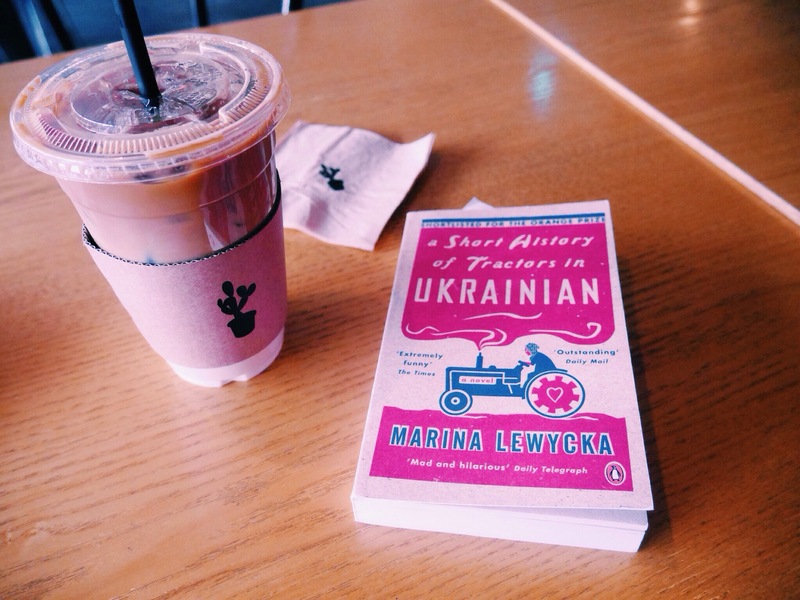 Strawberries + Bananas = BerryNana. 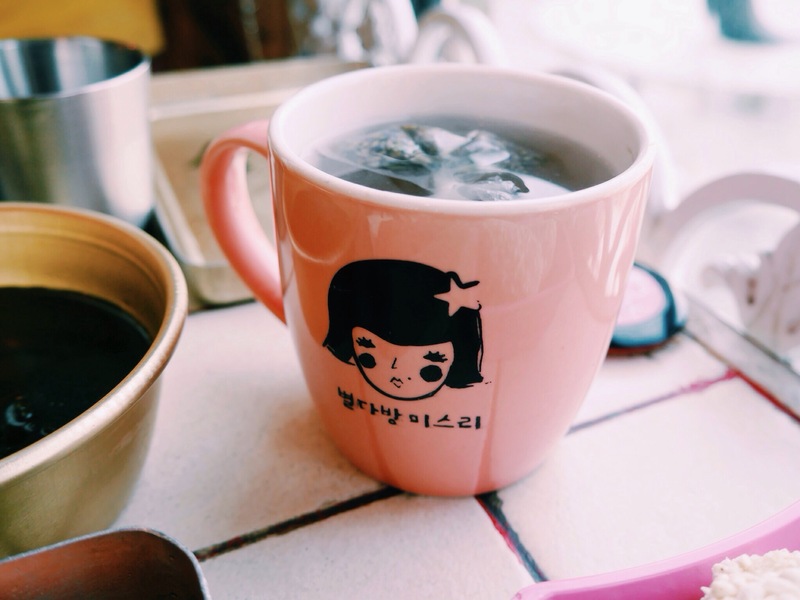 My morning is complete with a cuppa peppermint tea. 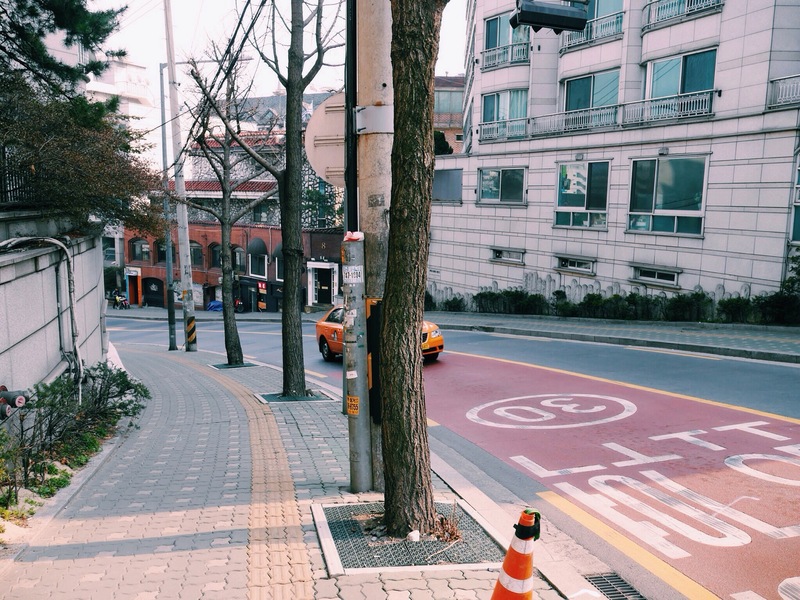 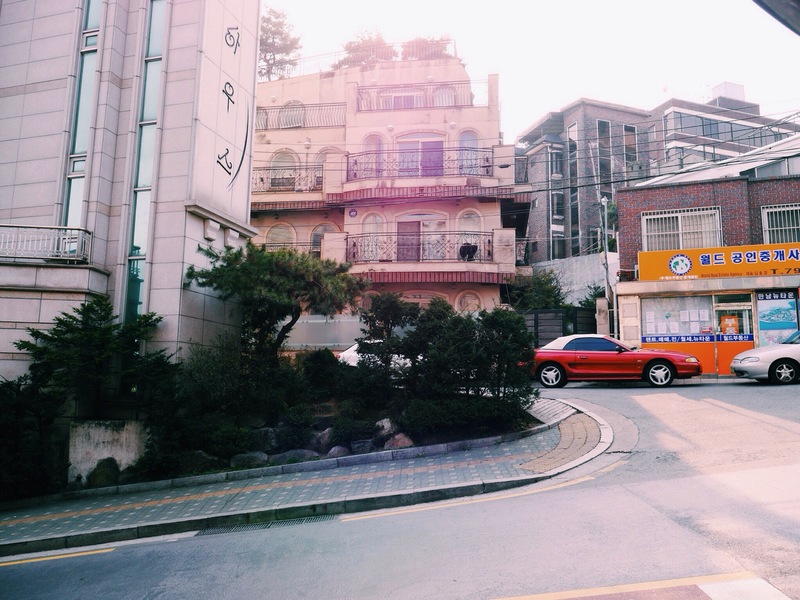 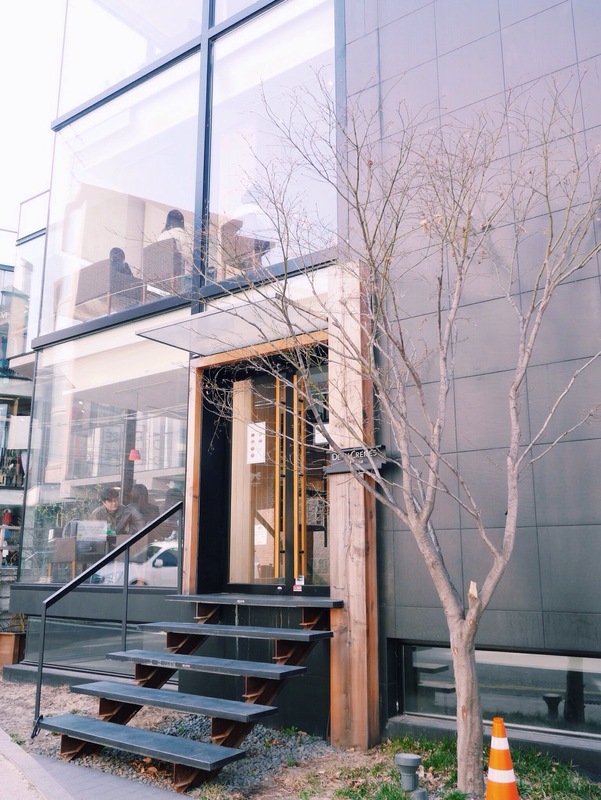 Itaewon’s over-the-top architecture propels the casual pedestrian into a distant future. 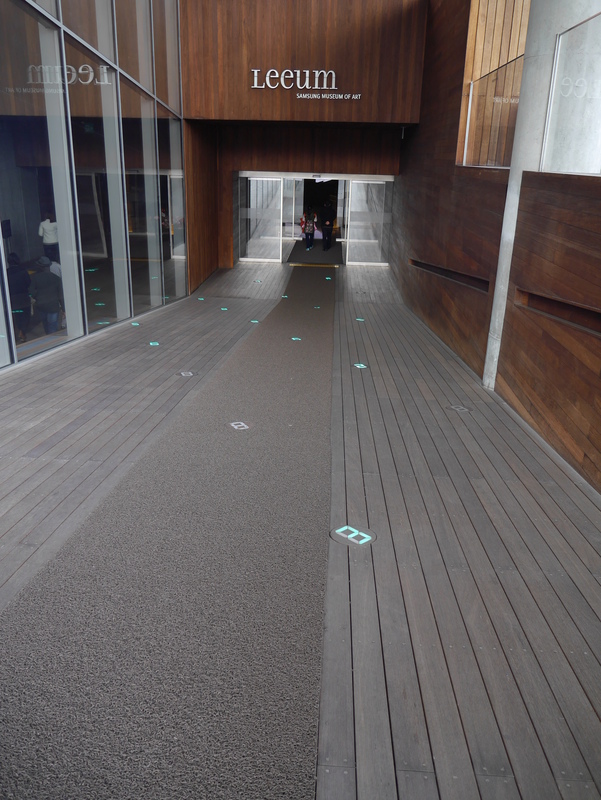 Stepping onto a set of a science fiction futuristic movie must feel like this! 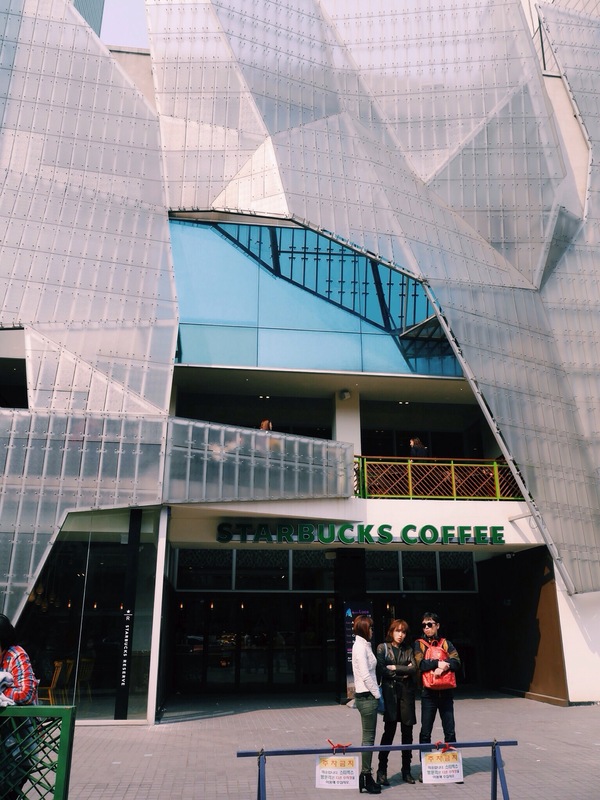 Love the exterior of this Starbucks – so much effort goes into designing it. 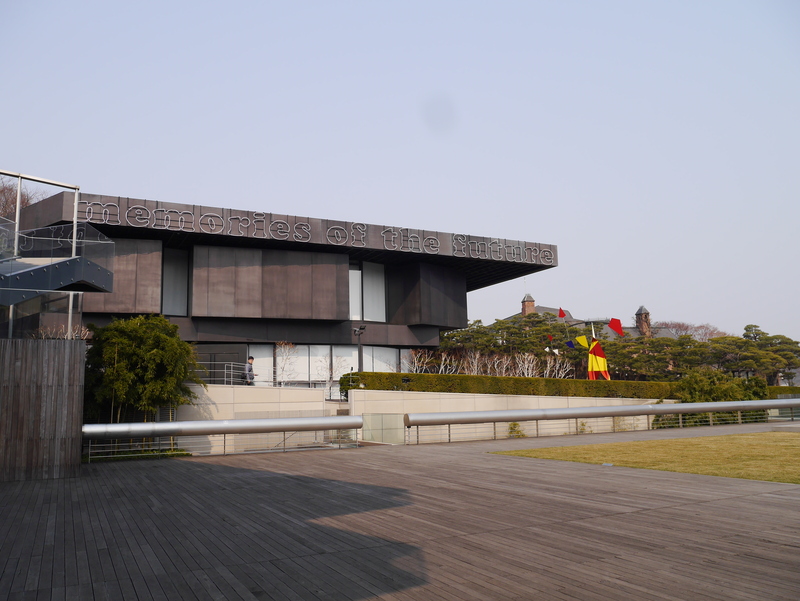 The further away you get from the artistic galleries of Hangangjin, the buildings get less dramatically sci-fi. 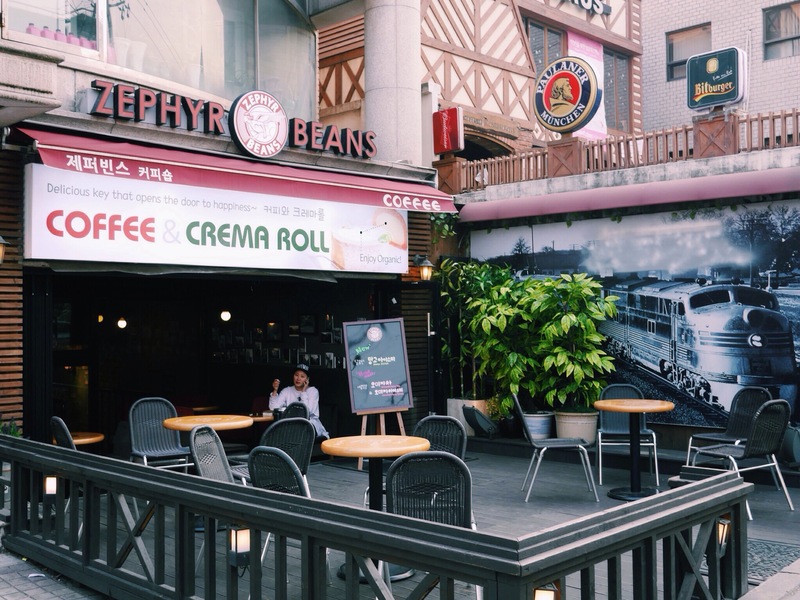 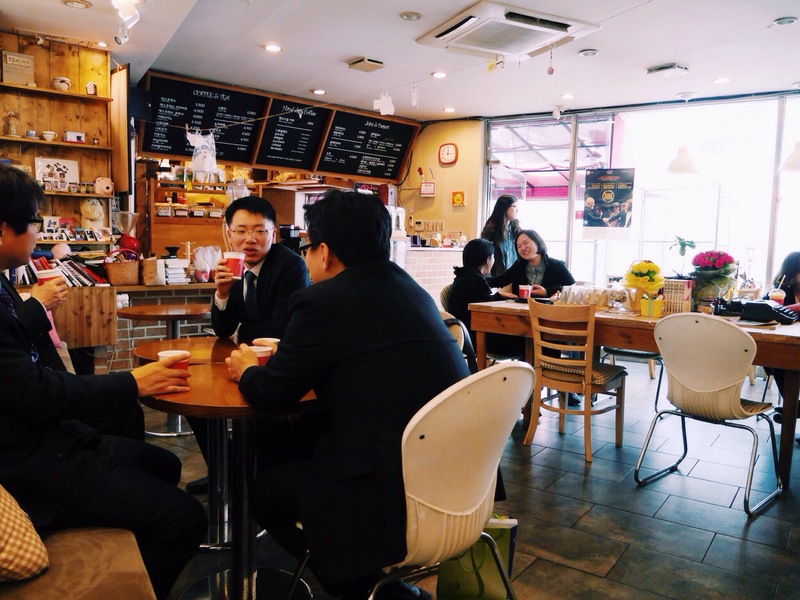 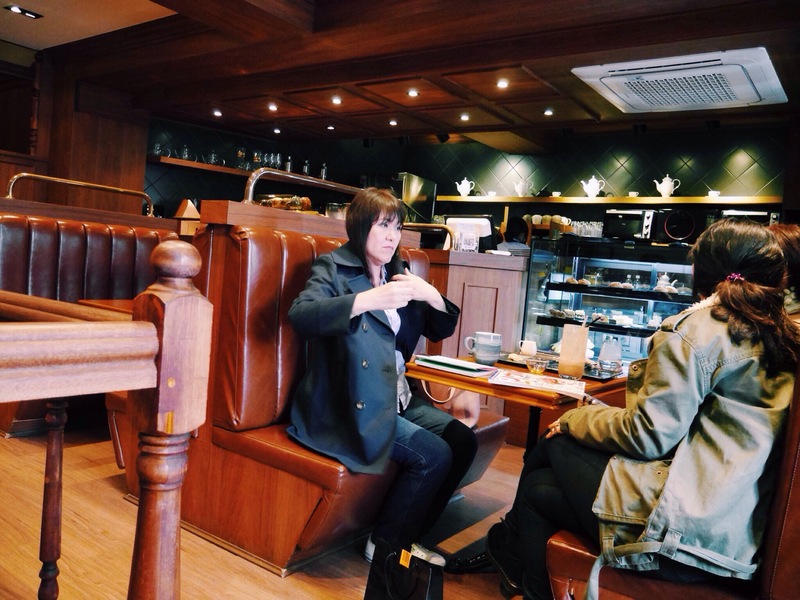 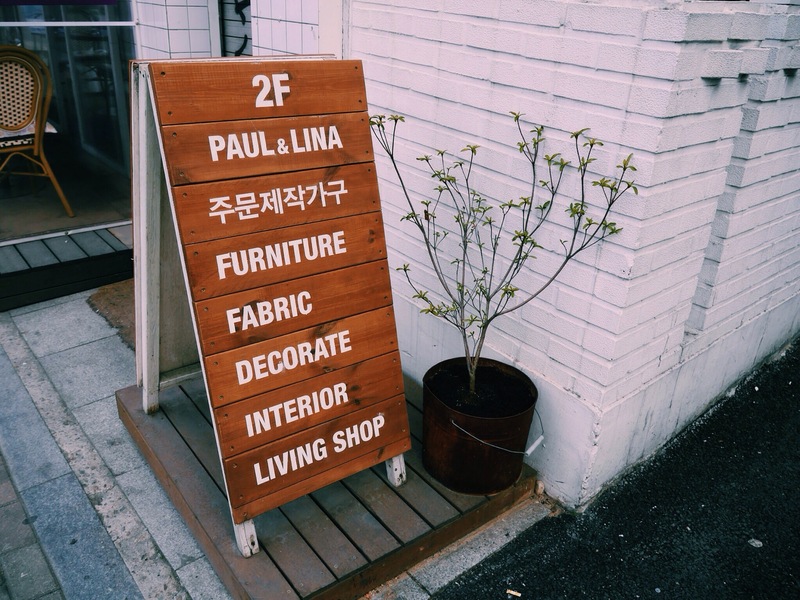 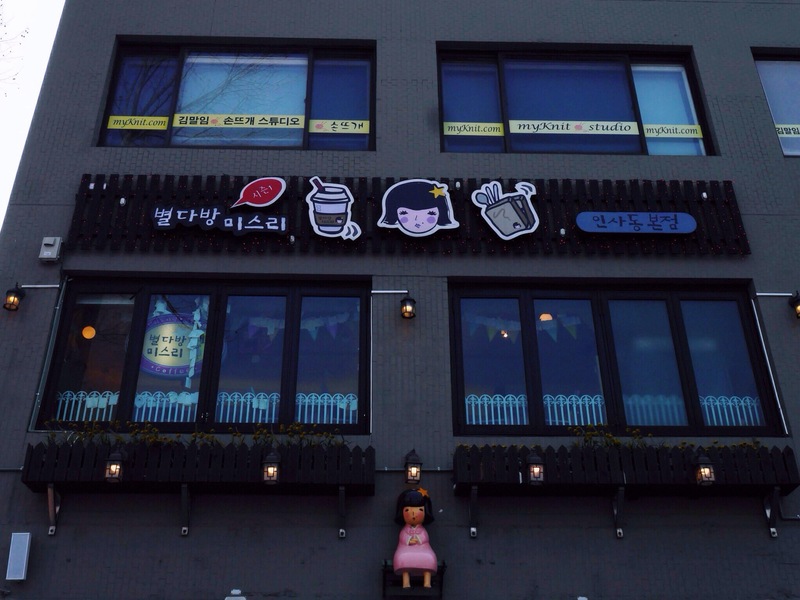 Loads of cafes thrive in this area, for many expats that work in Korea live in this district of Itaewon. 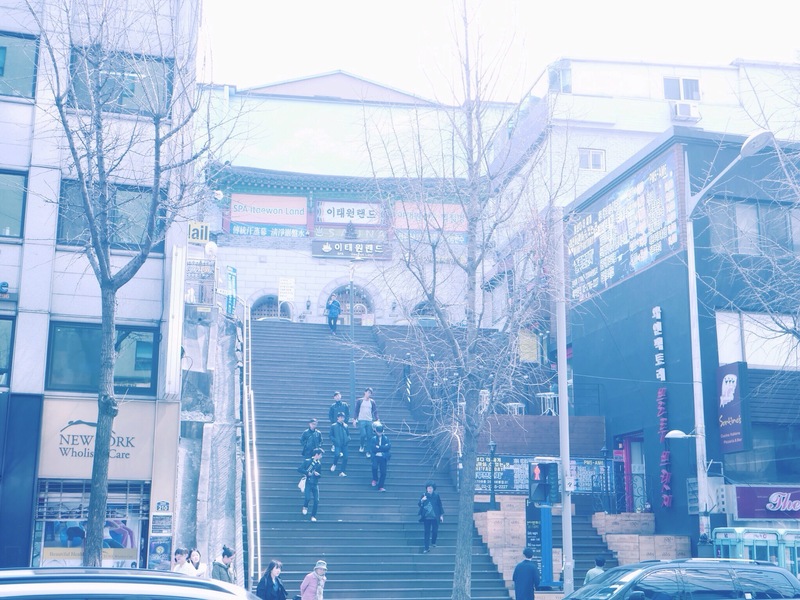 Walked the entire length of Itaewon to Hangangjin station, before diverting to art museums that require an uphill climb. 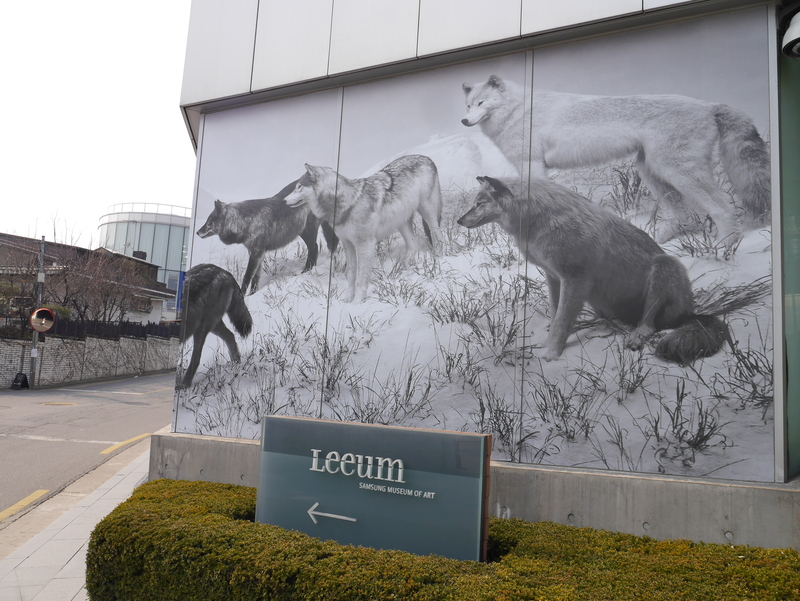 This is where I visited the gorgeous LeeUm Samsung Museum of Art. 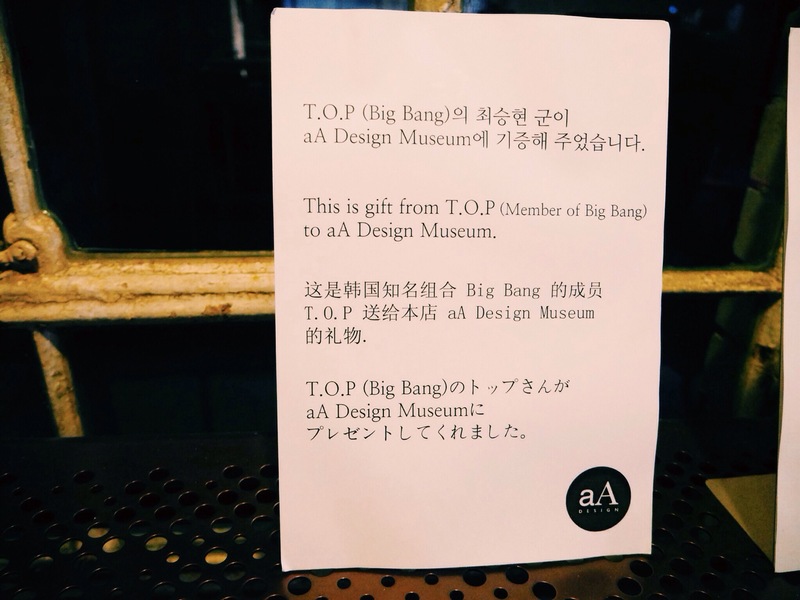 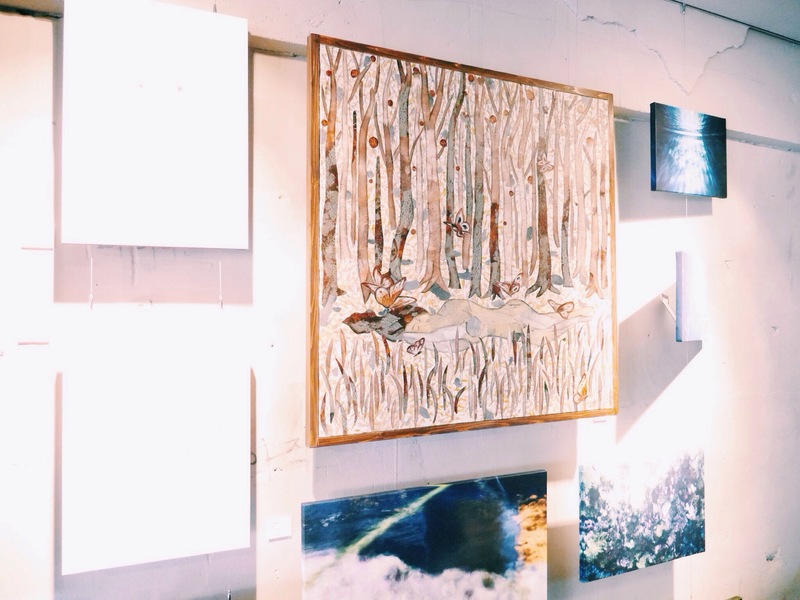 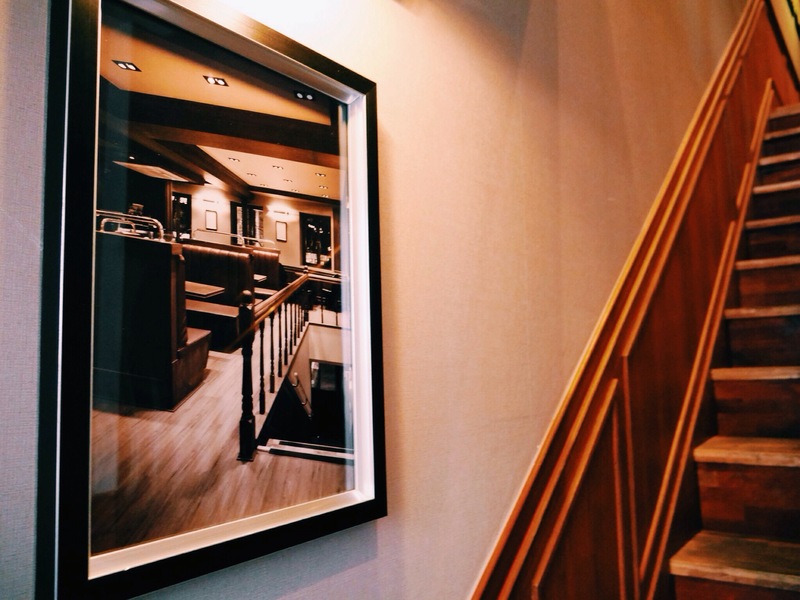 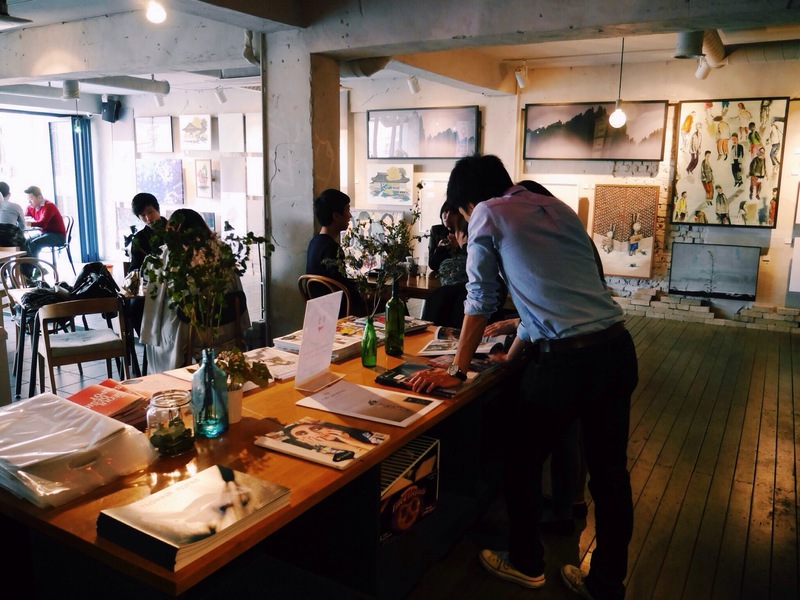 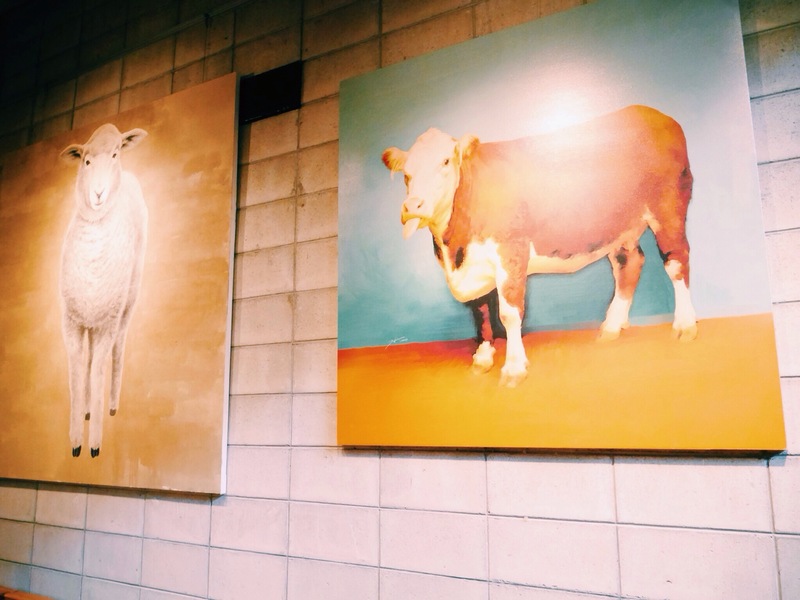 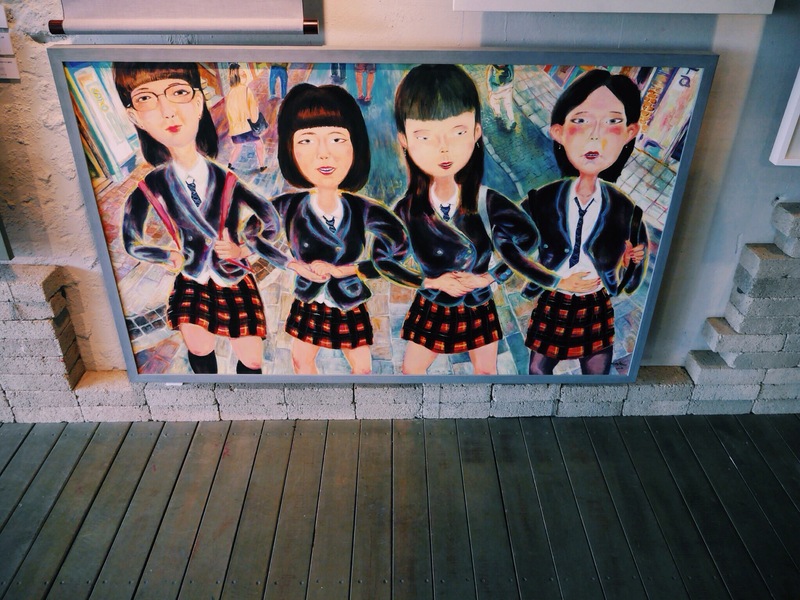 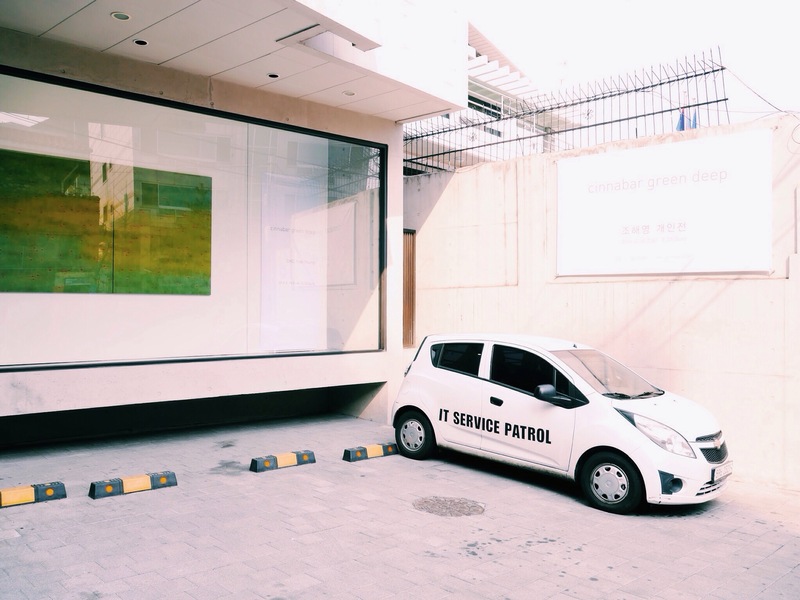 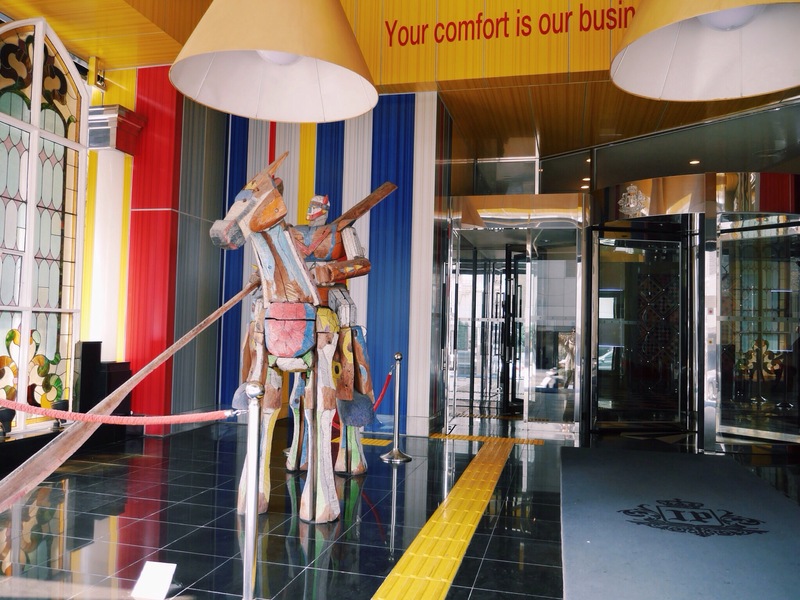 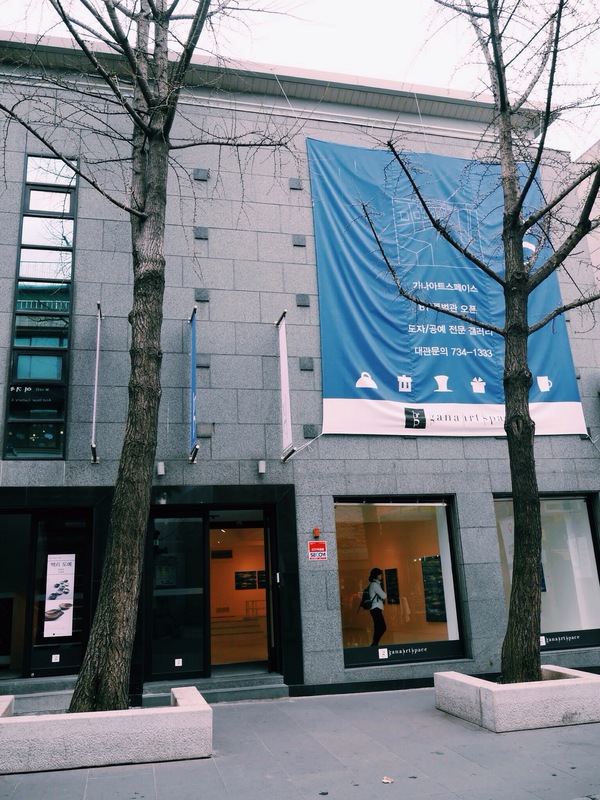 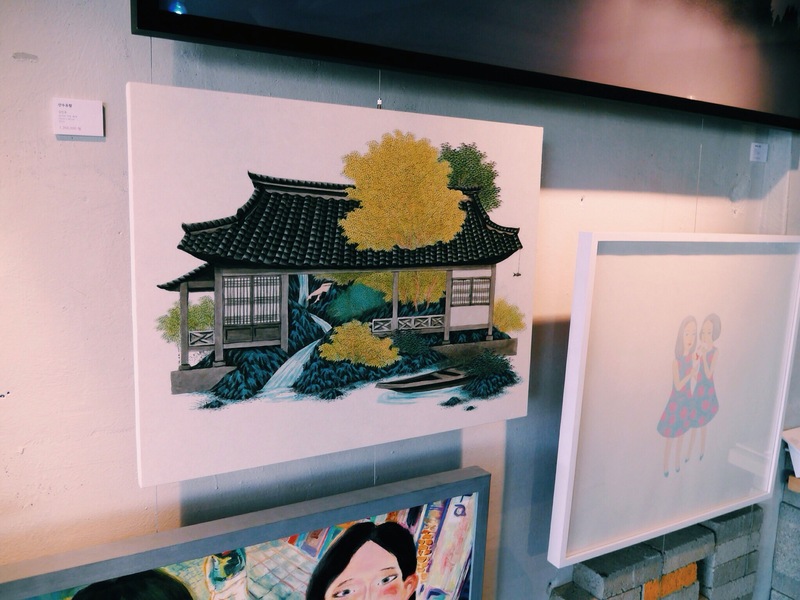 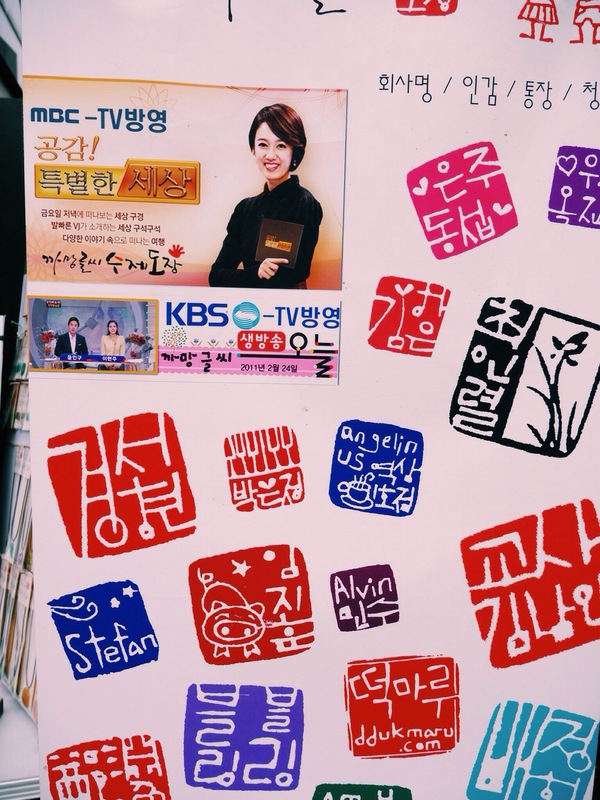 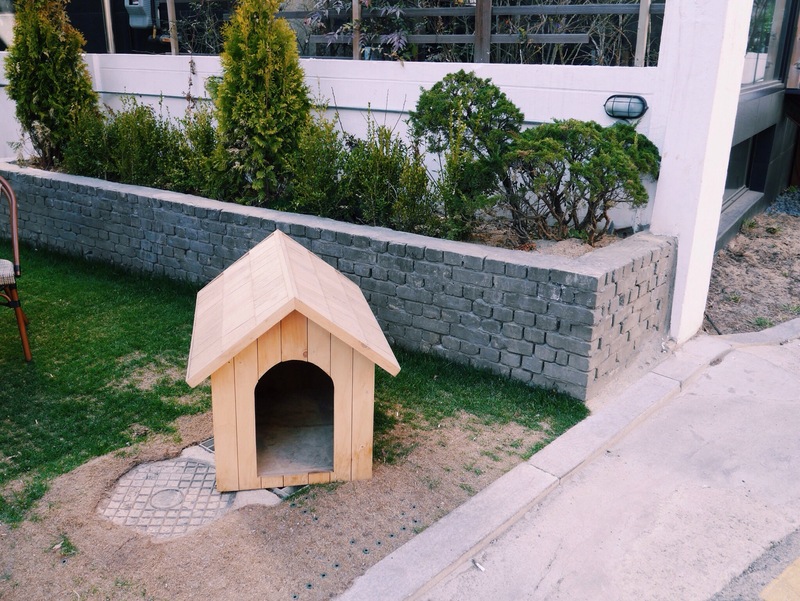 There are 2 separate galleries within, showcasing traditional Korean art and contemporary art. 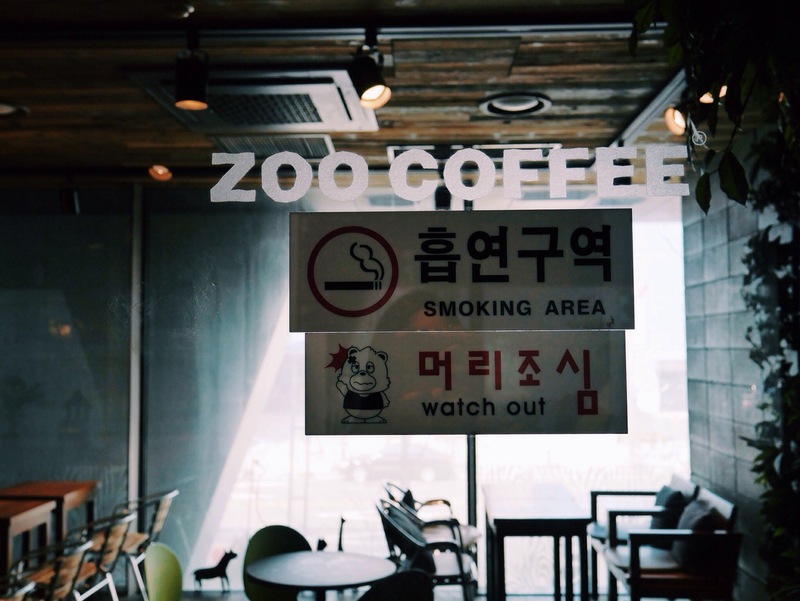 In both, photography is banned. 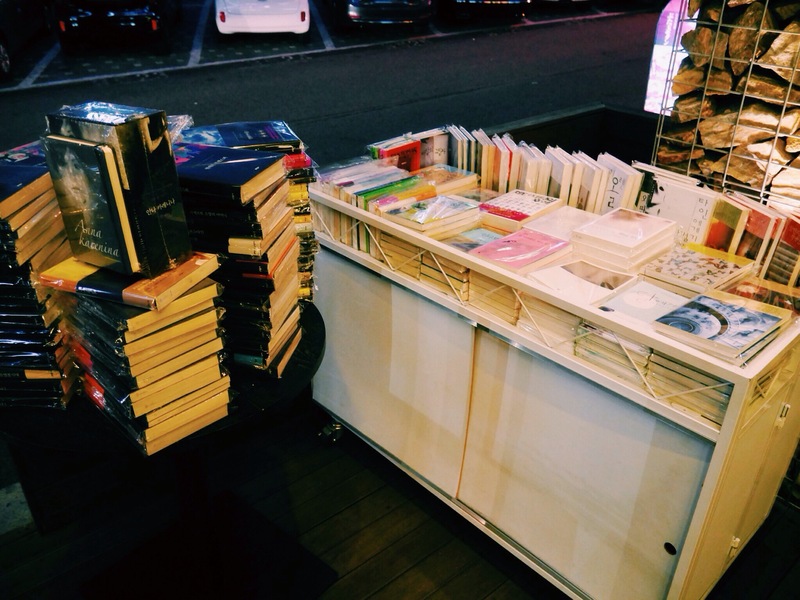 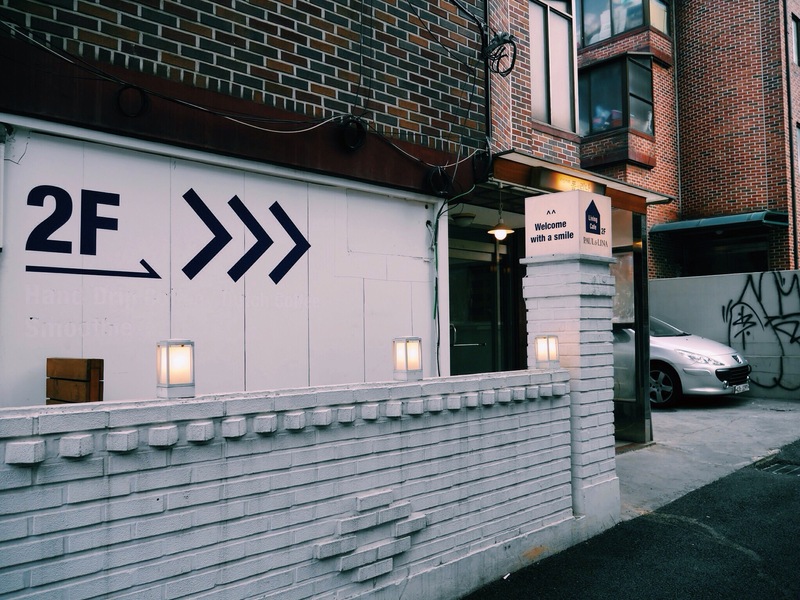 This place is definitely worth visiting. 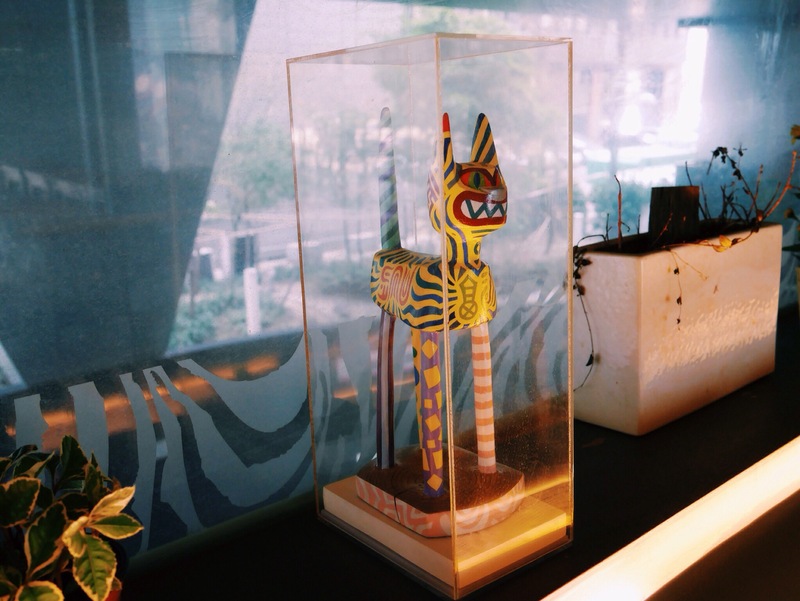 Museum 1, designed by Swiss architect Mario Botta, houses the national treasures such as folk paintings, ceramics, manuscripts and traditional stoneware. 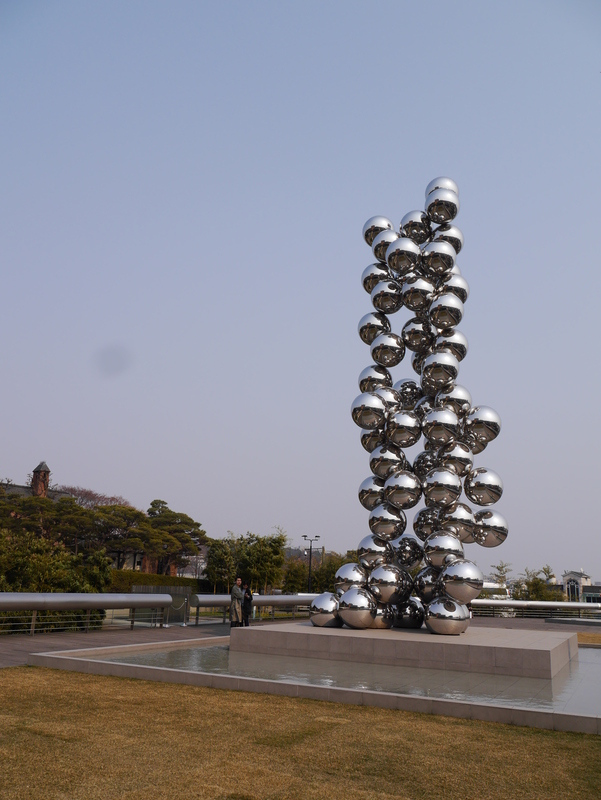 Museum 2 is the masterpiece of French architect Jean Nouvel, boasting of permanent exhibits by Damien Hirst, Andy Warhol, Yves Klein and Donald Judd. 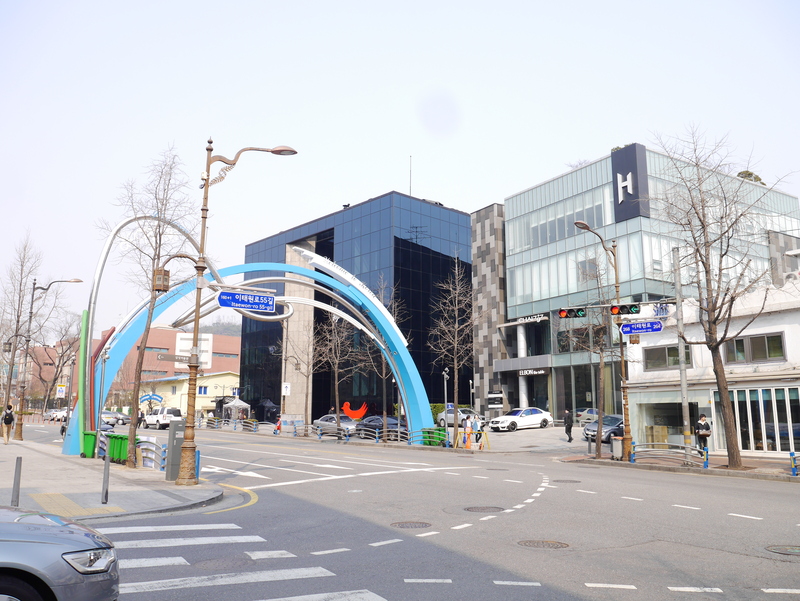 Dutch architect Rem Koolhaas designed the Samsung Child Education & Culture Center. 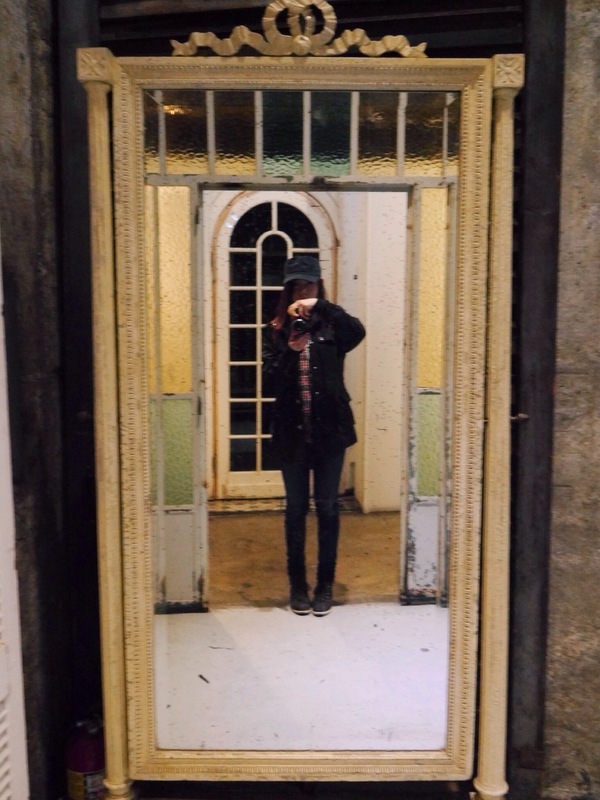 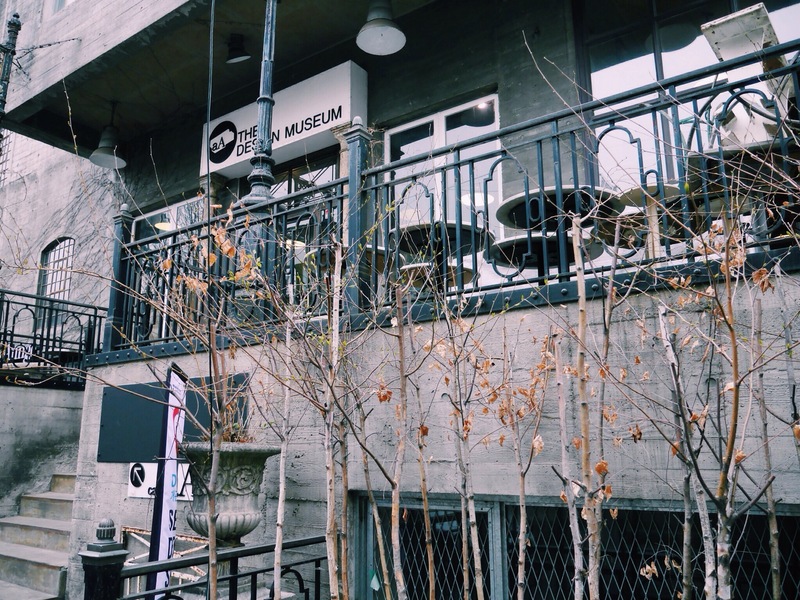 The inspiring pieces from Museum 2 really had me filled with awe, whereas Museum 1 gave me the chills. 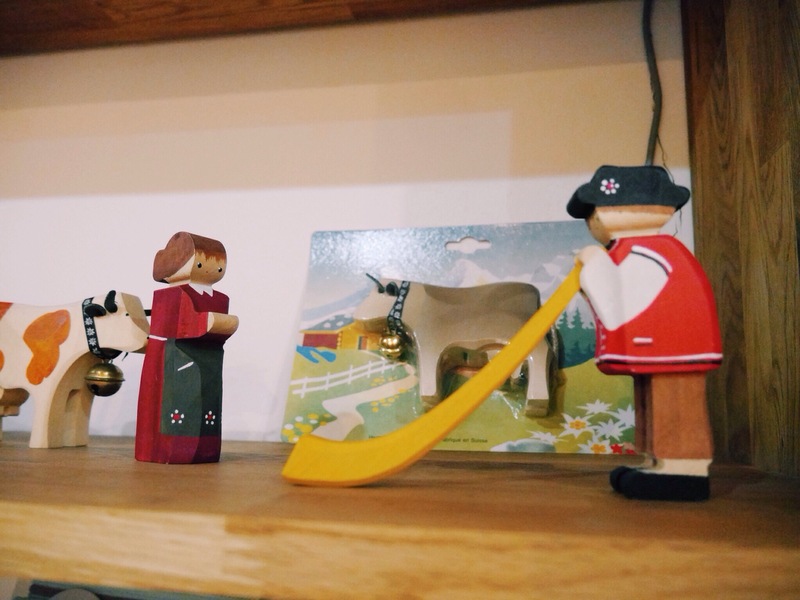 Ancient art is too profound and somehow unreachable to me, in the sense that the millenium-old items show another chapter in human history that will always be a mystery to mankind, no matter how hard our attempts at recreating or reimagining the unknown era. 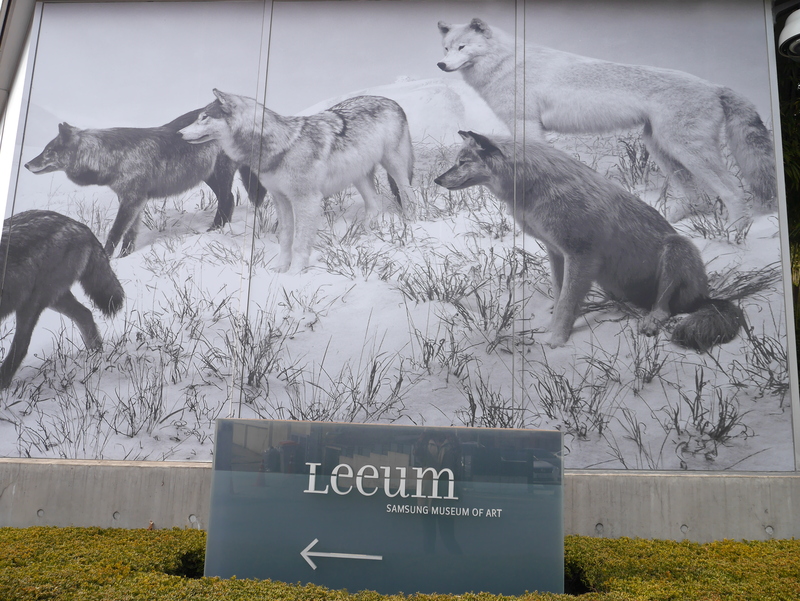 I left the museum deep in thought, having been exposed to such great inspirations. 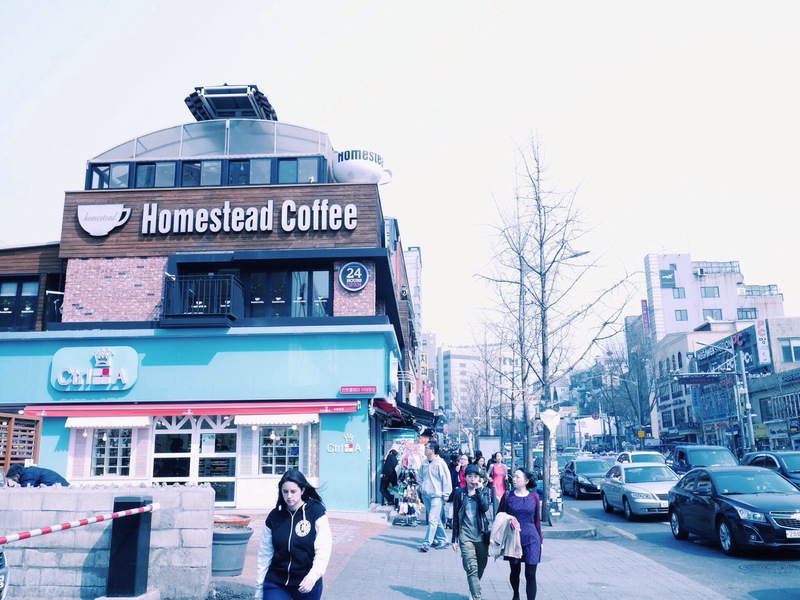 I headed next for Hannamdong Cafe Street, but found that I’d much preferred Itaewon’s bustling roadside cafes. 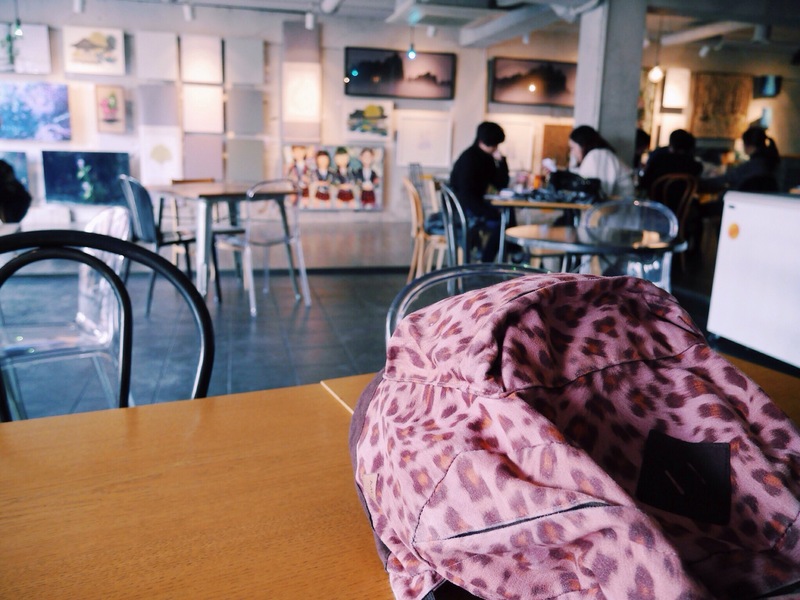 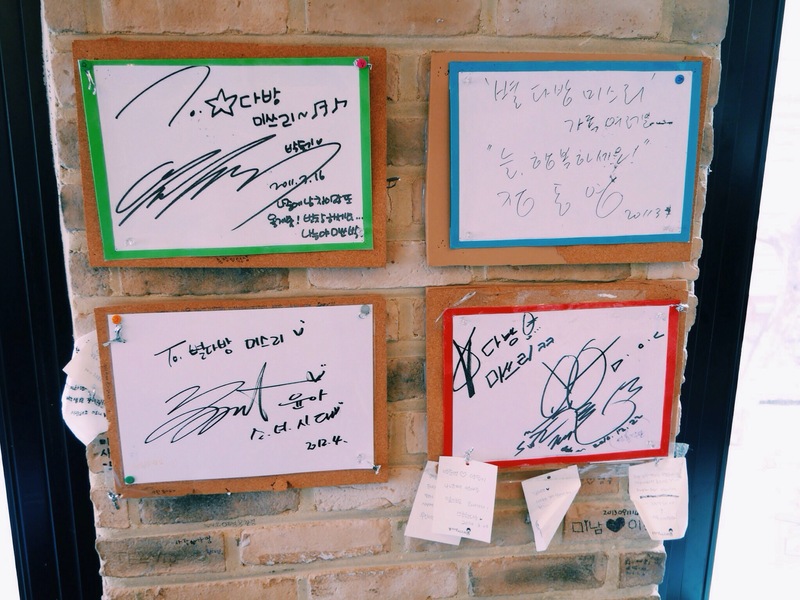 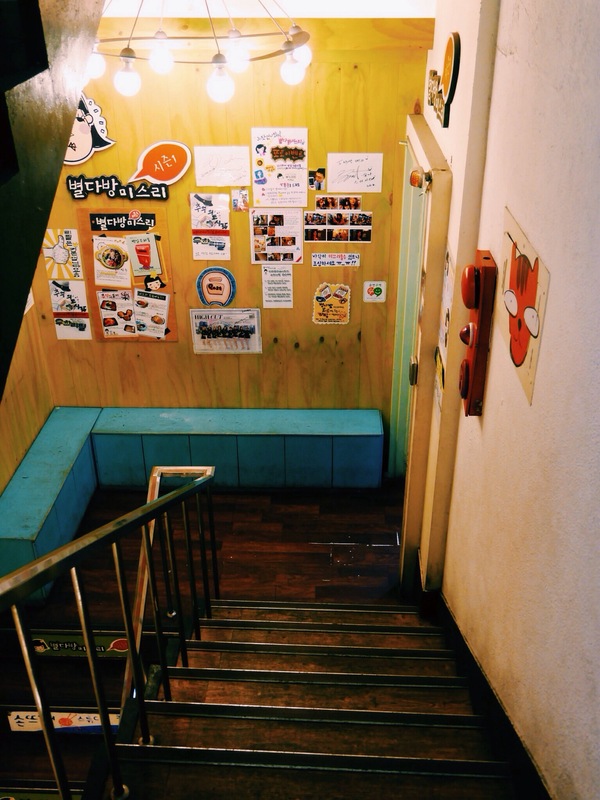 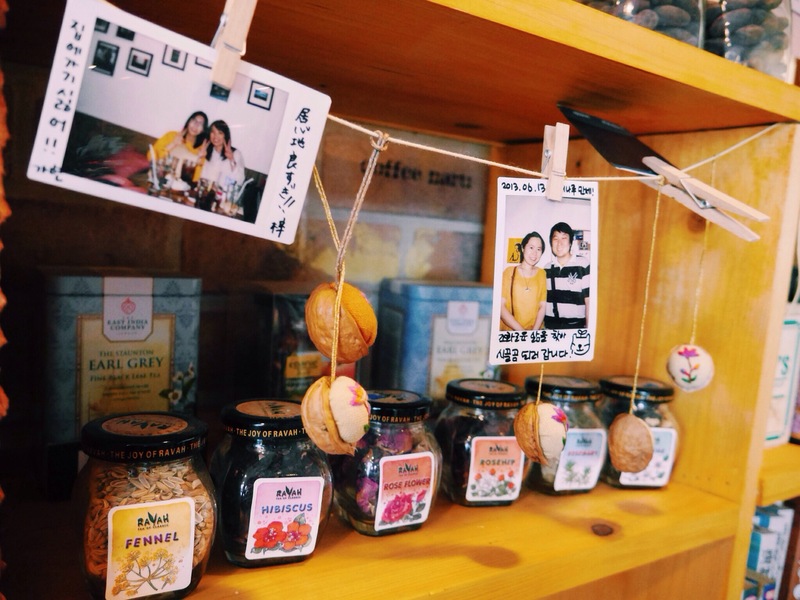 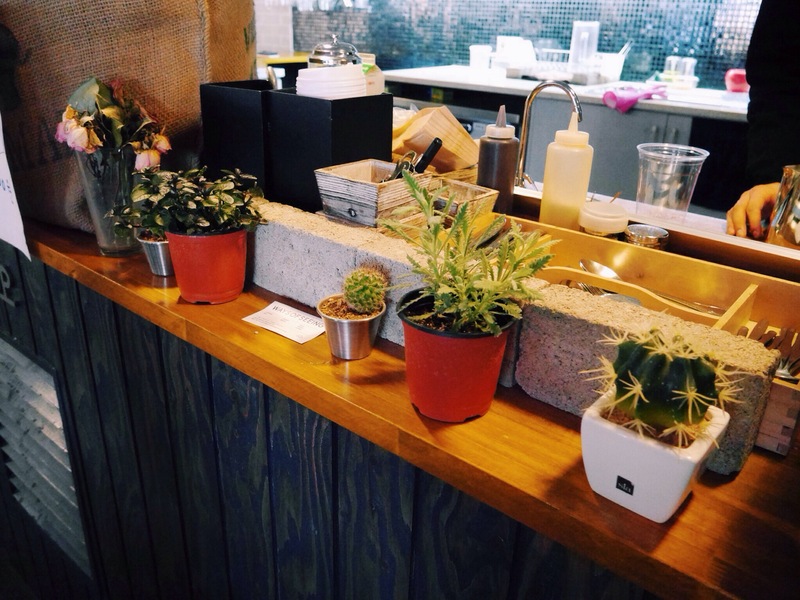 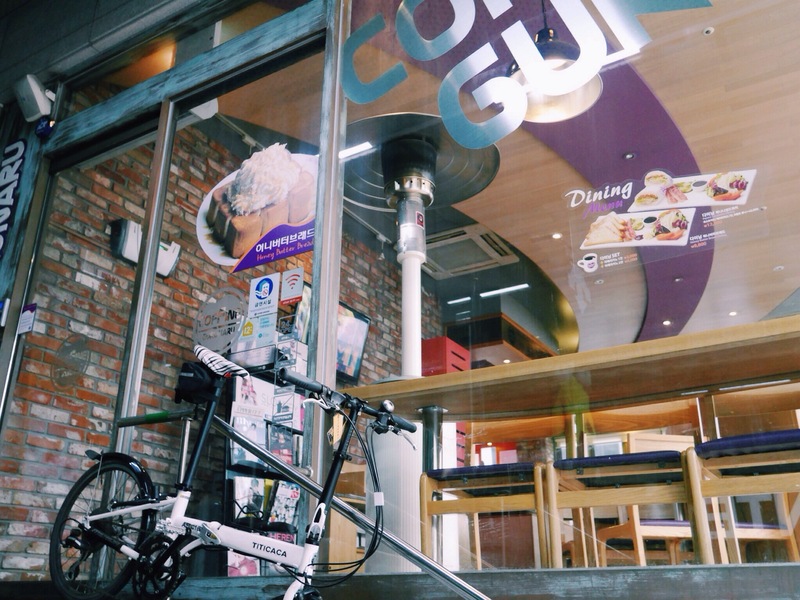 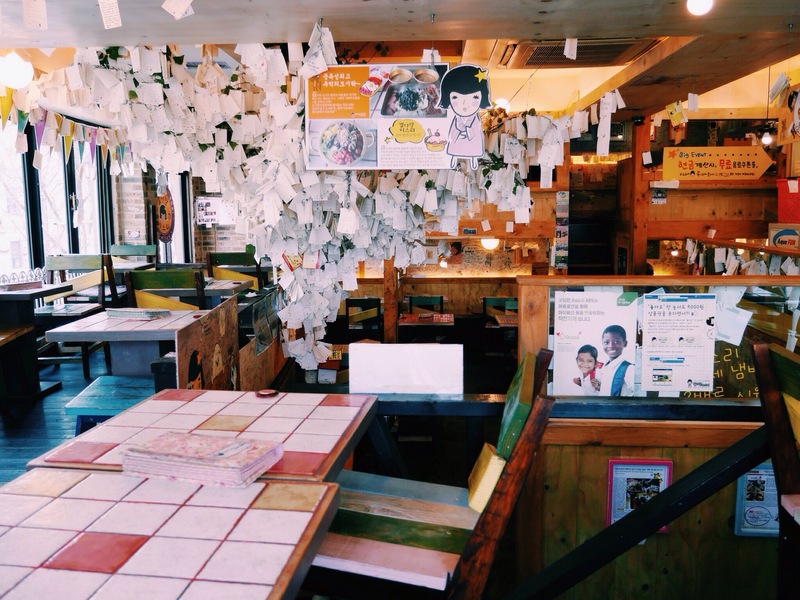 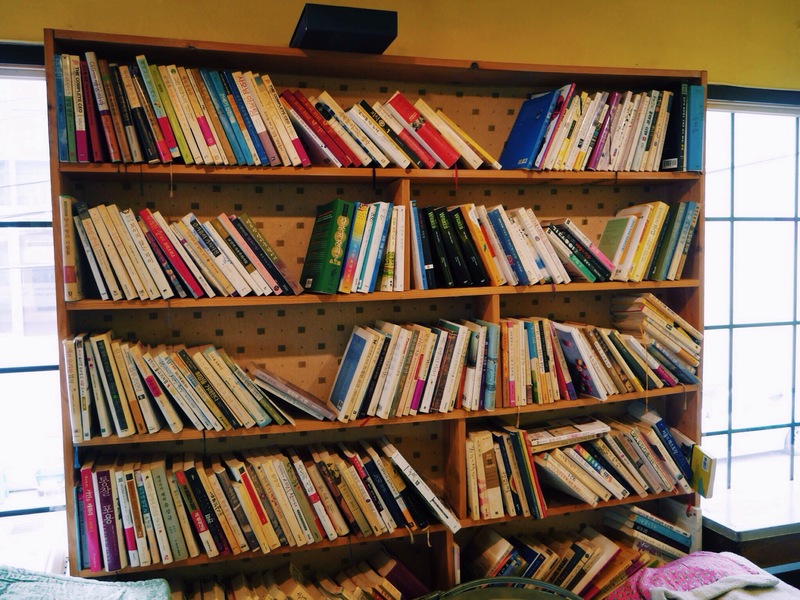 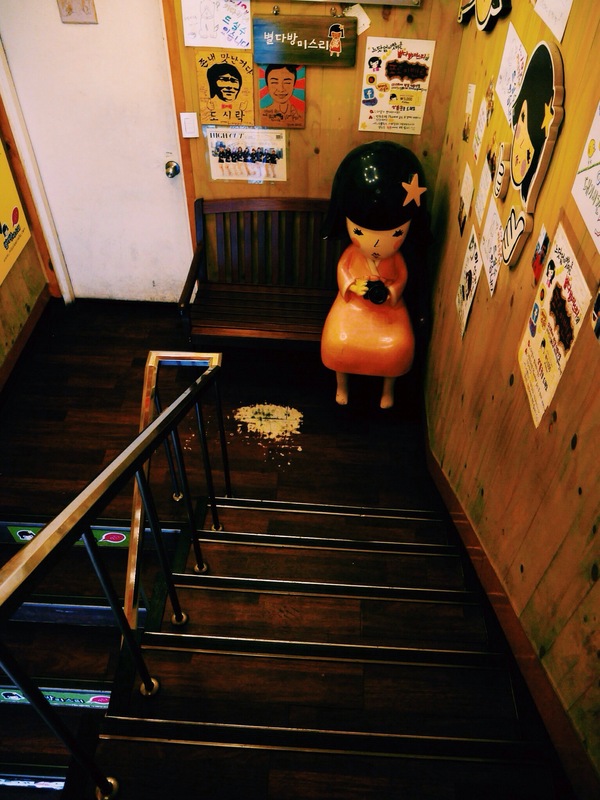 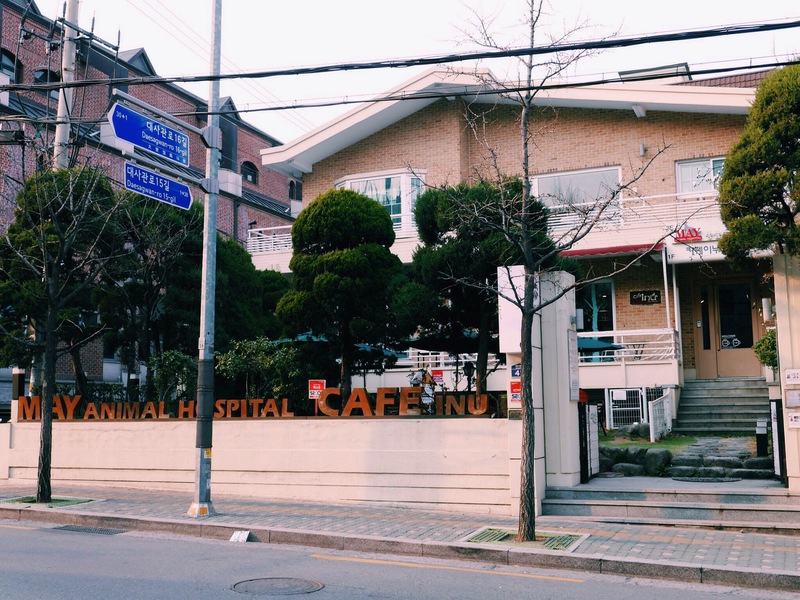 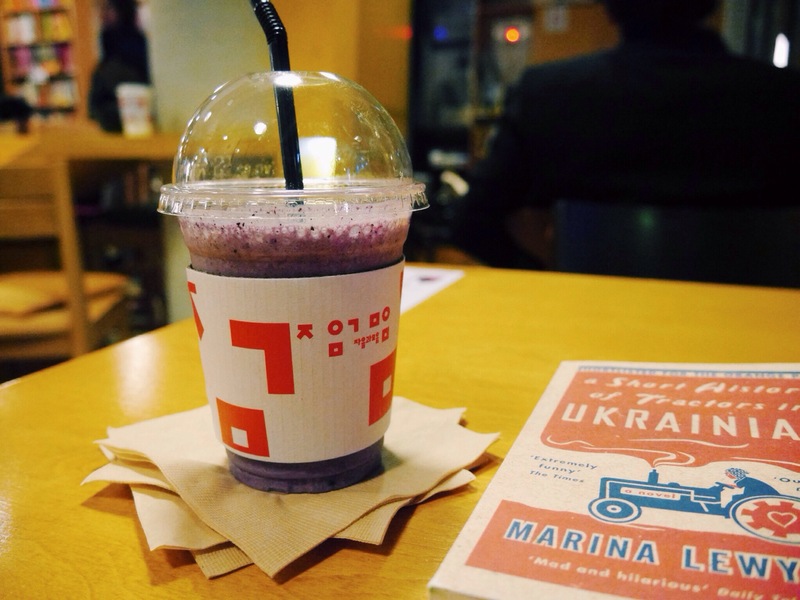 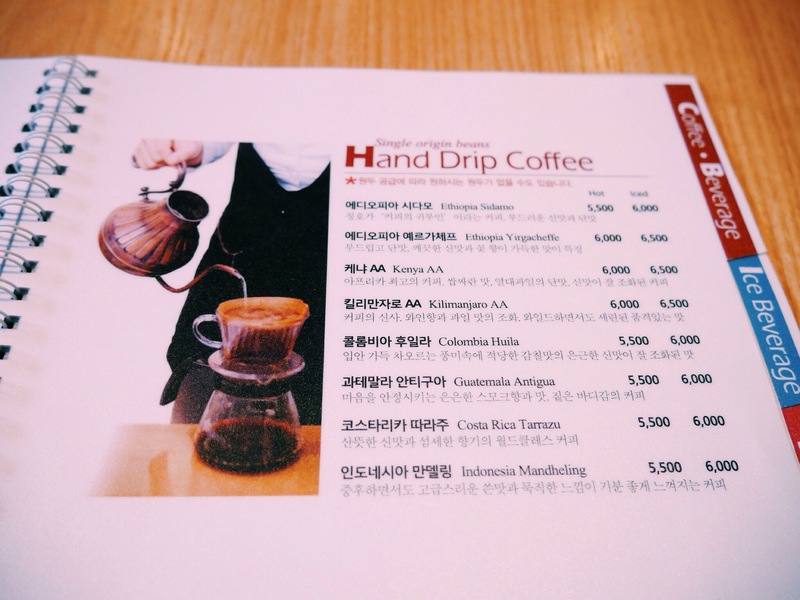 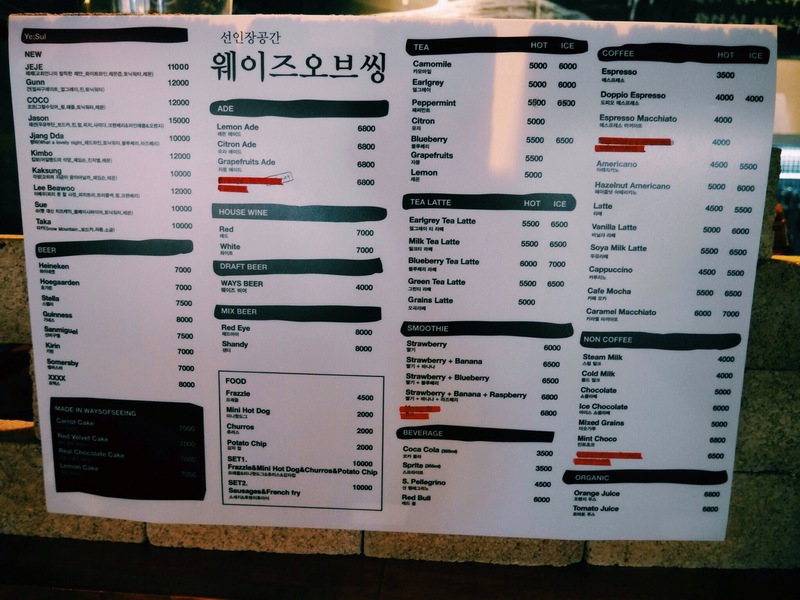 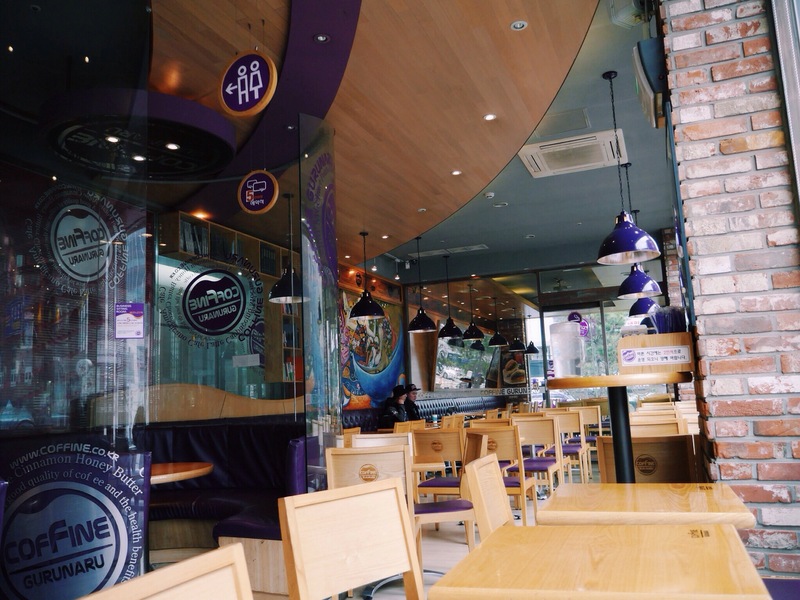 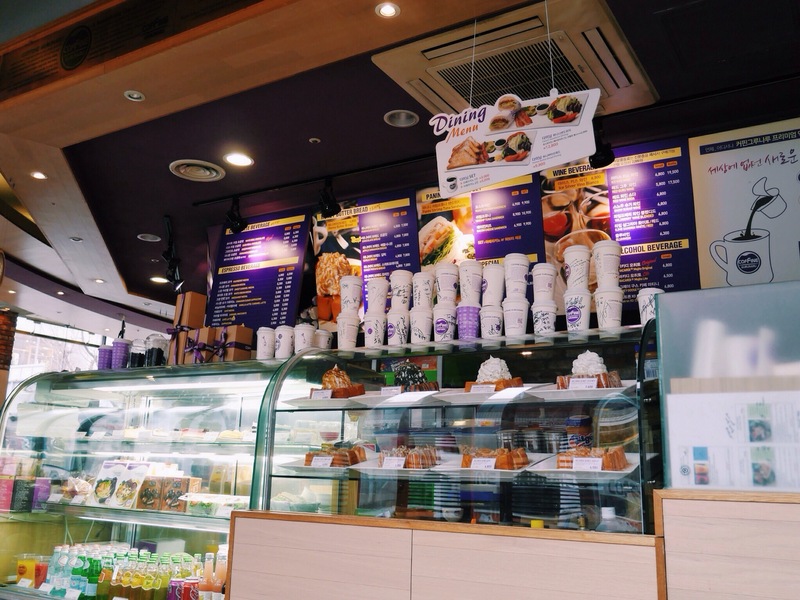 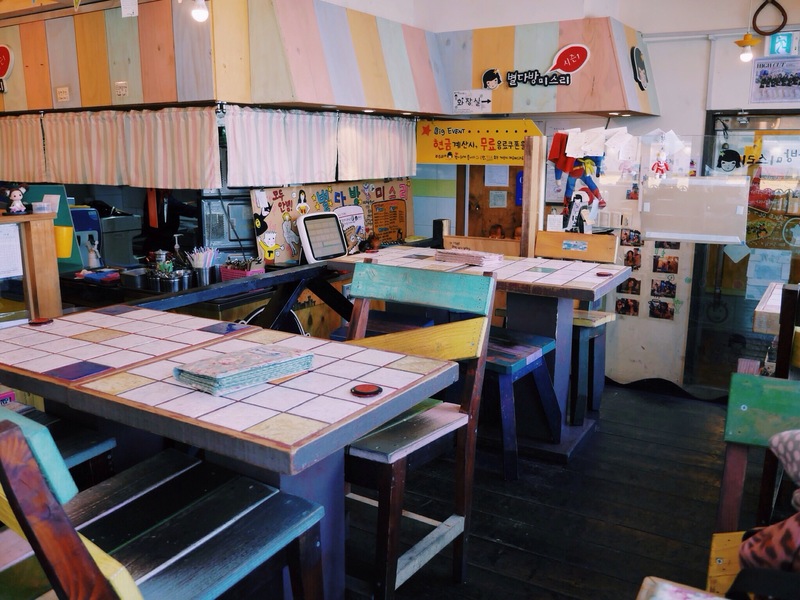 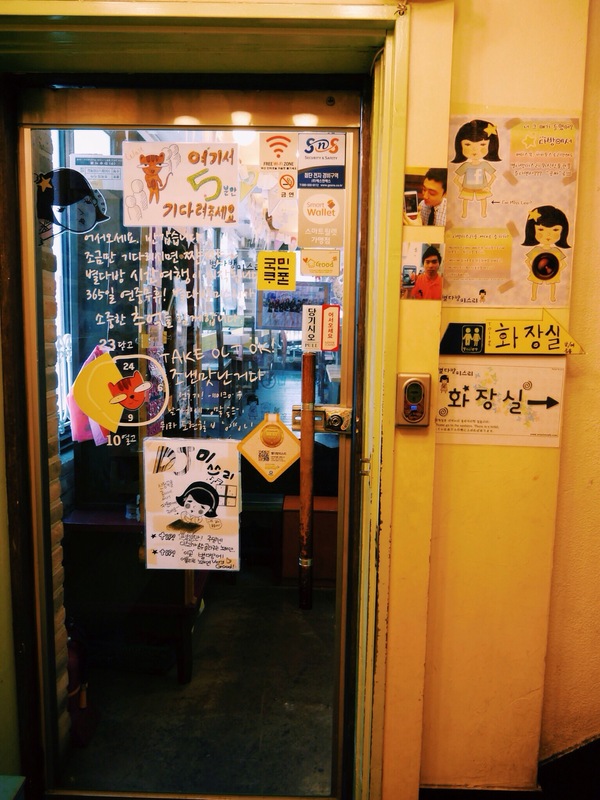 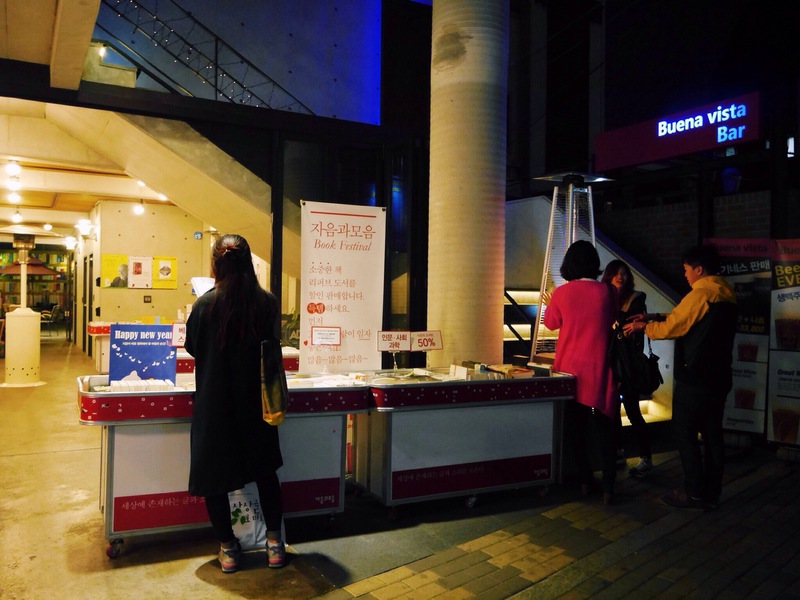 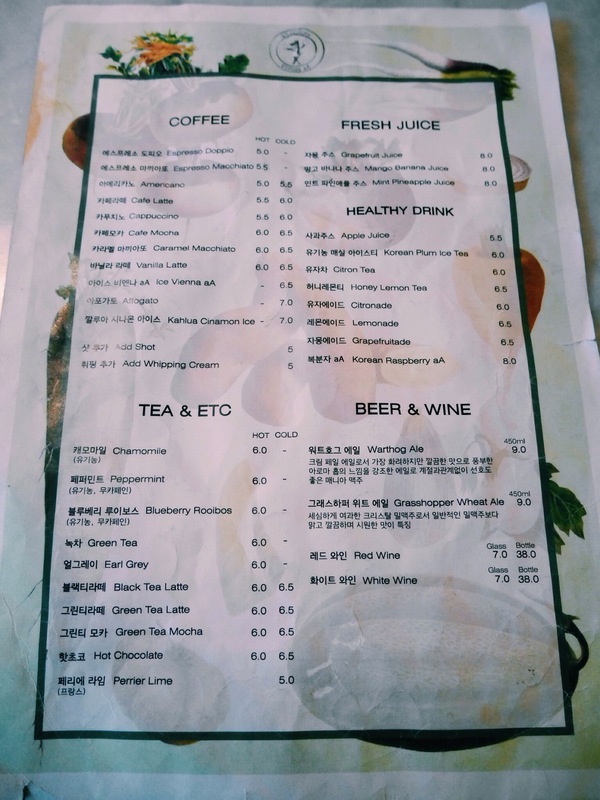 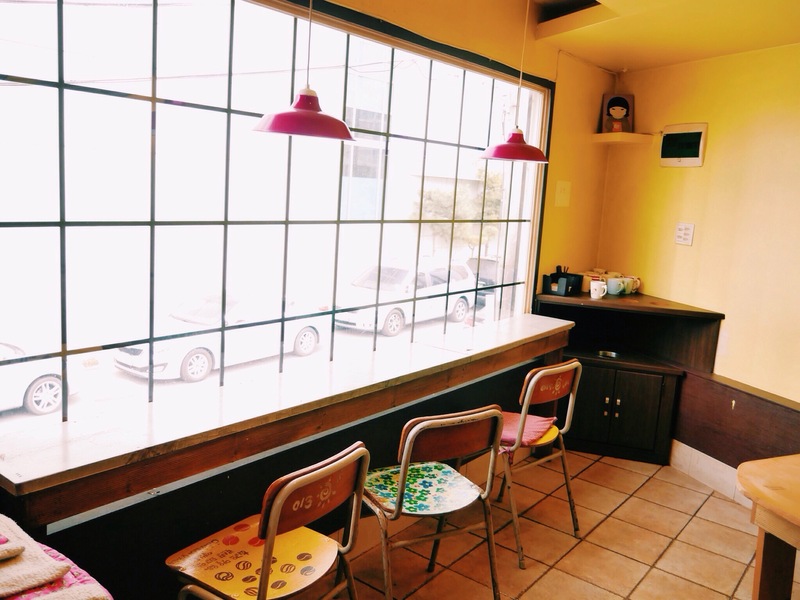 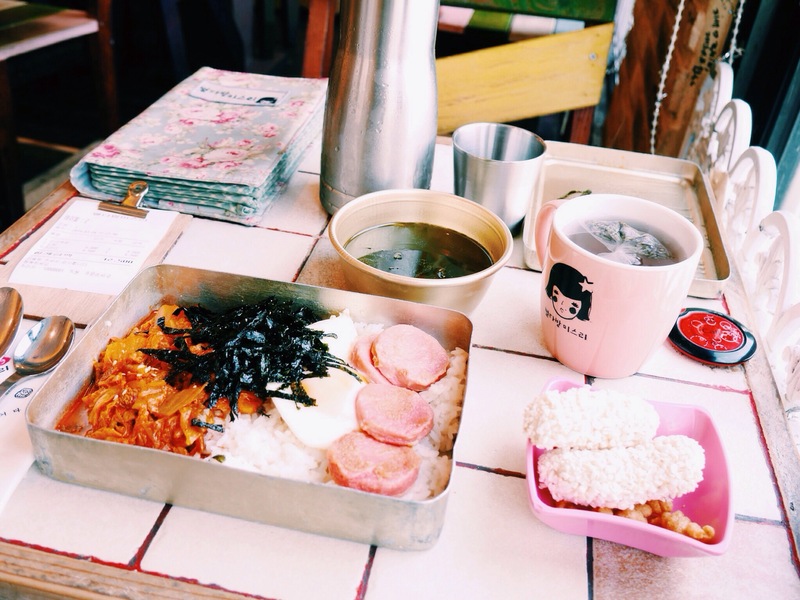 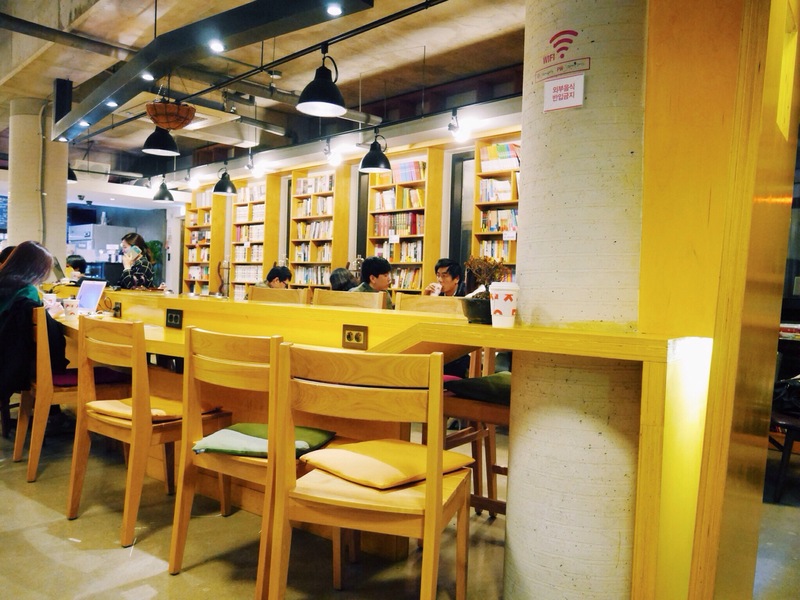 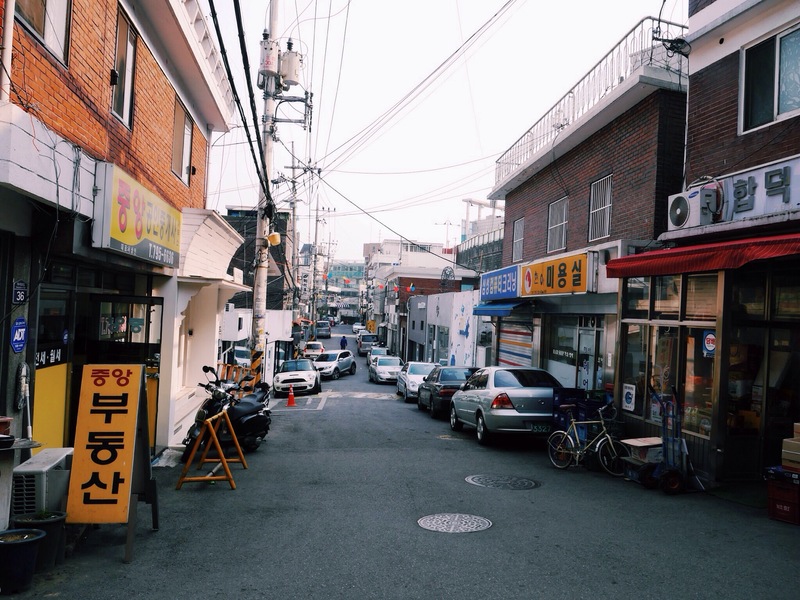 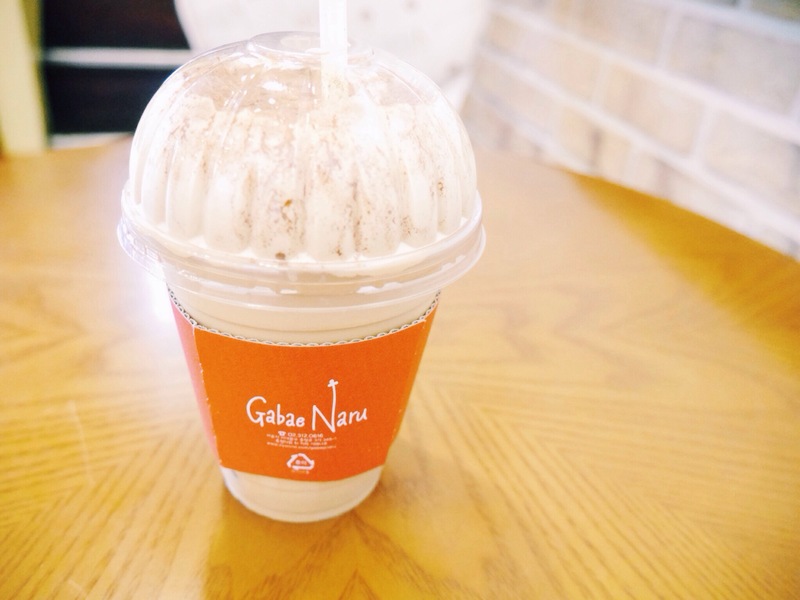 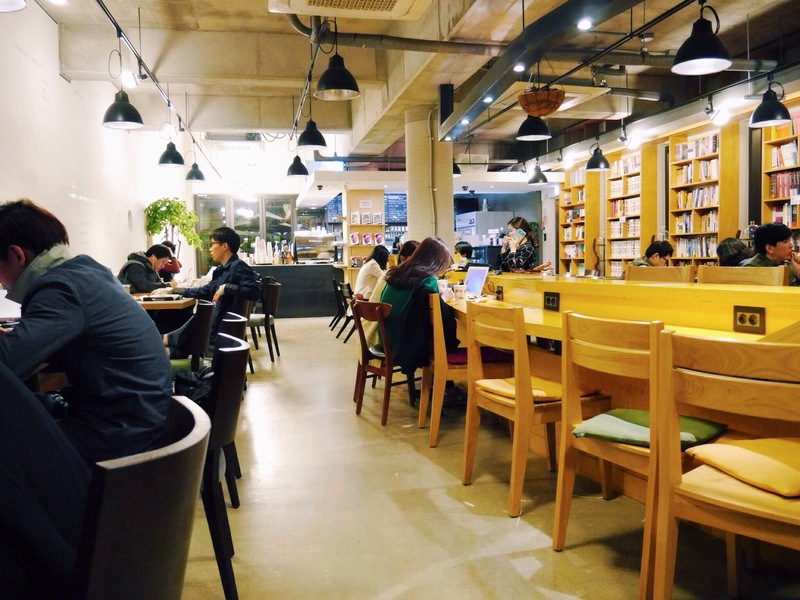 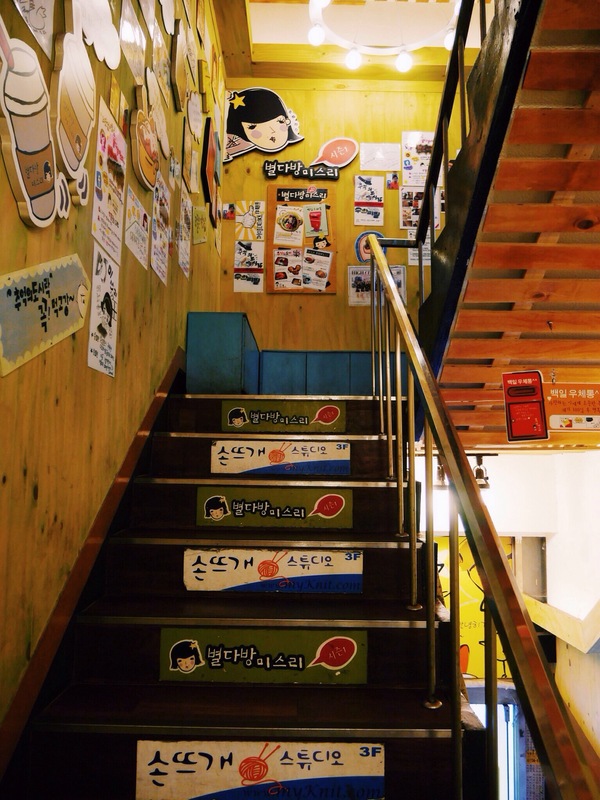 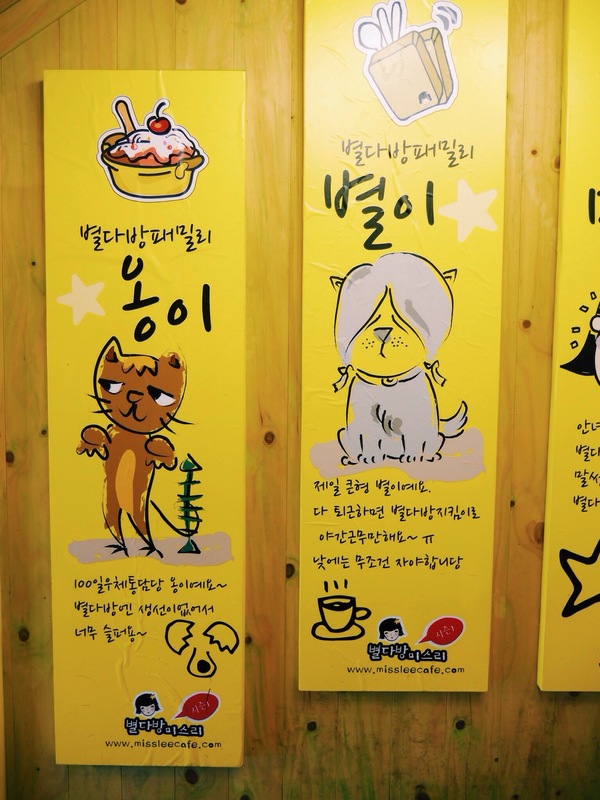 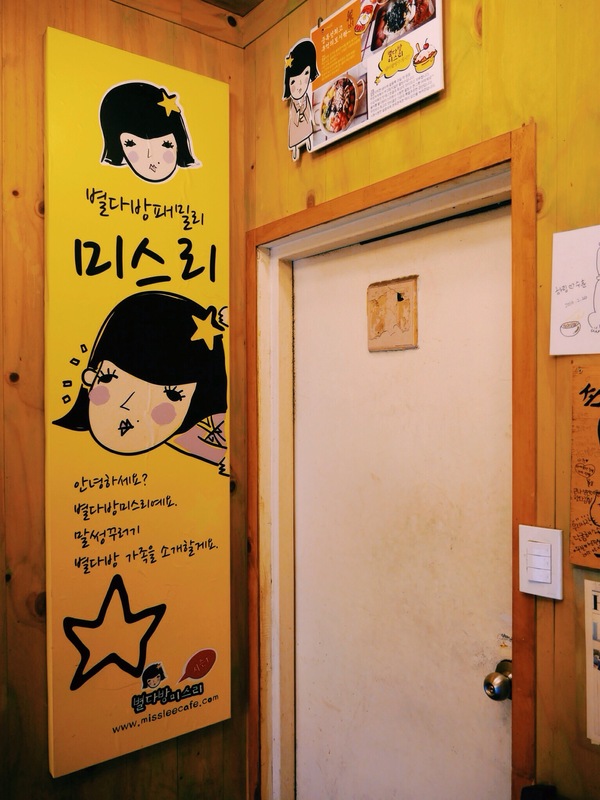 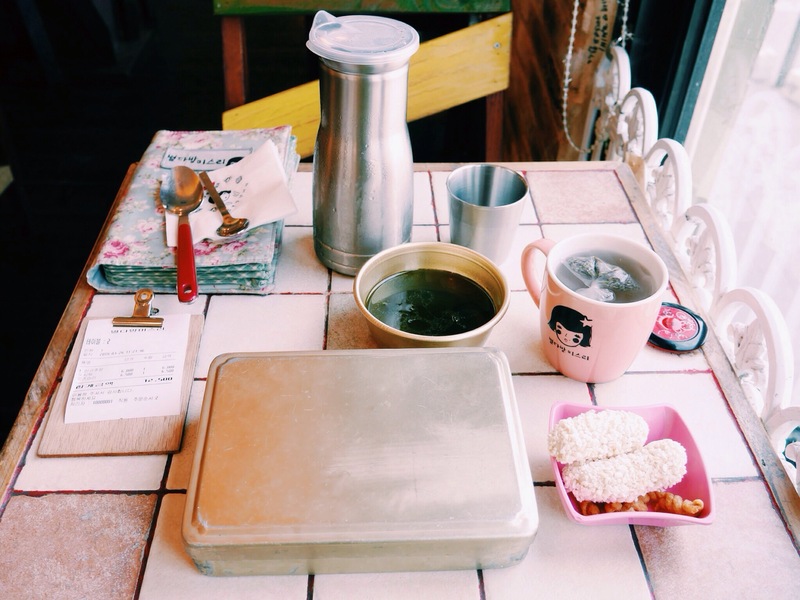 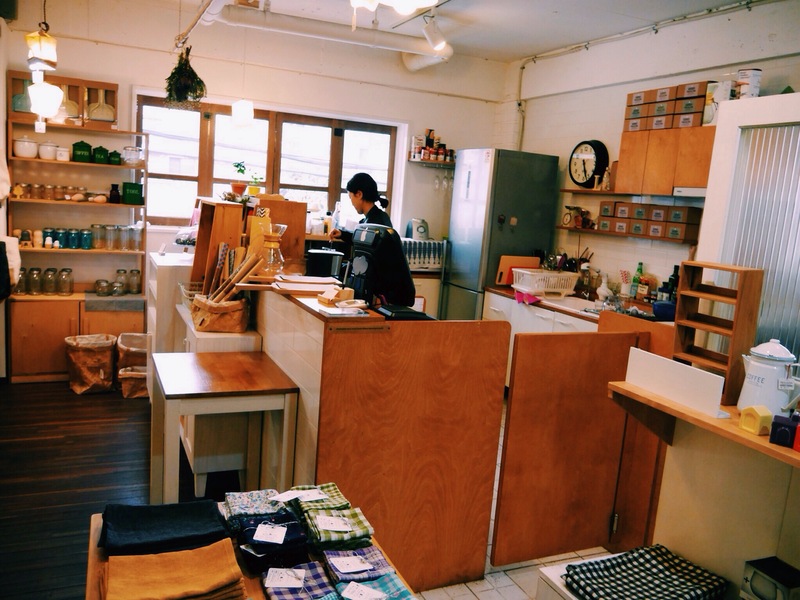 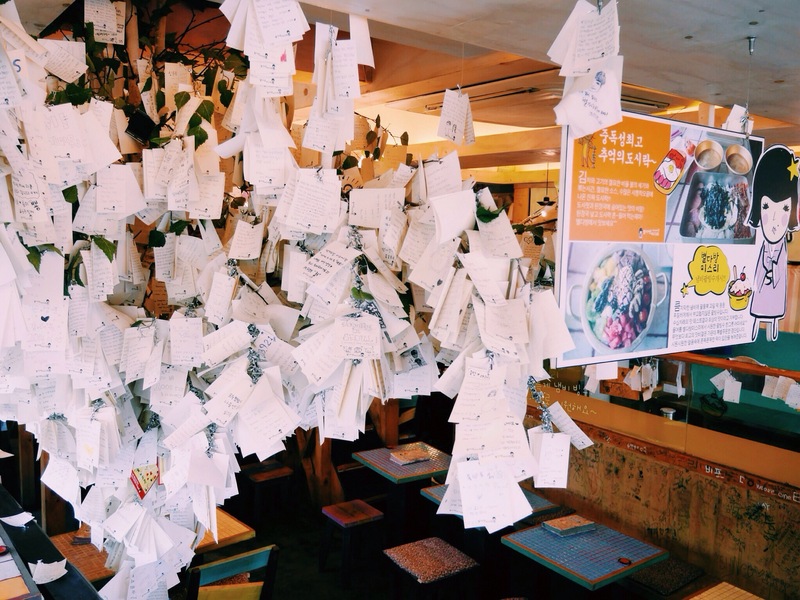 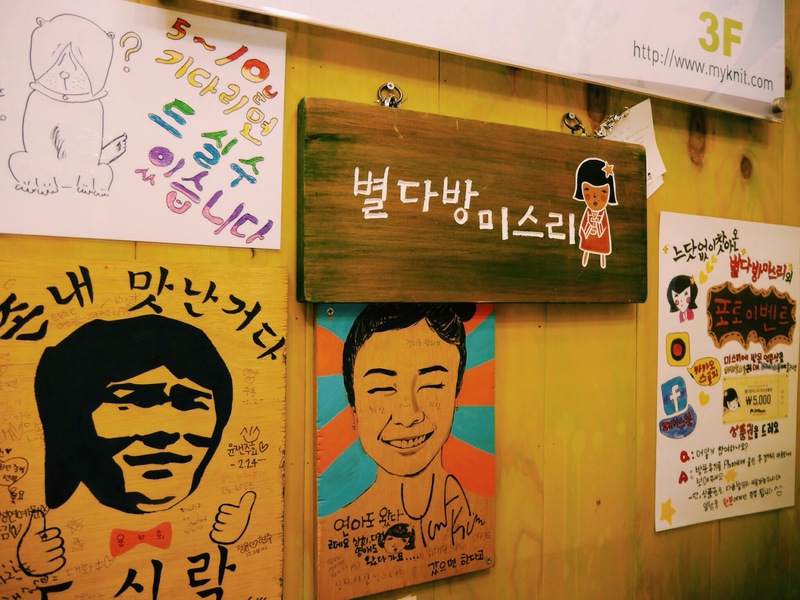 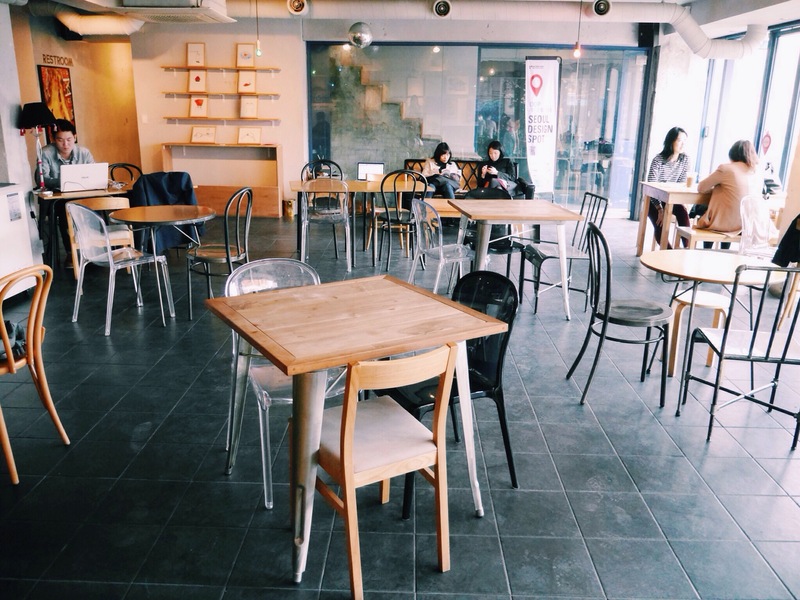 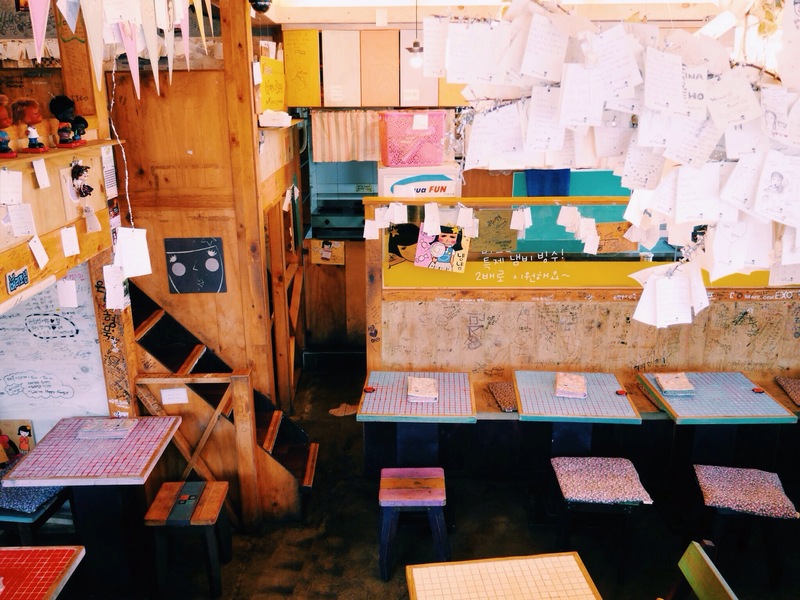 The cafes at Hannamdong are small, and most of them were takeout cafes which didn’t provide much indoor seating. 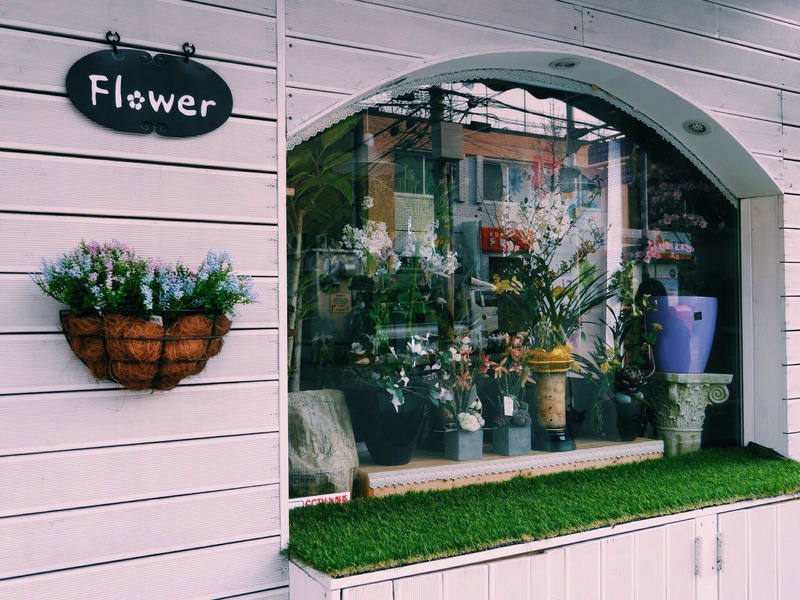 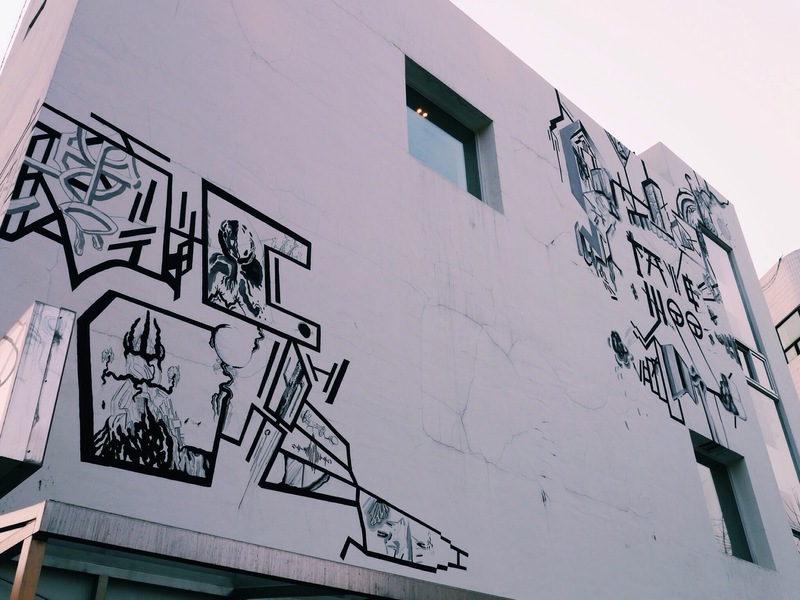 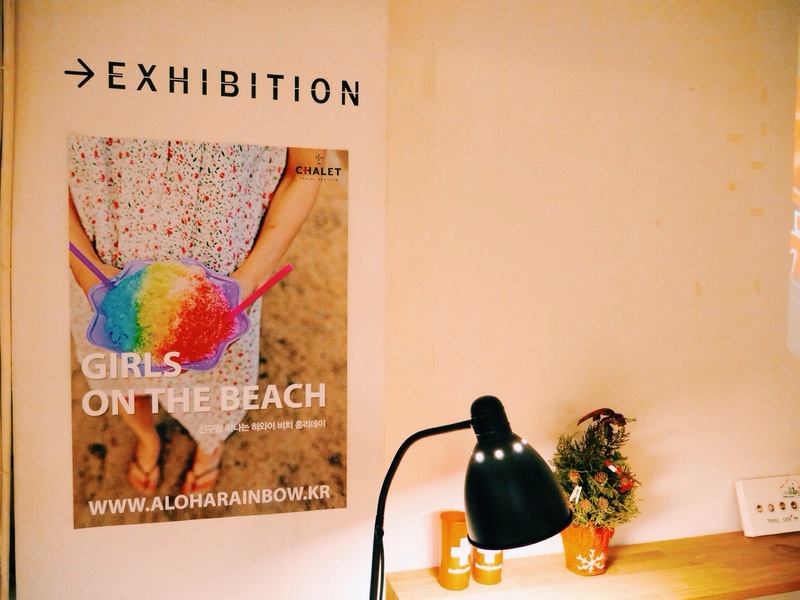 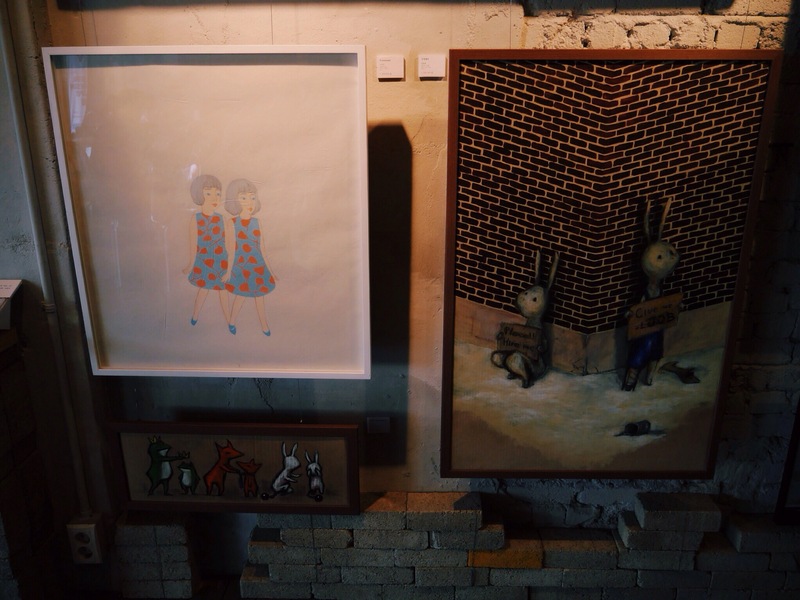 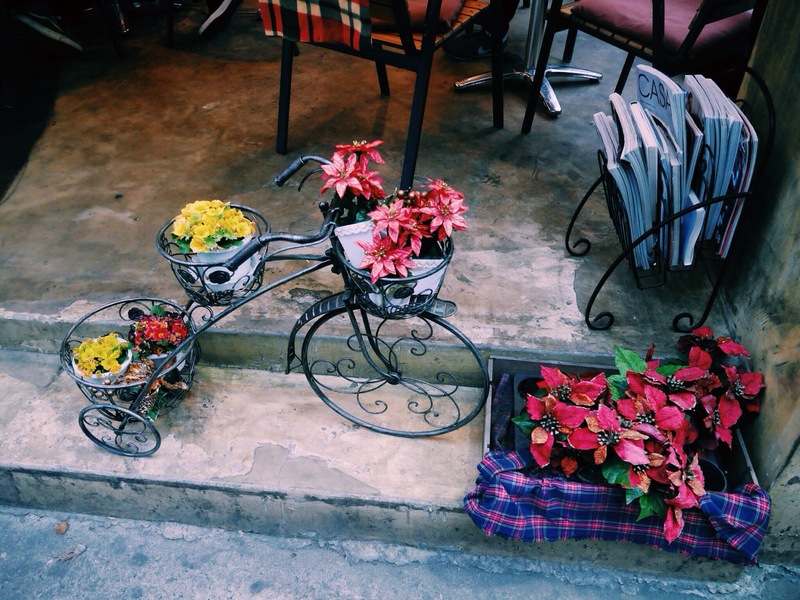 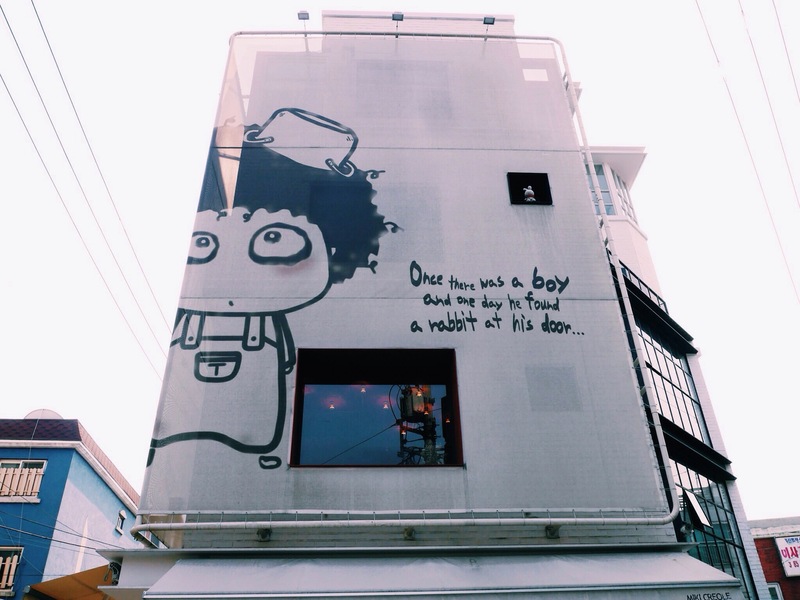 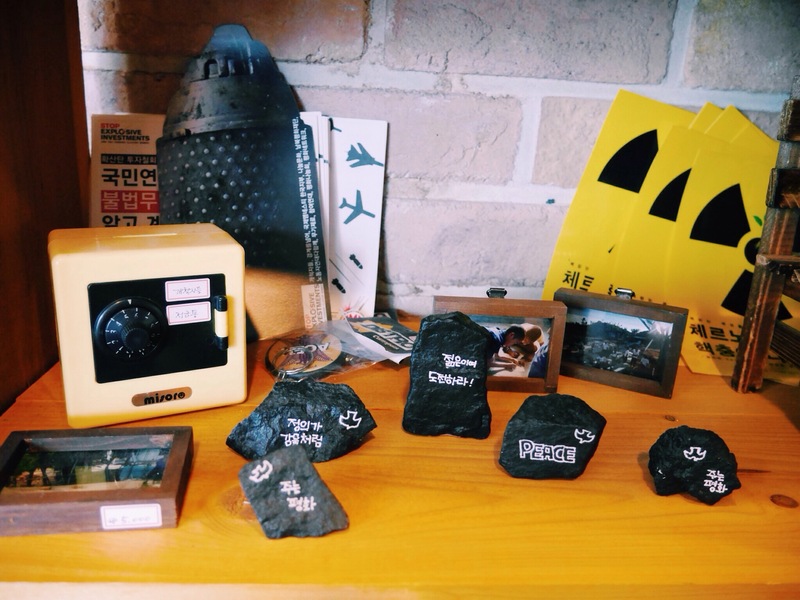 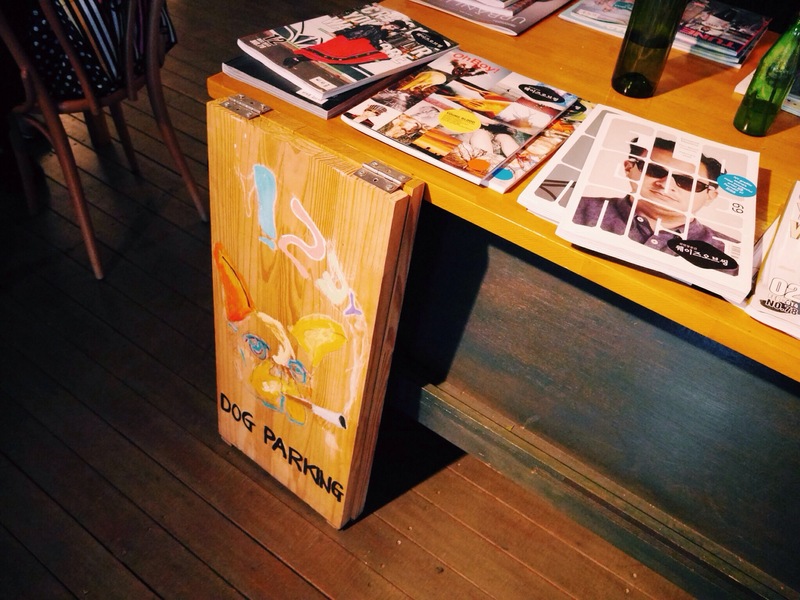 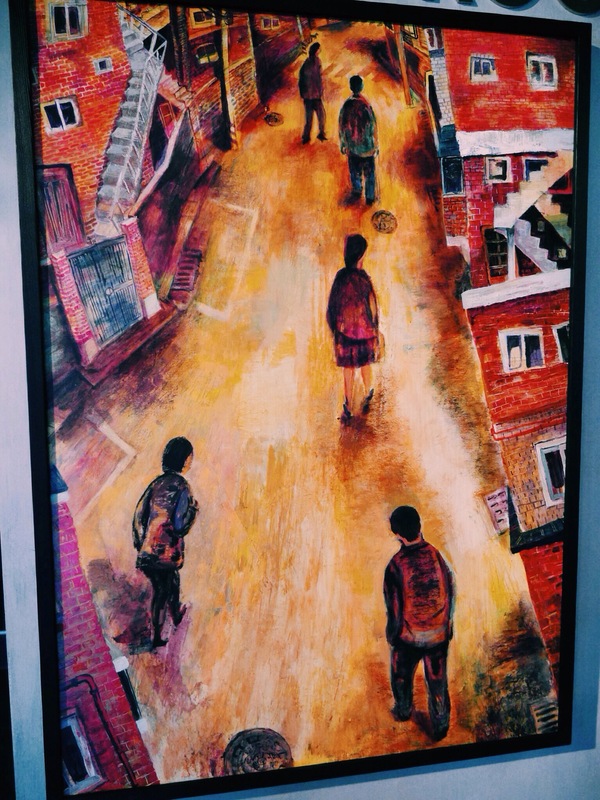 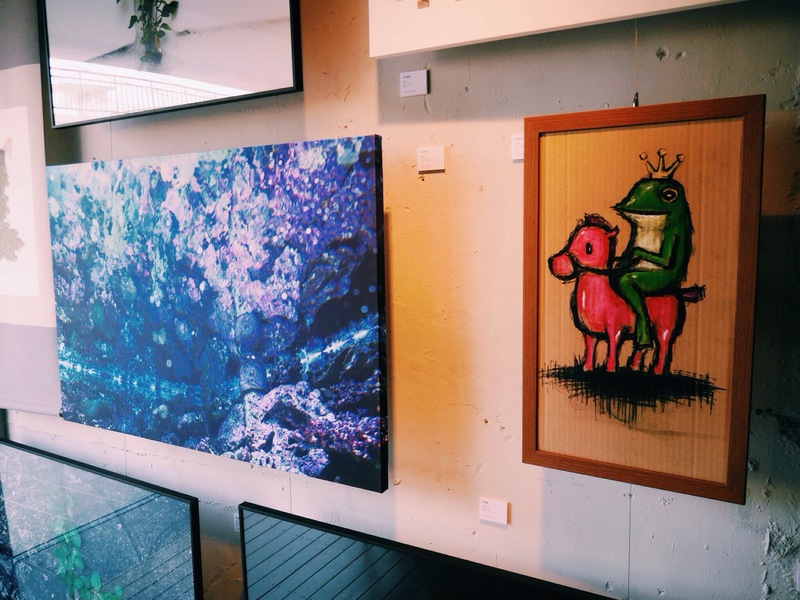 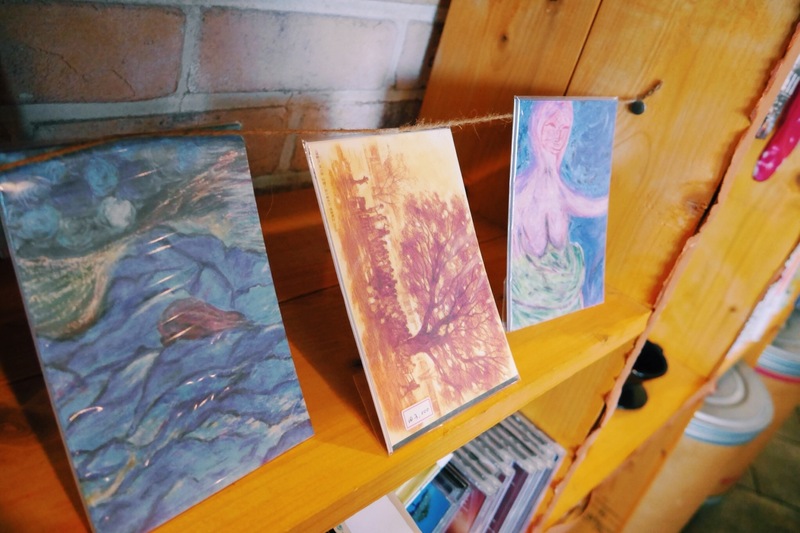 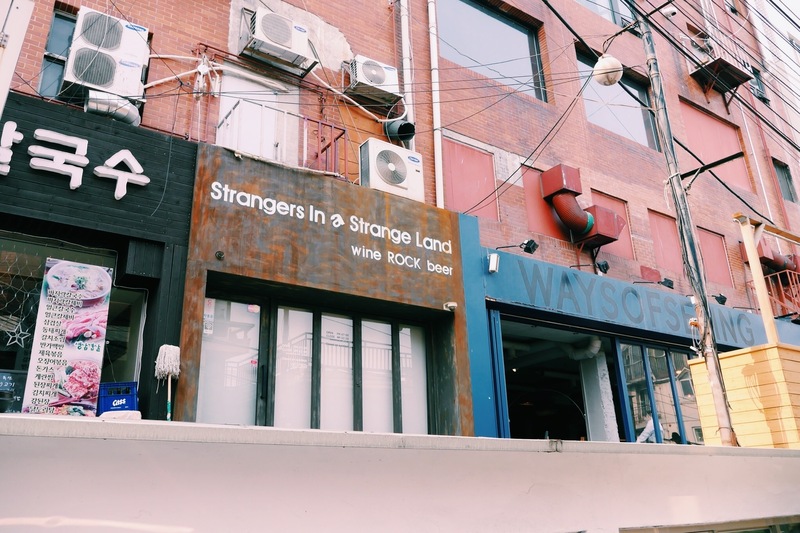 Itaewon is, all in all, a westernized zone, home to far-flung imaginations and art in all its re-created beauty. 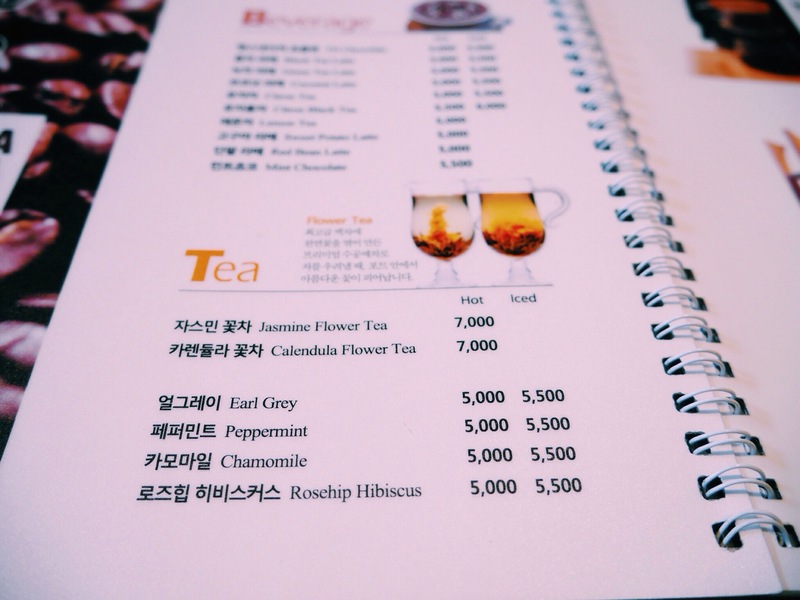 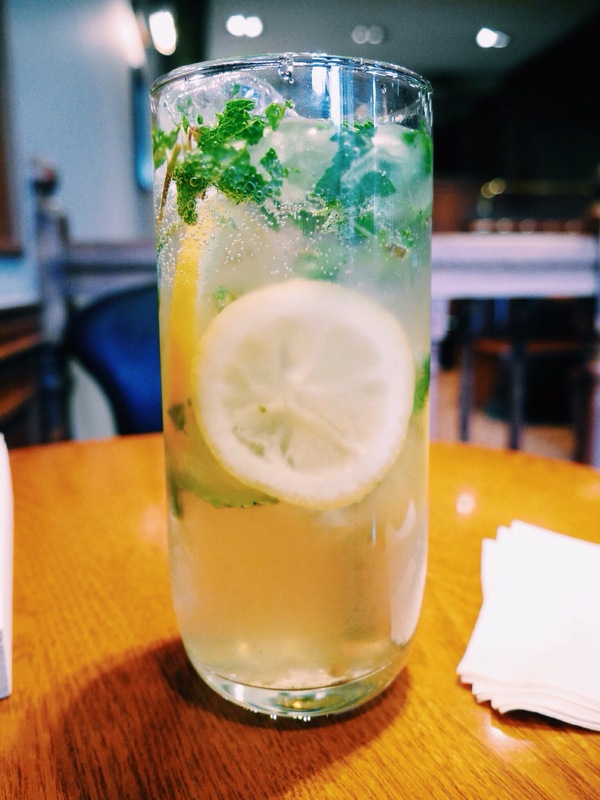 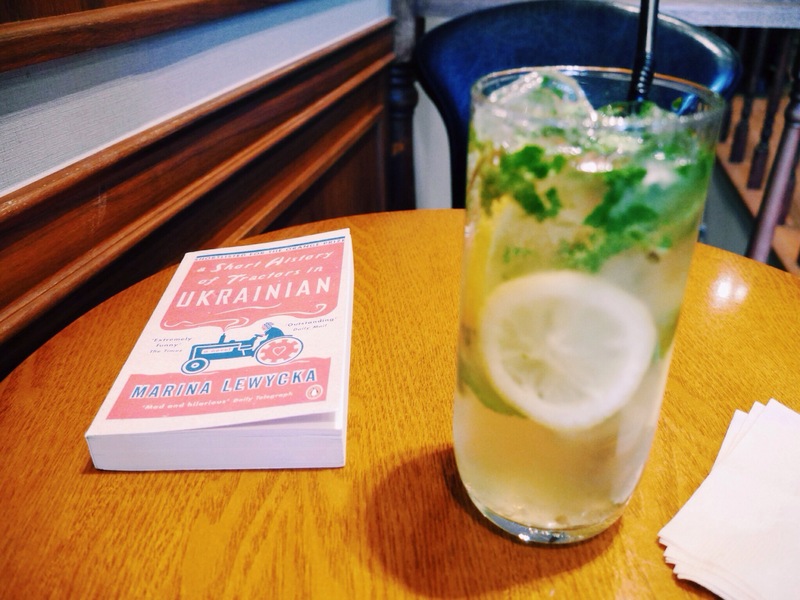 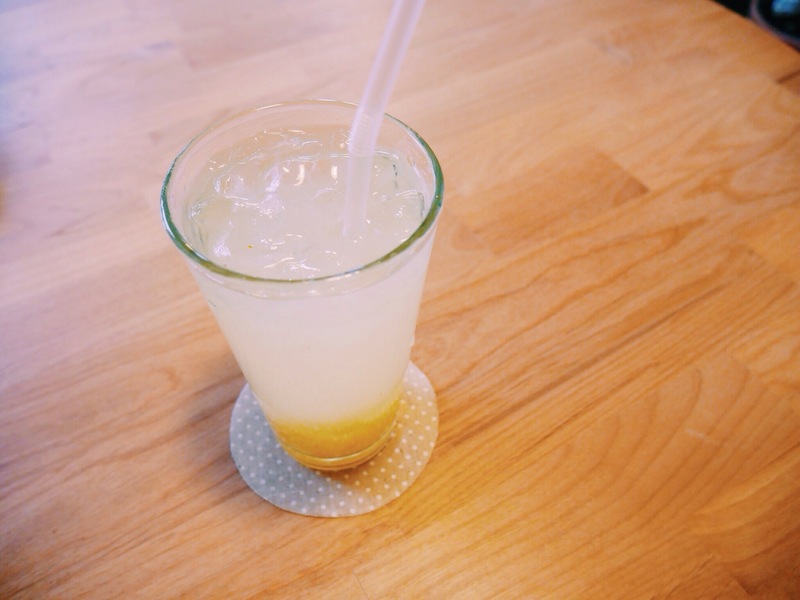 Lemon and Mint-ade after spending a long afternoon exploring Bukchon Hanok Village and Samcheongdong. 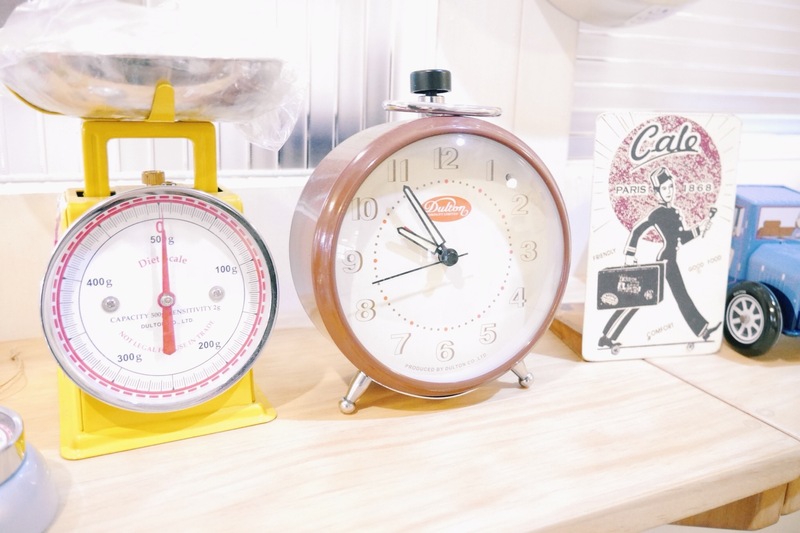 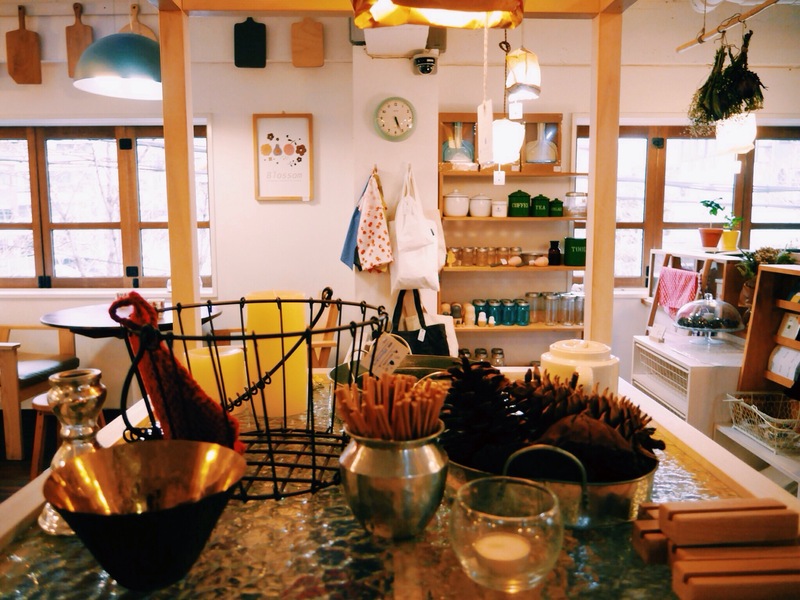 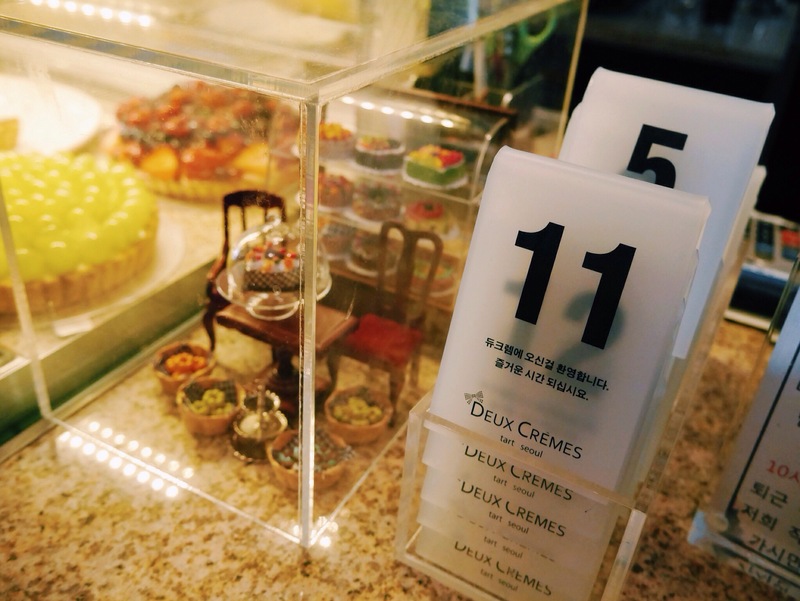 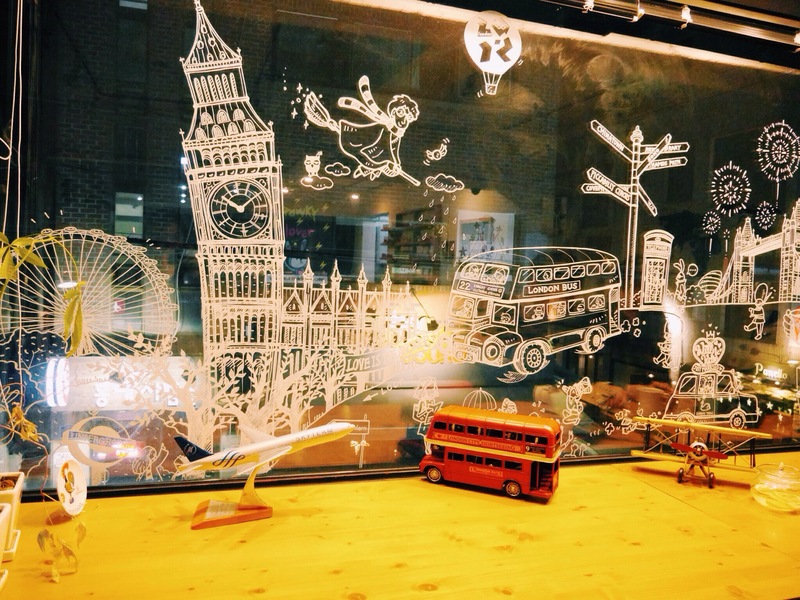 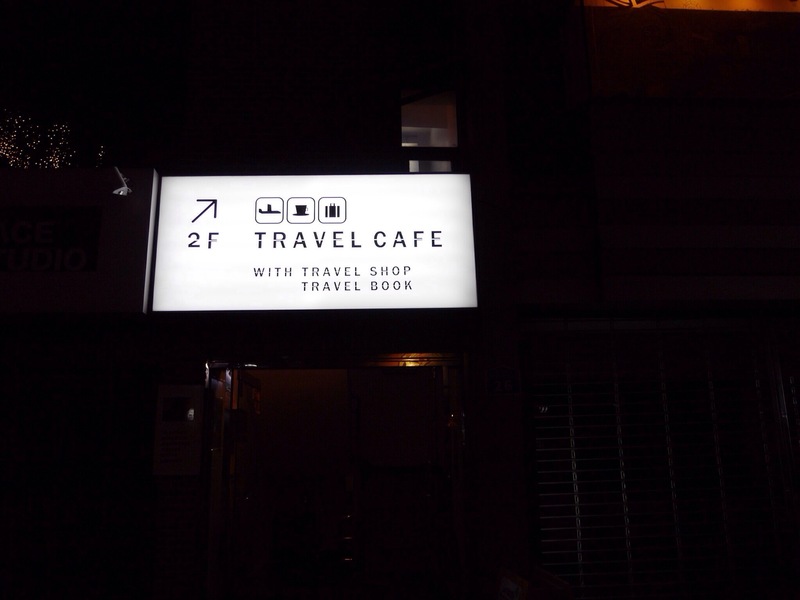 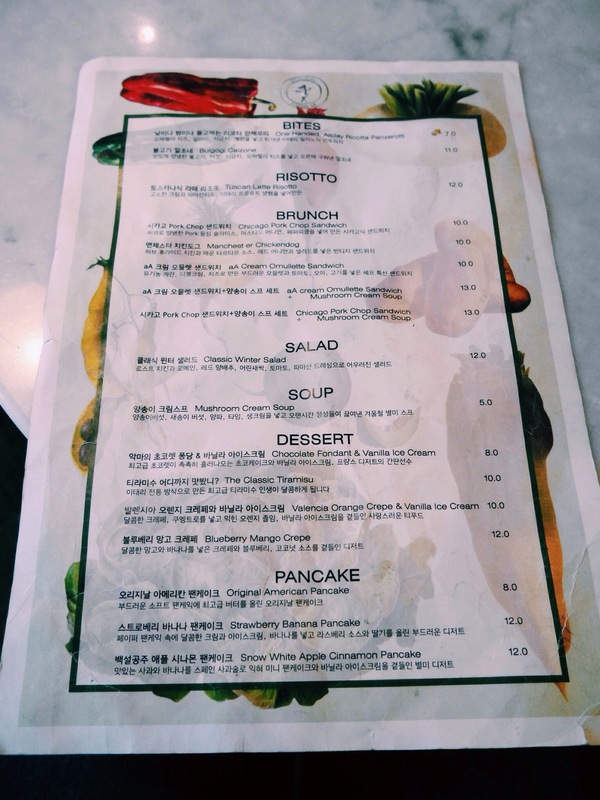 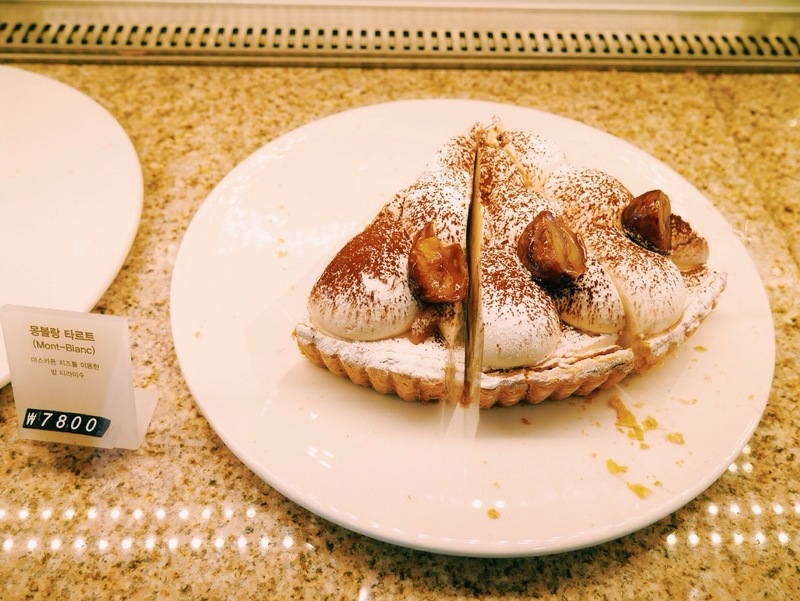 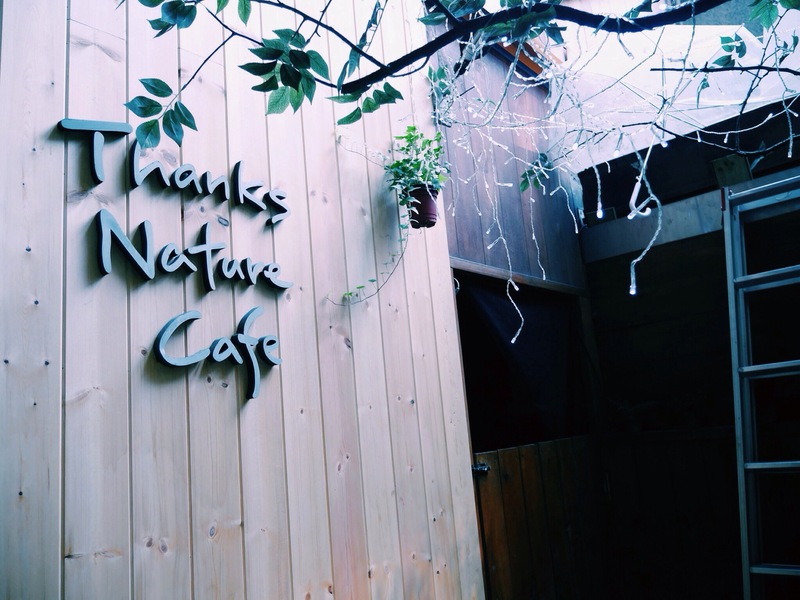 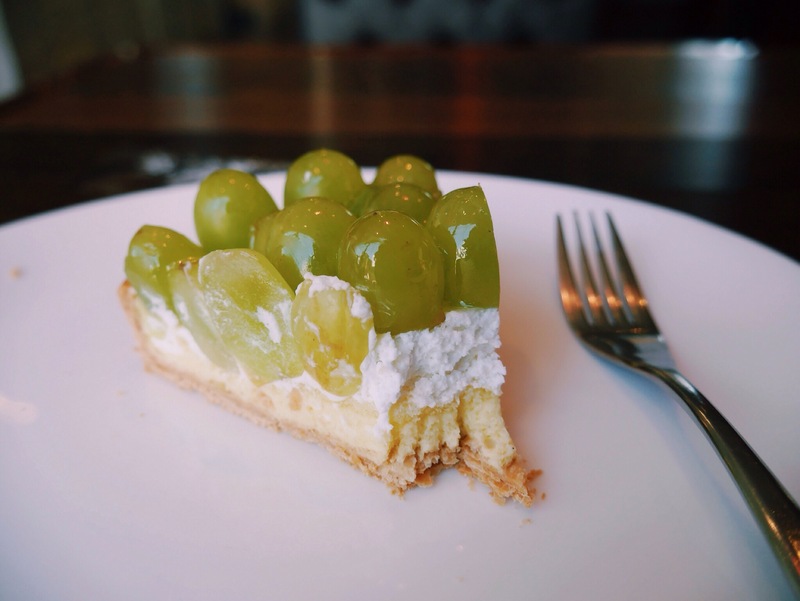 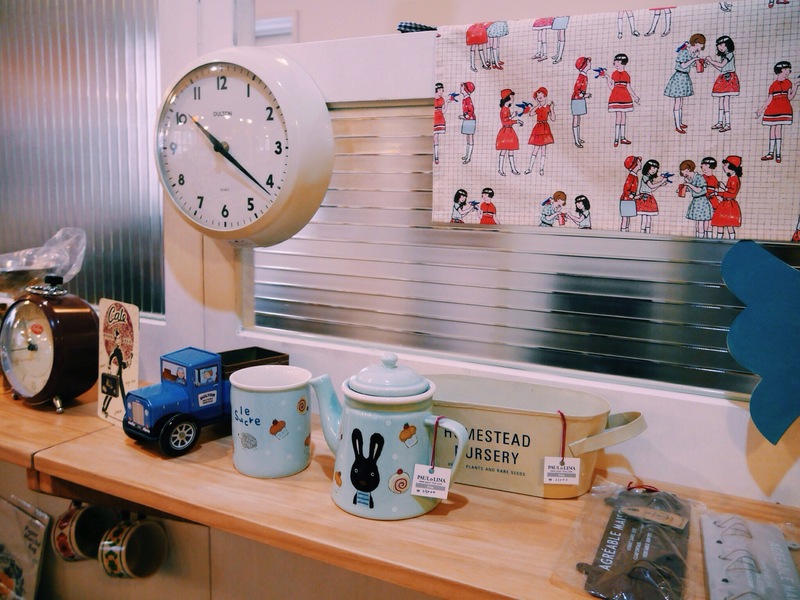 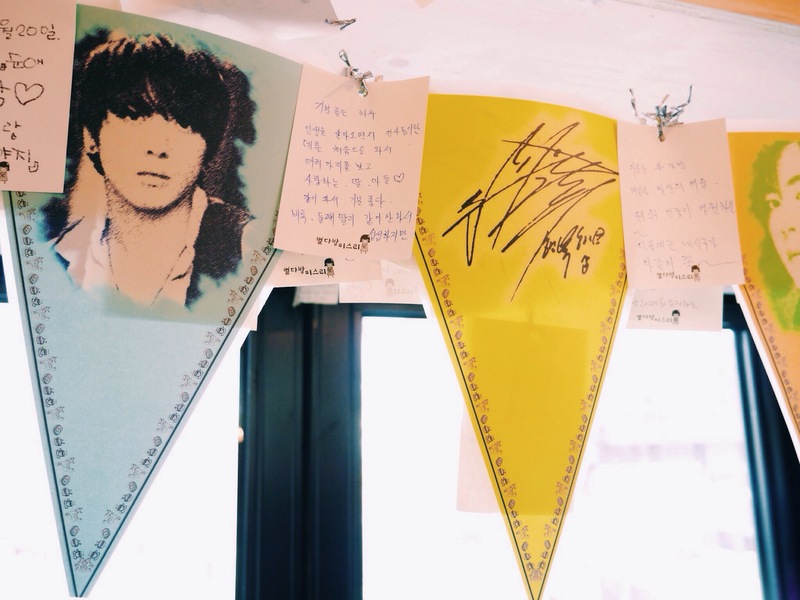 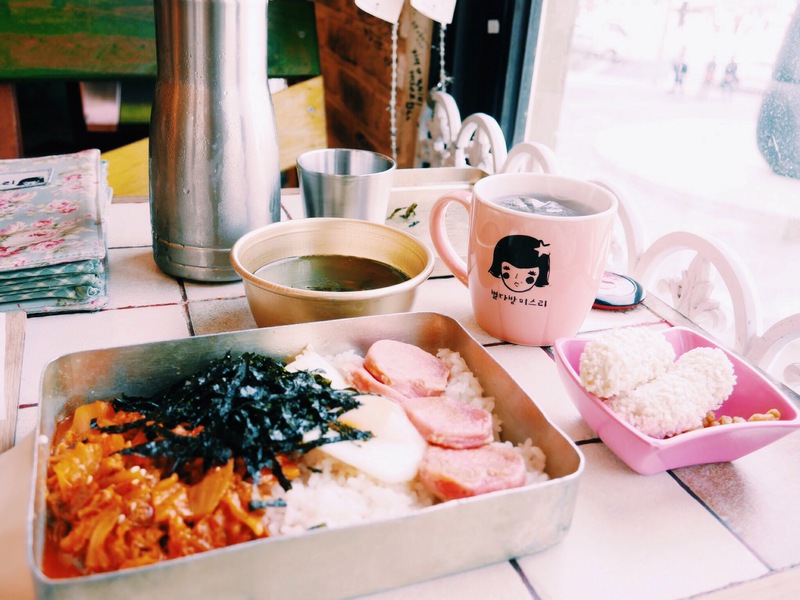 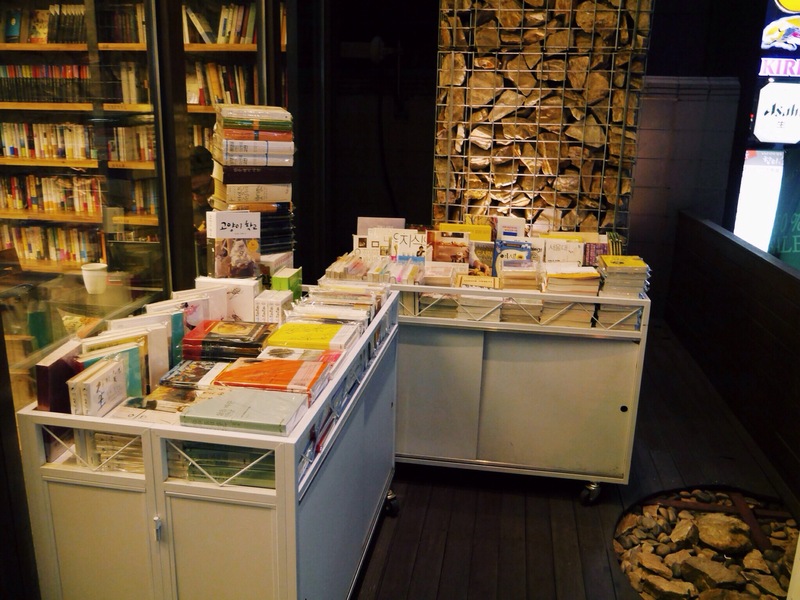 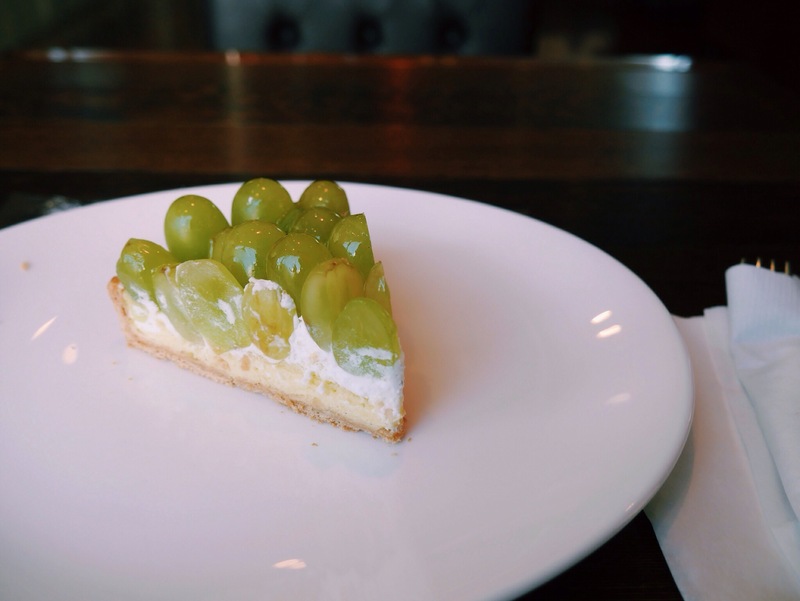 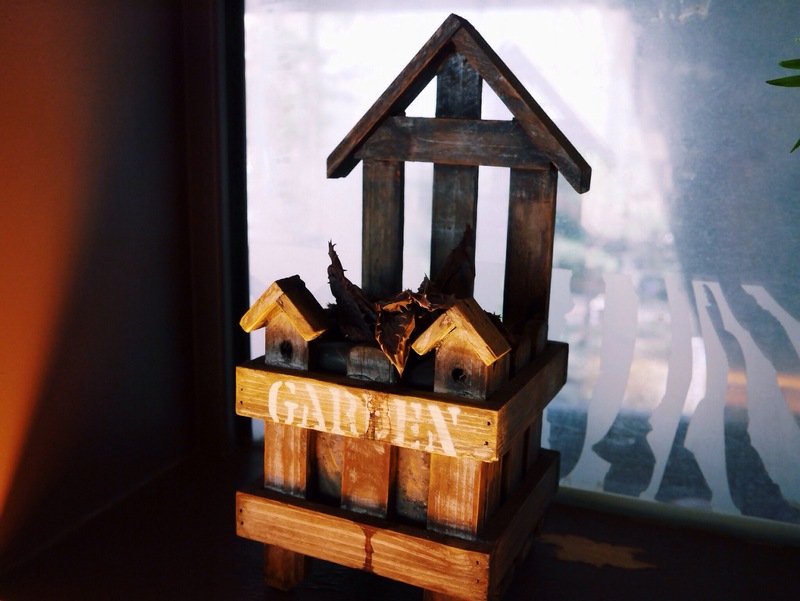 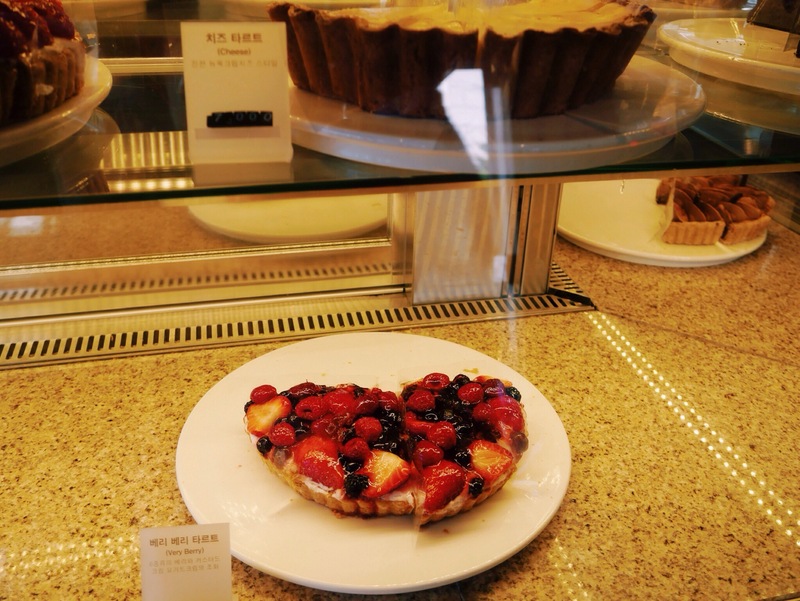 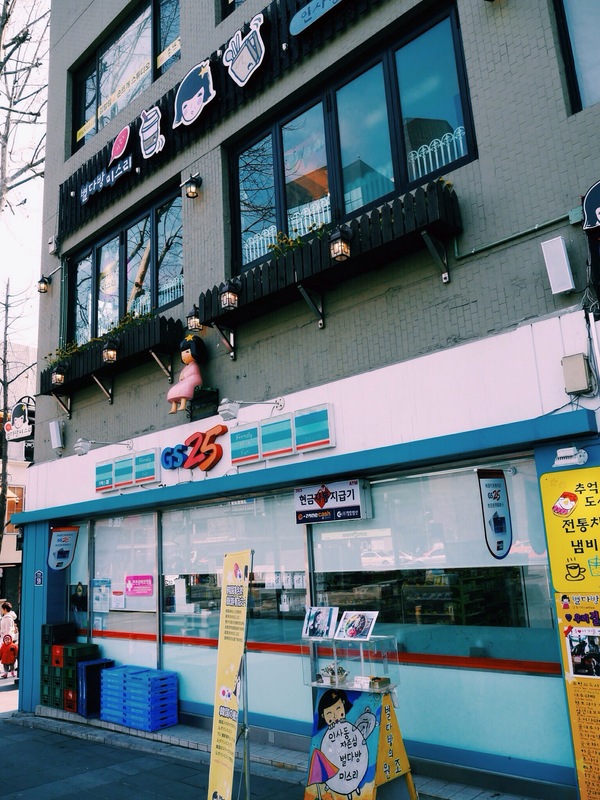 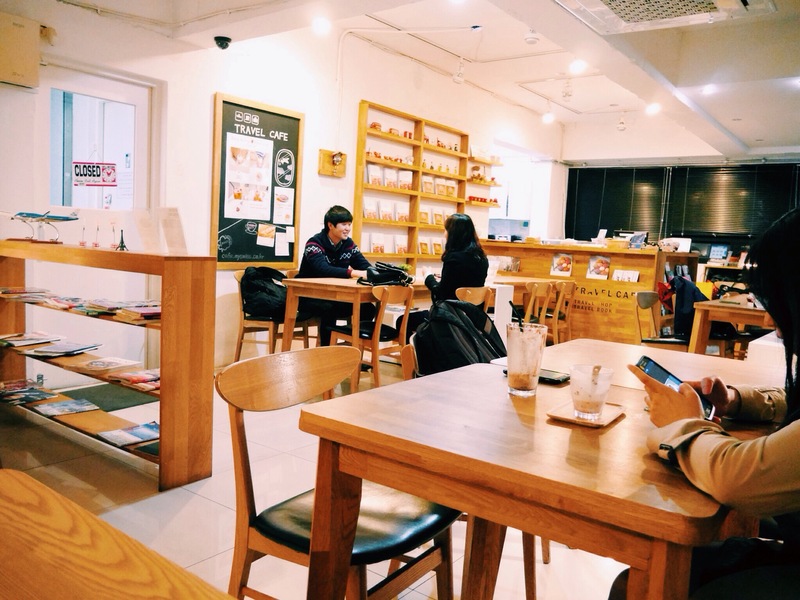 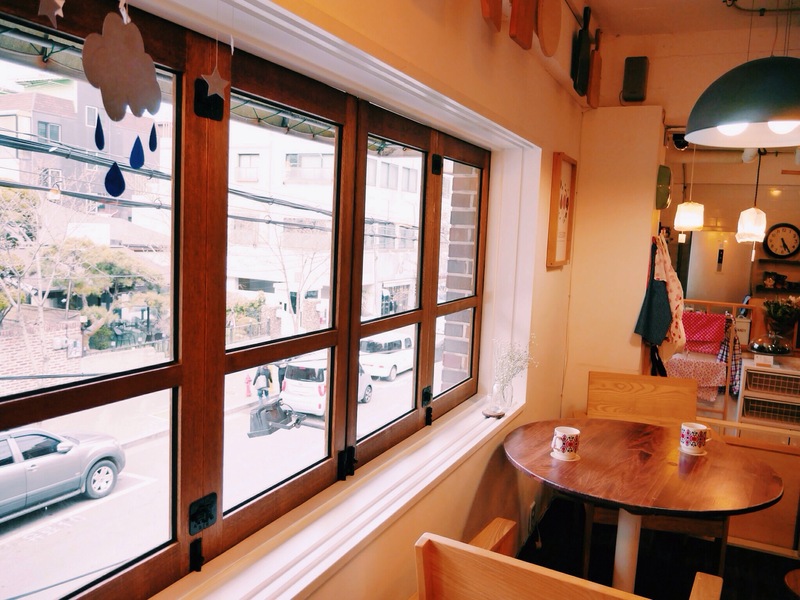 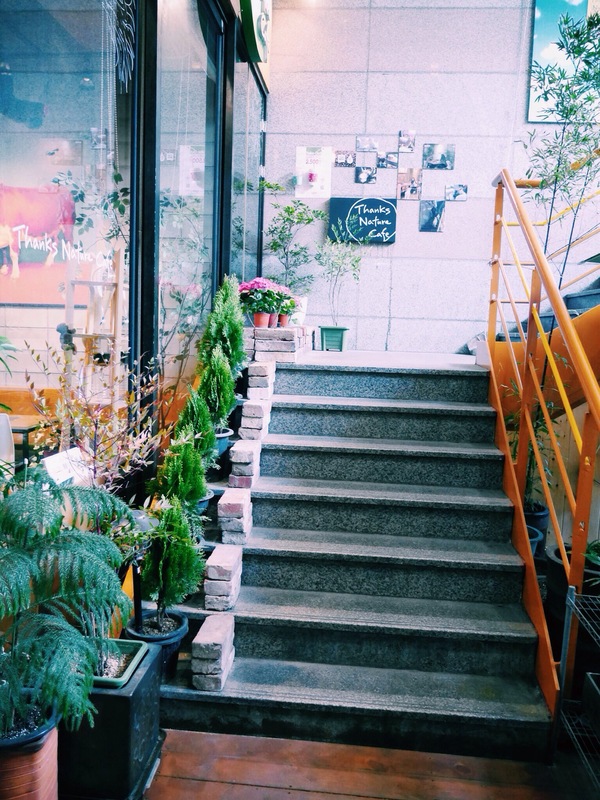 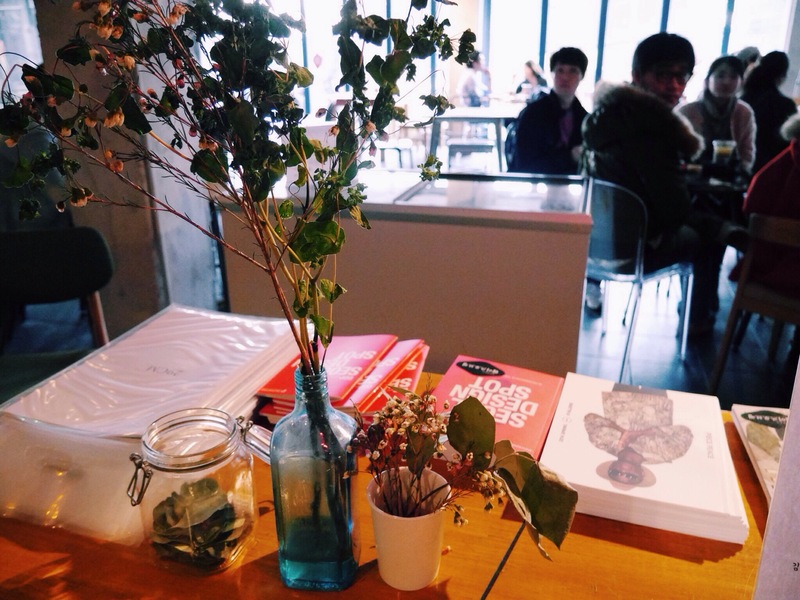 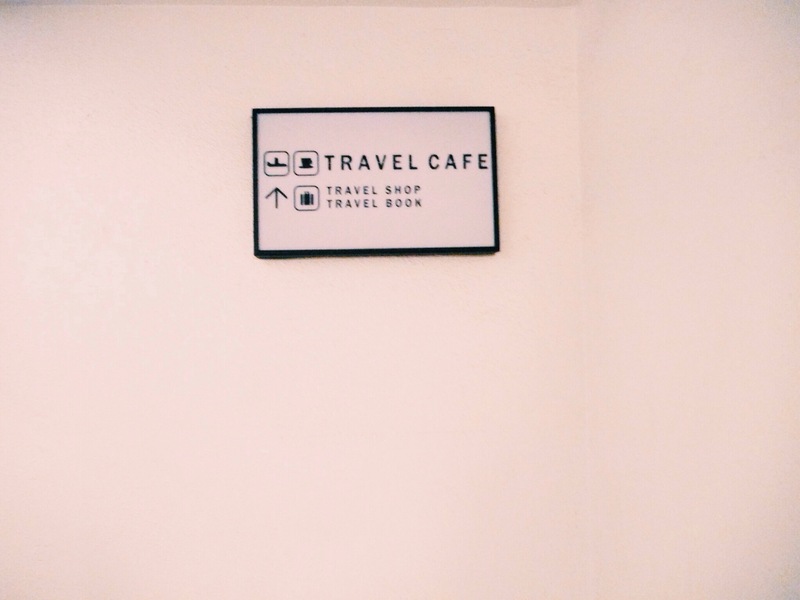 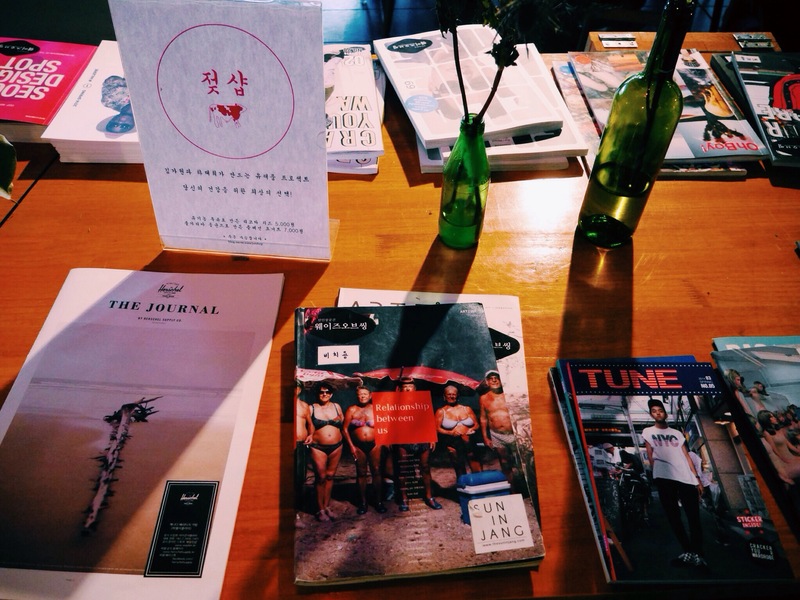 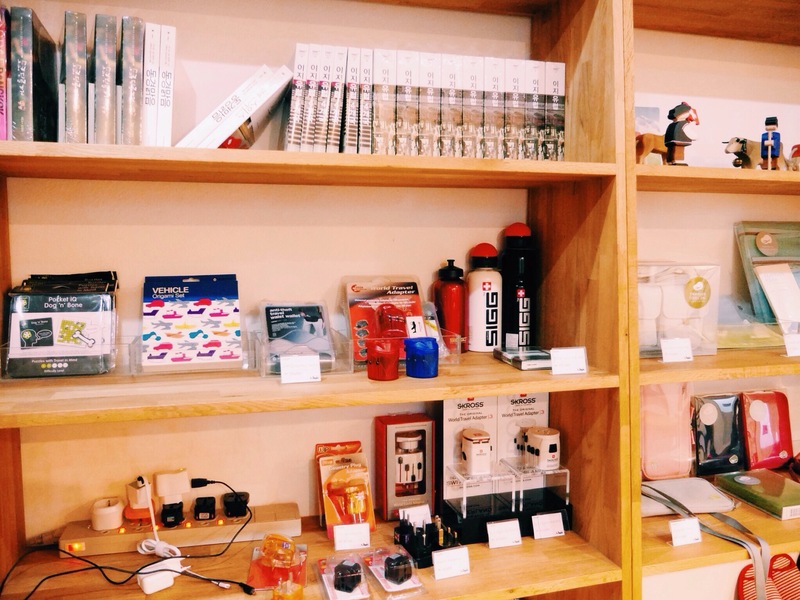 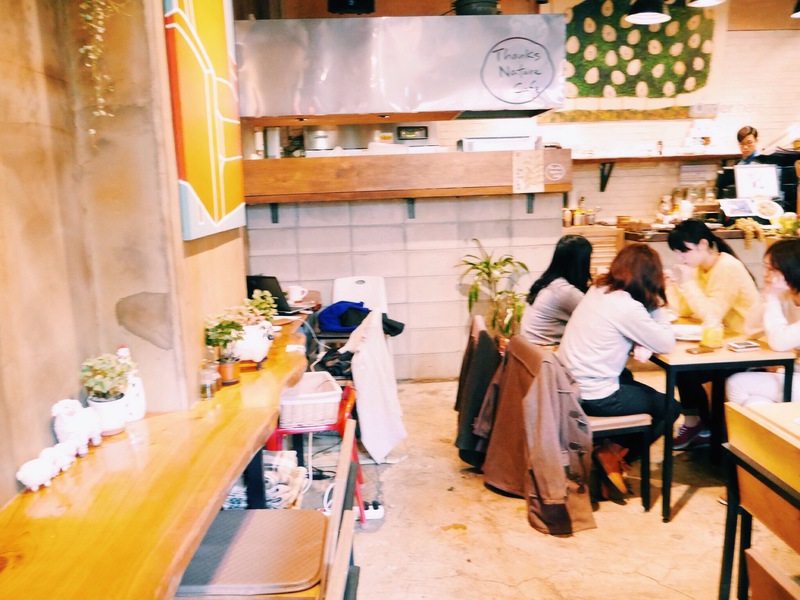 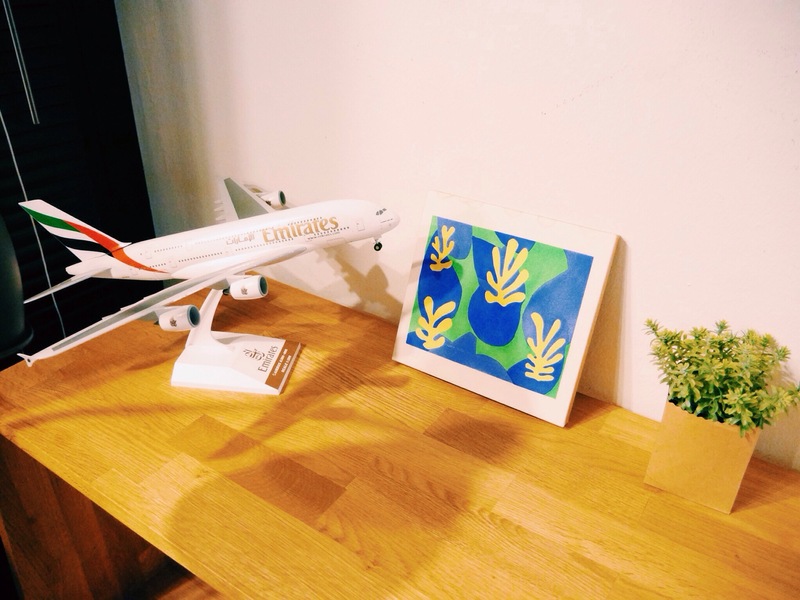 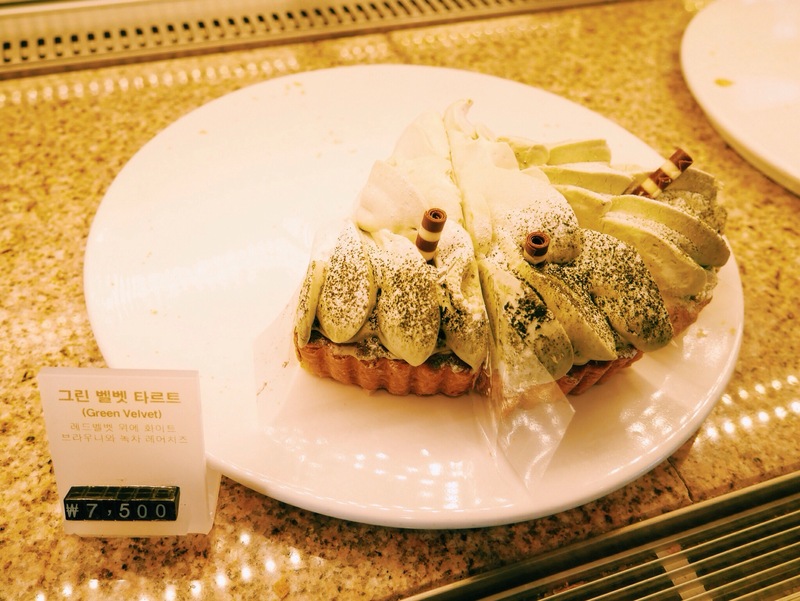 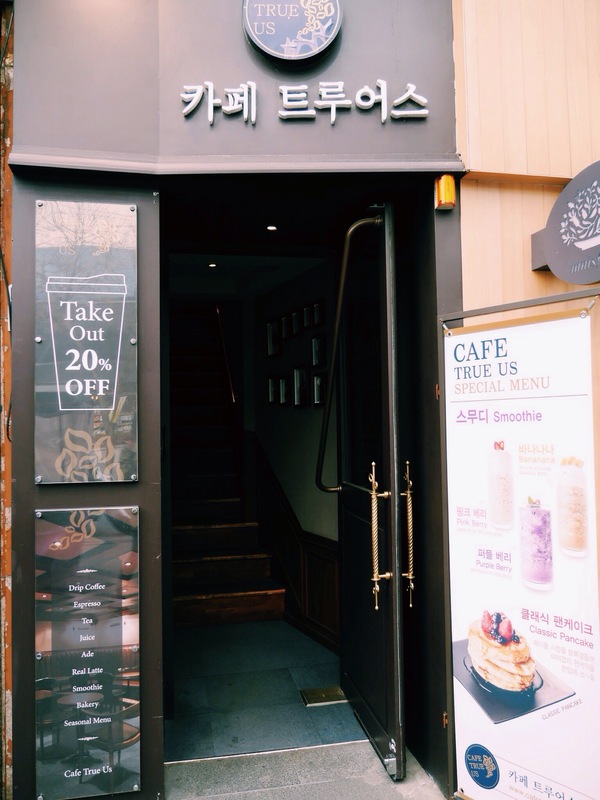 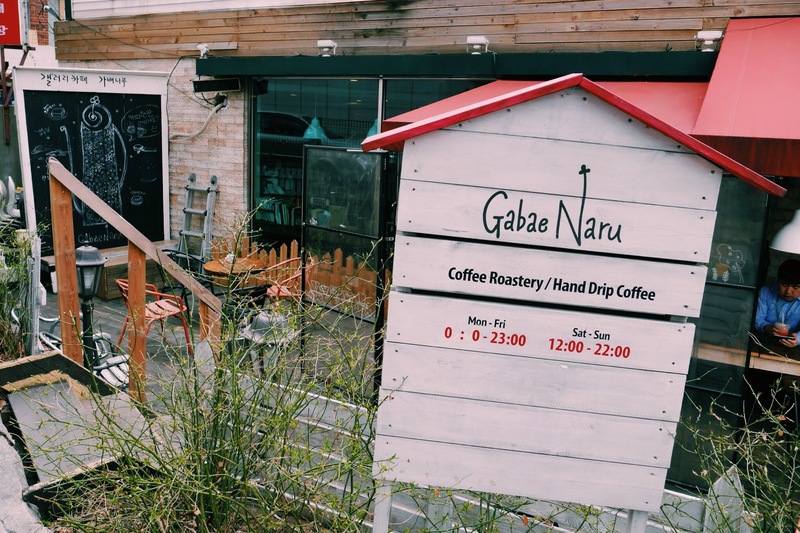 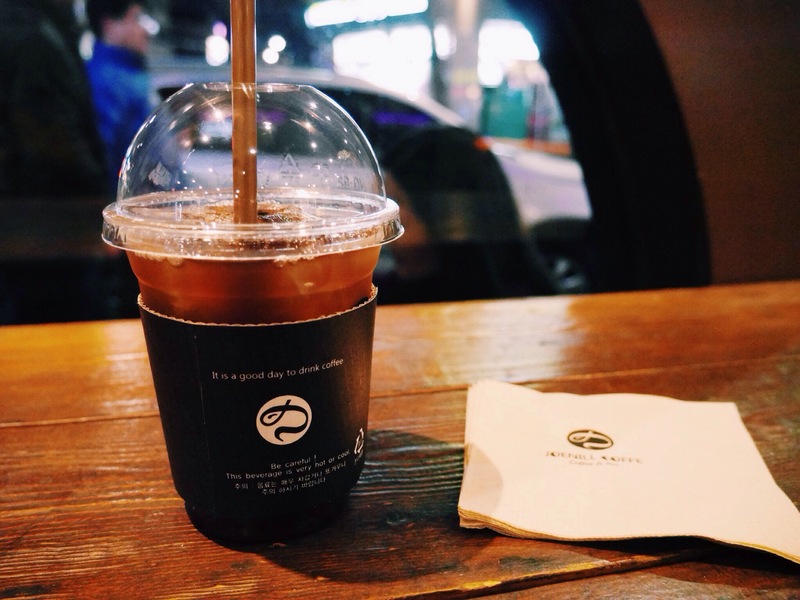 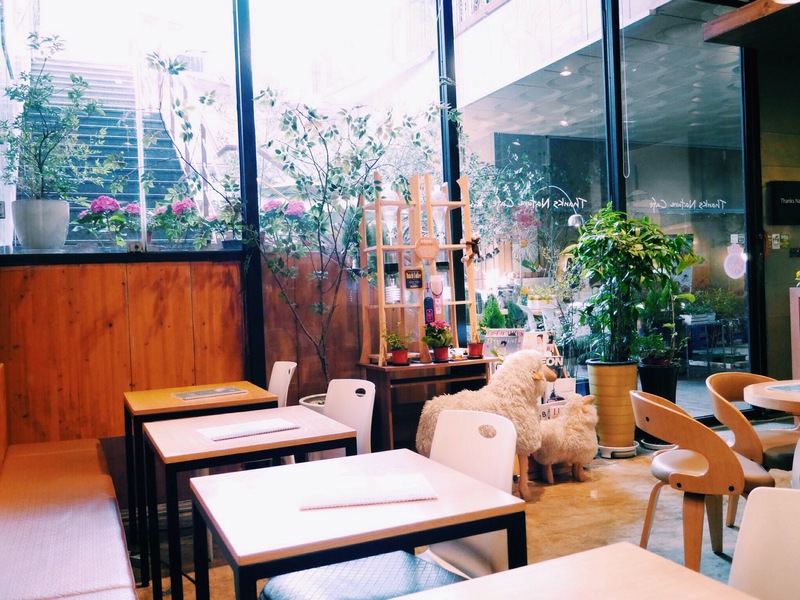 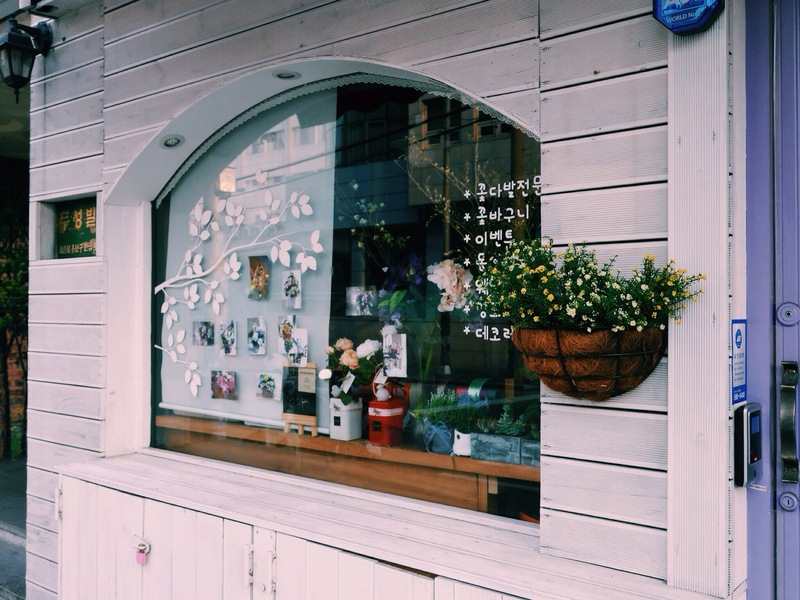 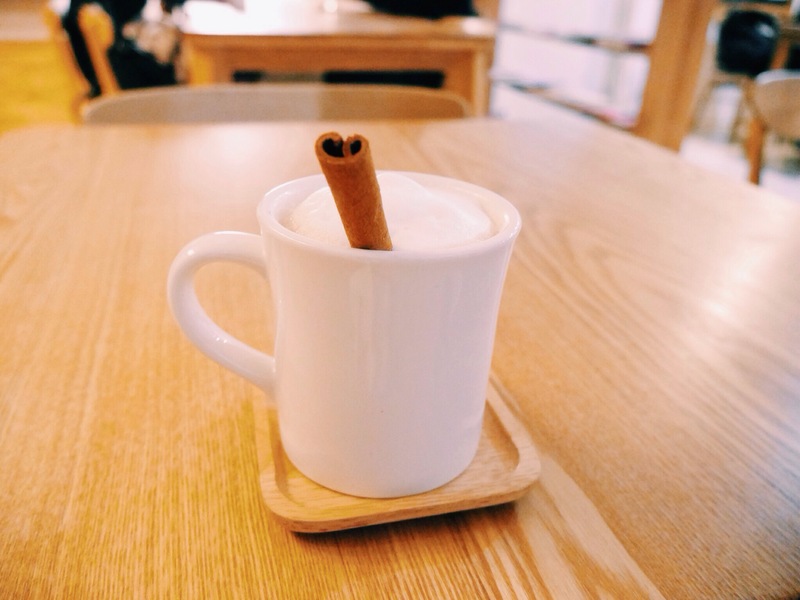 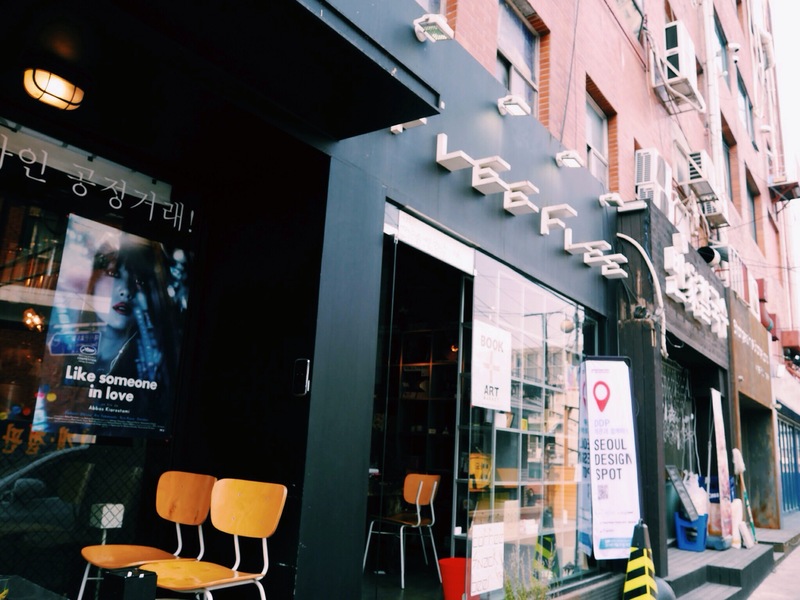 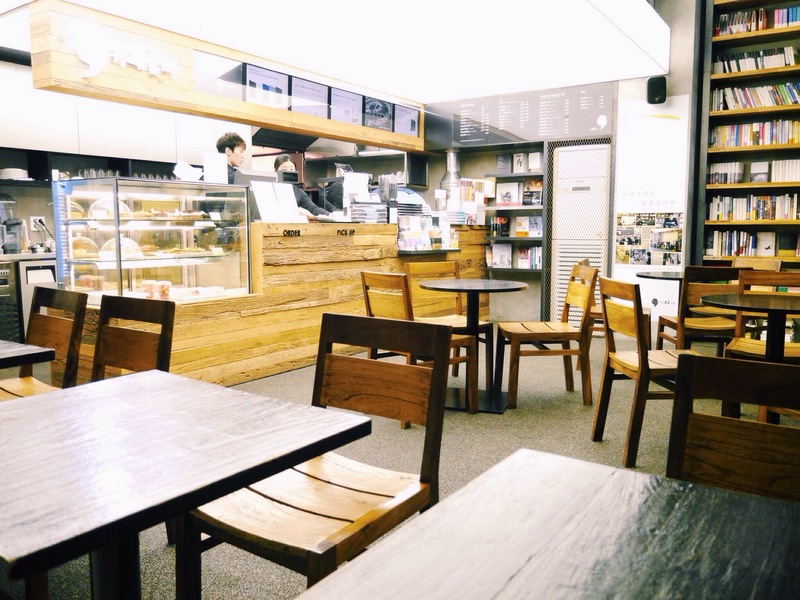 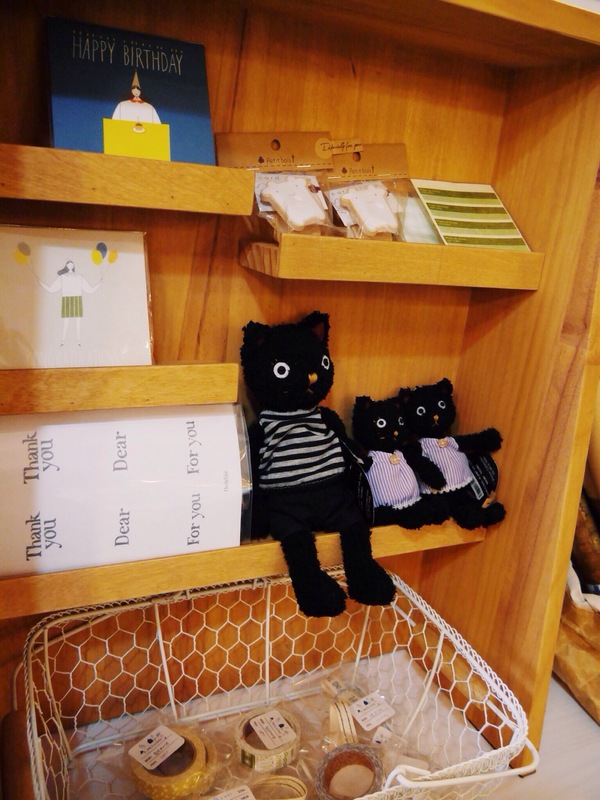 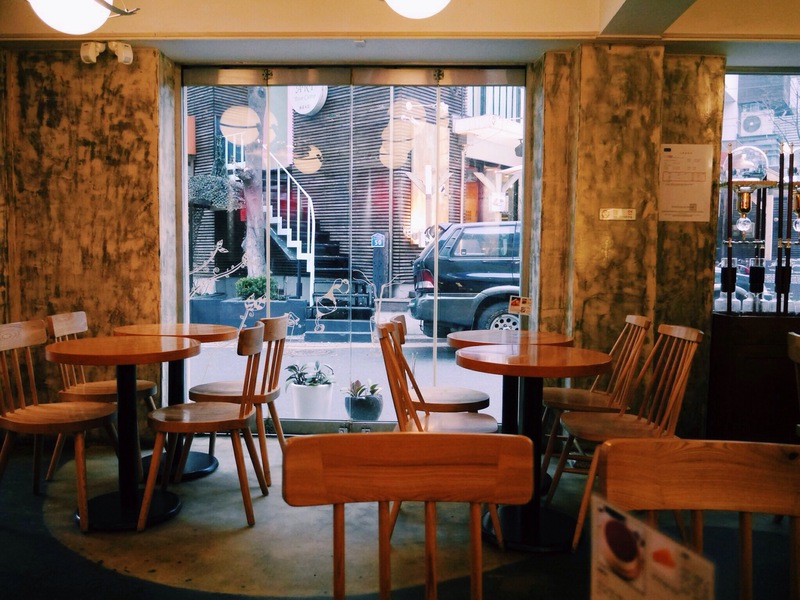 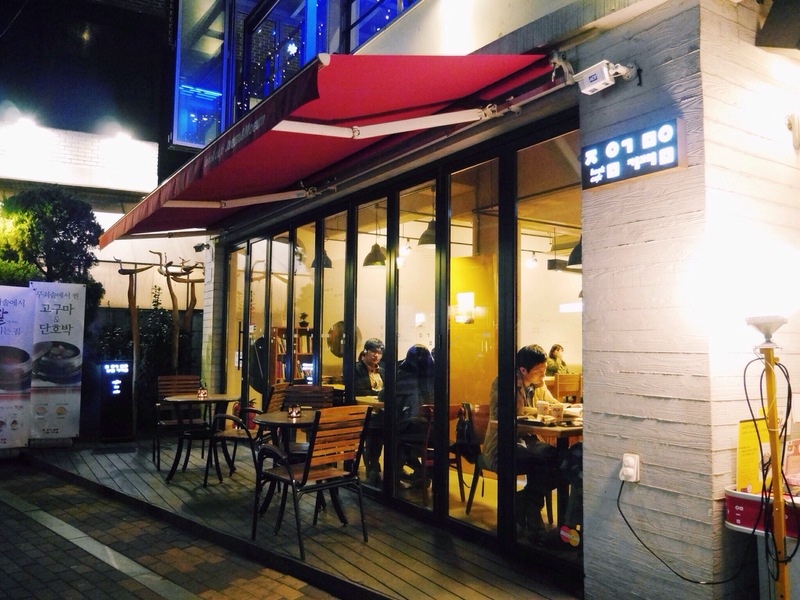 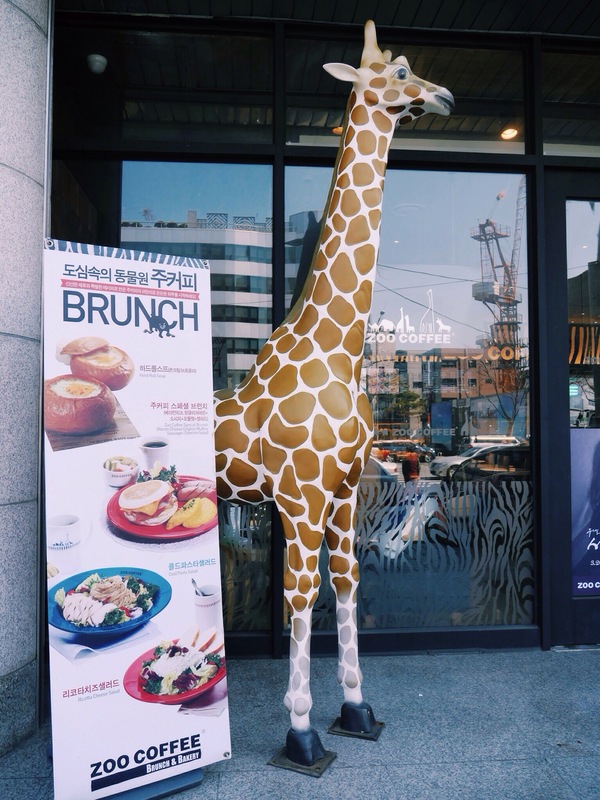 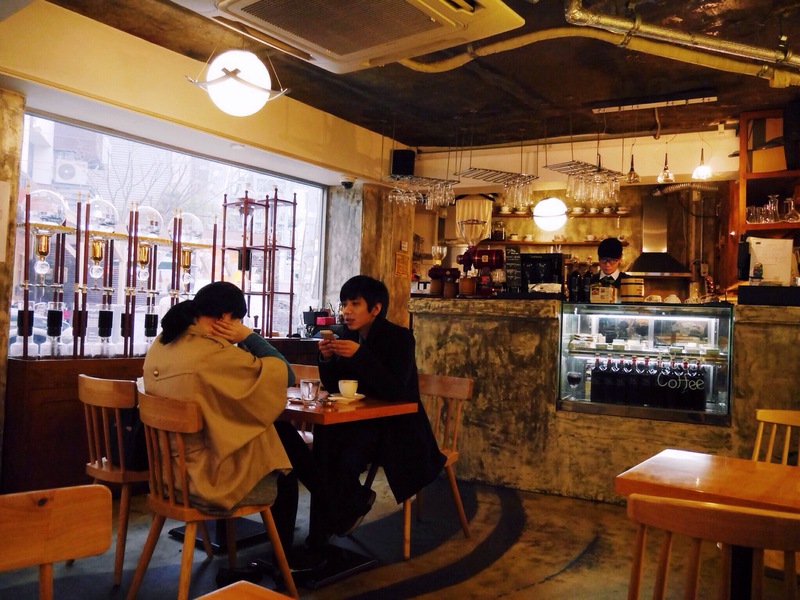 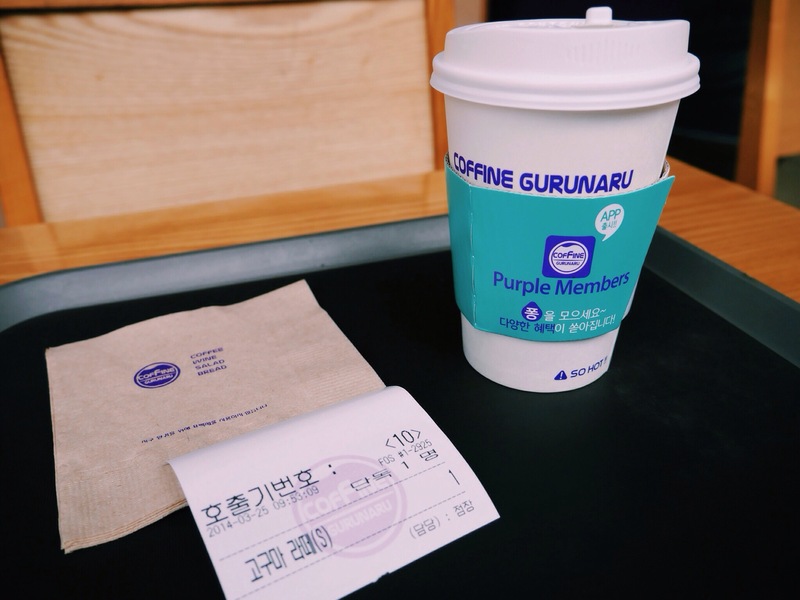 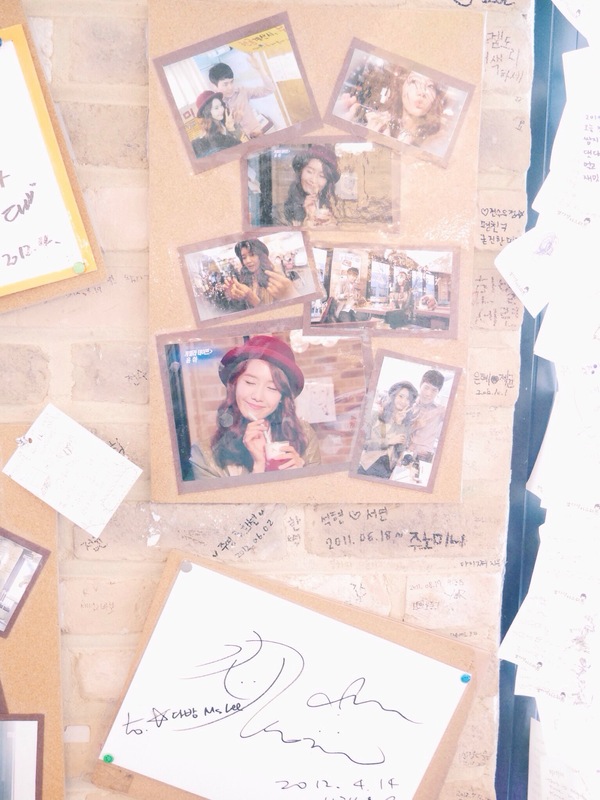 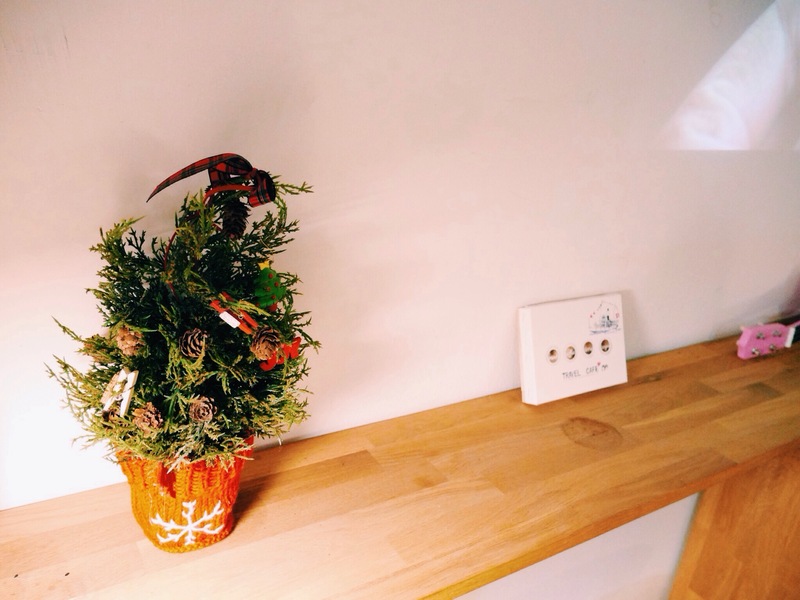 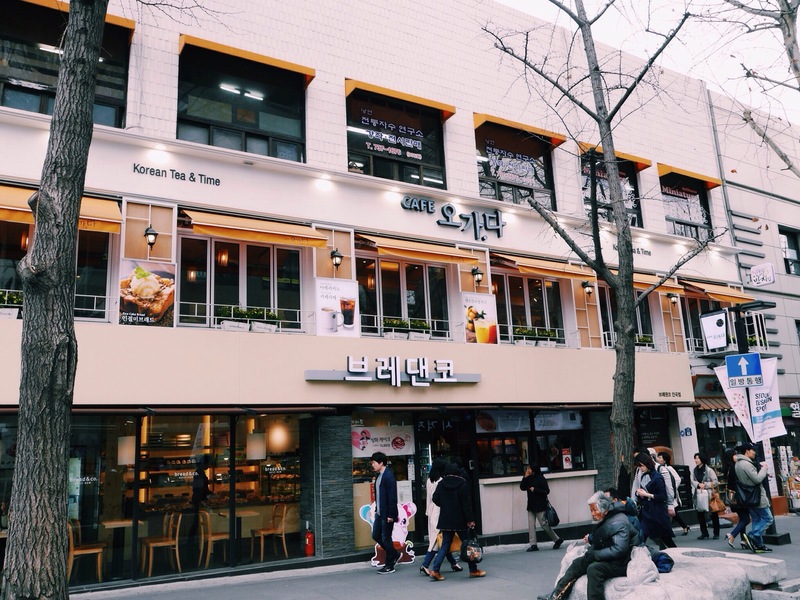 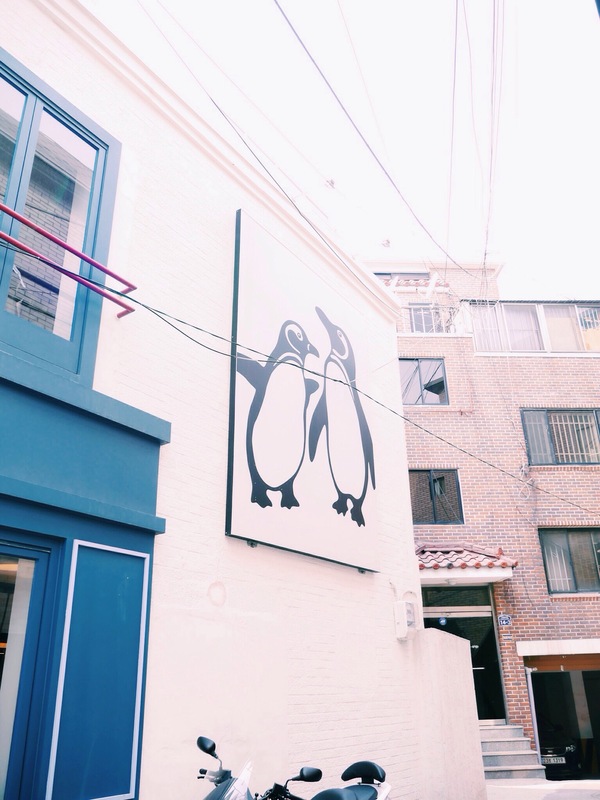 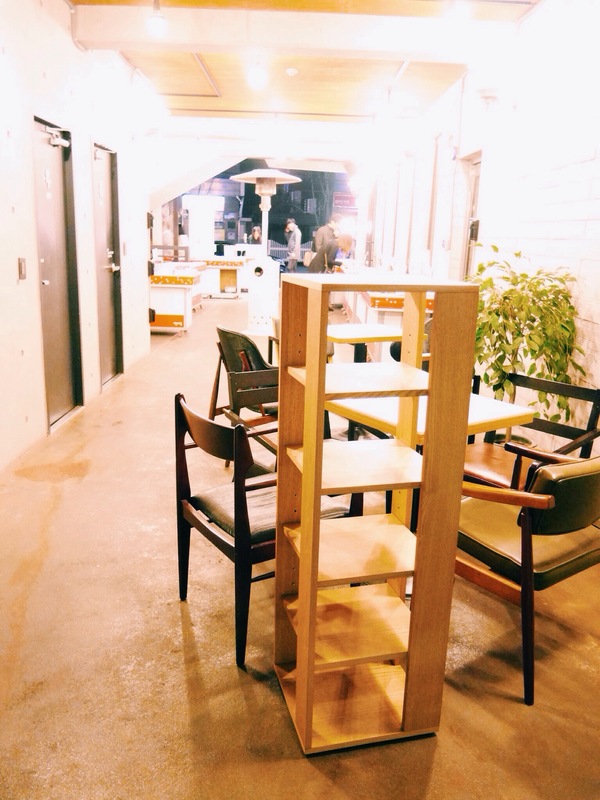 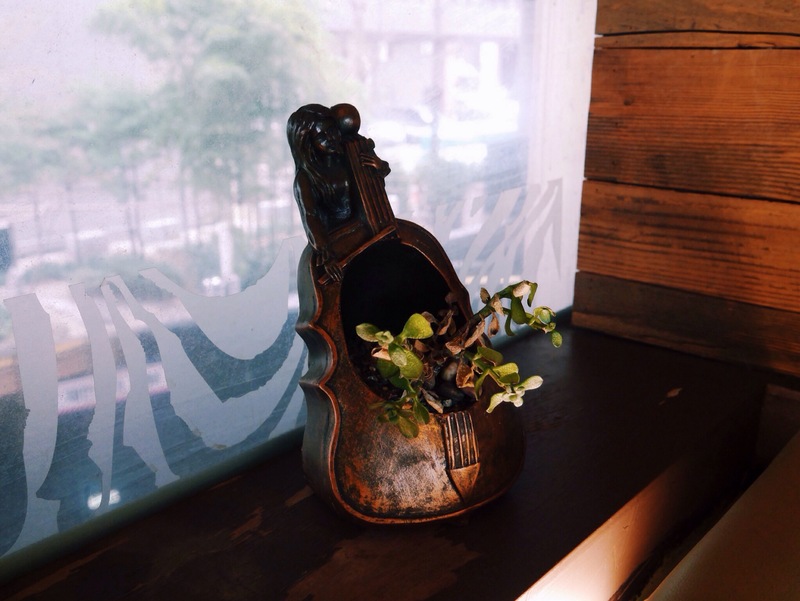 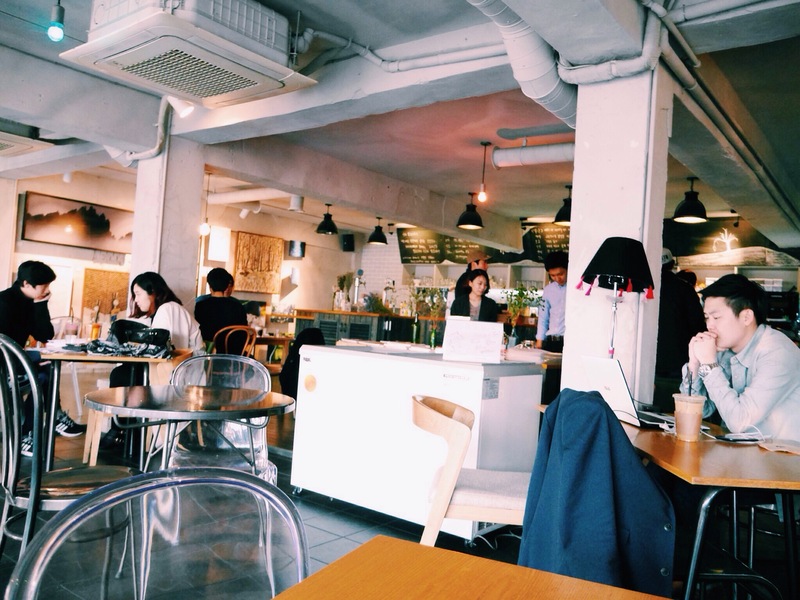 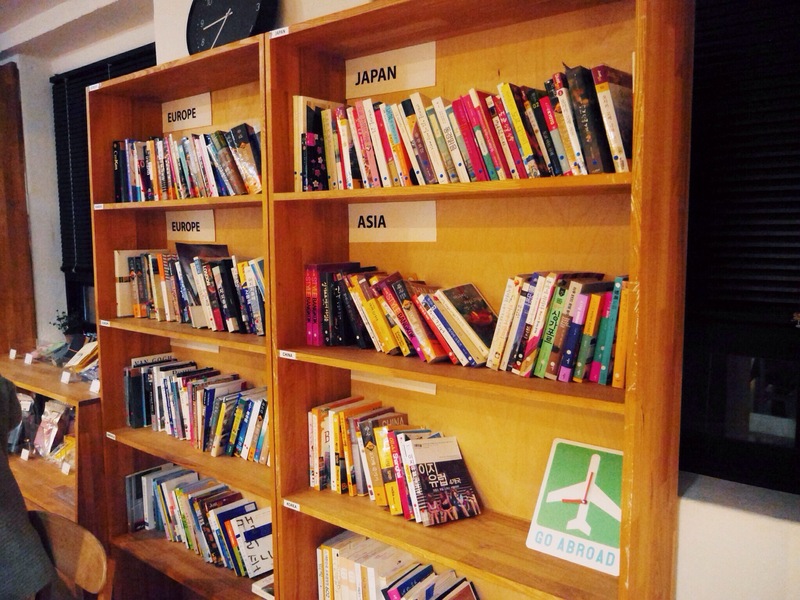 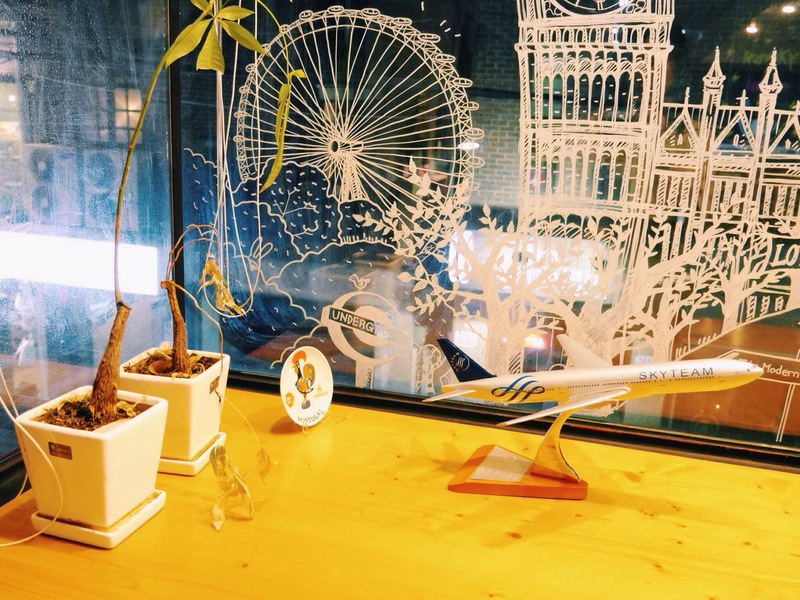 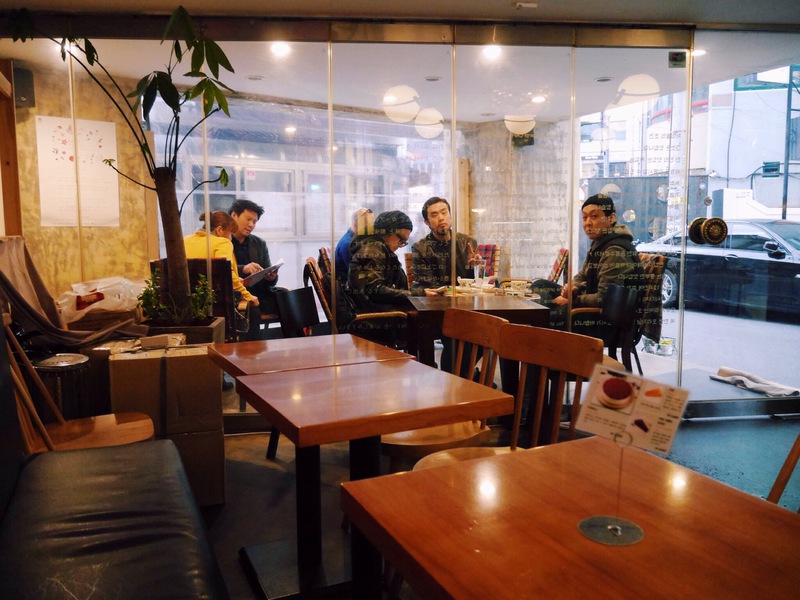 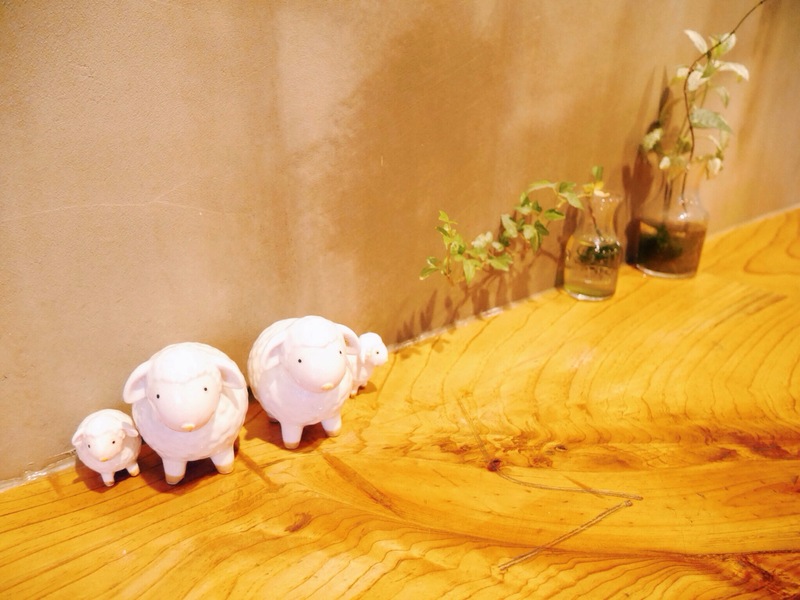 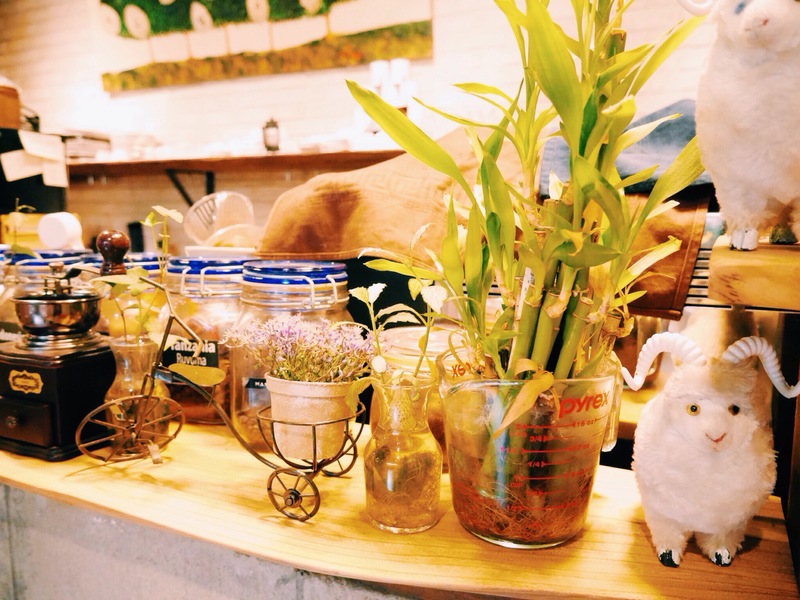 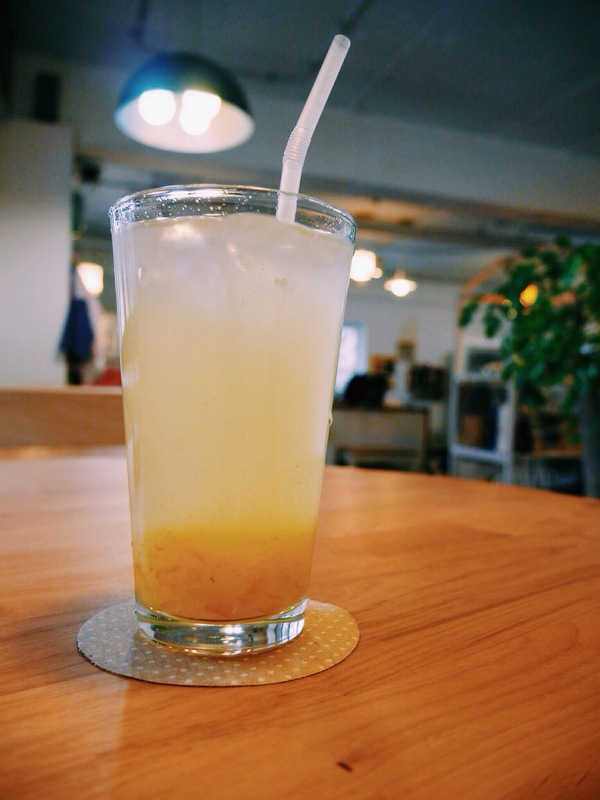 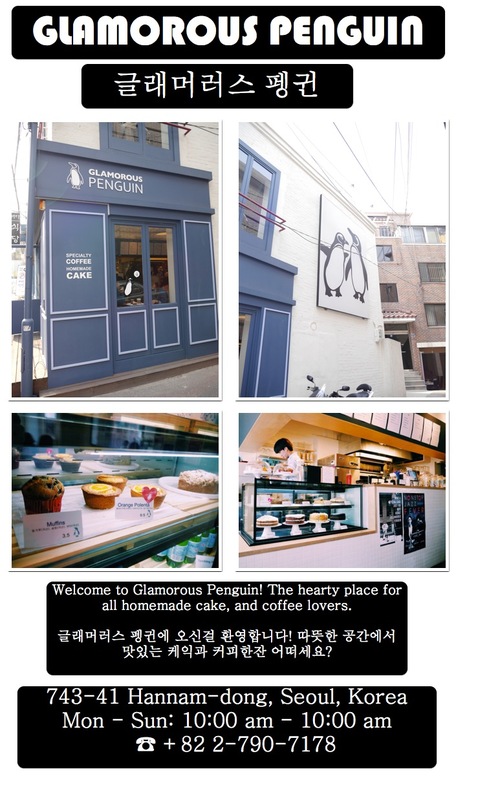 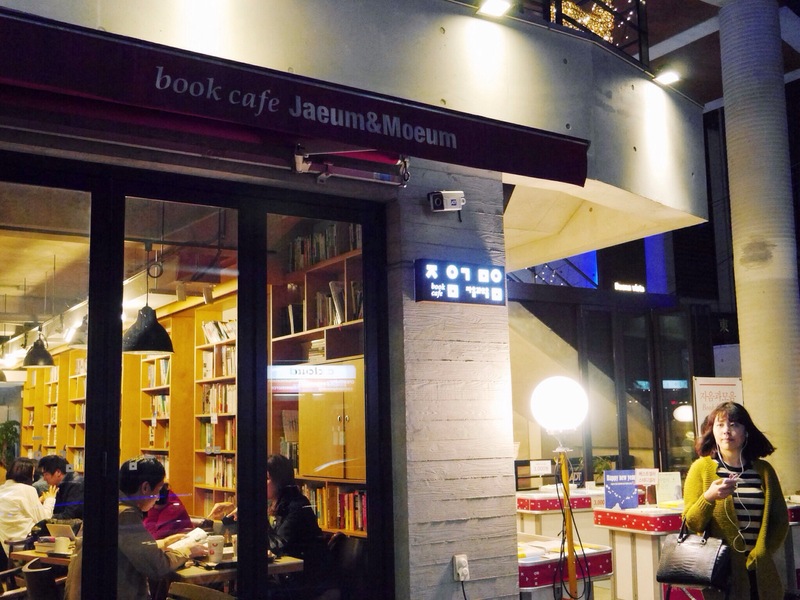 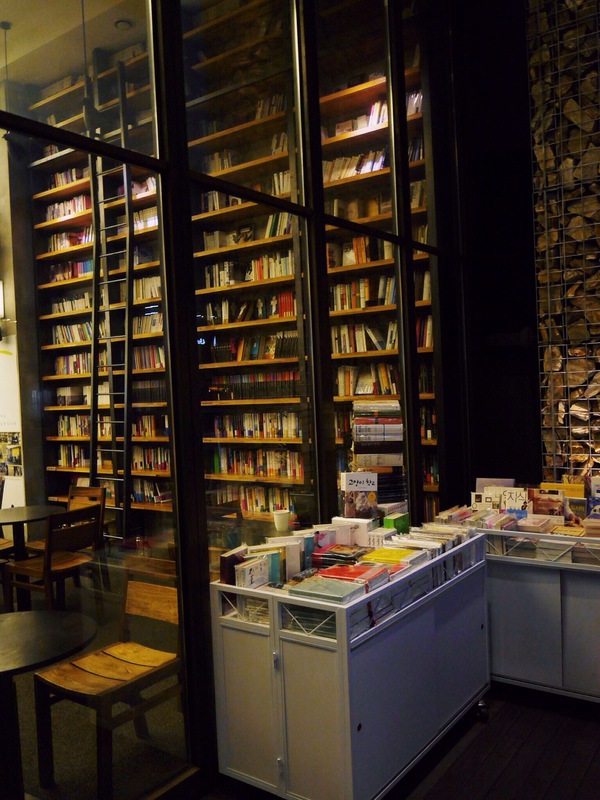 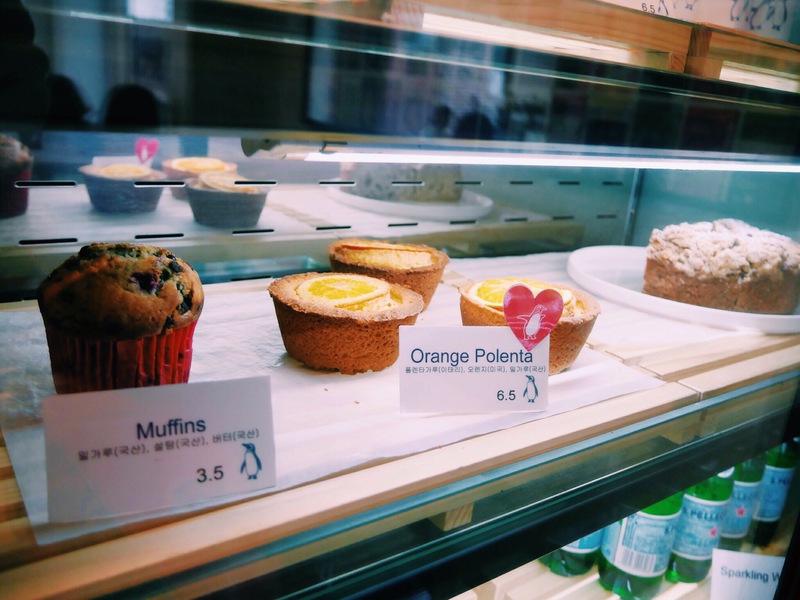 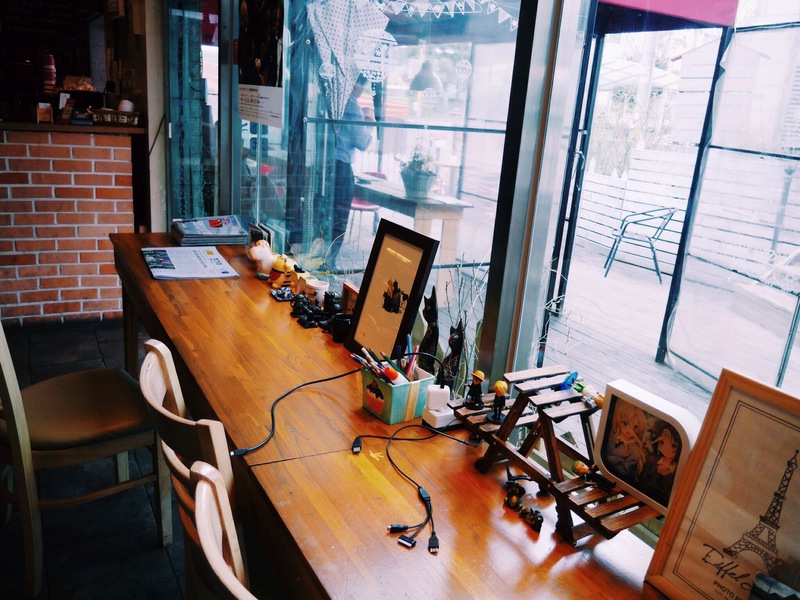 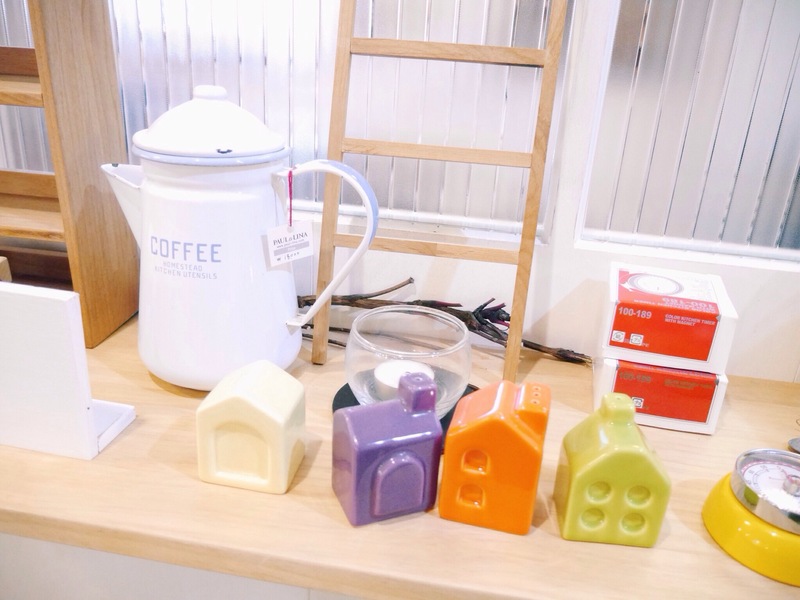 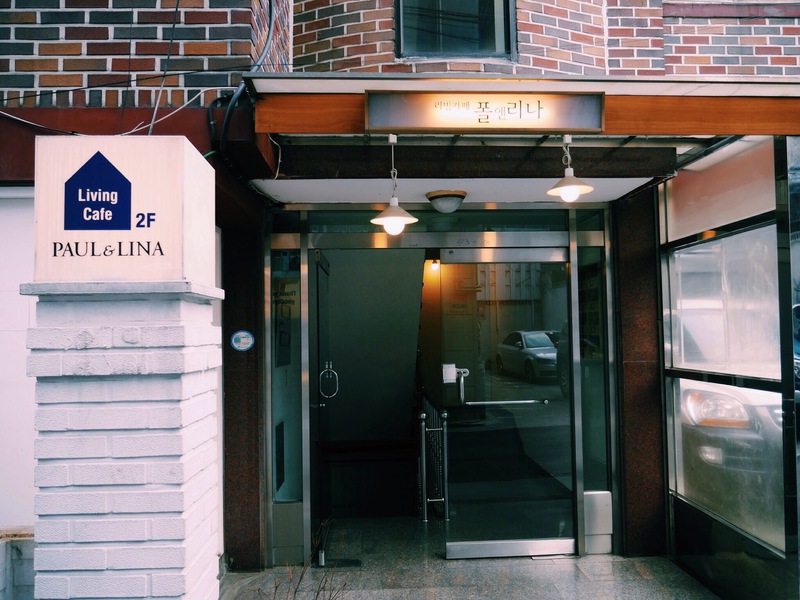 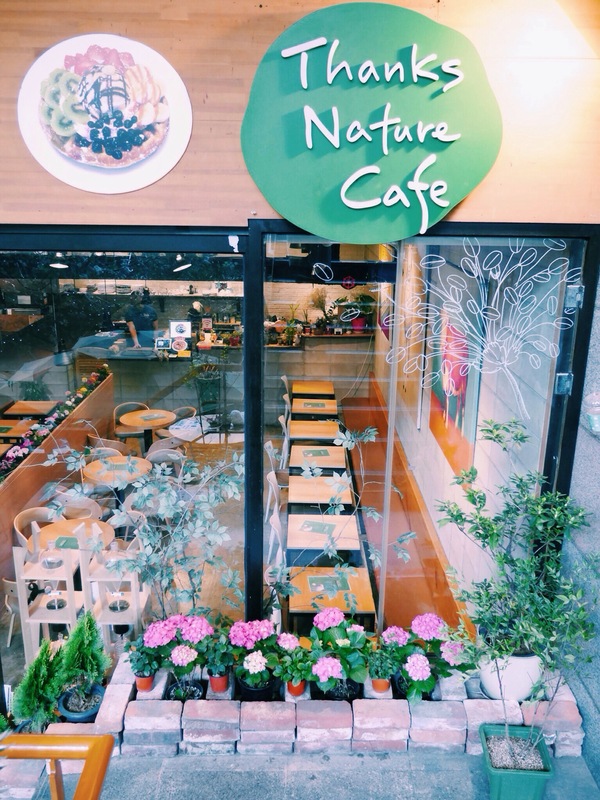 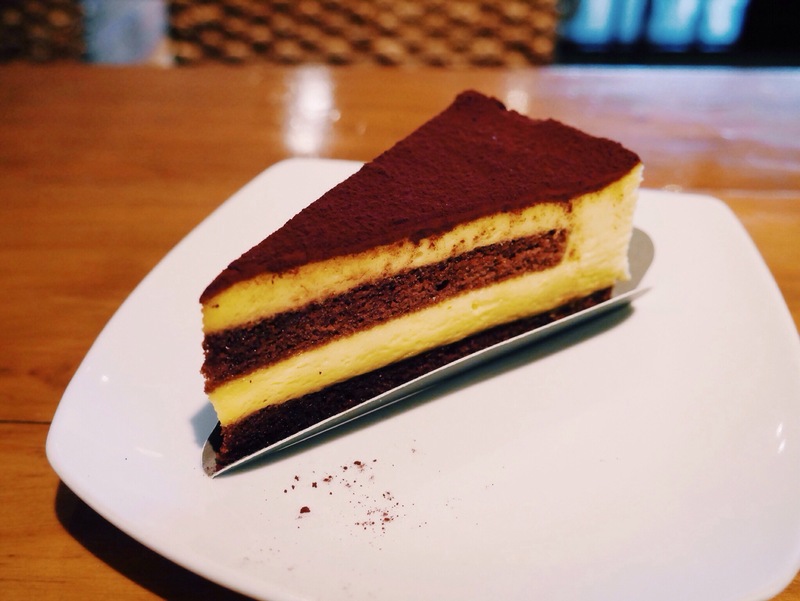 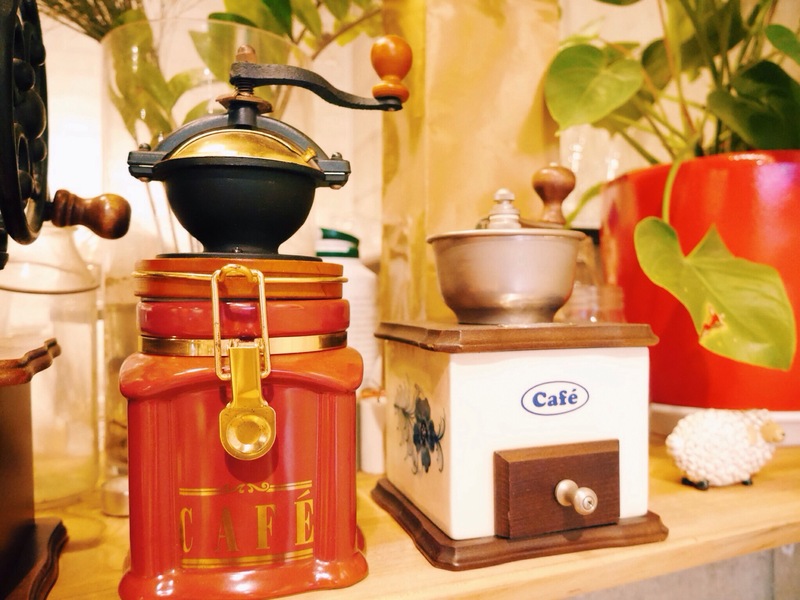 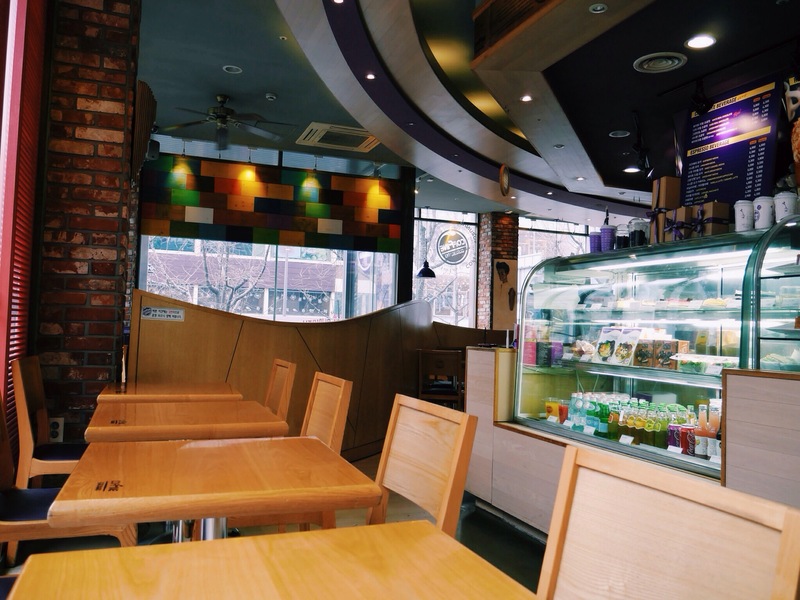 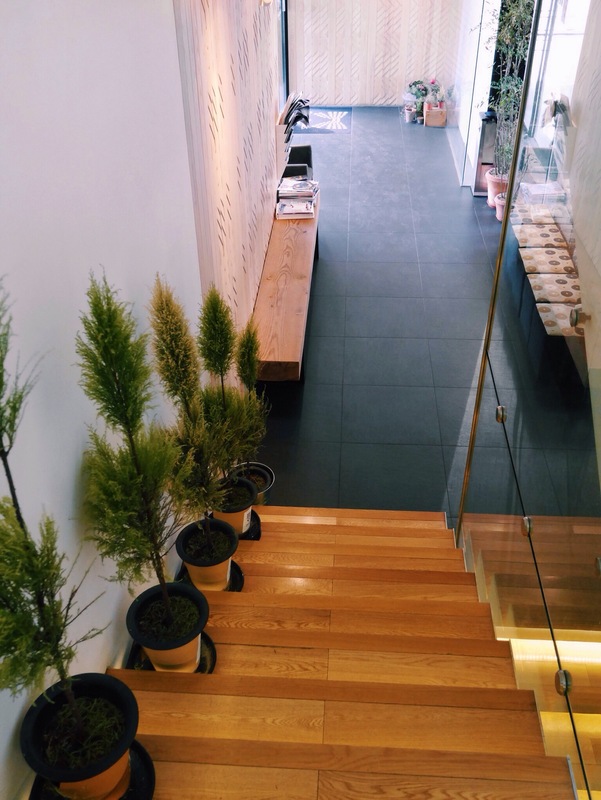 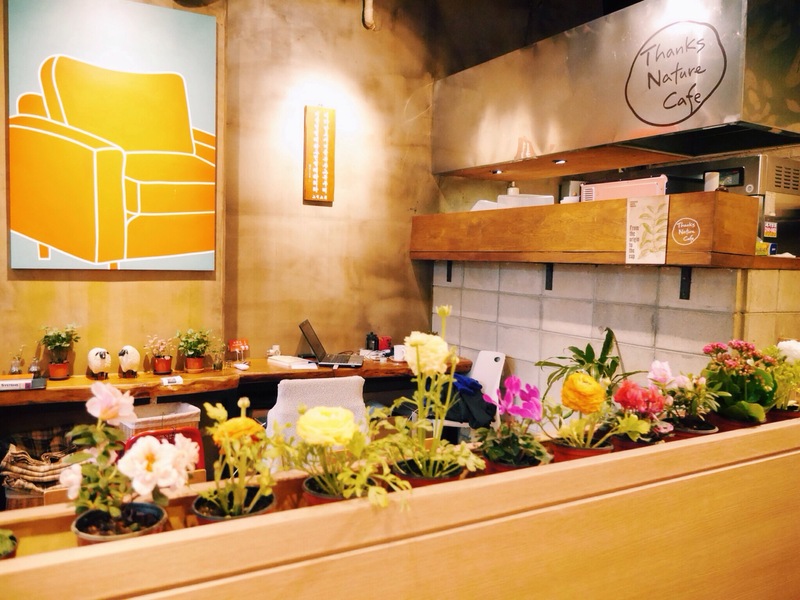 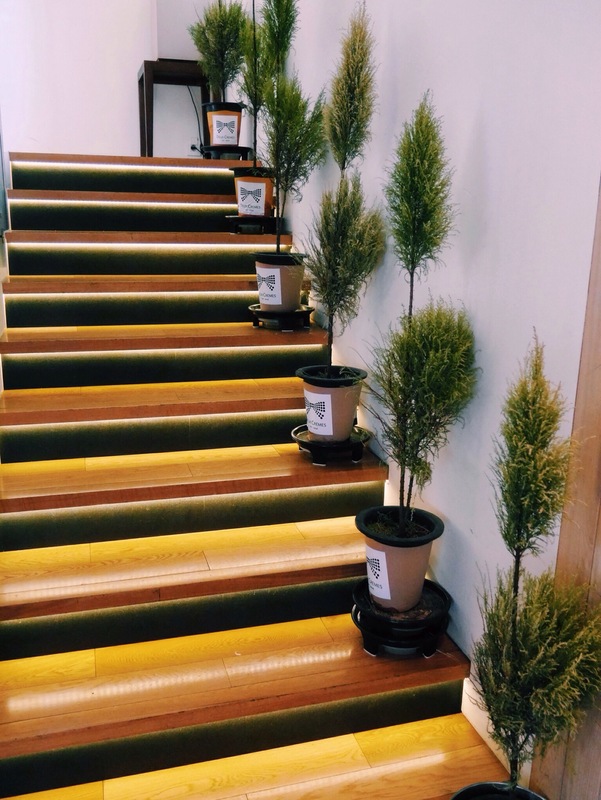 Cafe True Us 카페트루어스 is located along the antiques street of Insadong, with the nearest station being Jongno-3-Ga Station. 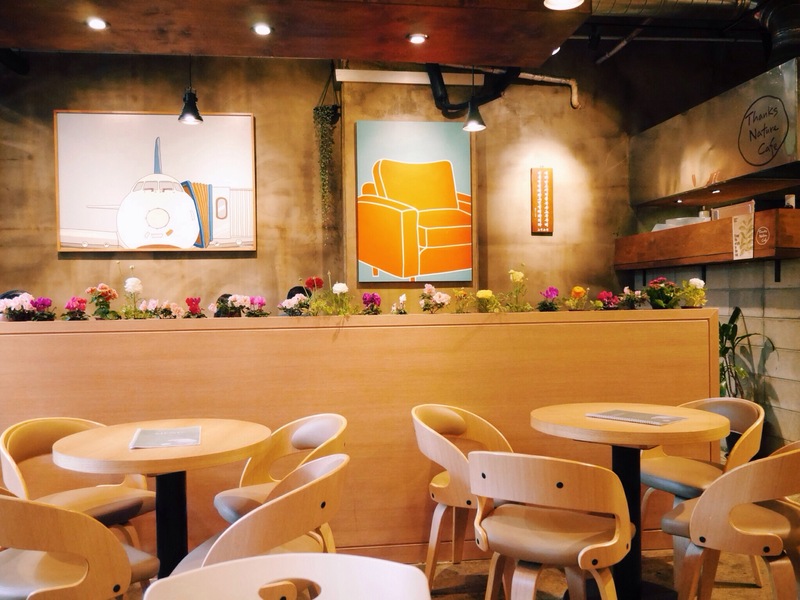 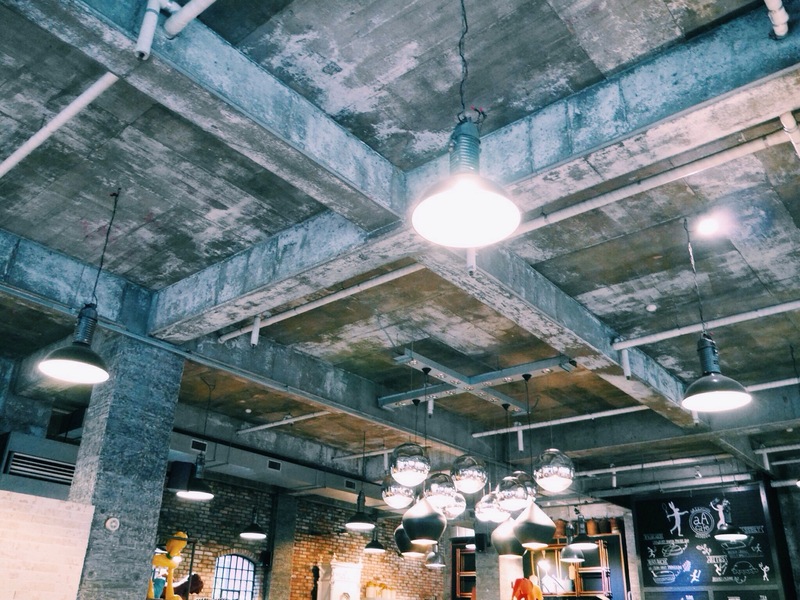 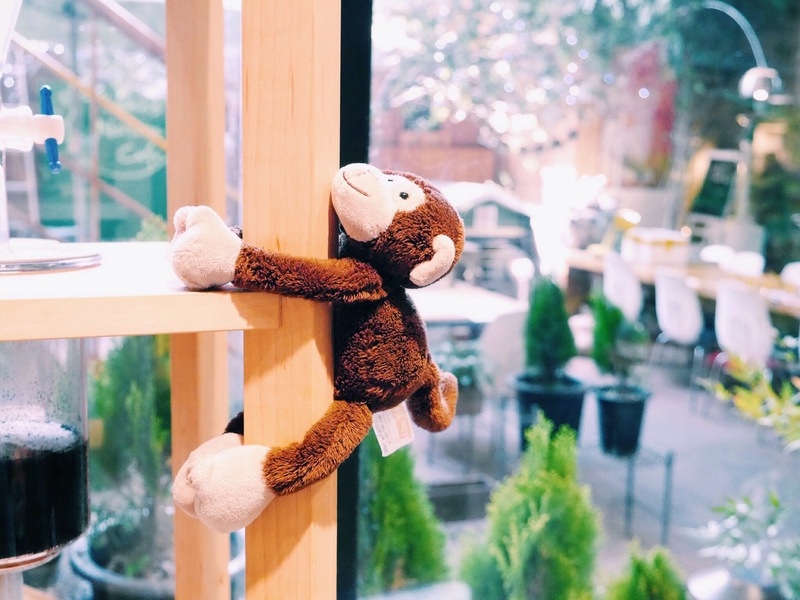 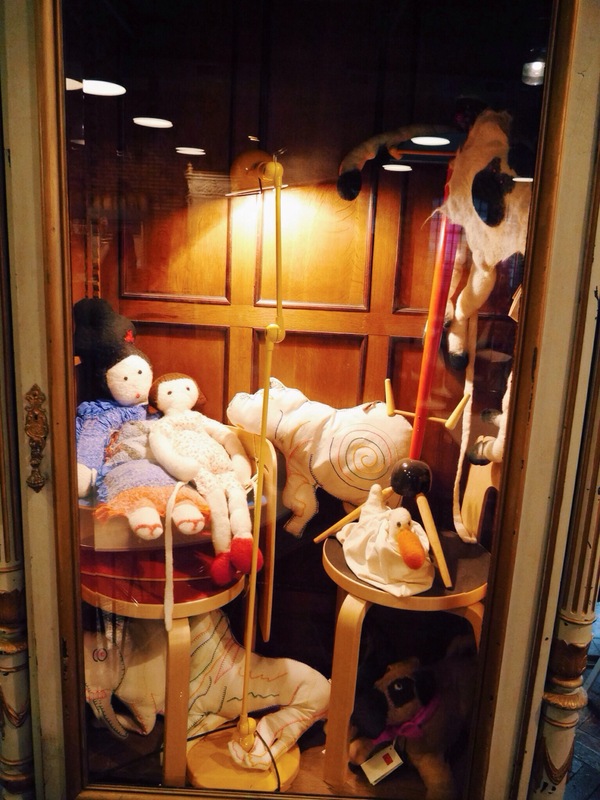 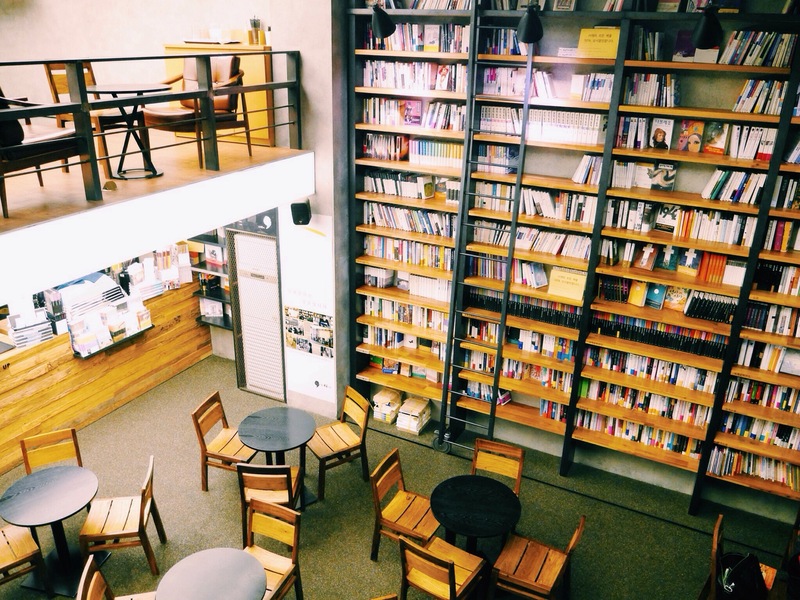 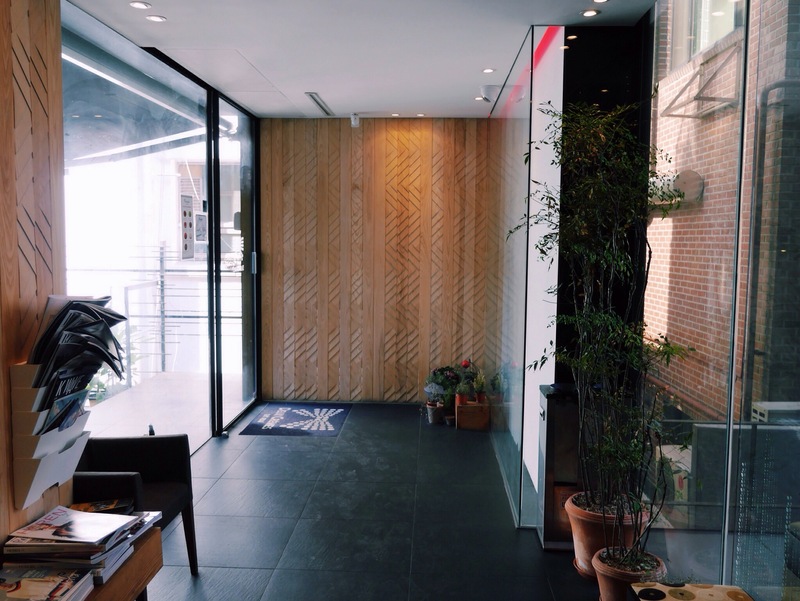 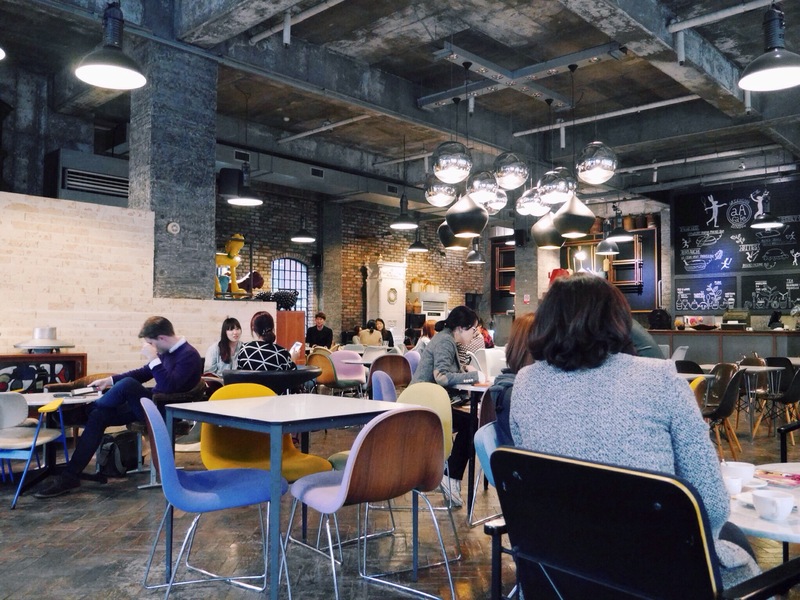 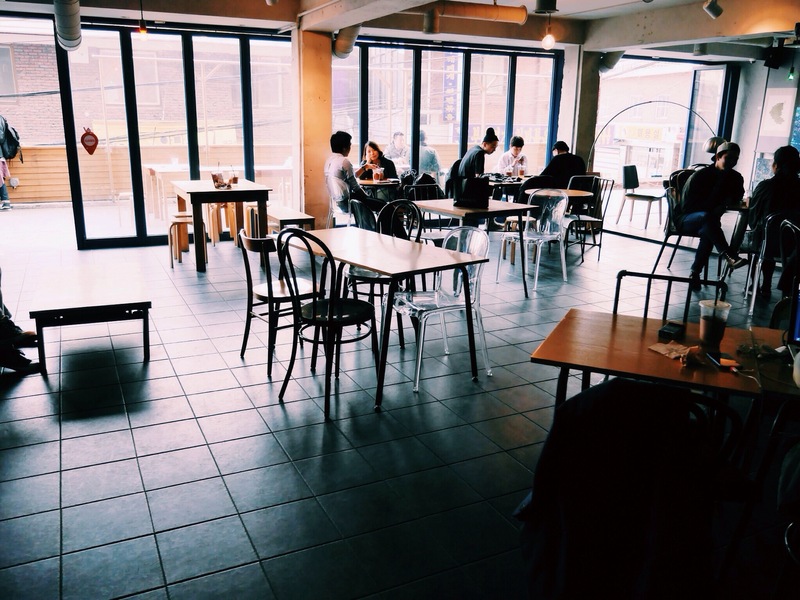 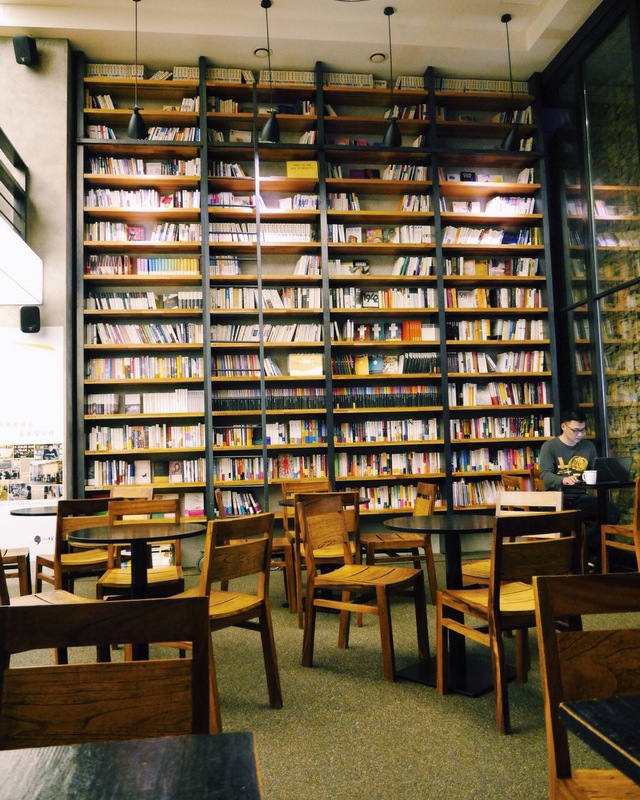 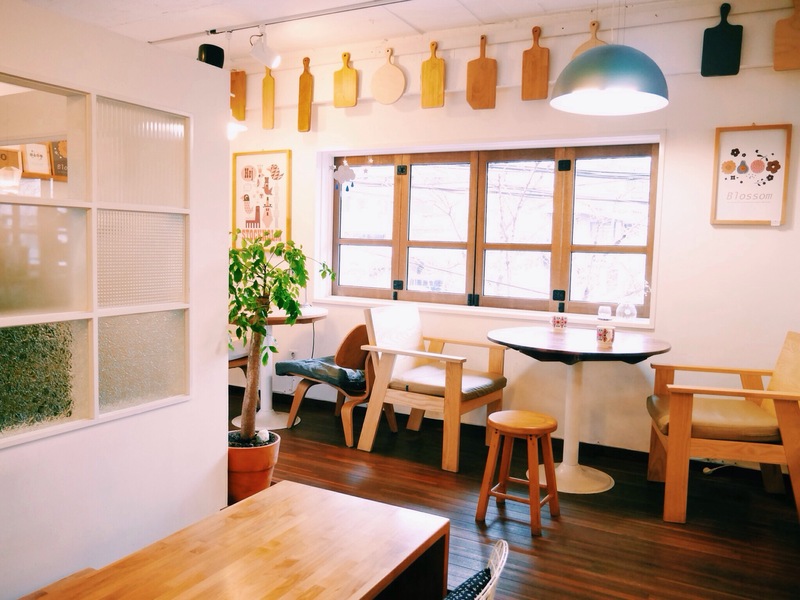 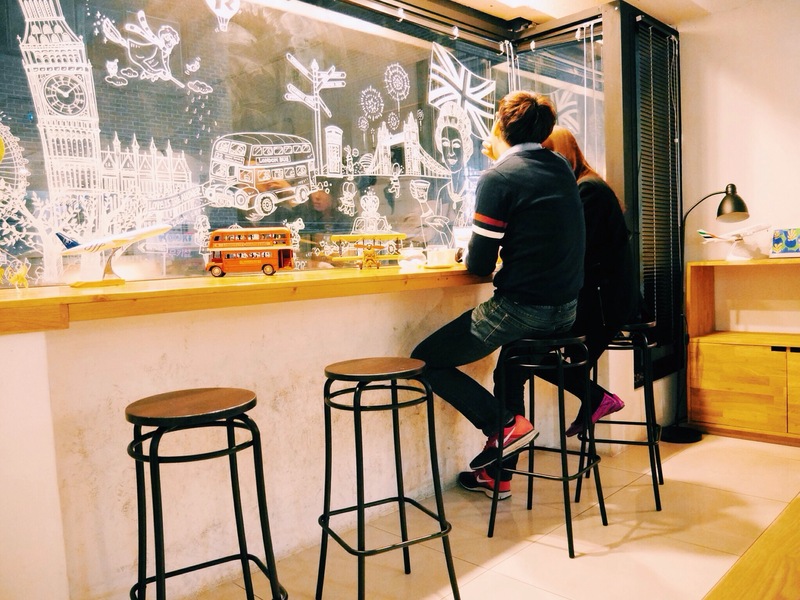 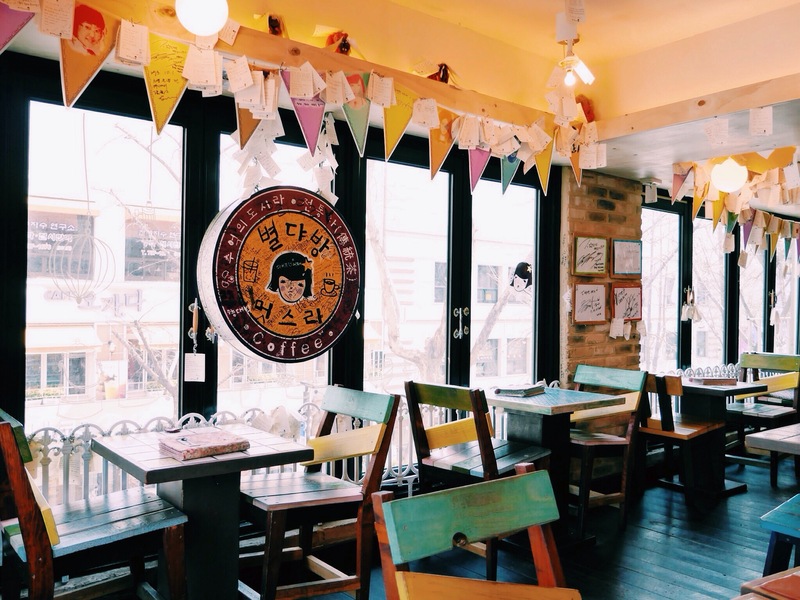 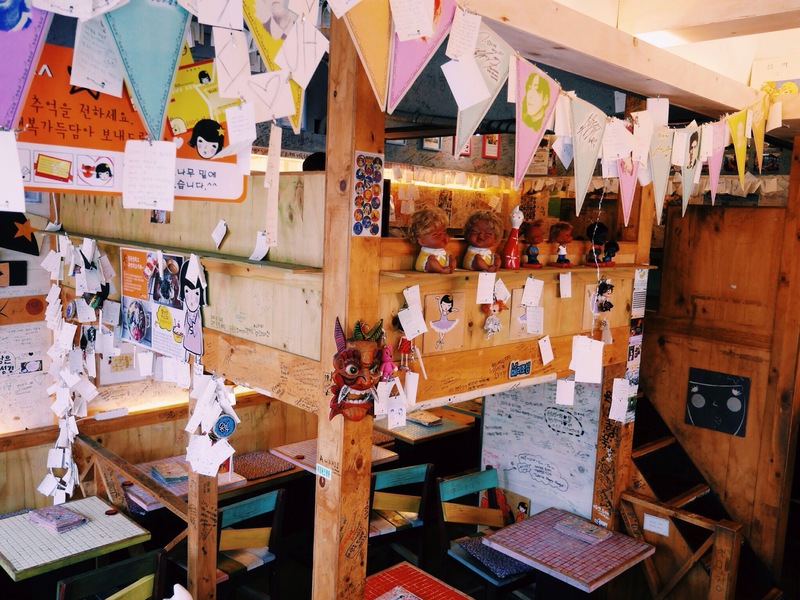 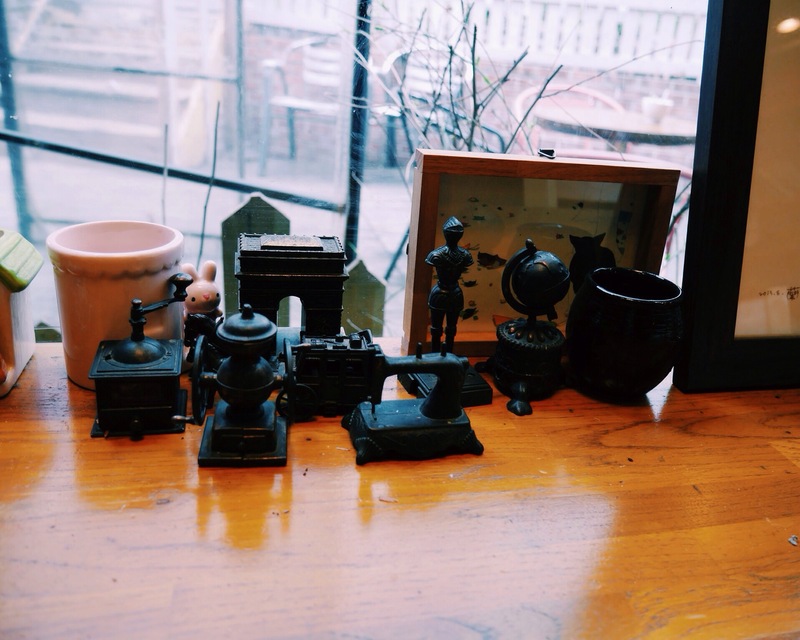 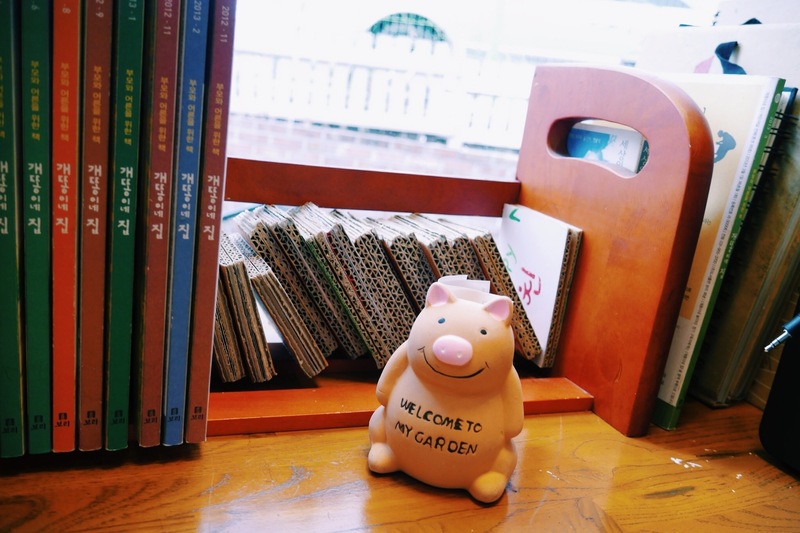 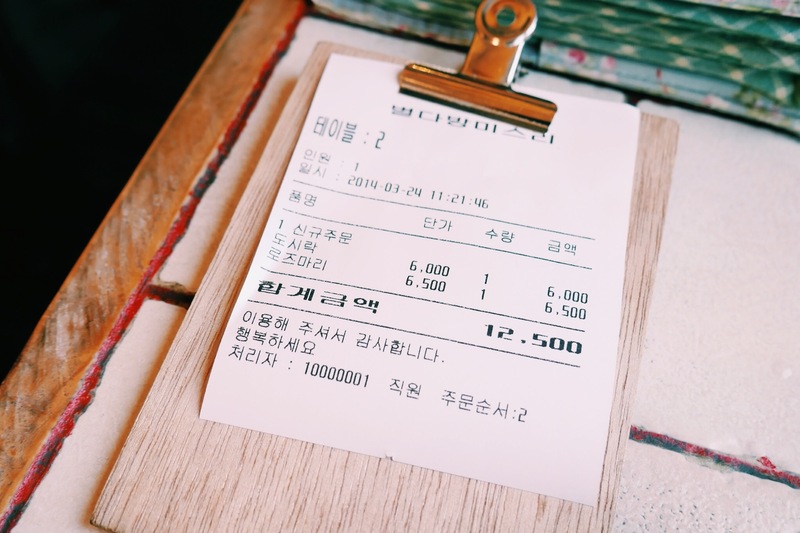 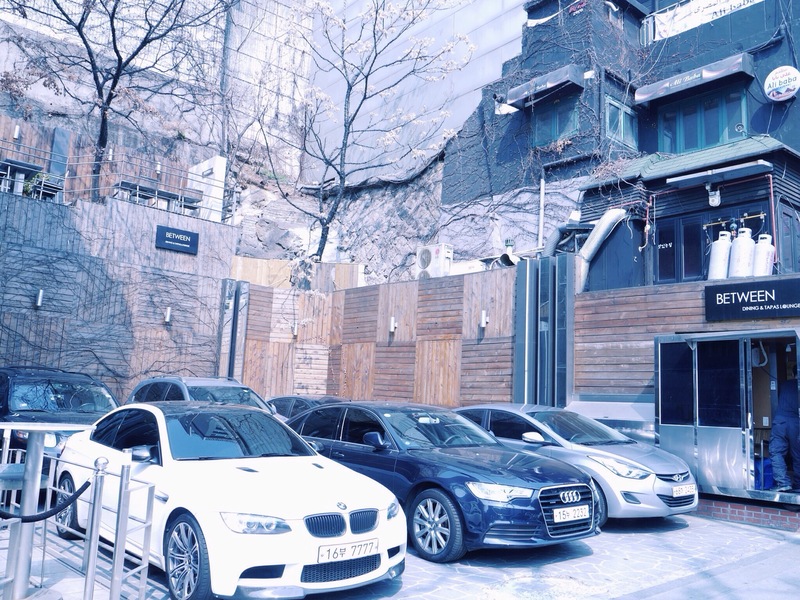 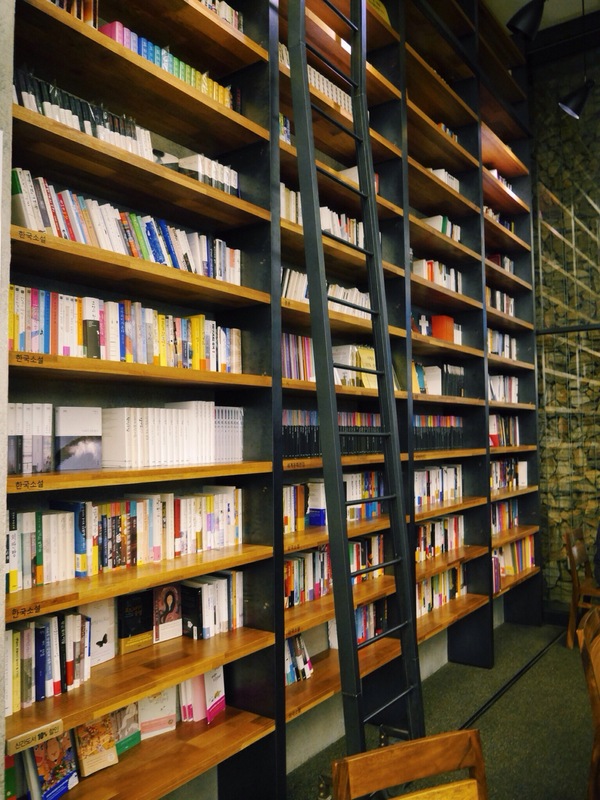 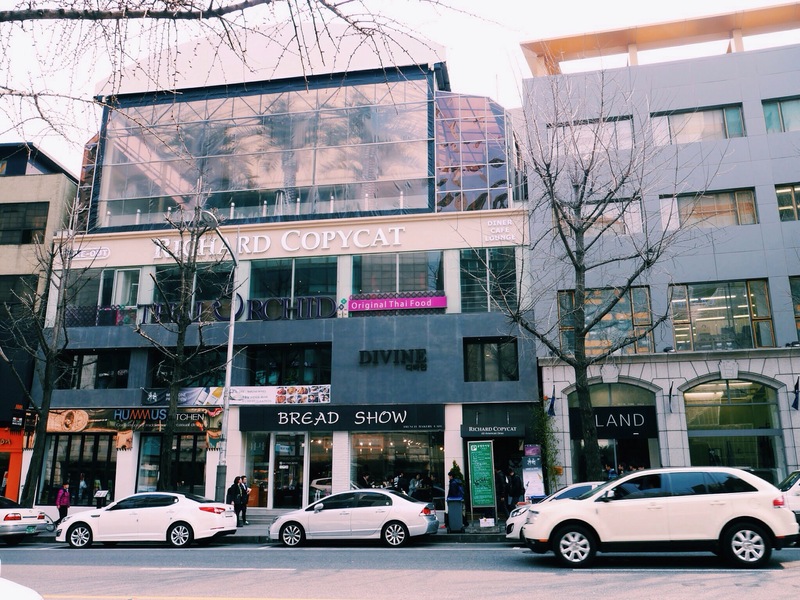 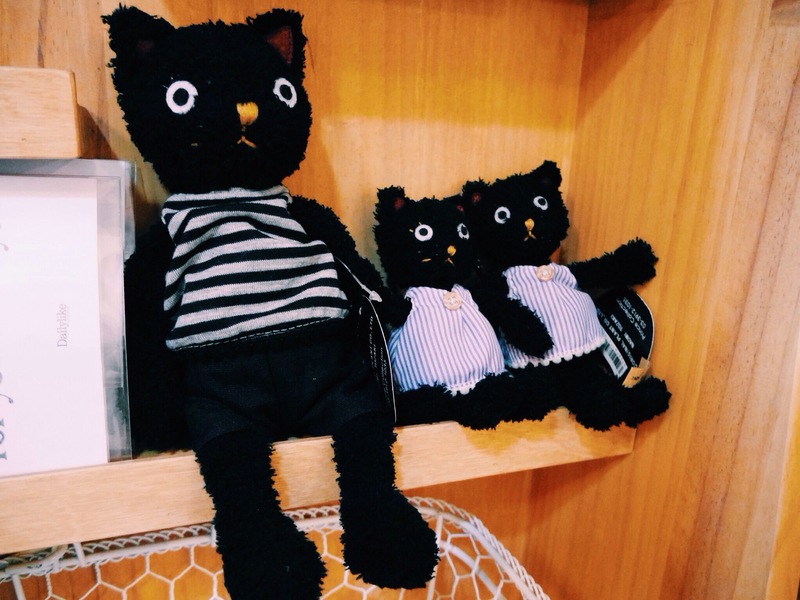 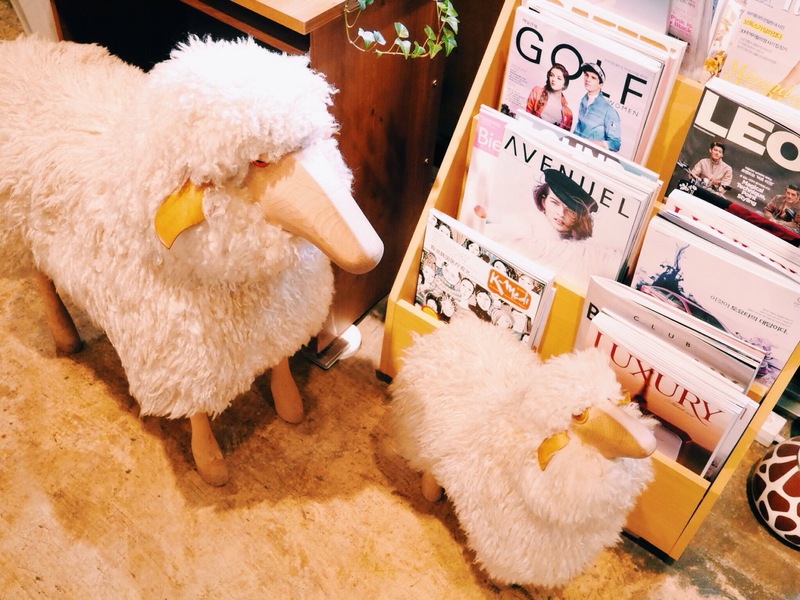 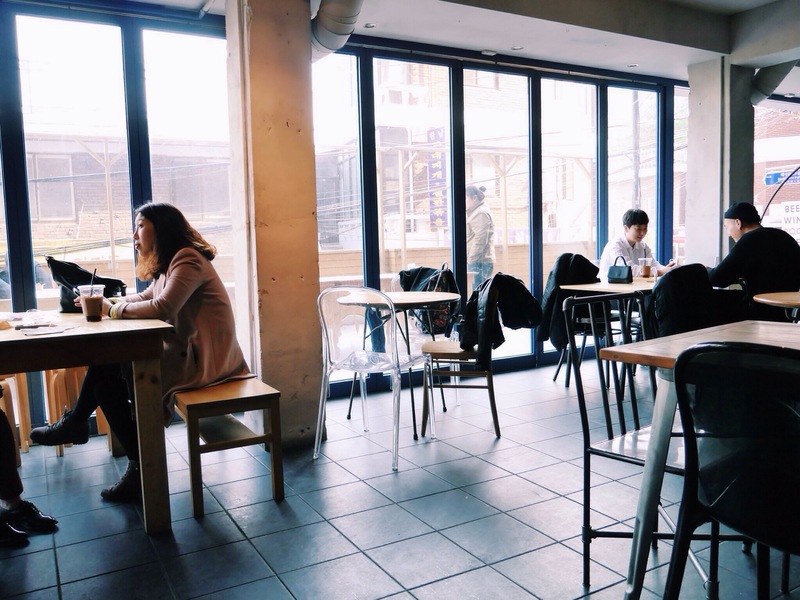 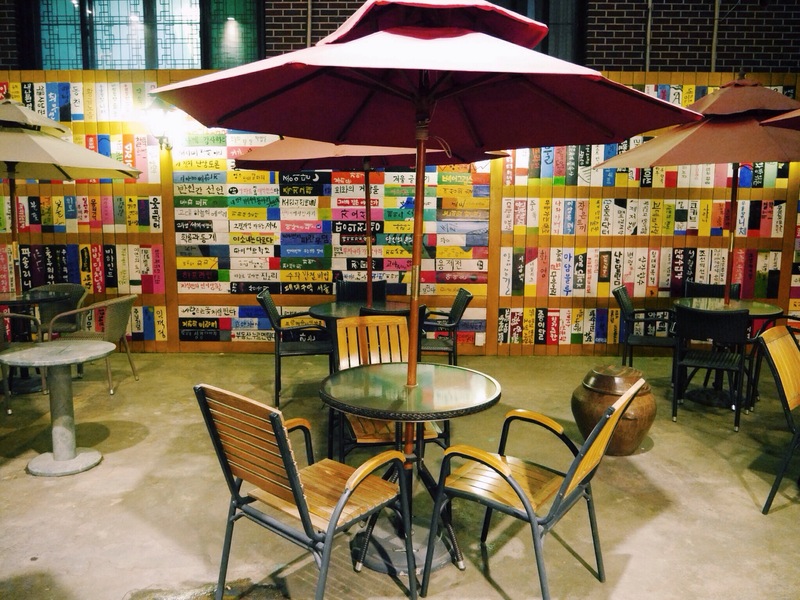 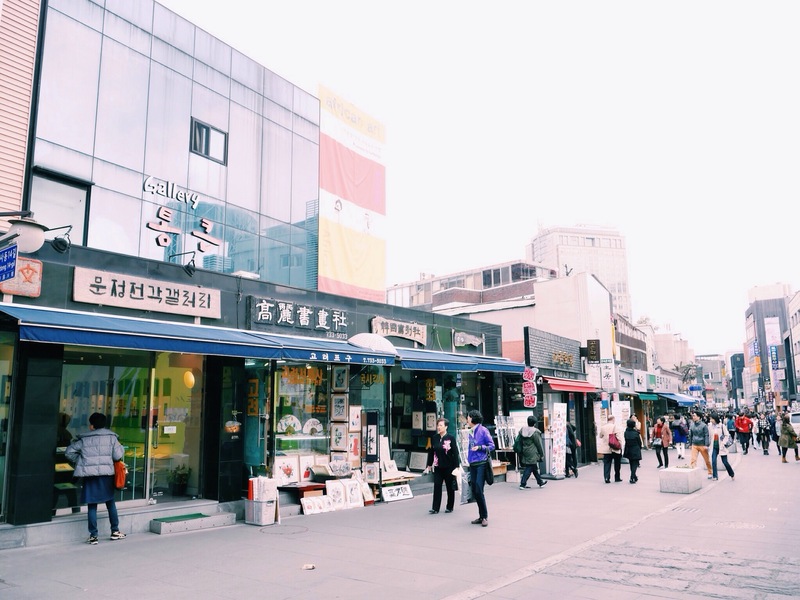 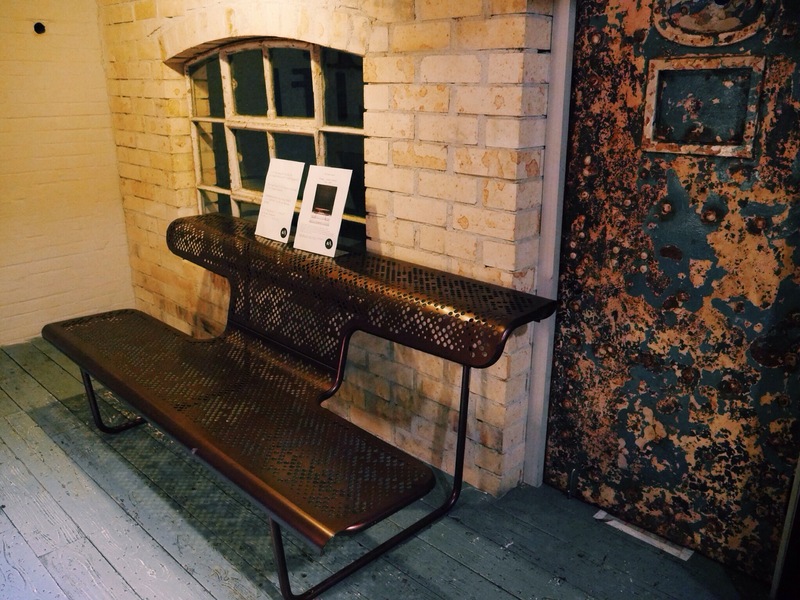 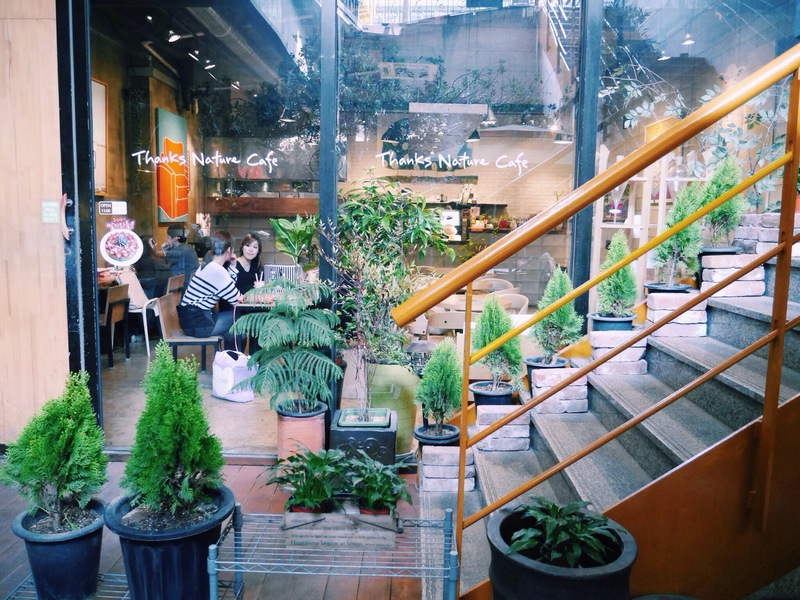 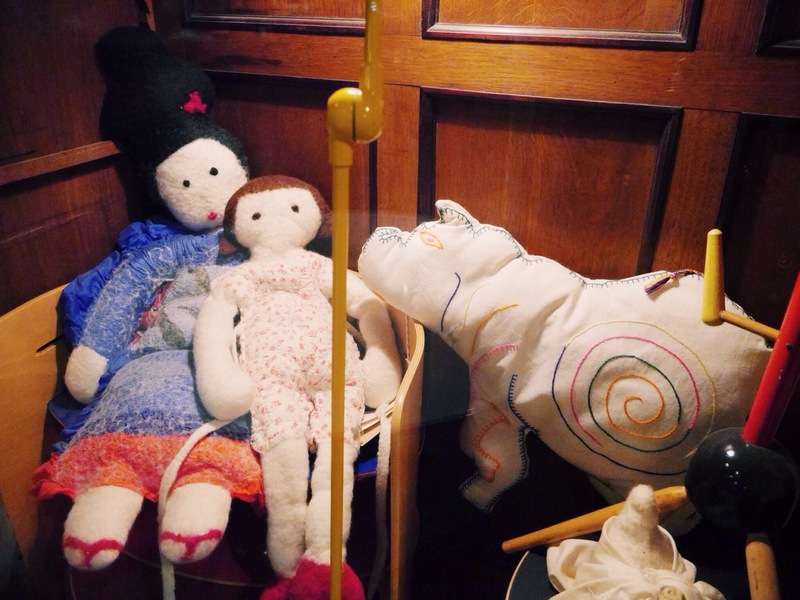 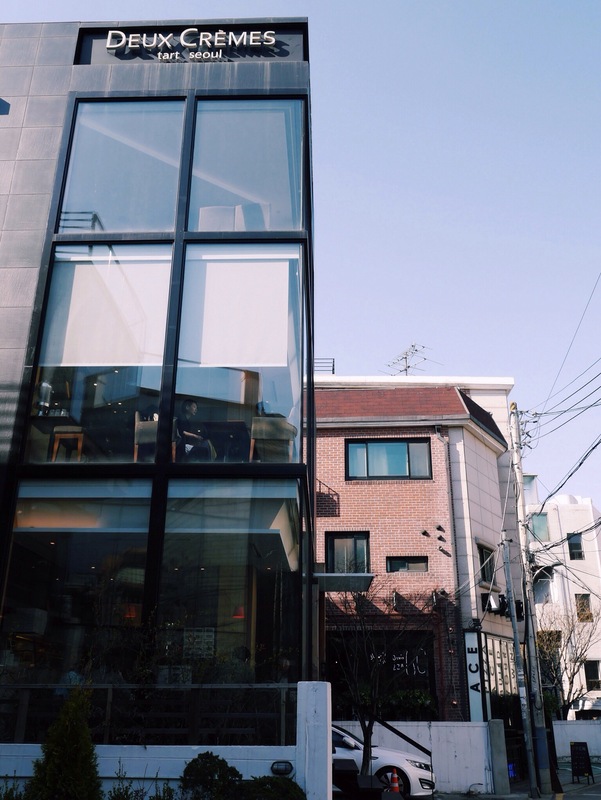 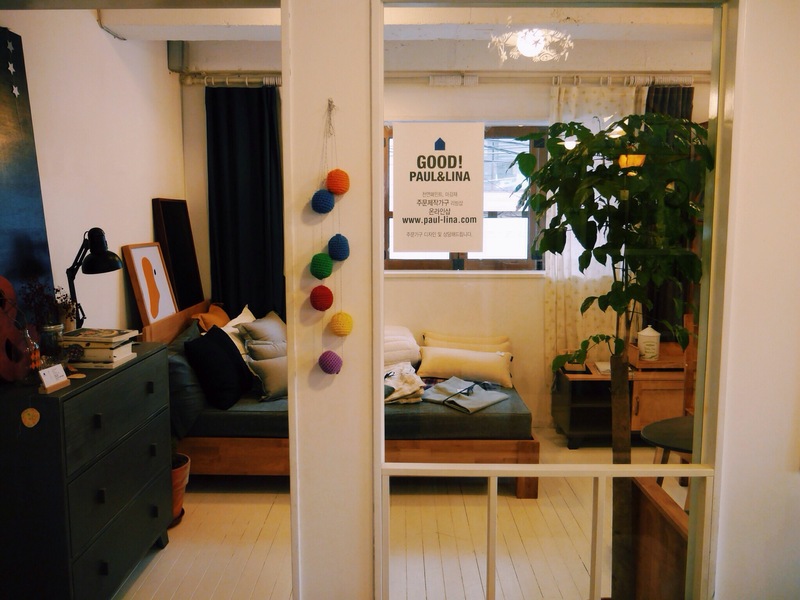 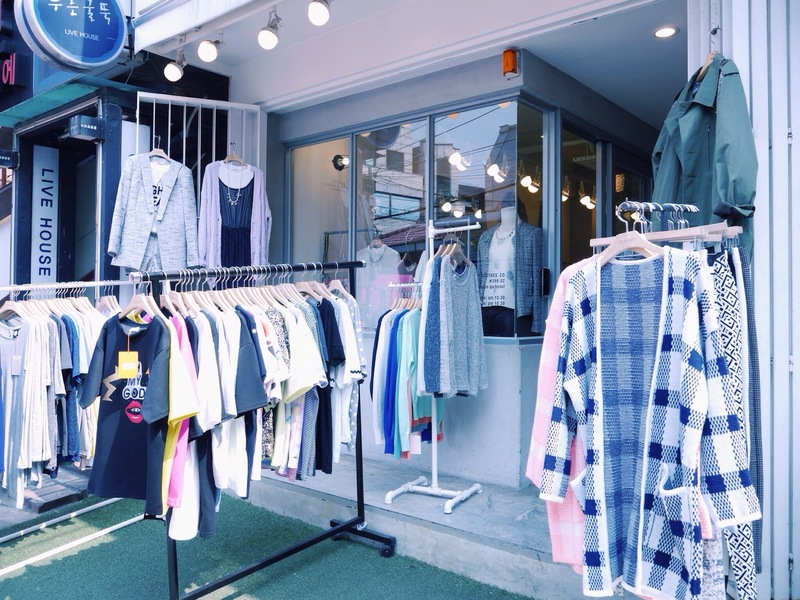 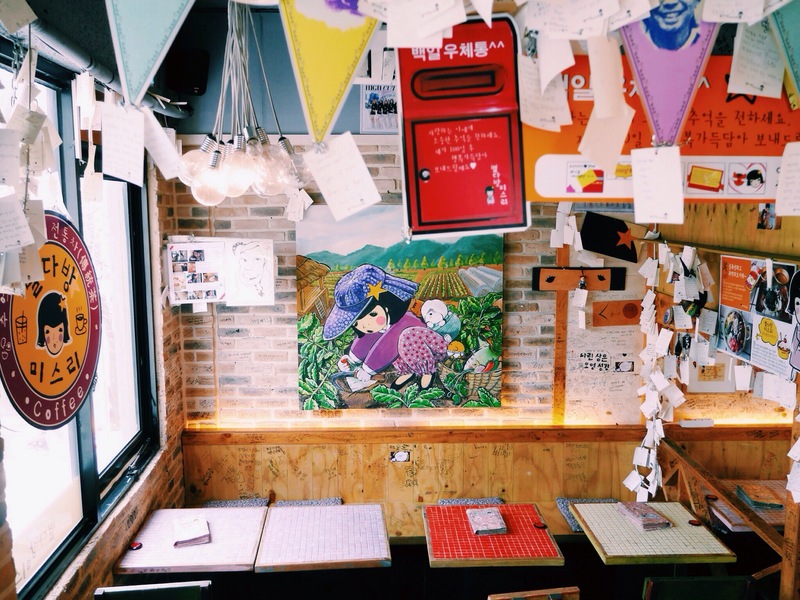 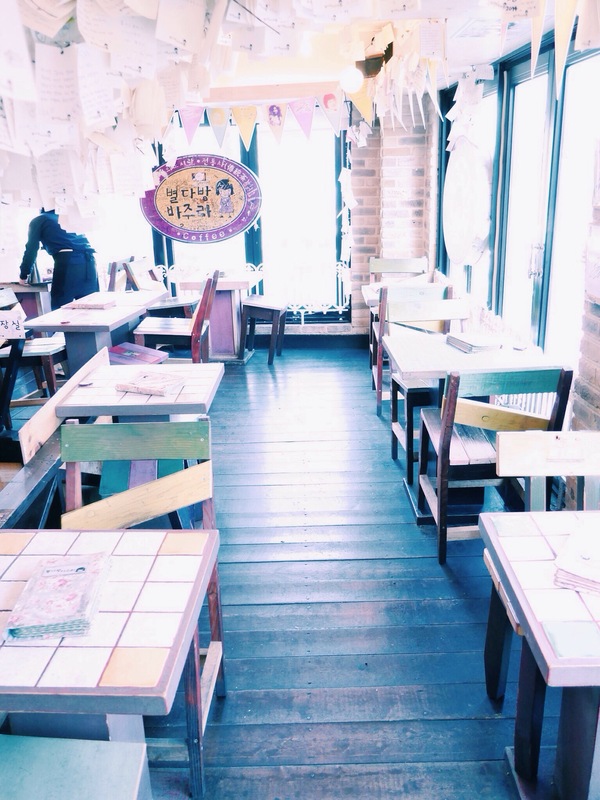 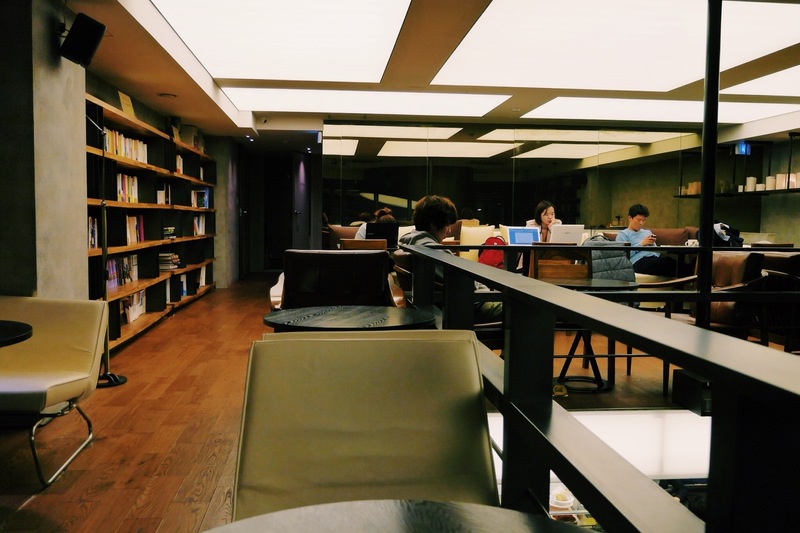 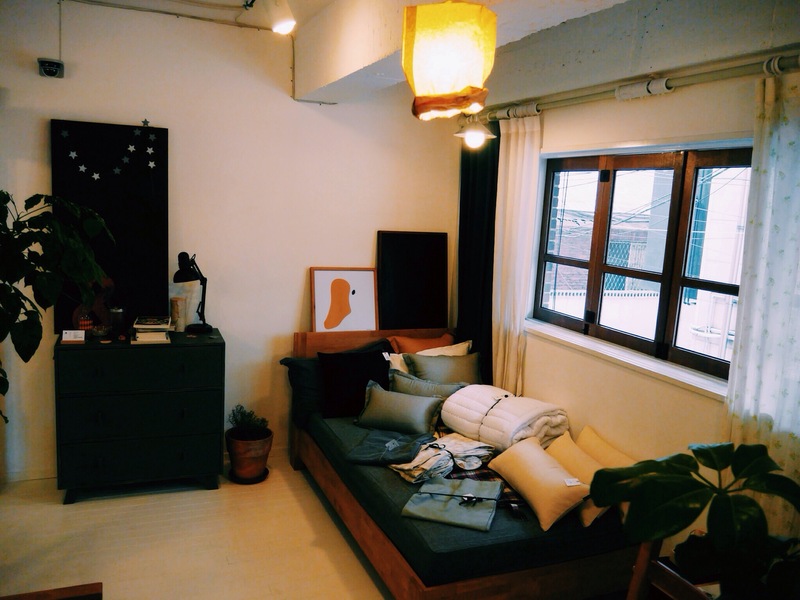 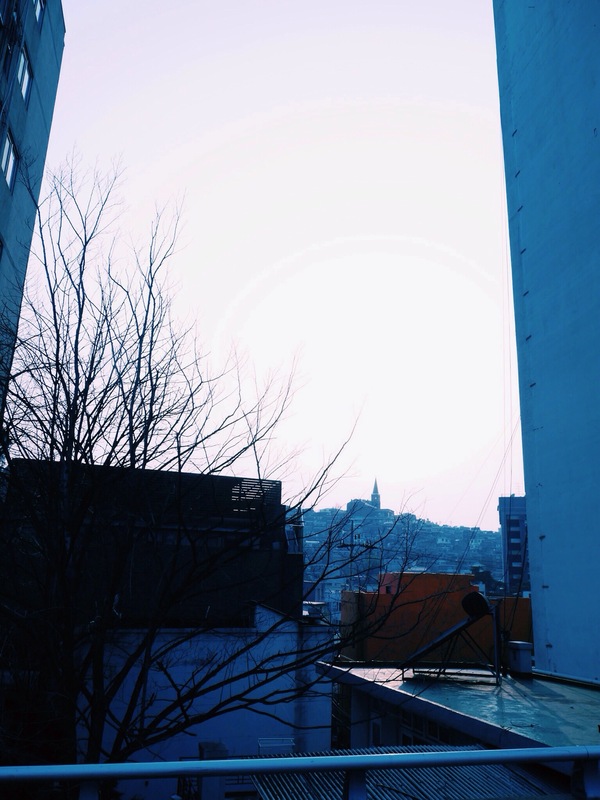 Its triple-storeyed interiors are furnished to match its physical location – Insadong is home to cultural arts and crafts that go way back in time. 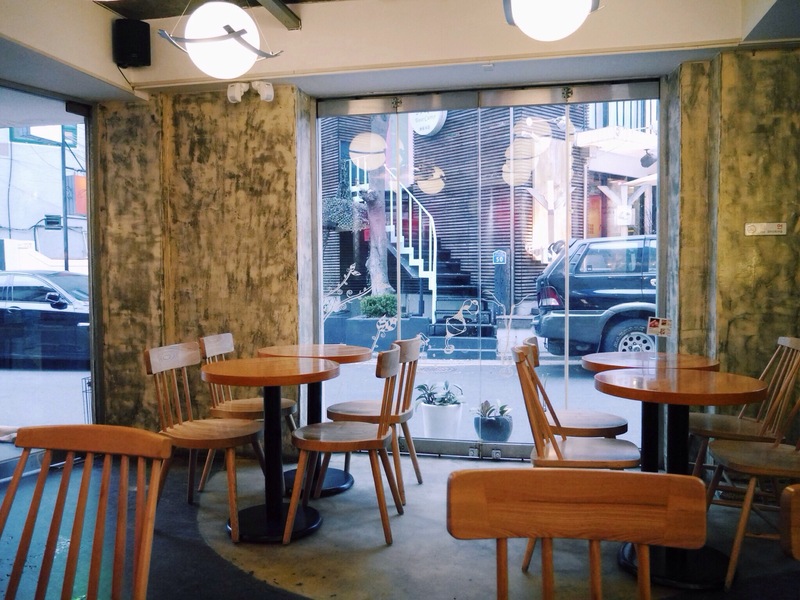 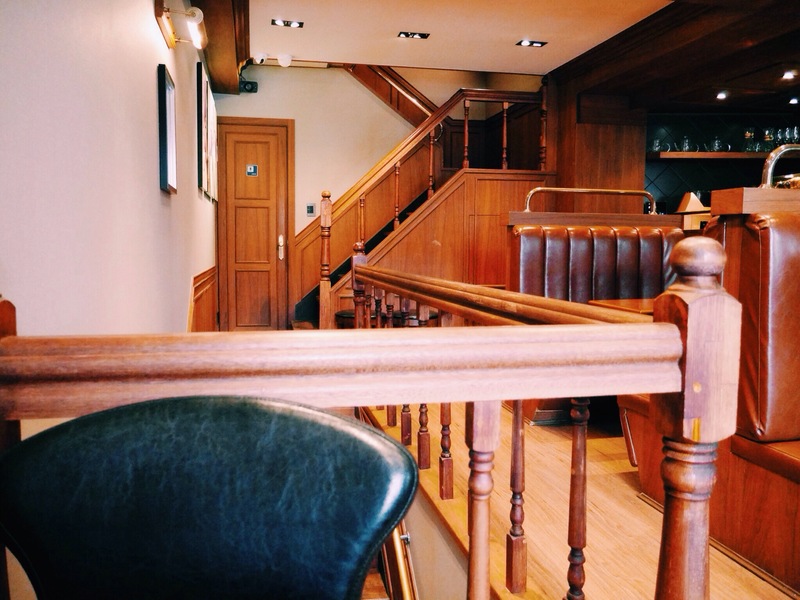 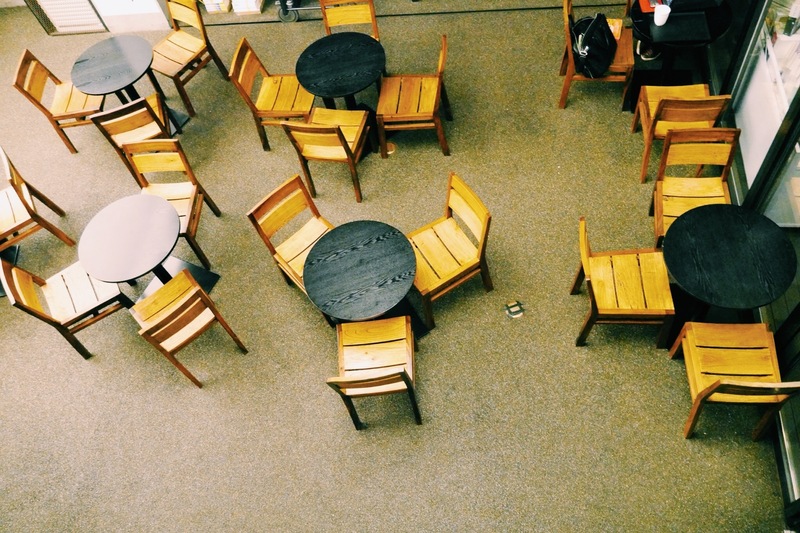 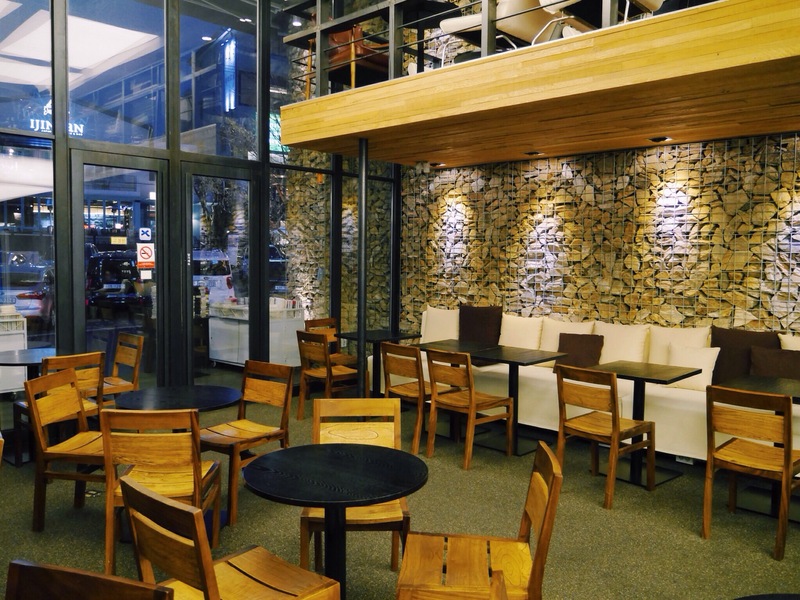 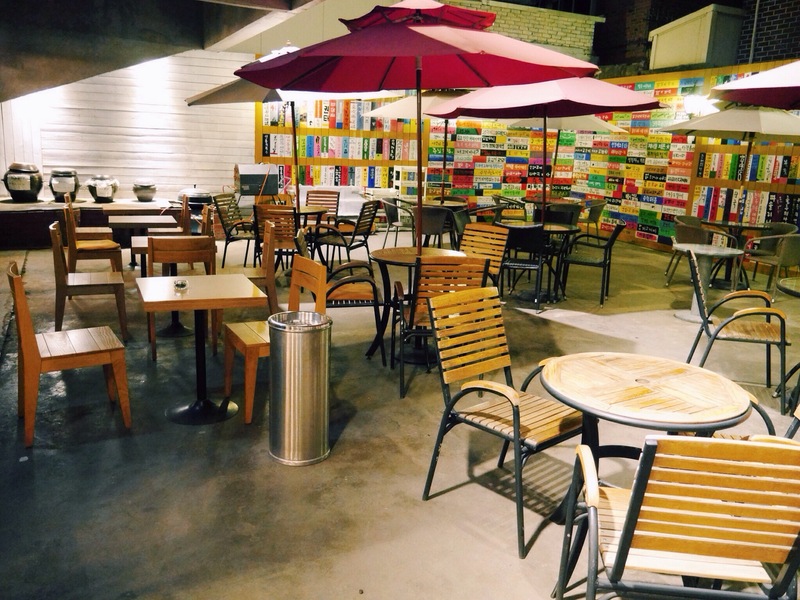 Polished teakwood tables and chairs in Cafe True Us brings back the nostalgic air of the roaring ’80s.